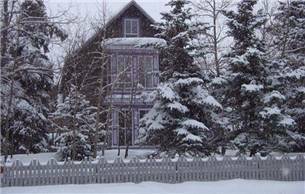 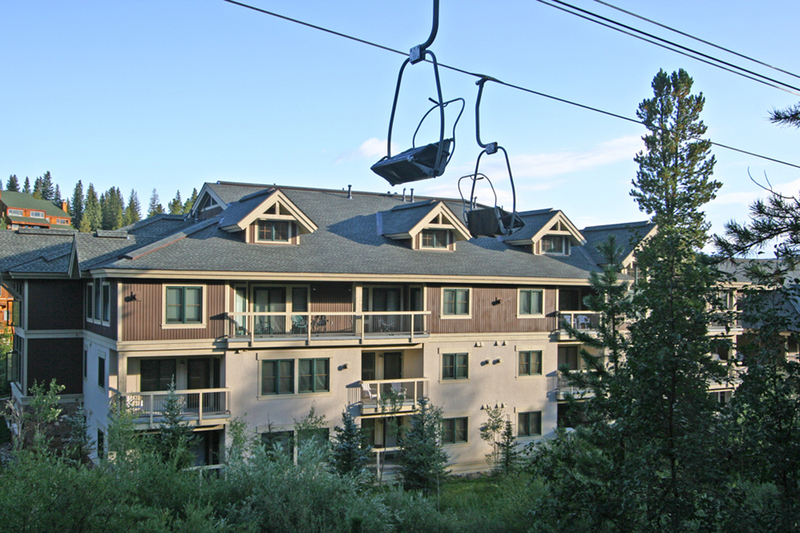 ­­Situated at the bottom of the Four O’clock run, you can ski down the hill to the building. 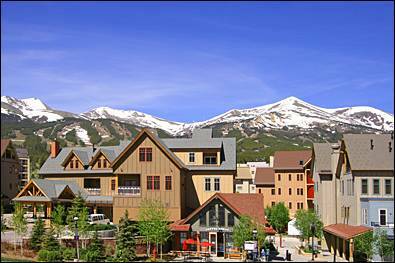 The town’s free shuttle stops right in front for a short ride back up to the chairlift. 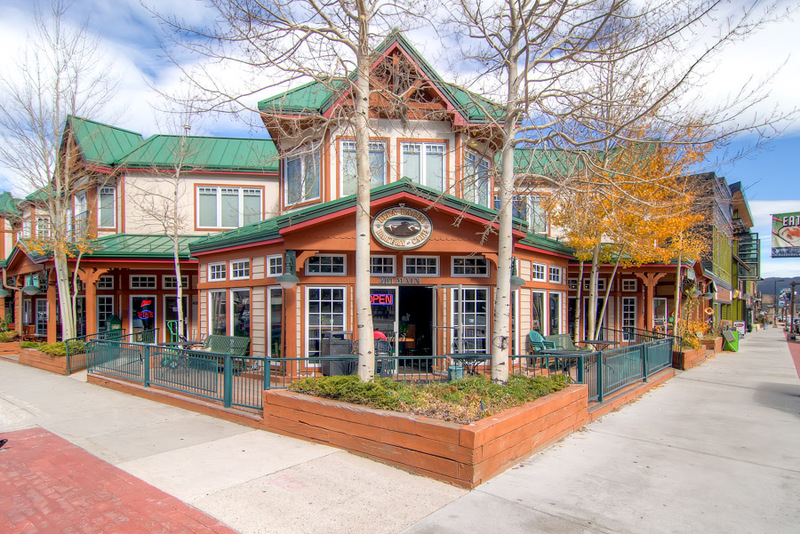 Just a block or so to Main Street. 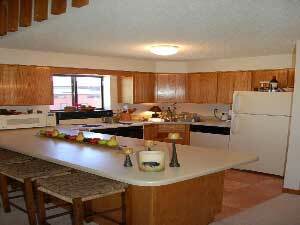 This is a popular central location. 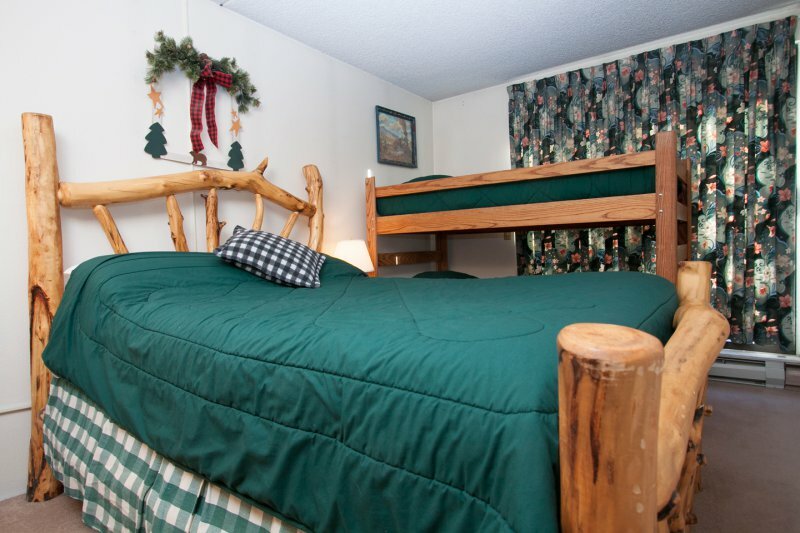 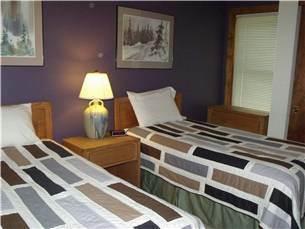 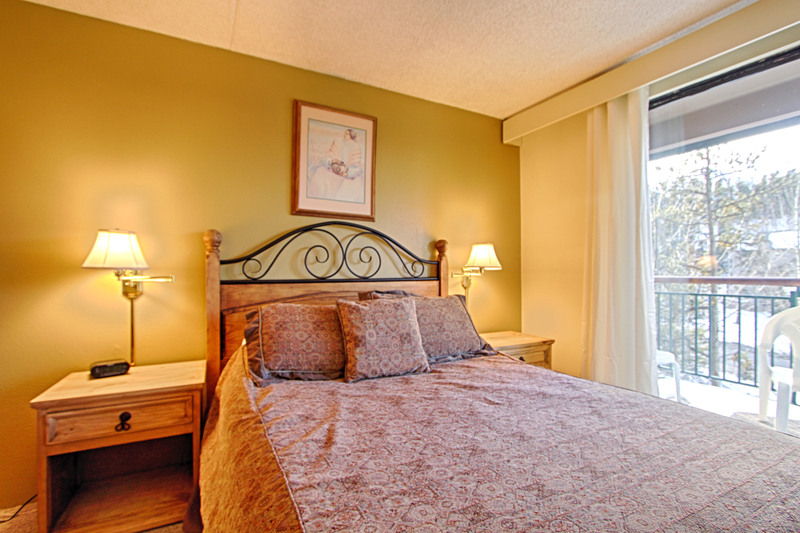 We have many guests who request to stay at this location each time they visit. 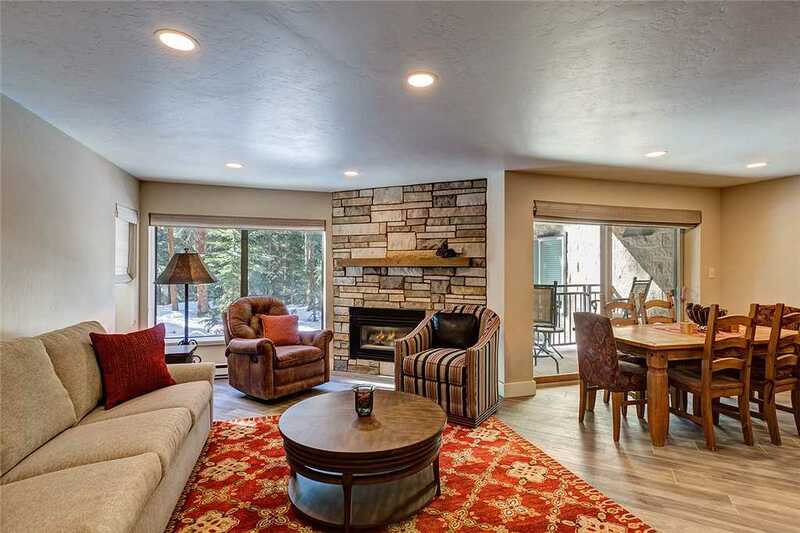 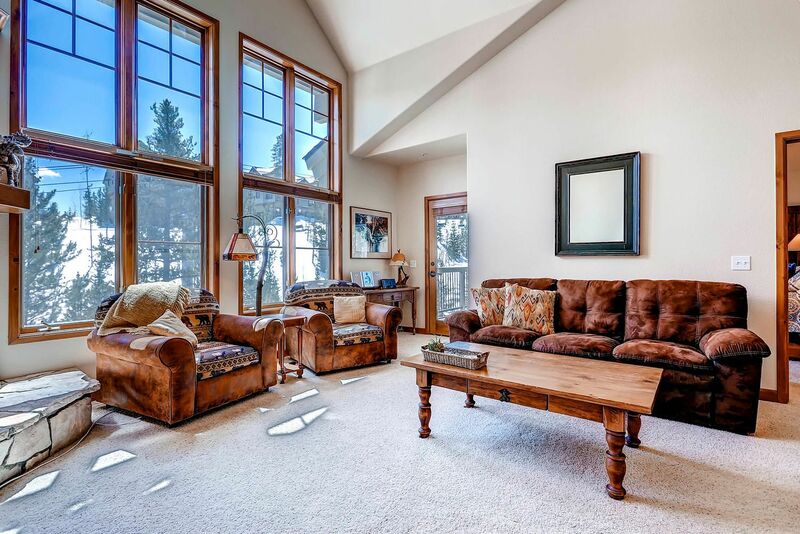 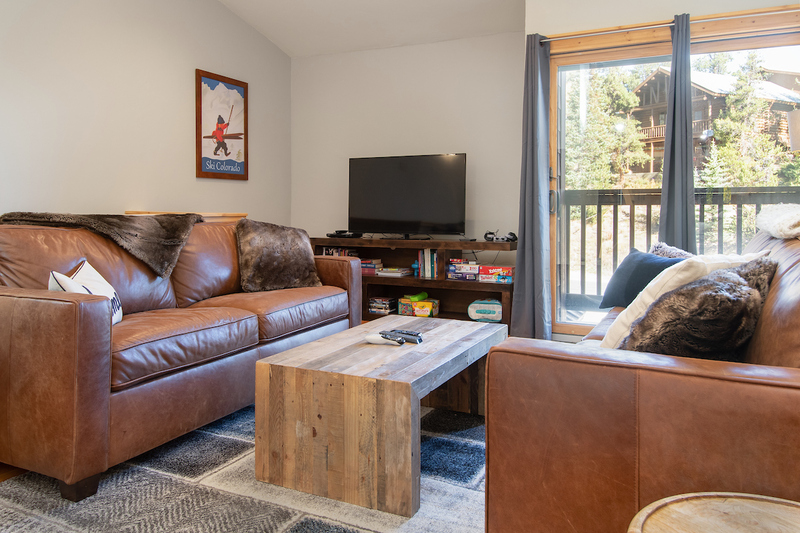 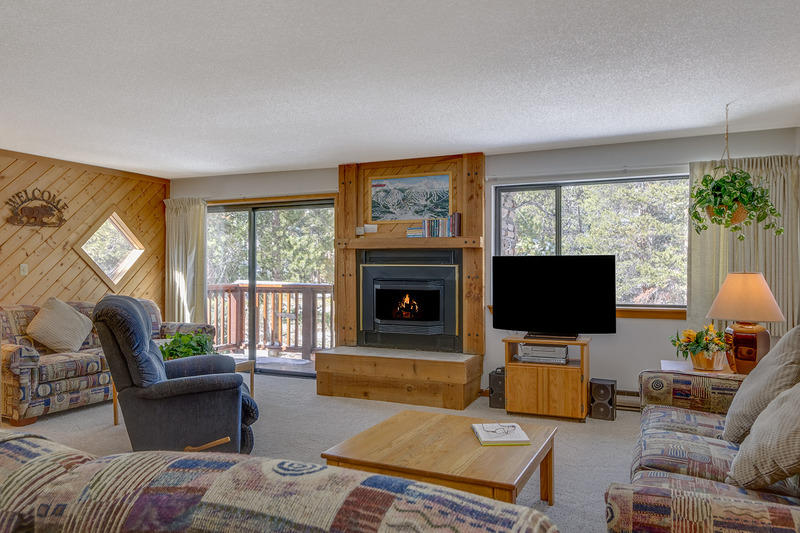 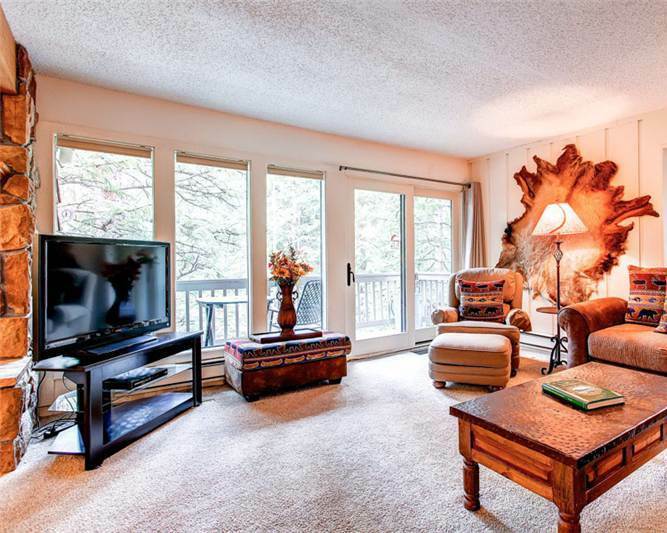 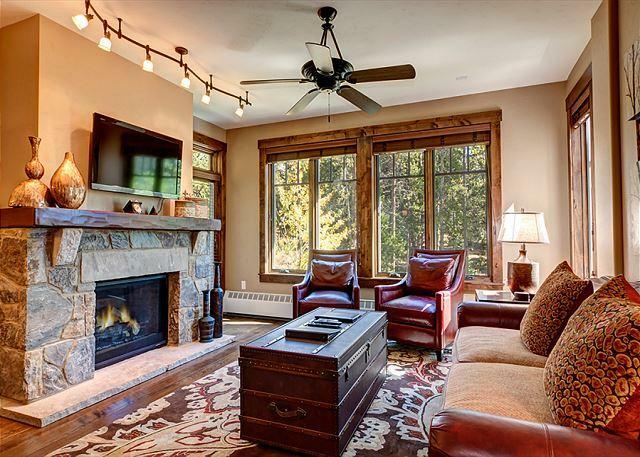 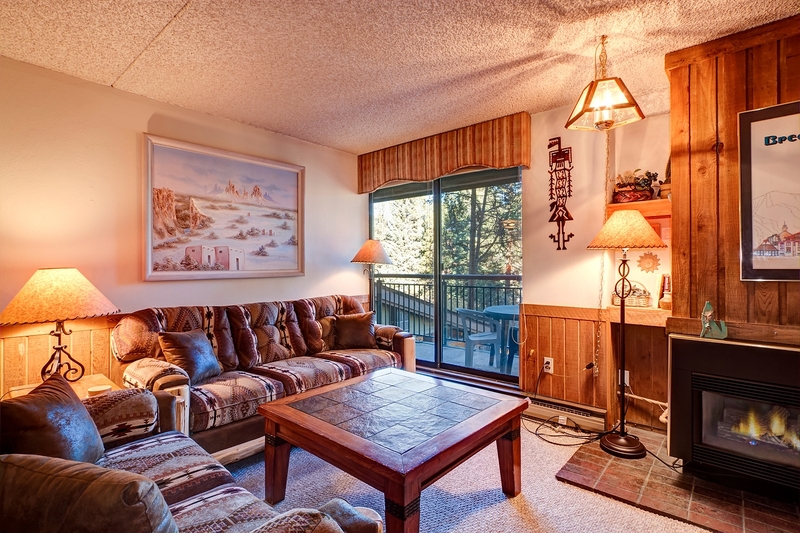 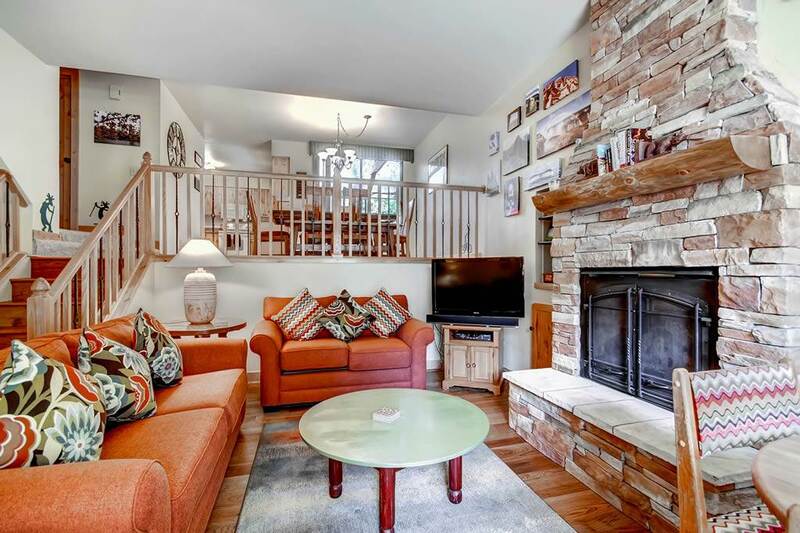 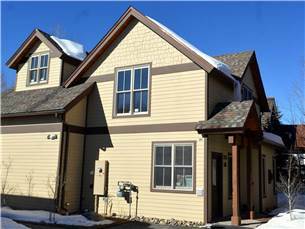 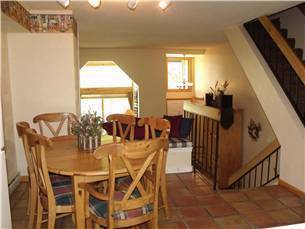 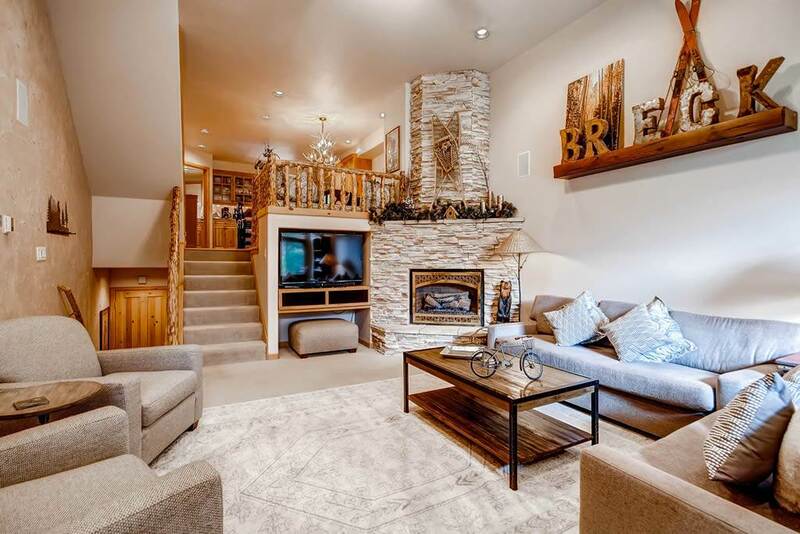 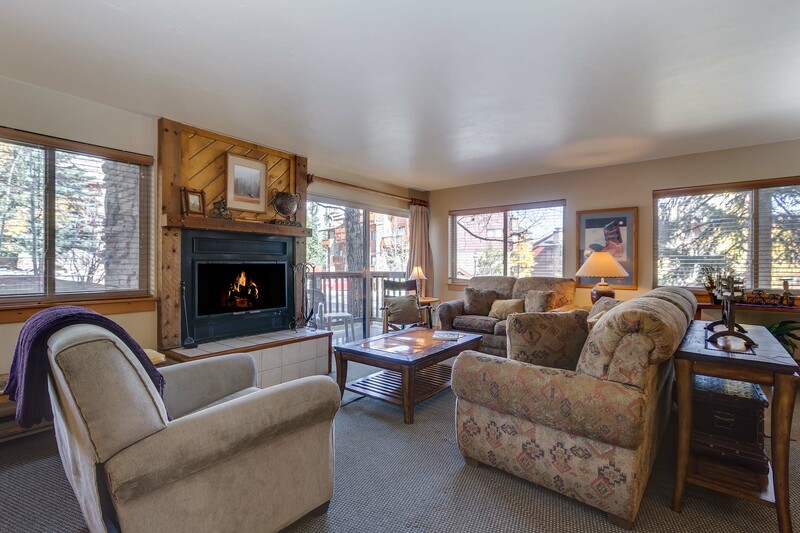 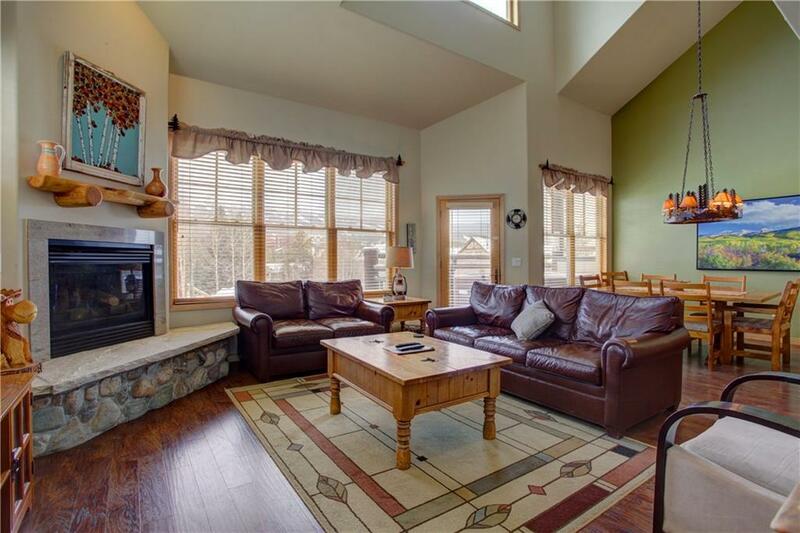 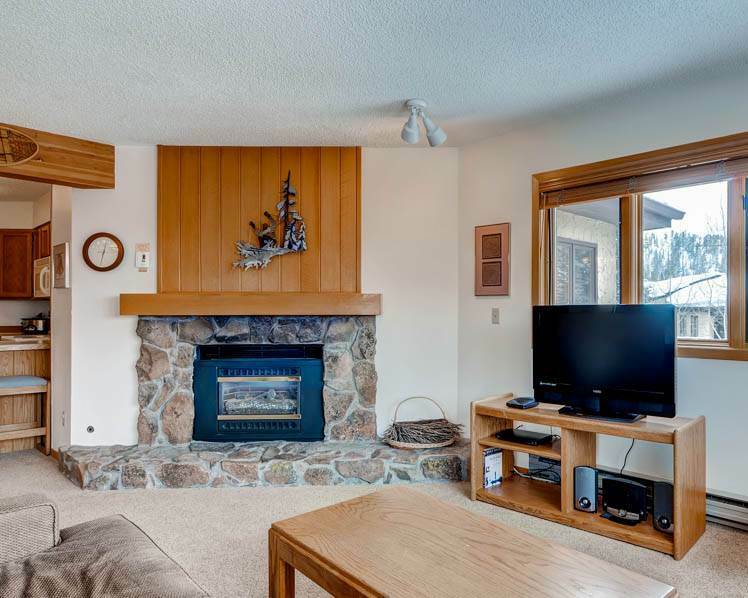 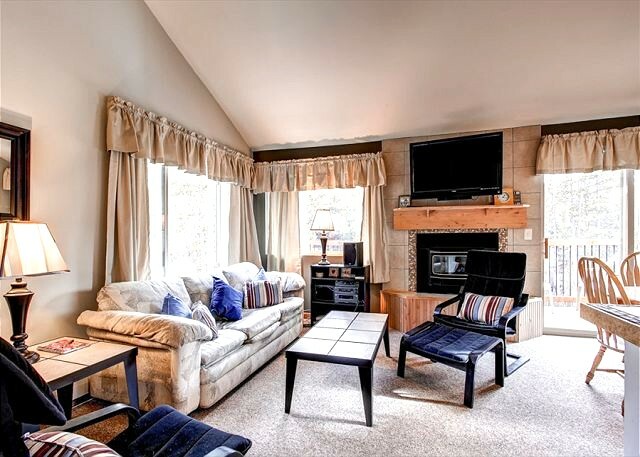 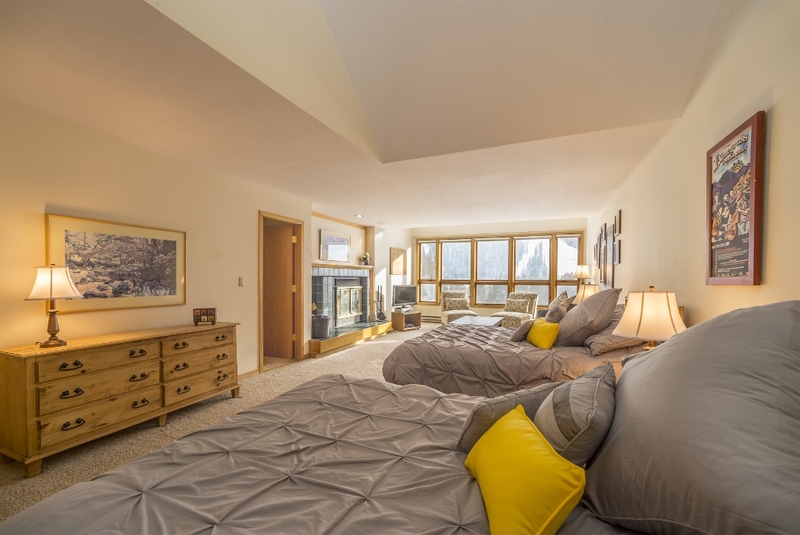 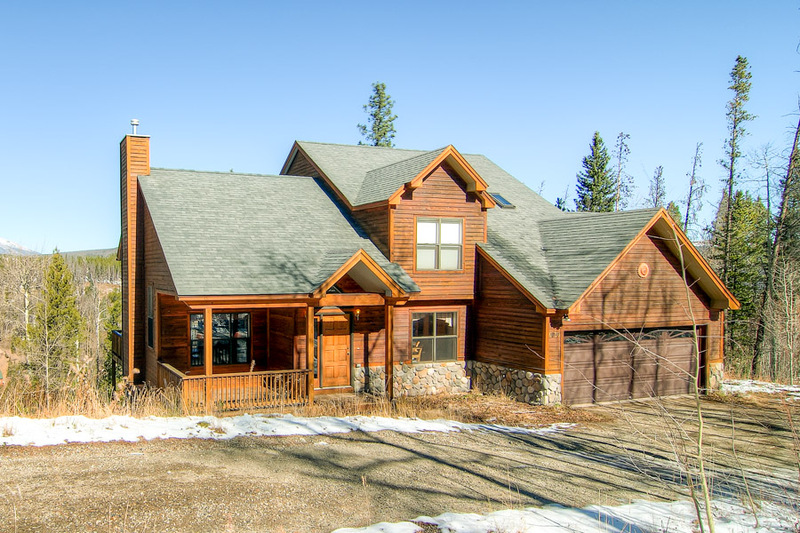 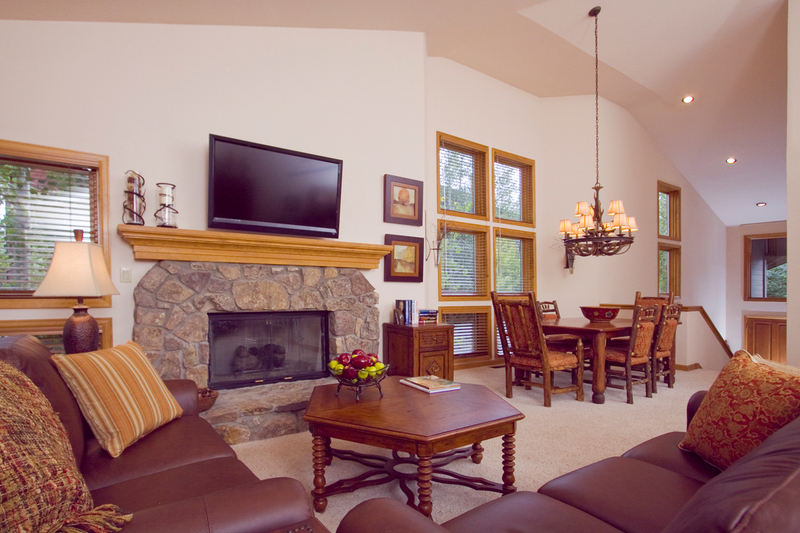 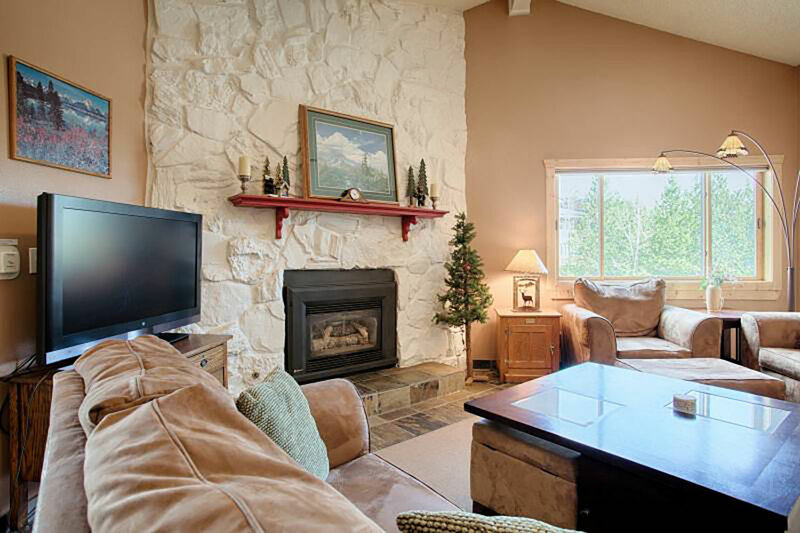 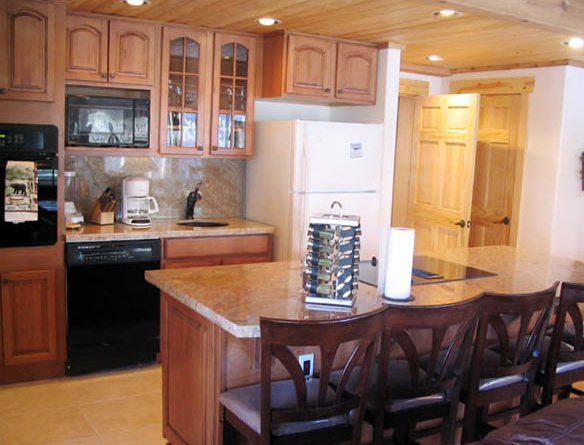 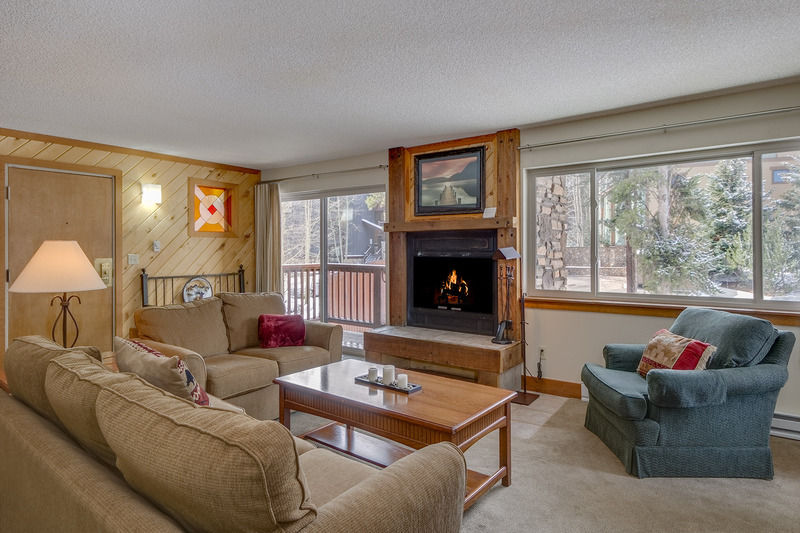 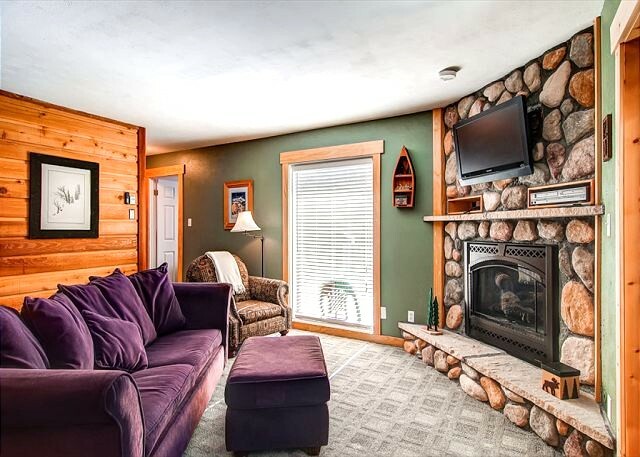 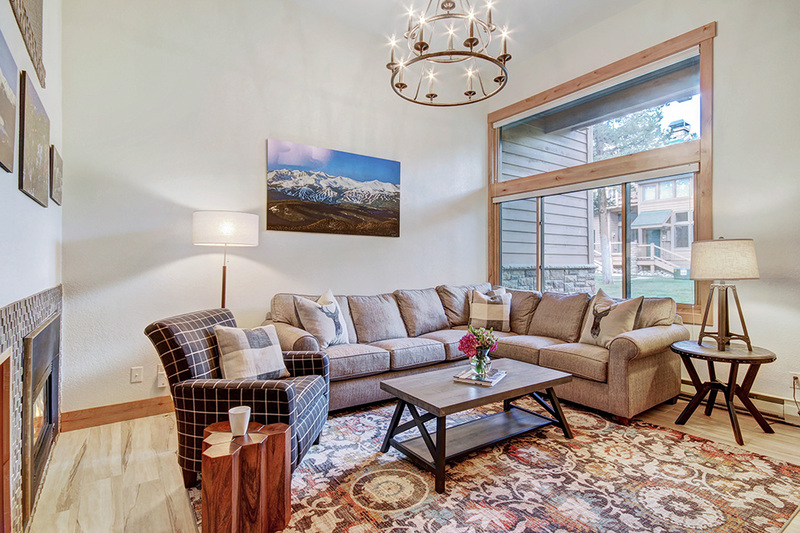 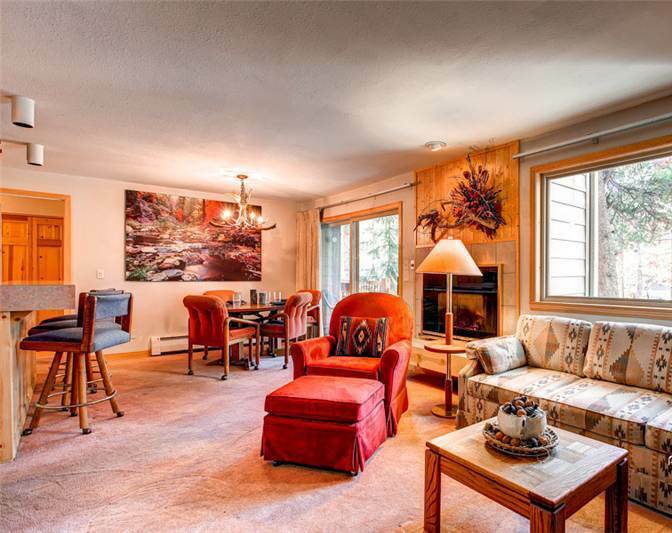 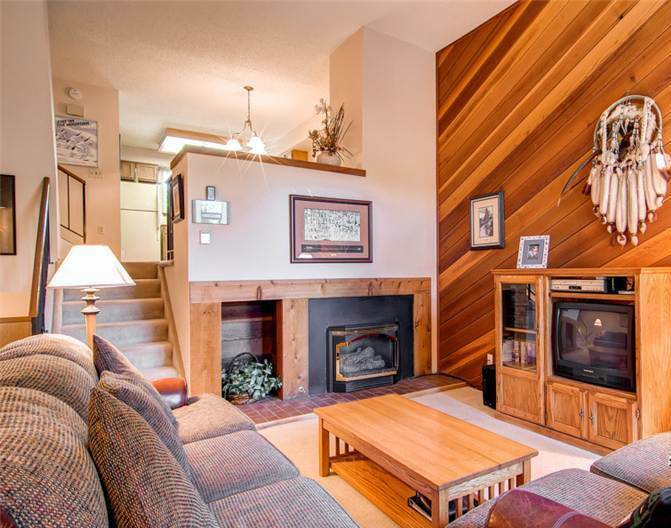 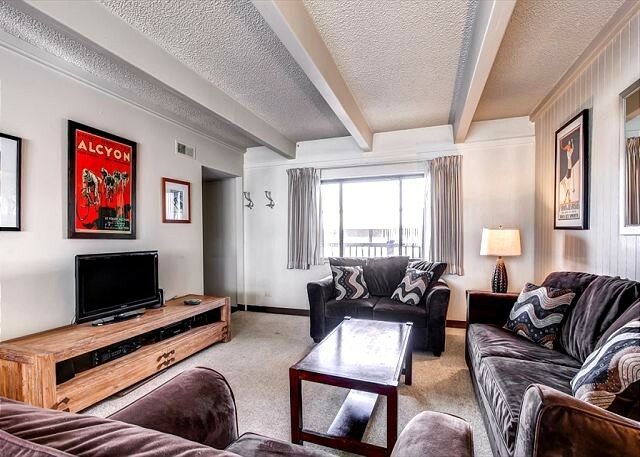 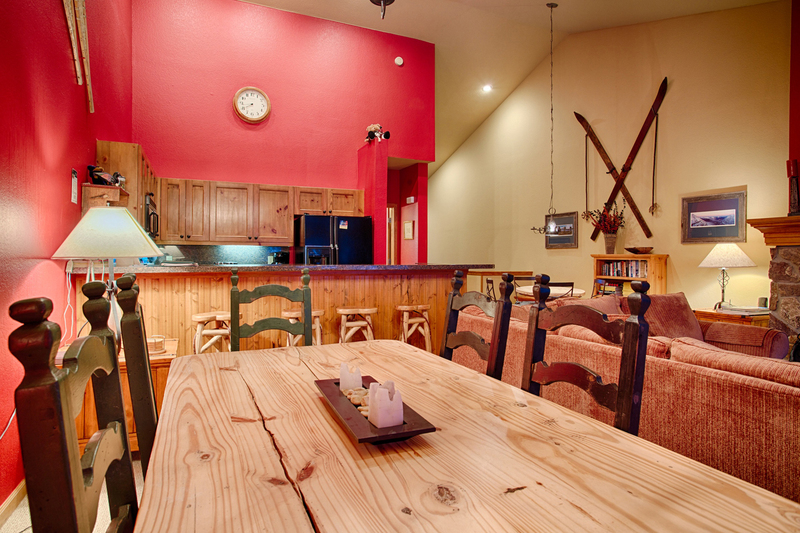 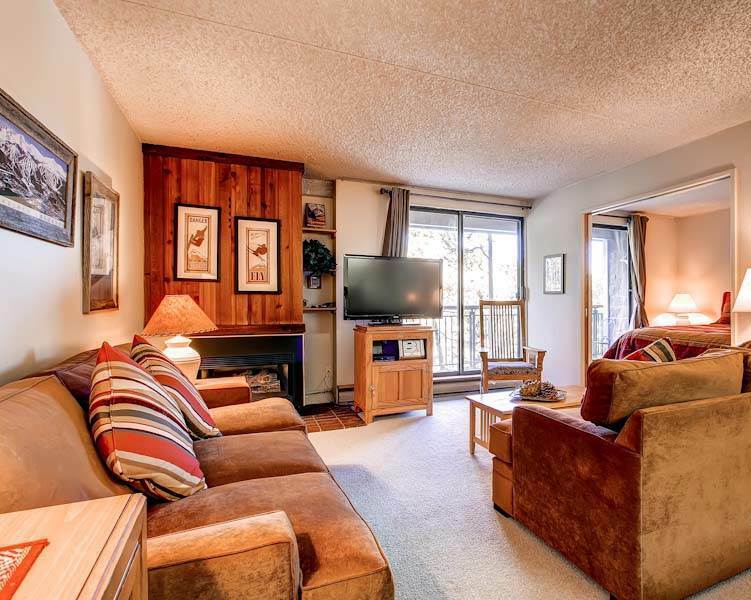 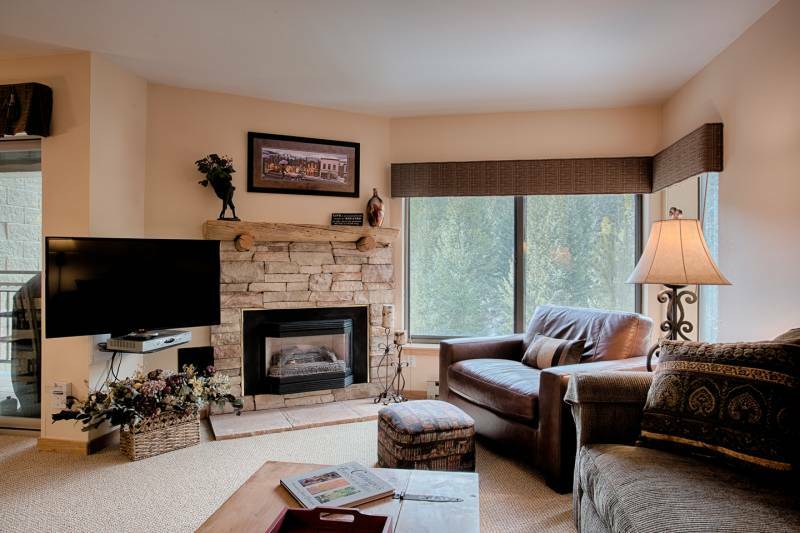 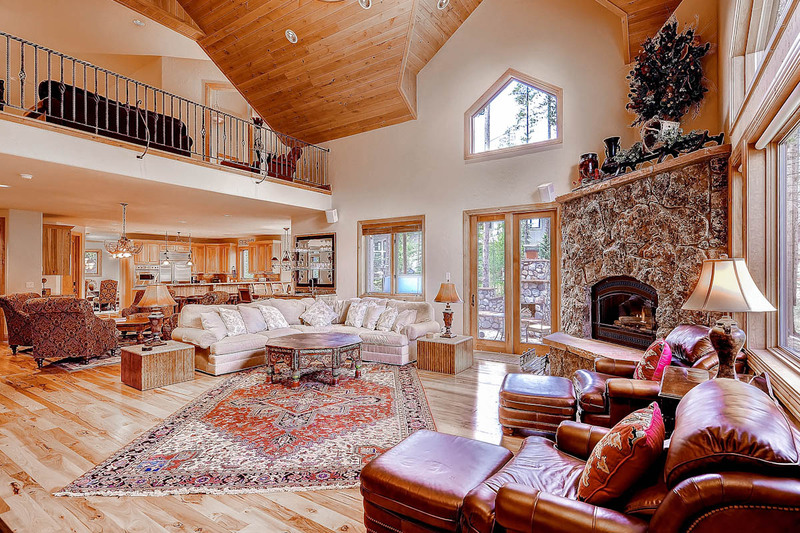 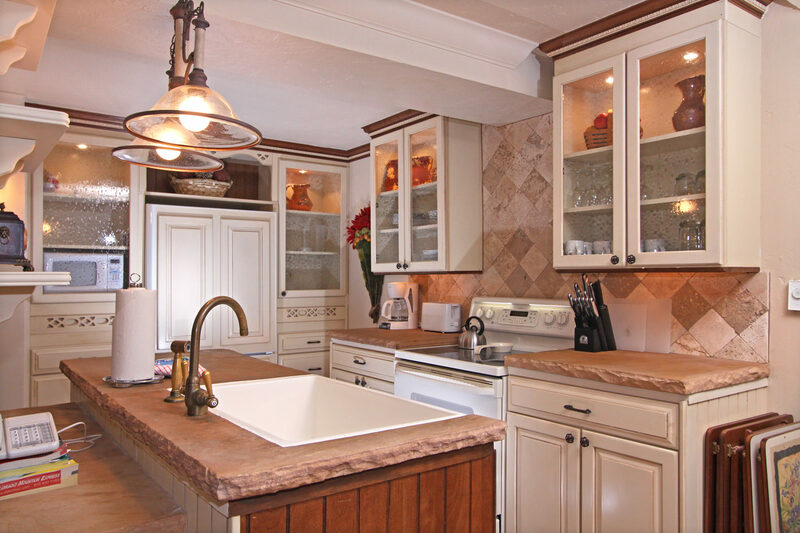 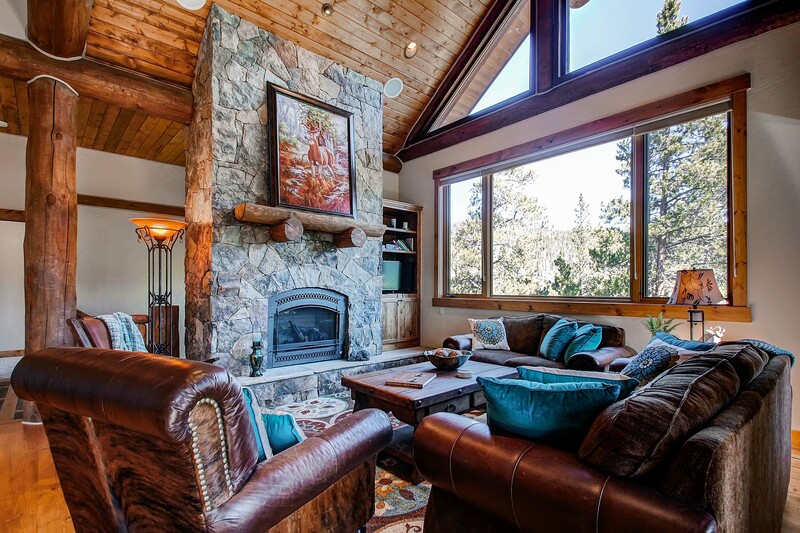 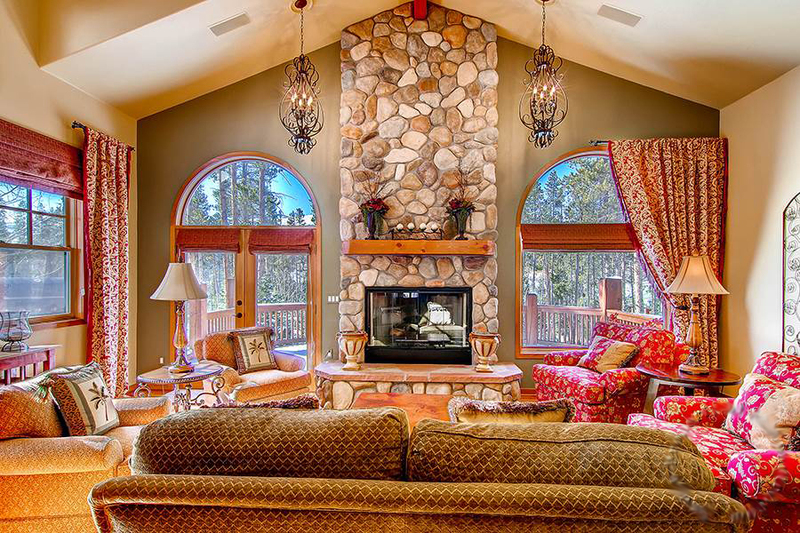 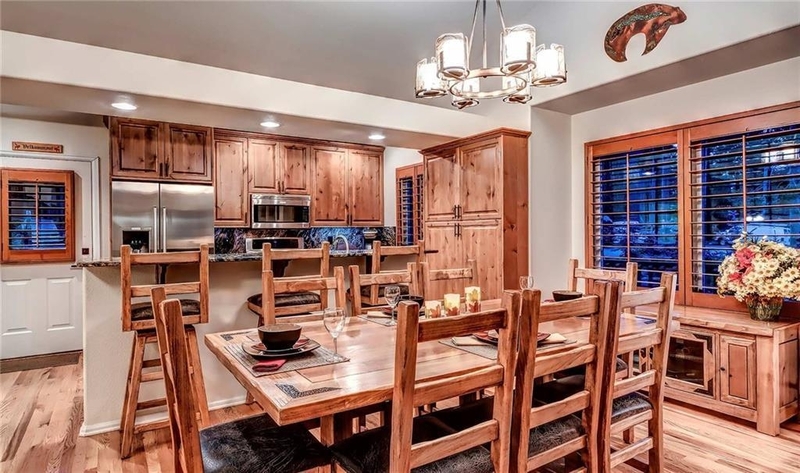 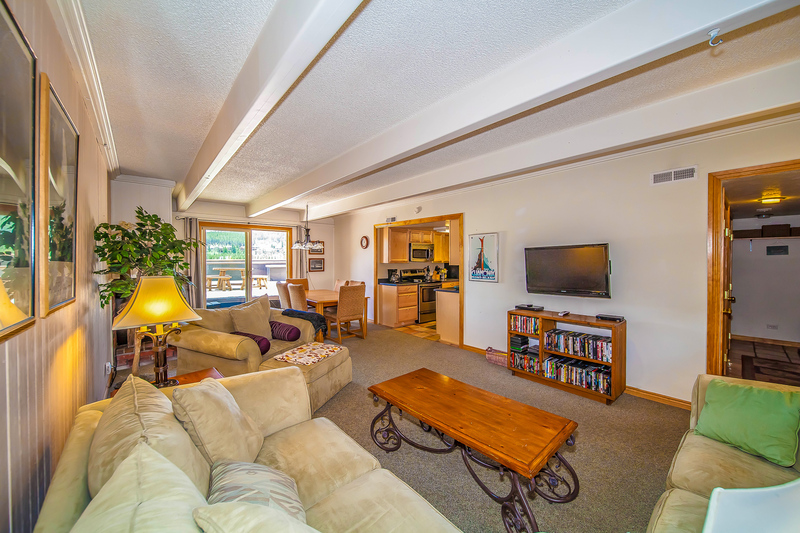 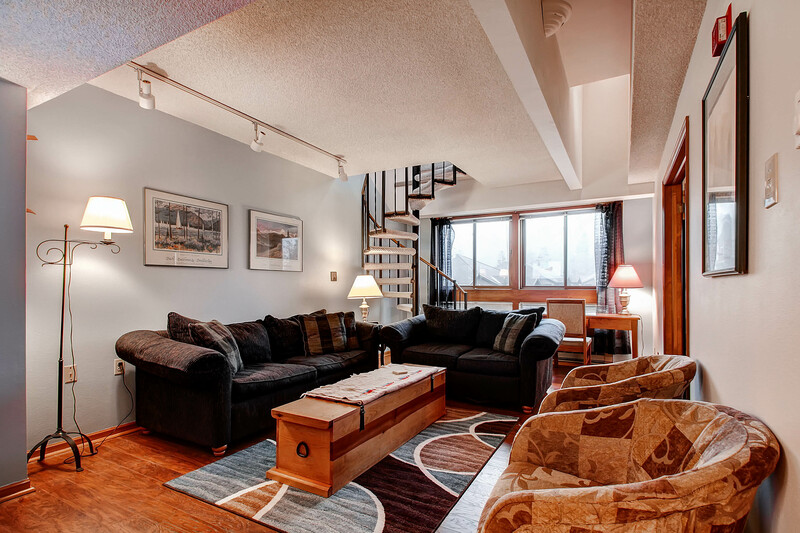 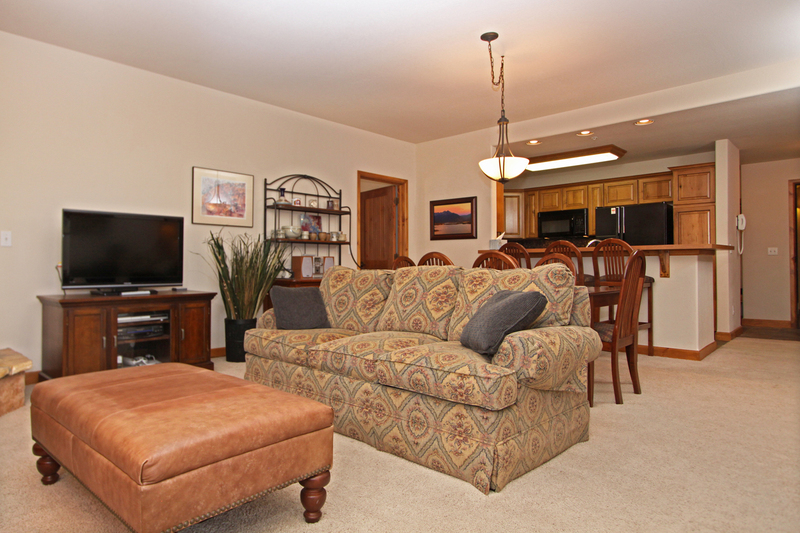 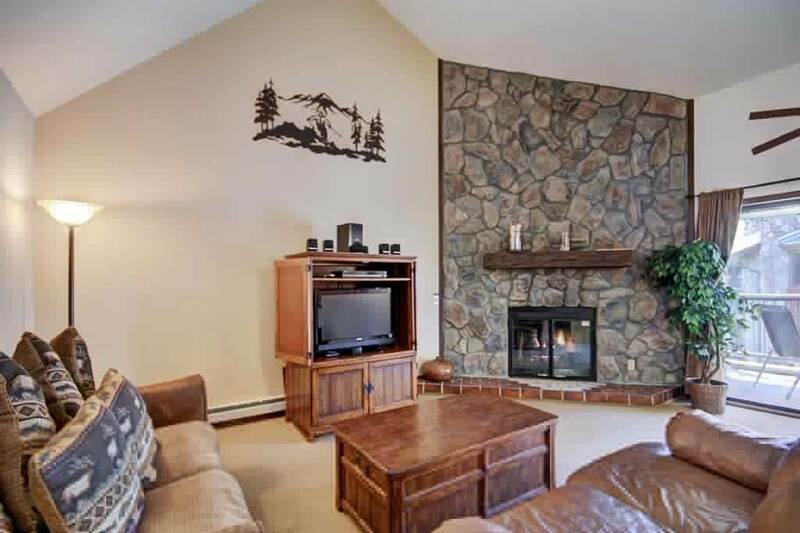 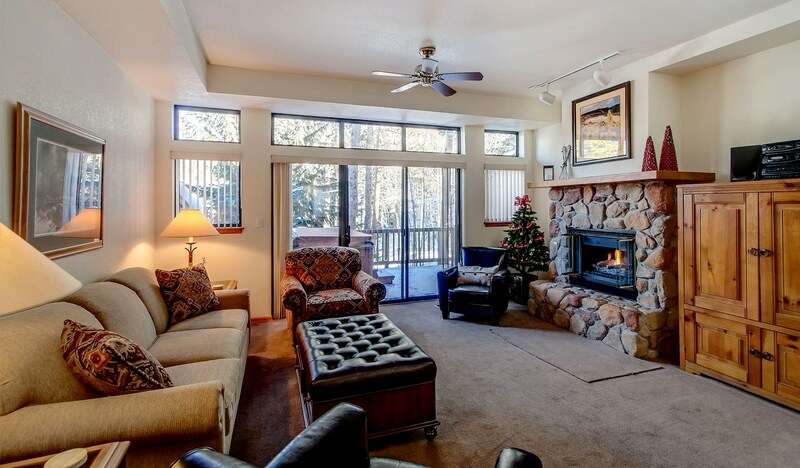 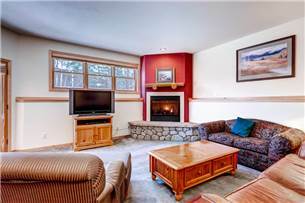 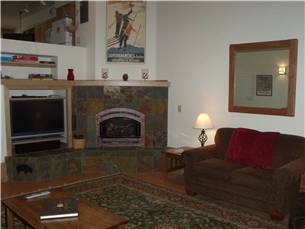 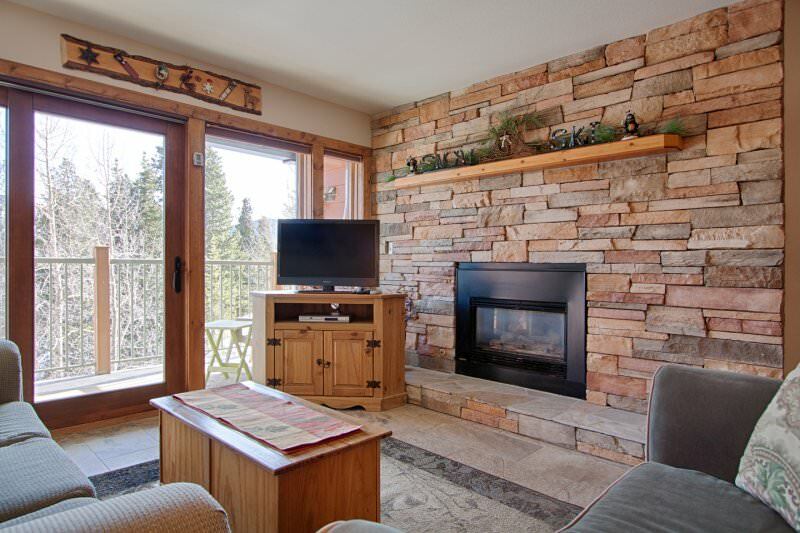 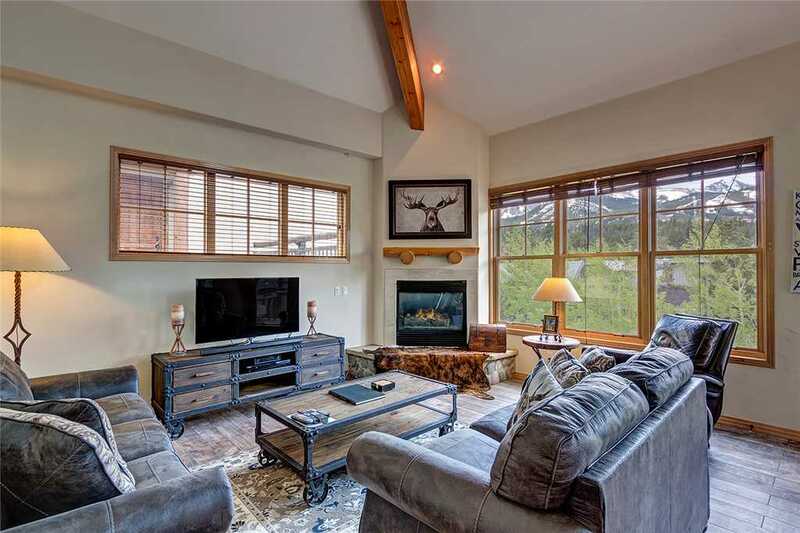 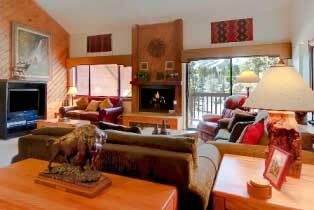 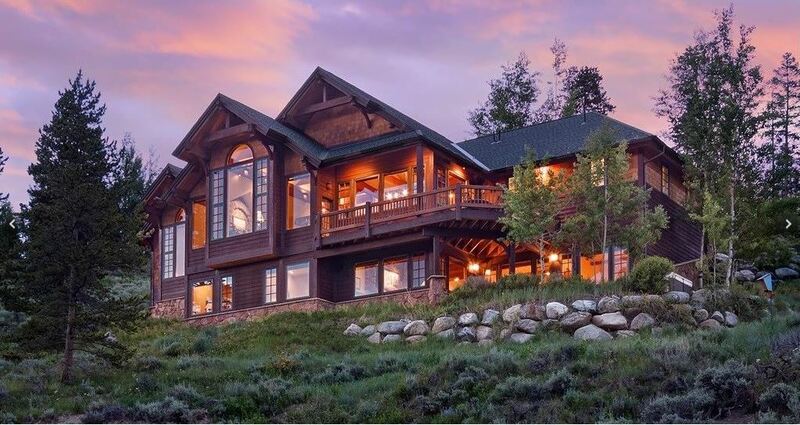 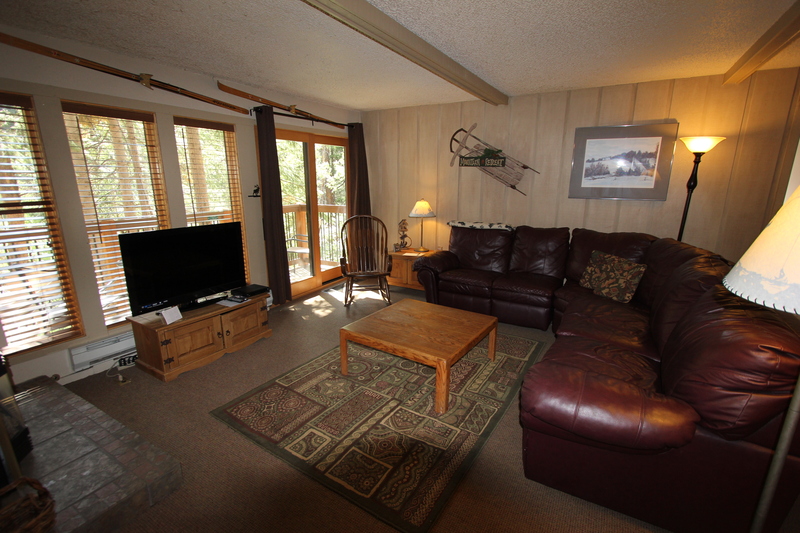 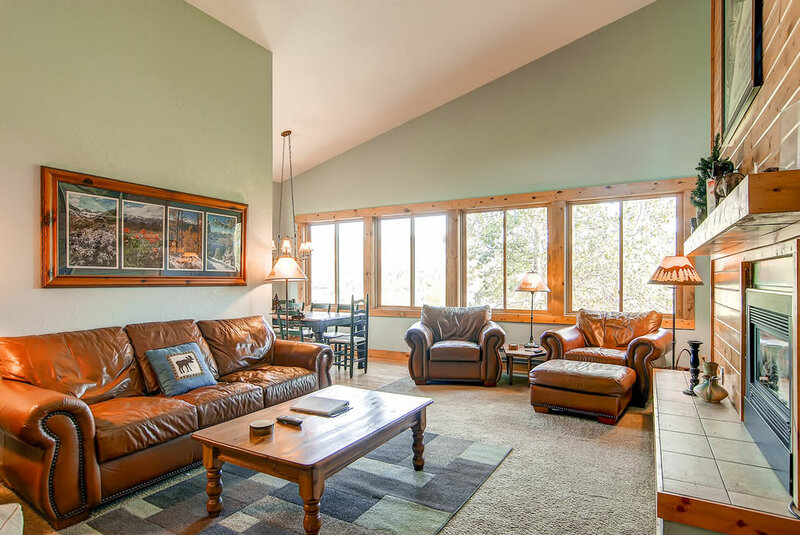 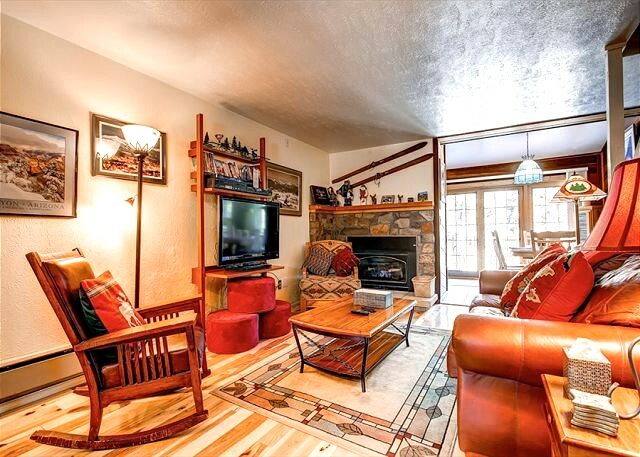 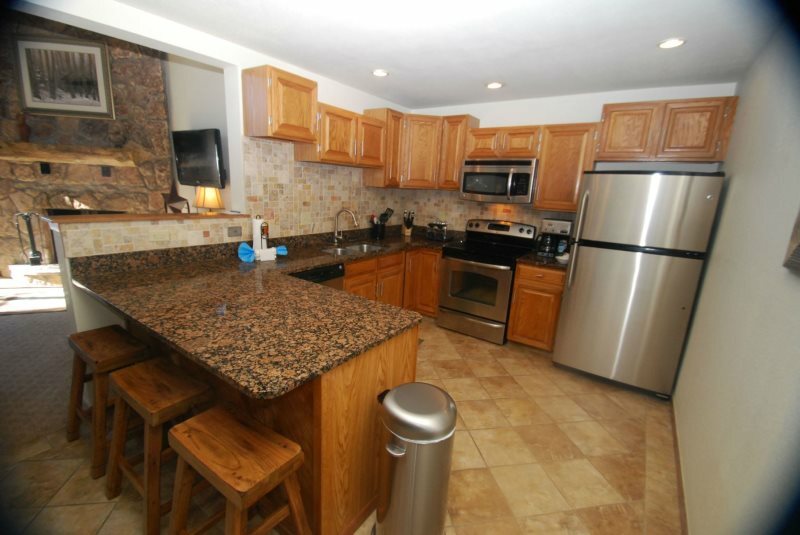 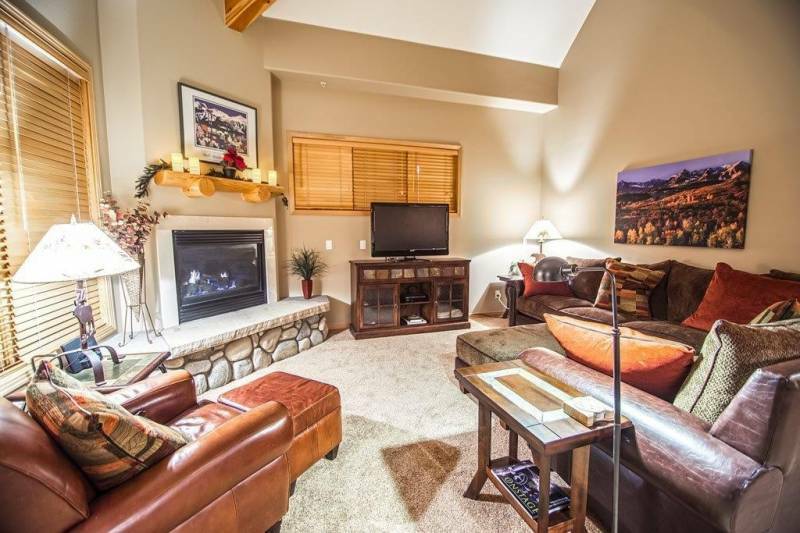 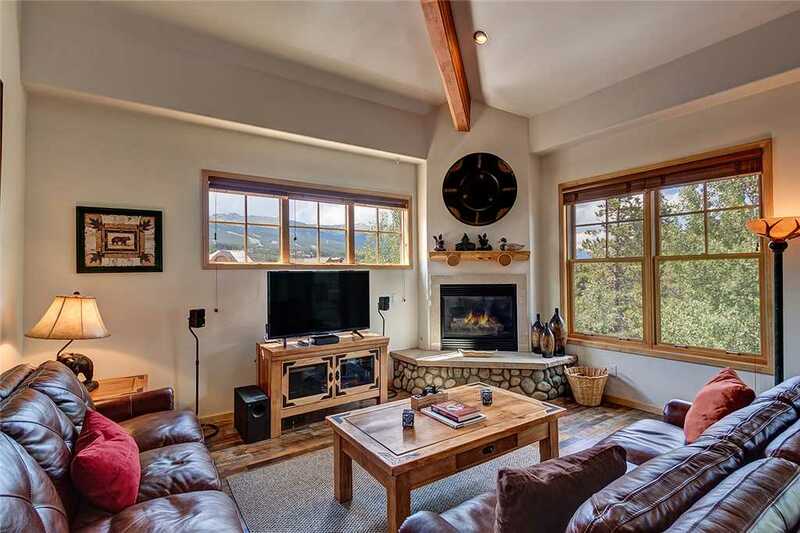 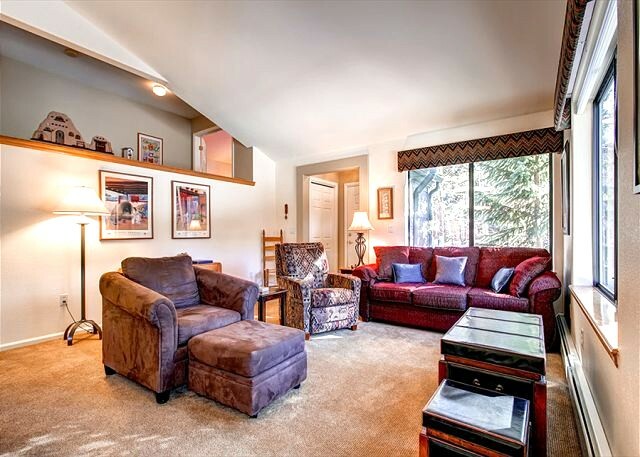 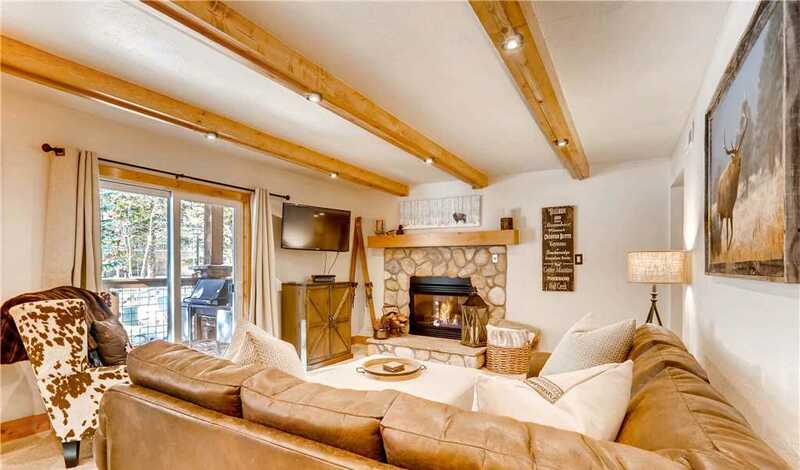 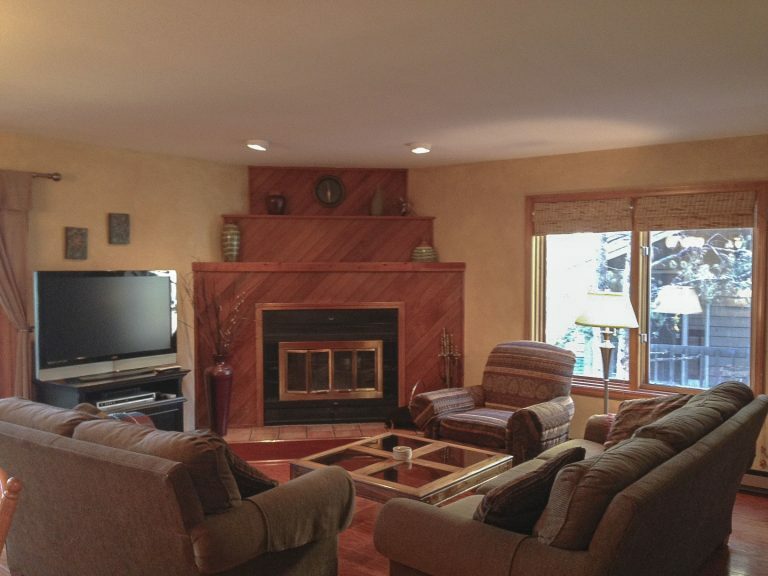 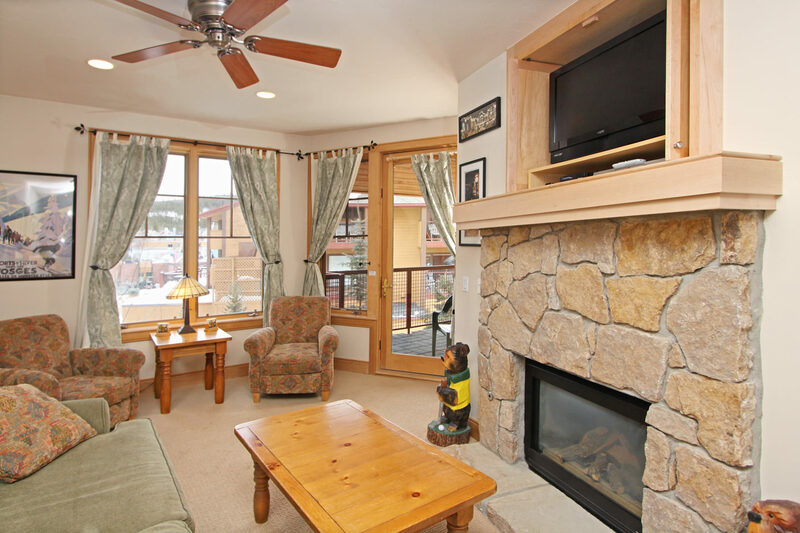 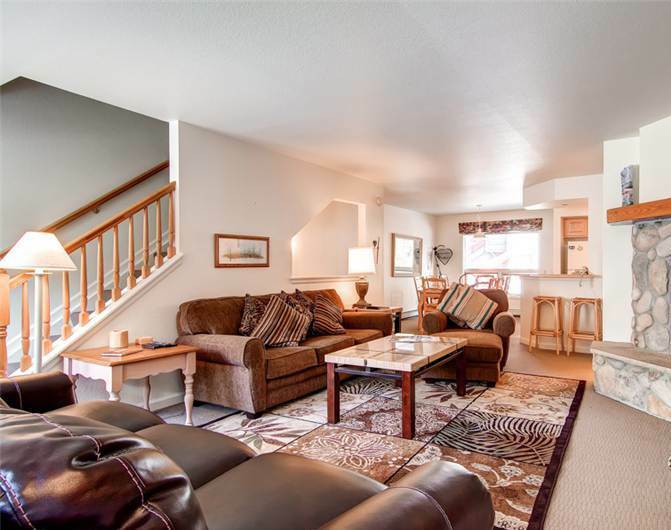 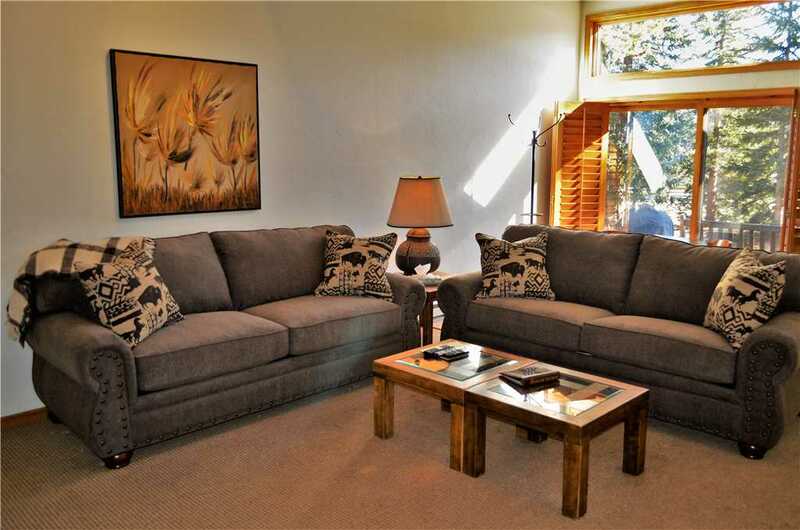 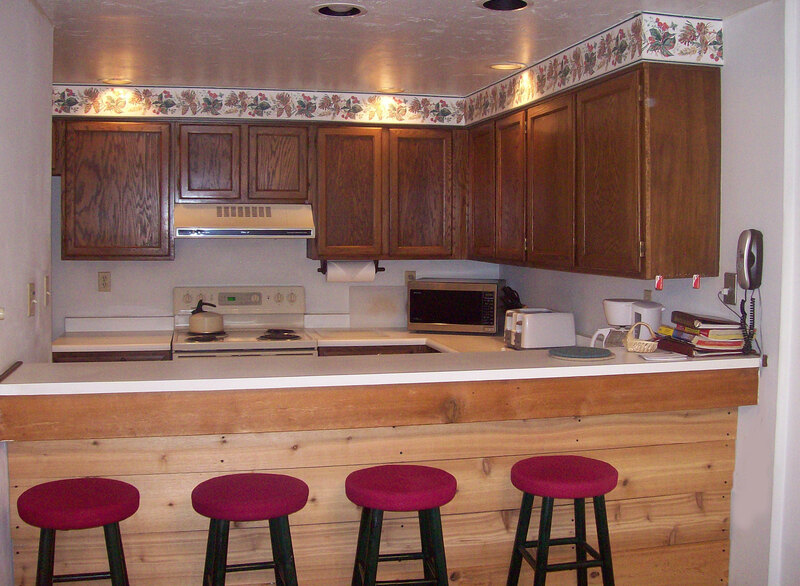 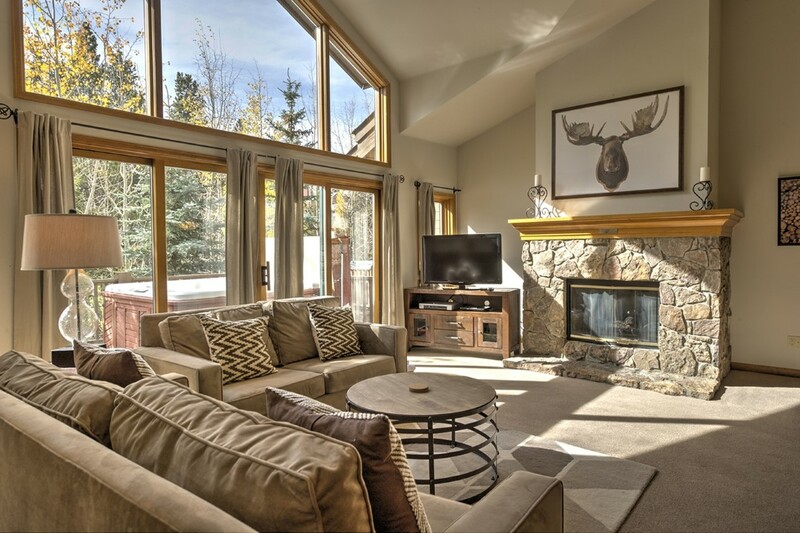 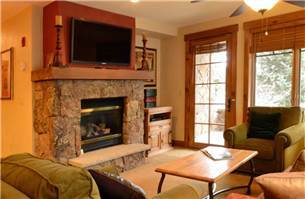 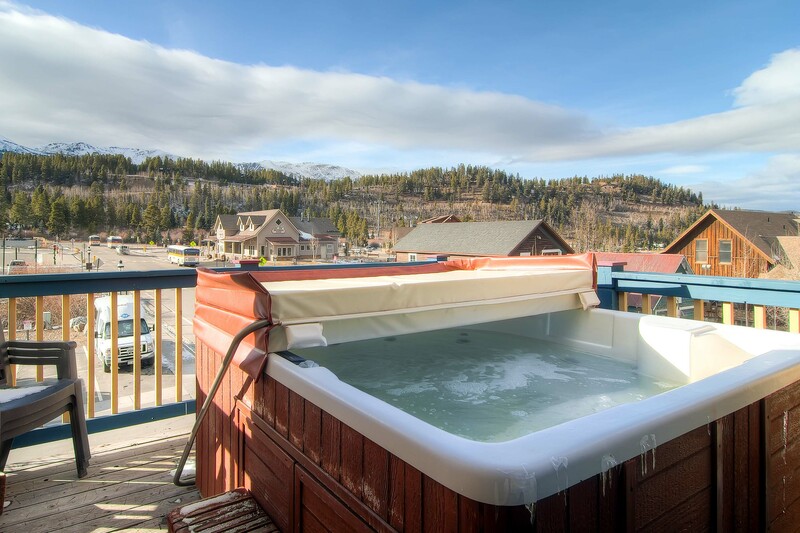 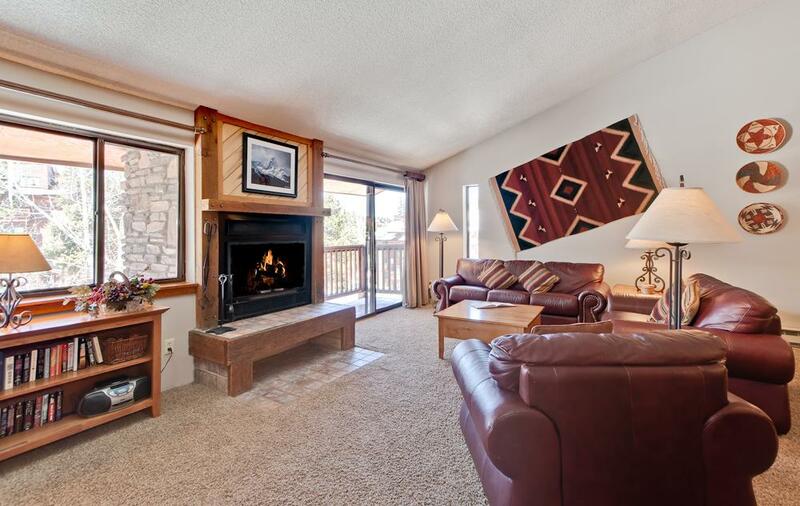 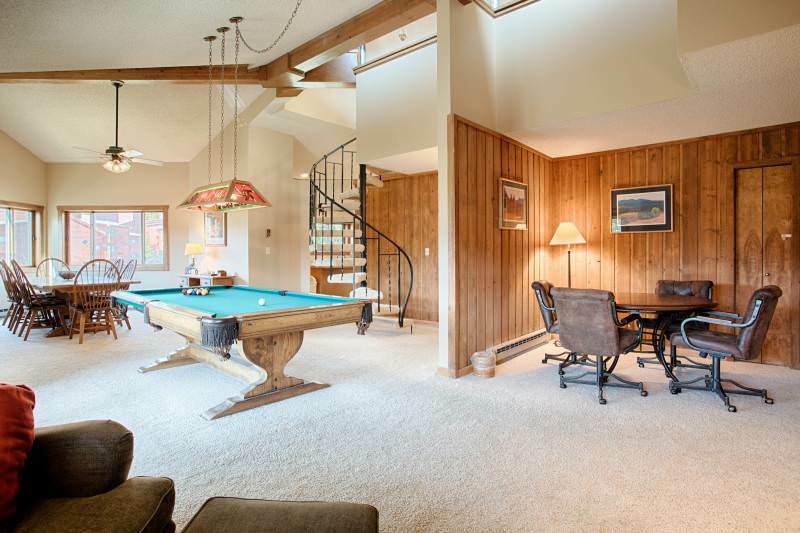 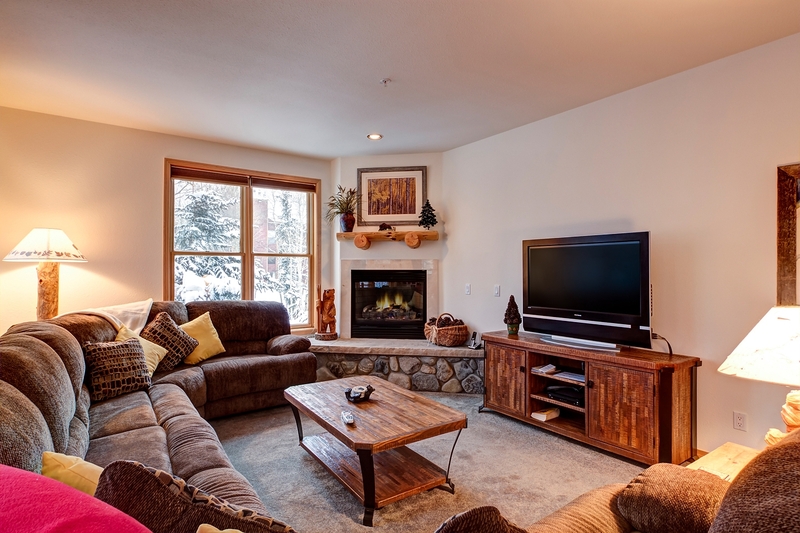 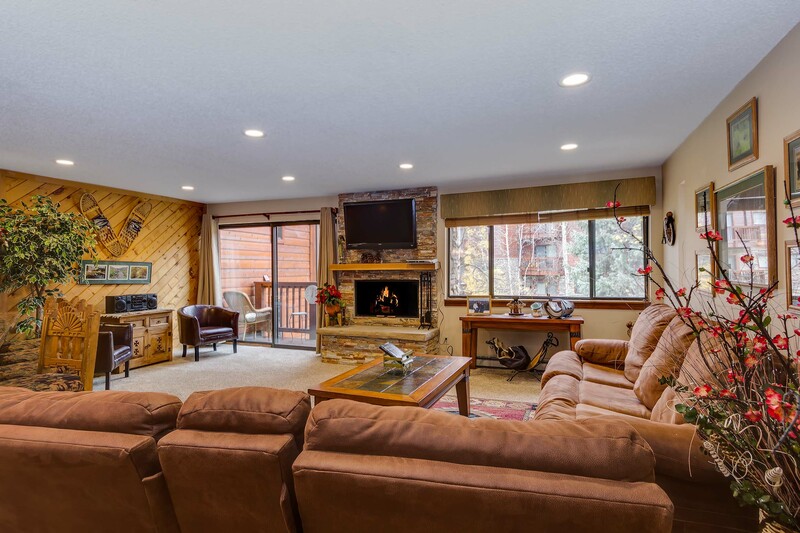 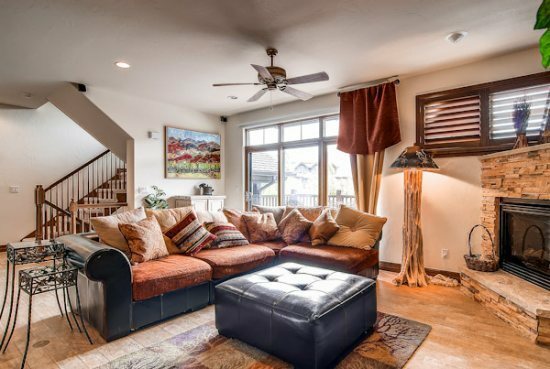 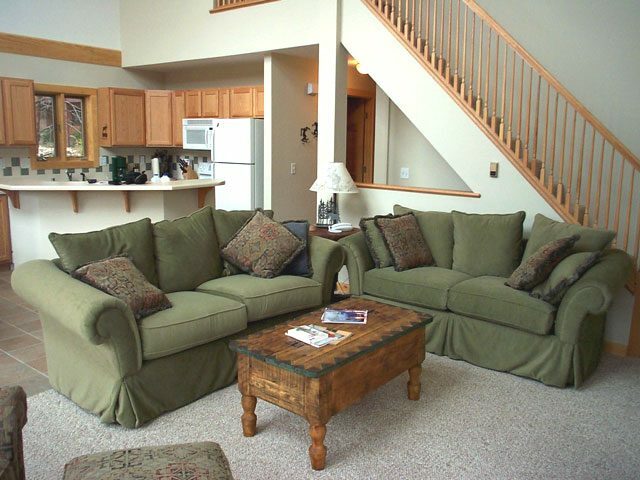 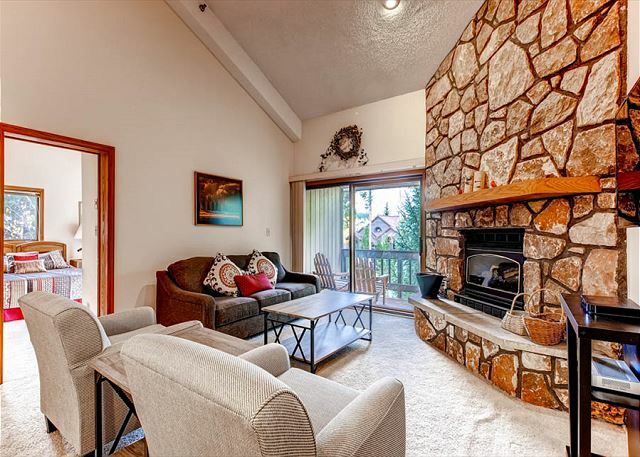 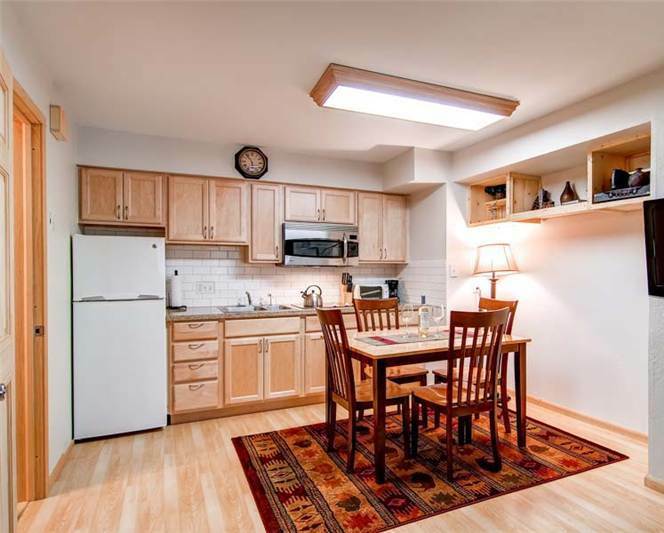 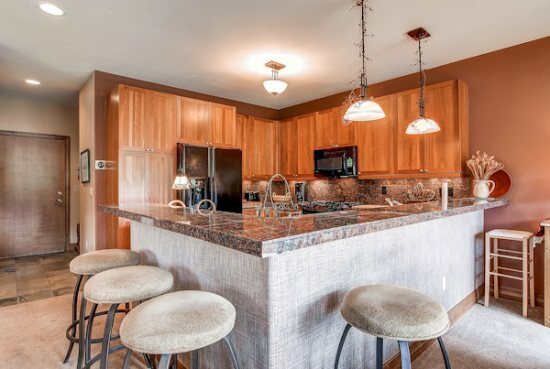 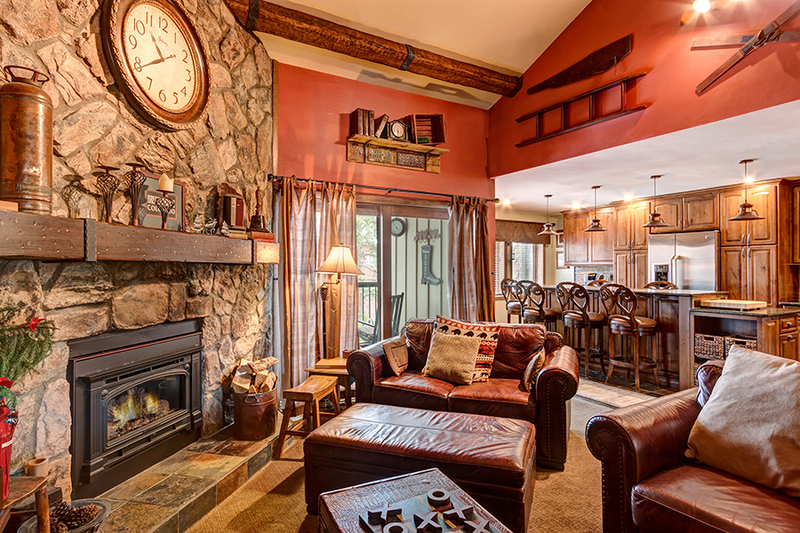 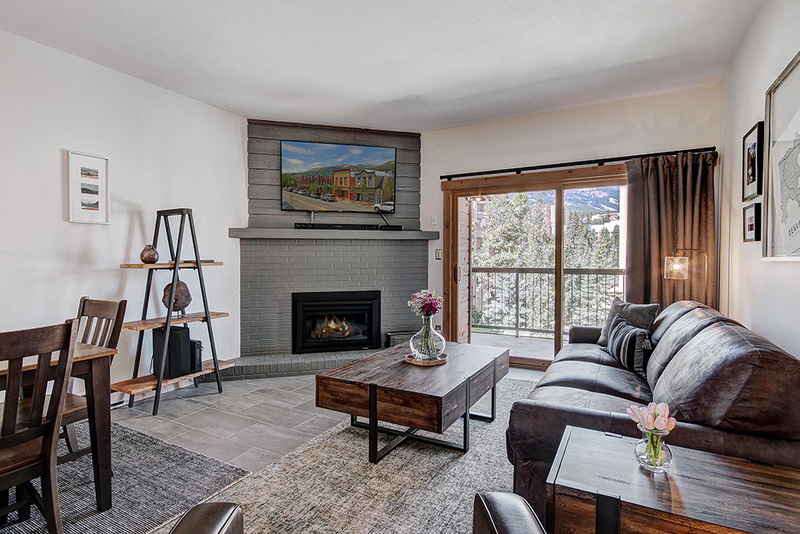 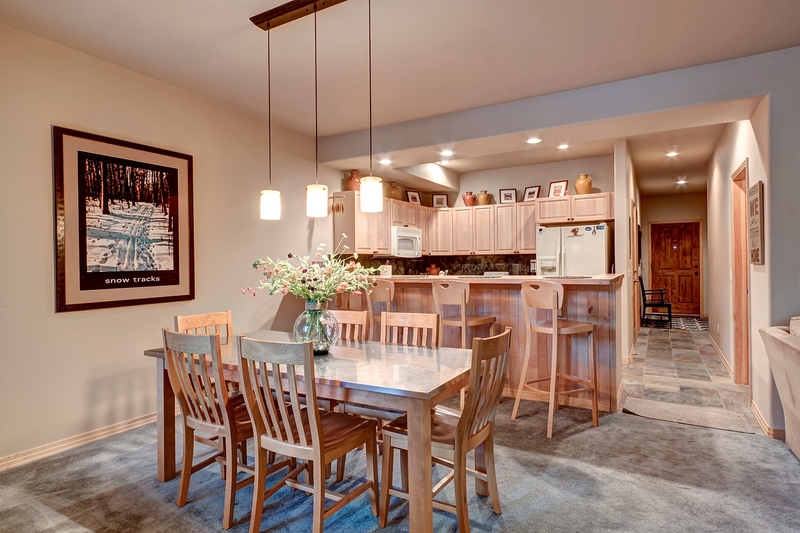 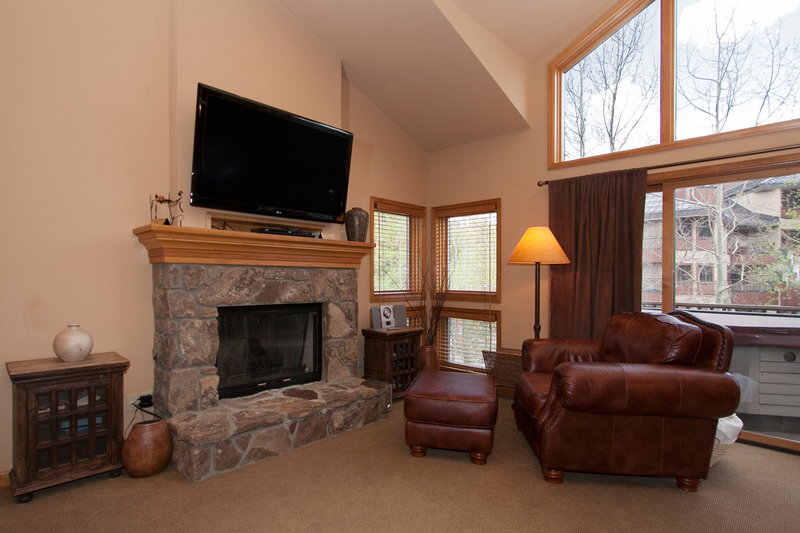 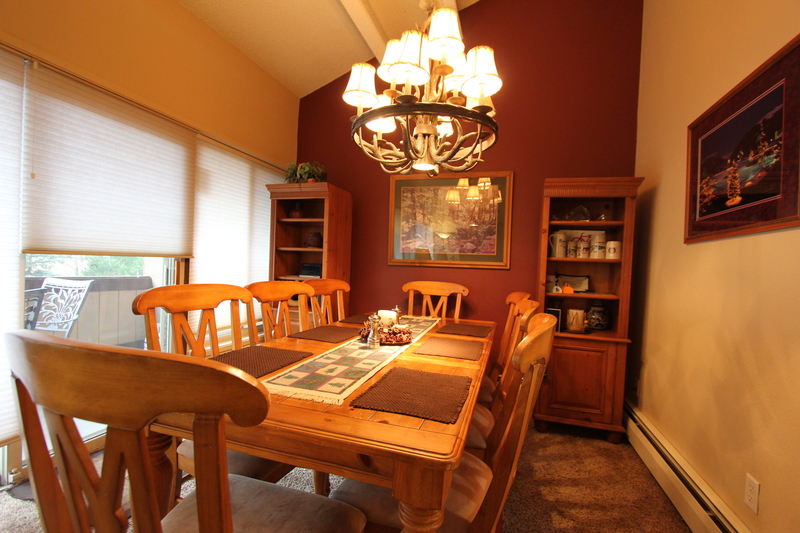 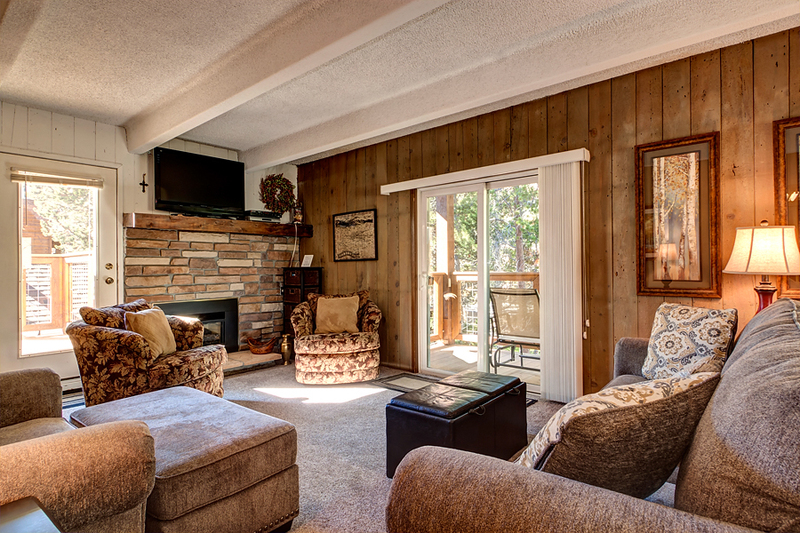 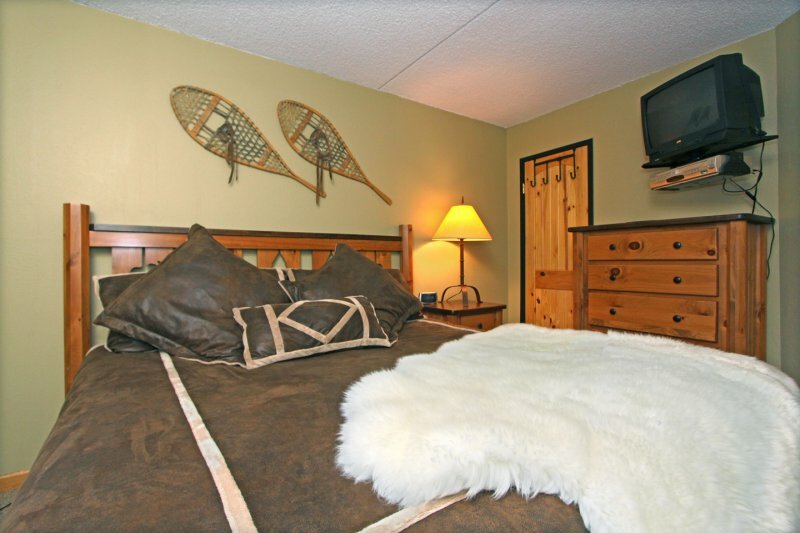 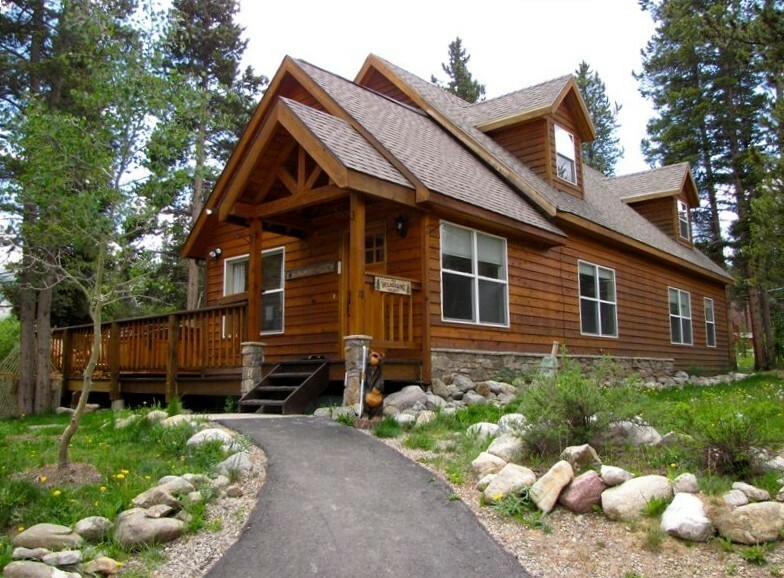 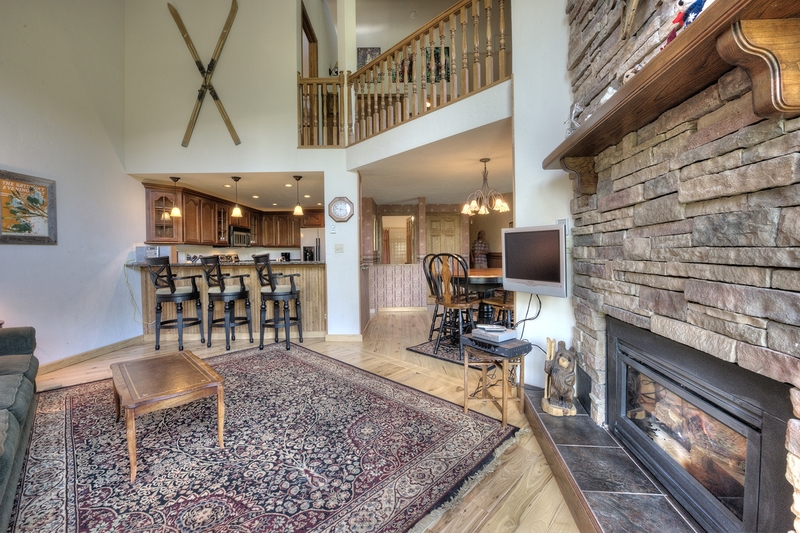 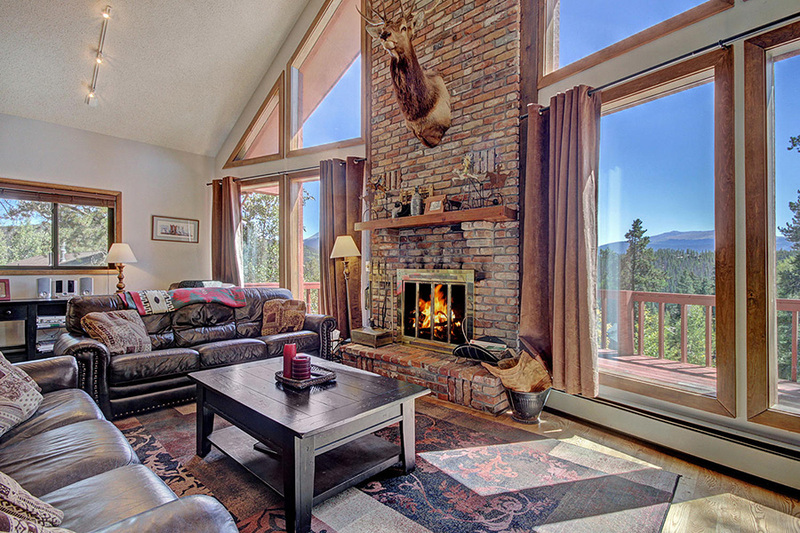 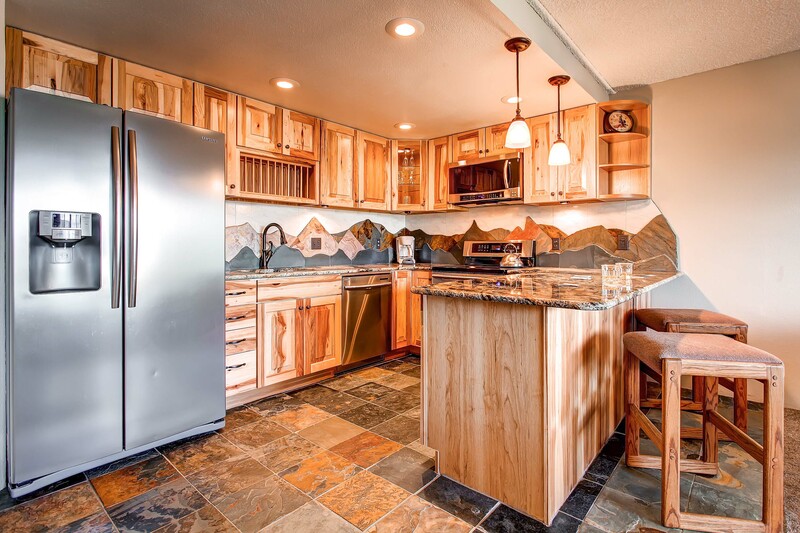 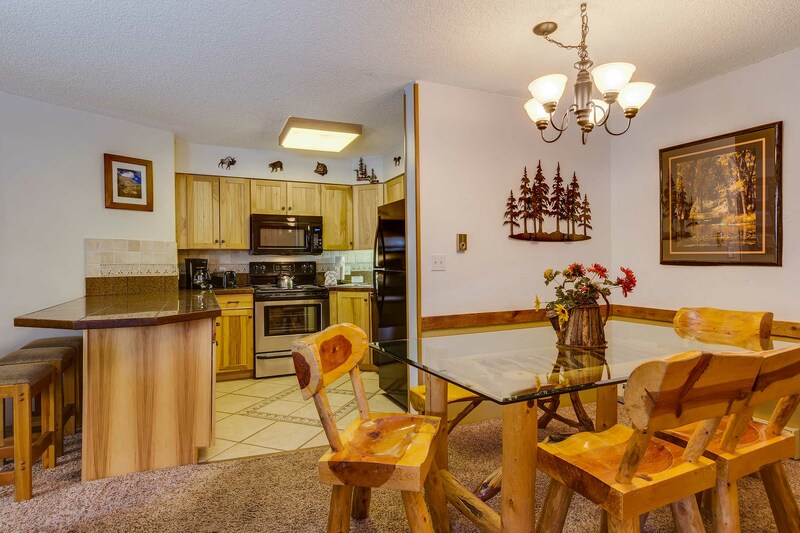 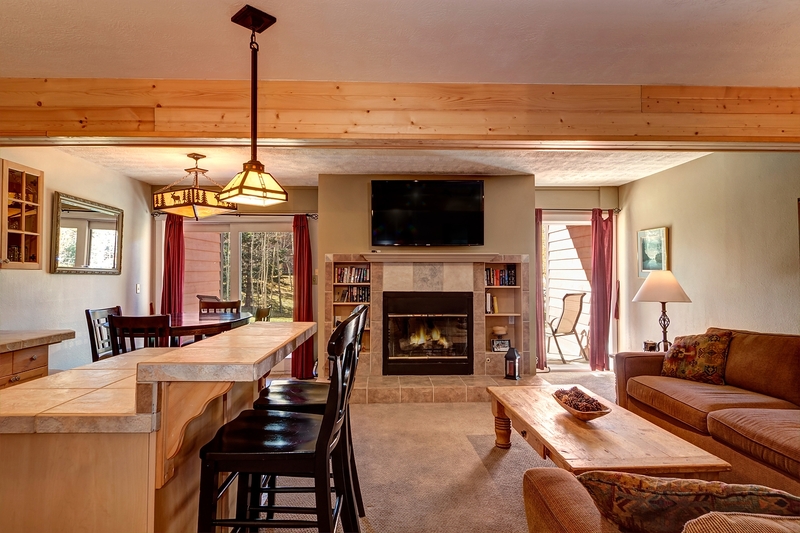 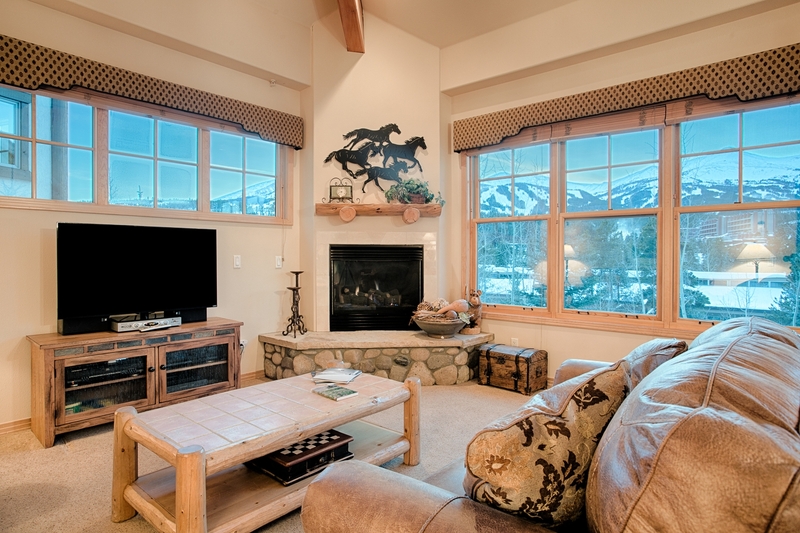 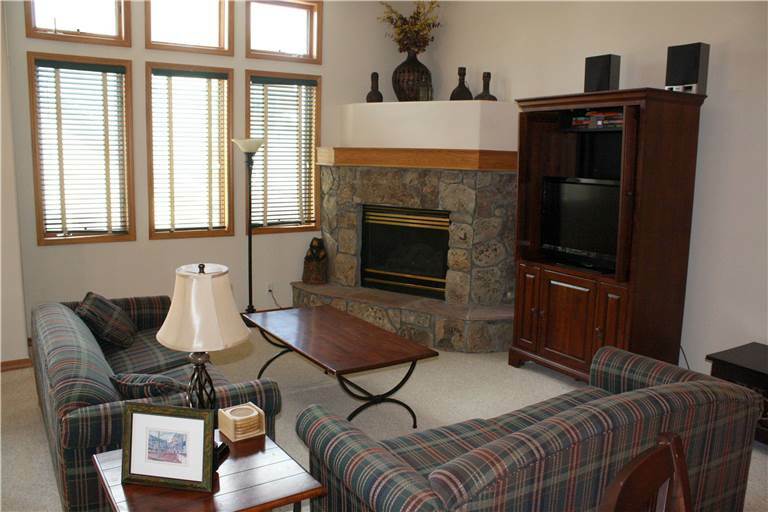 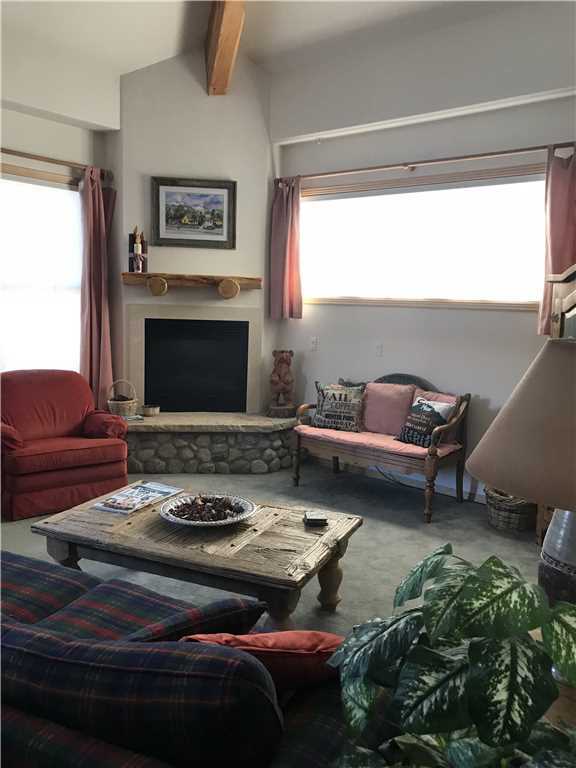 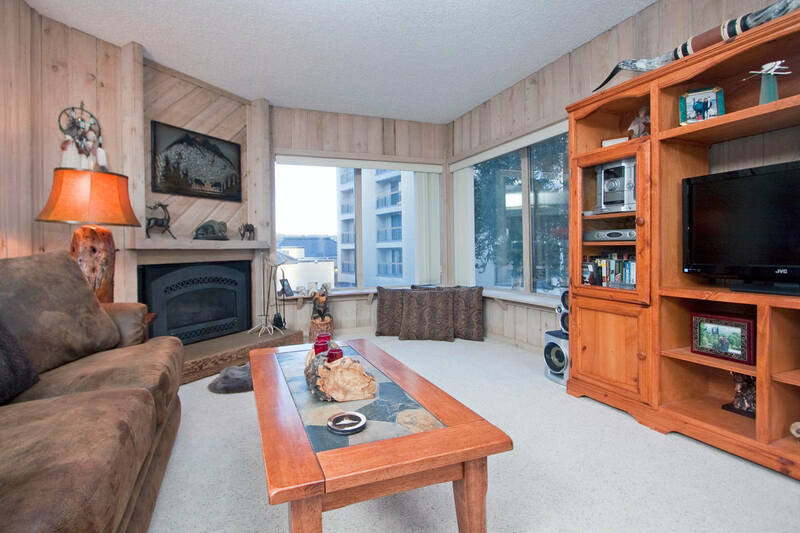 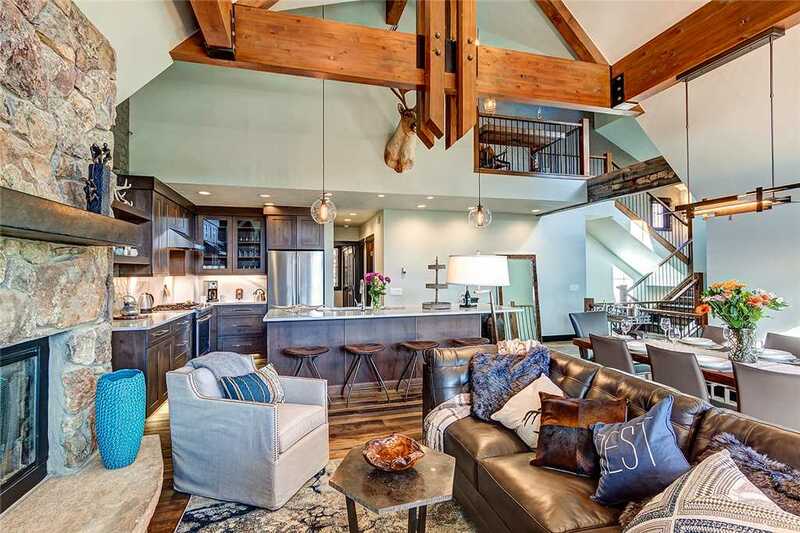 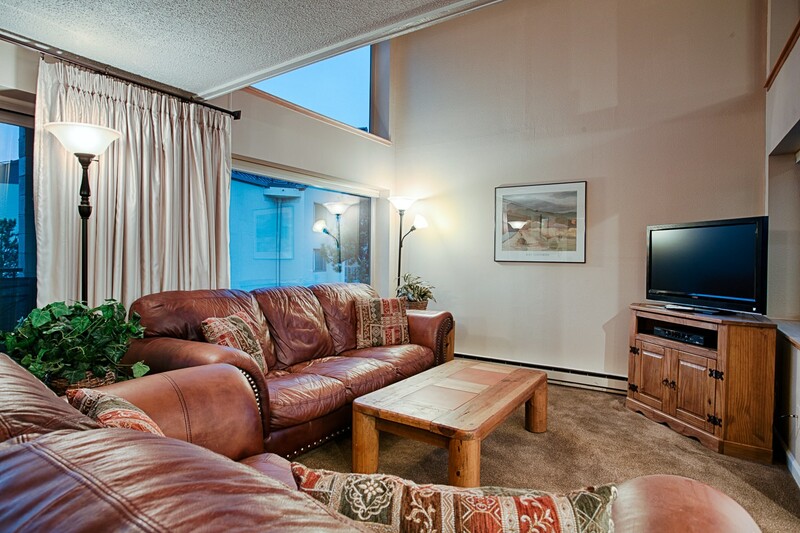 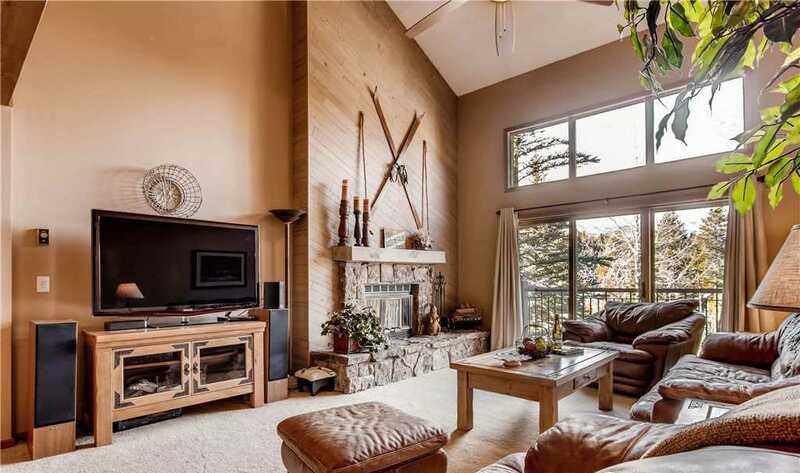 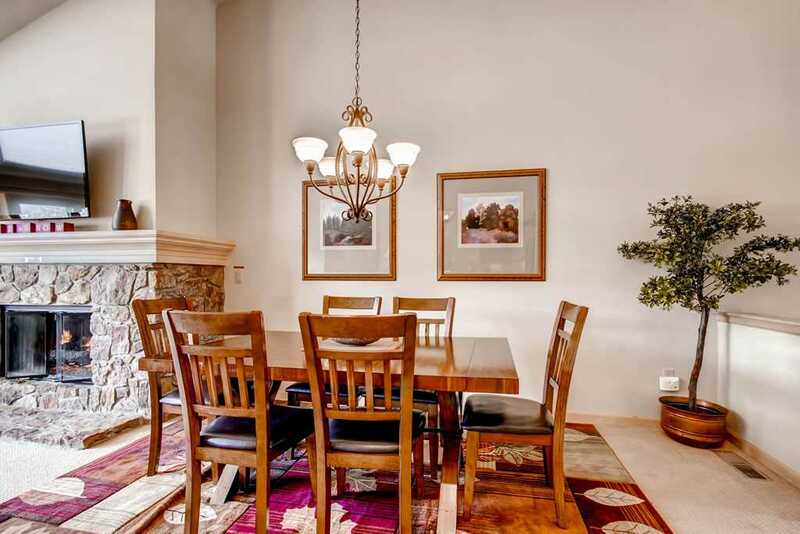 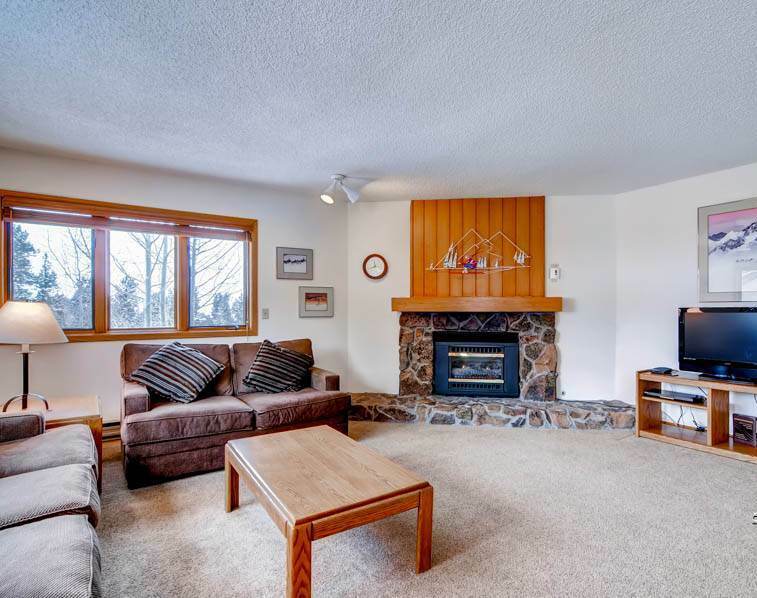 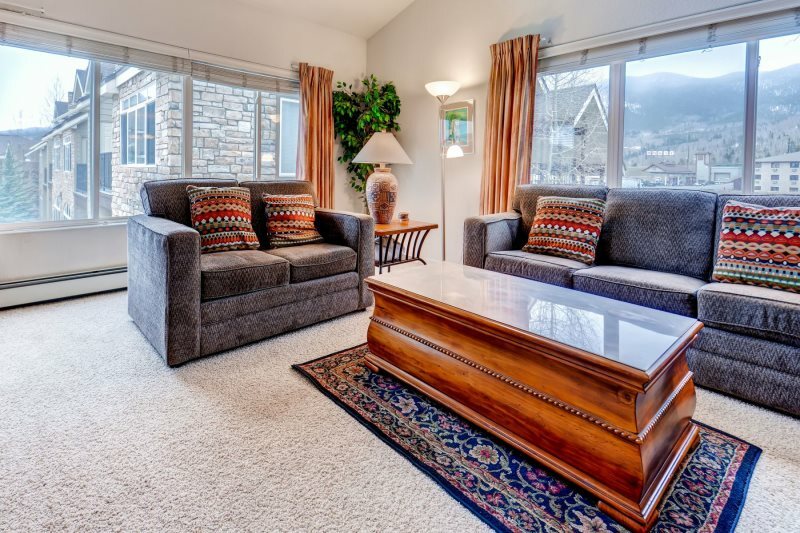 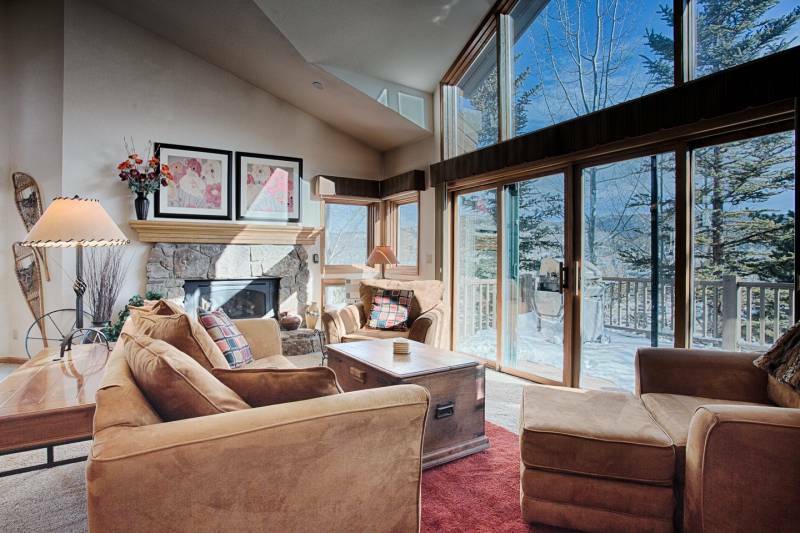 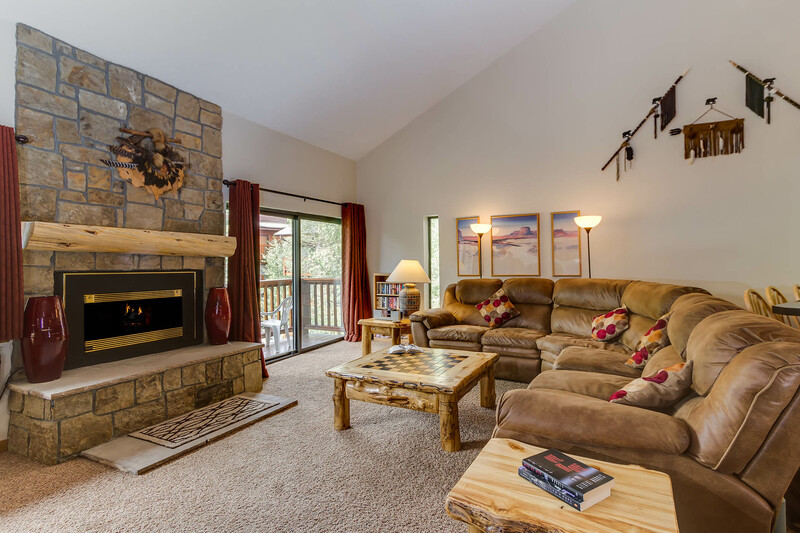 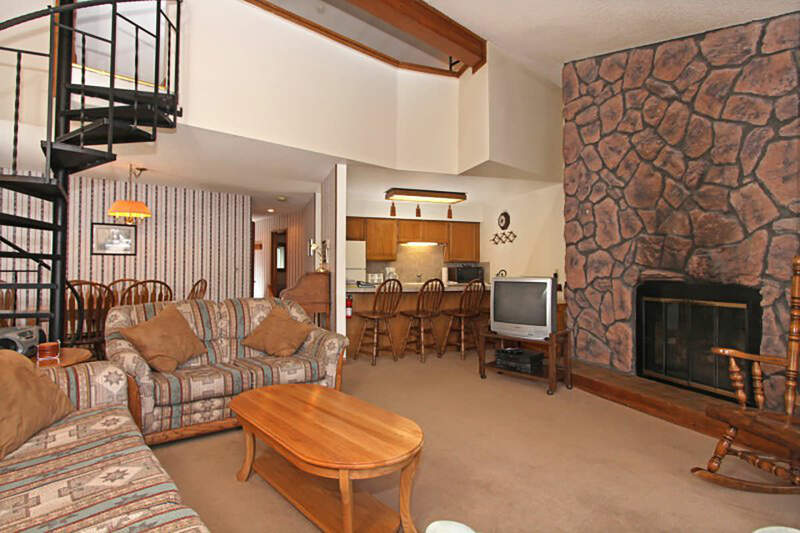 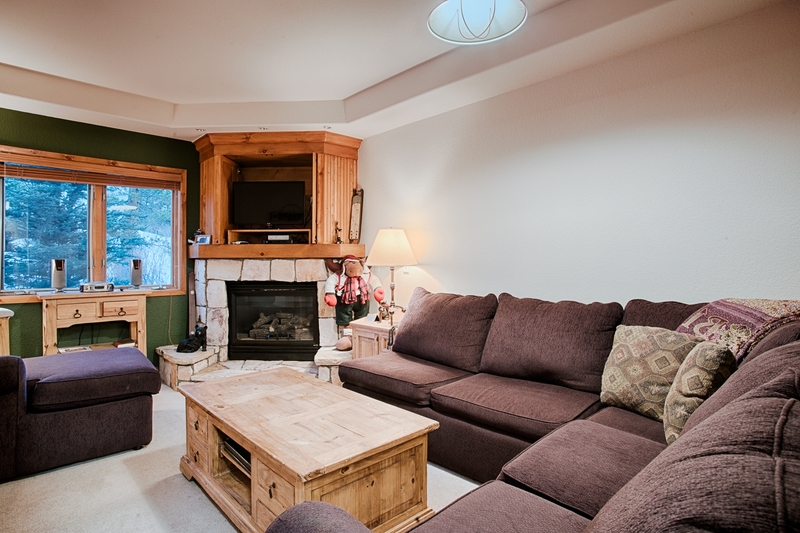 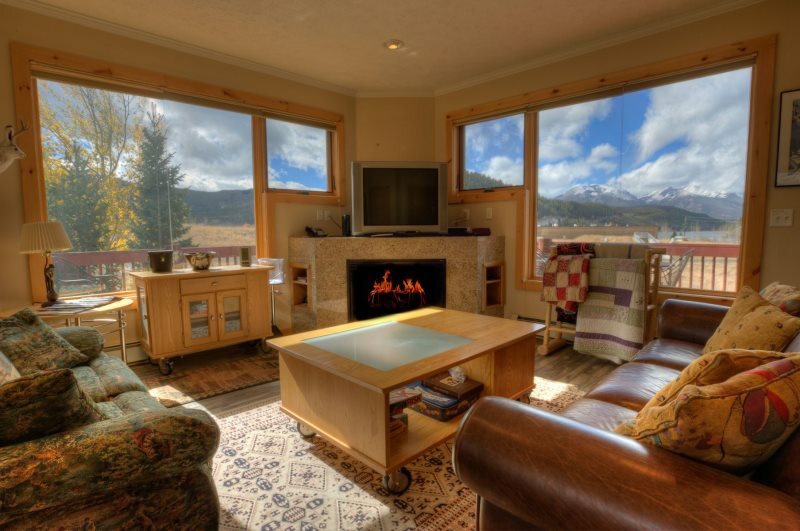 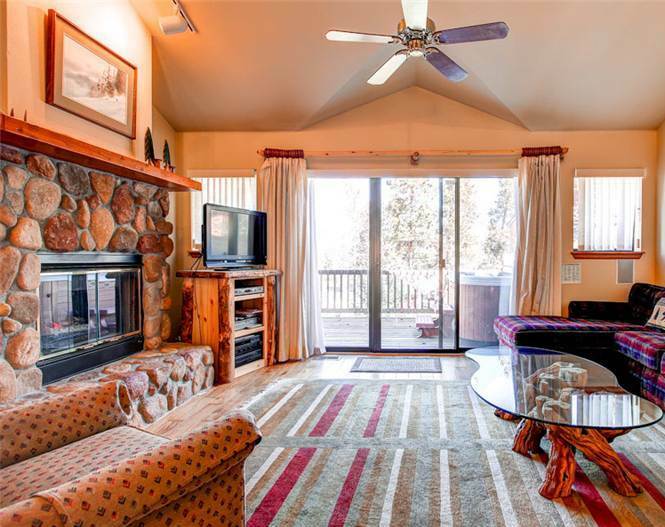 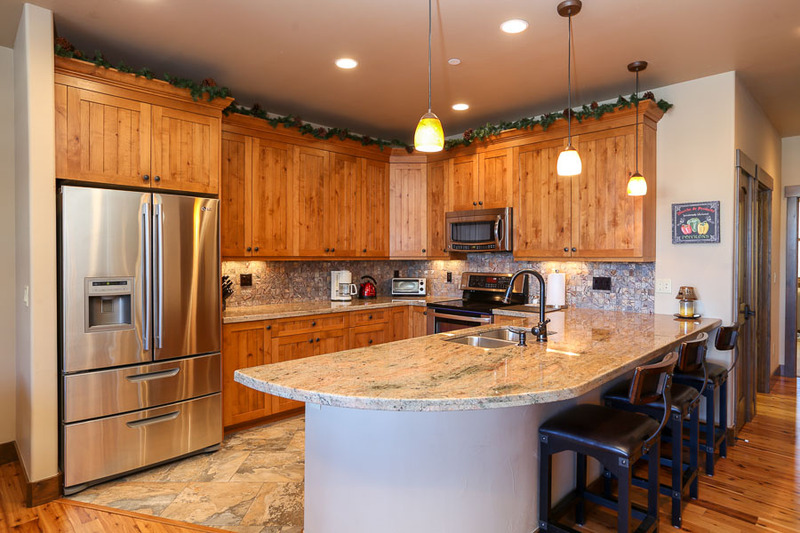 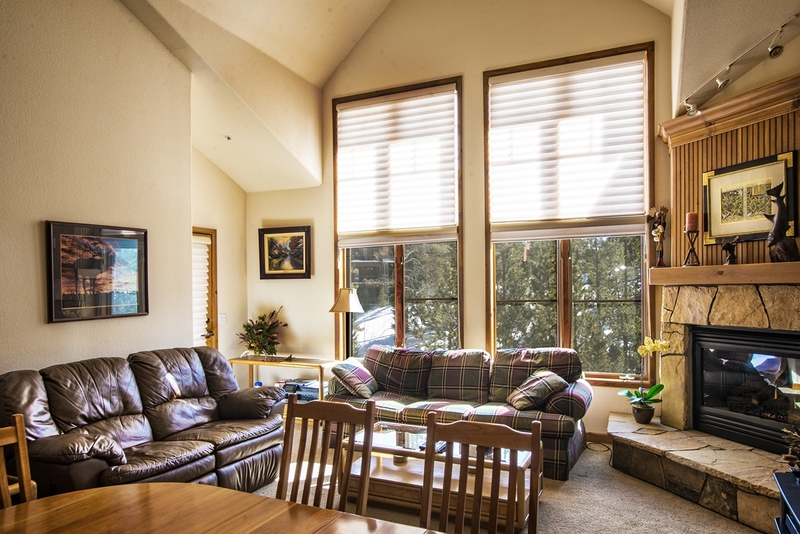 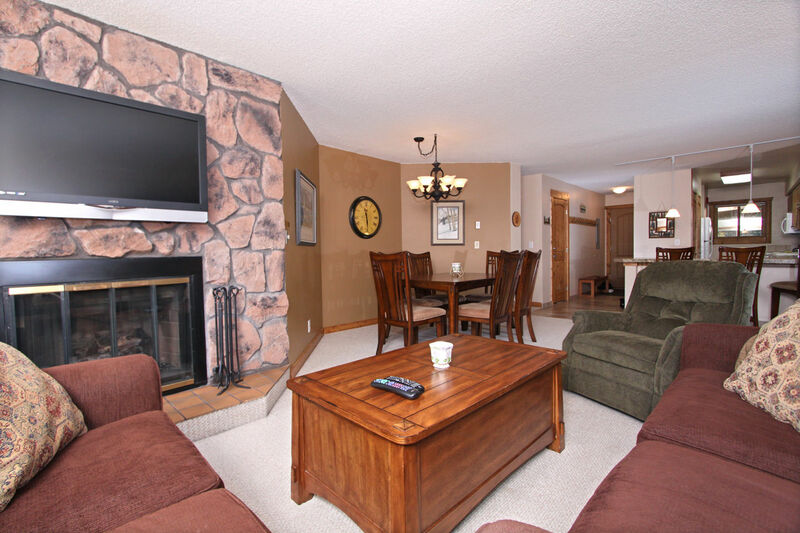 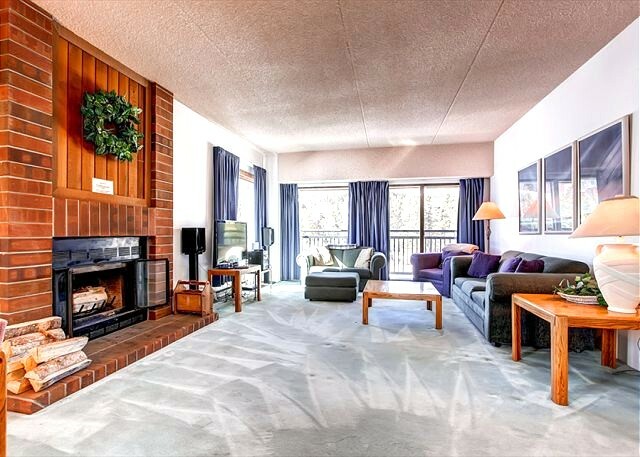 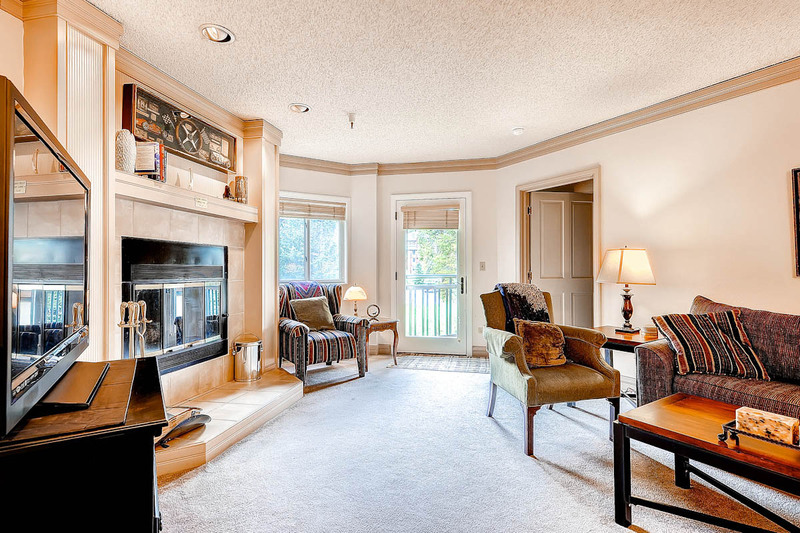 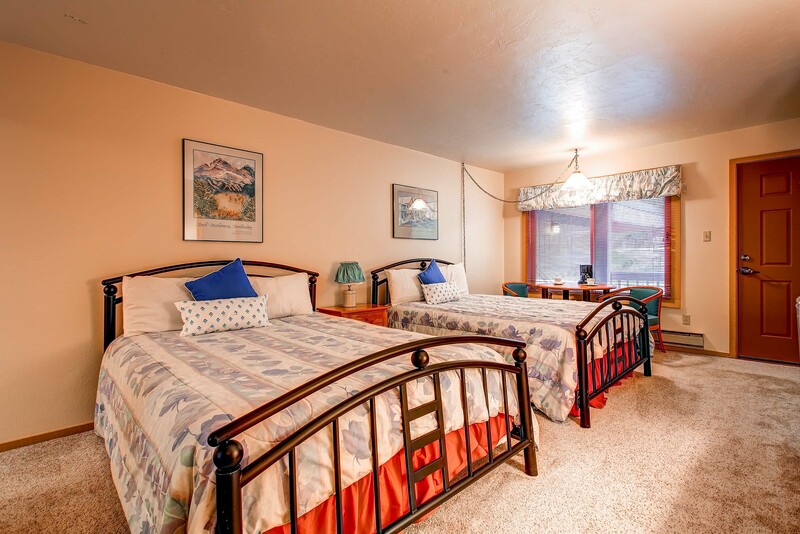 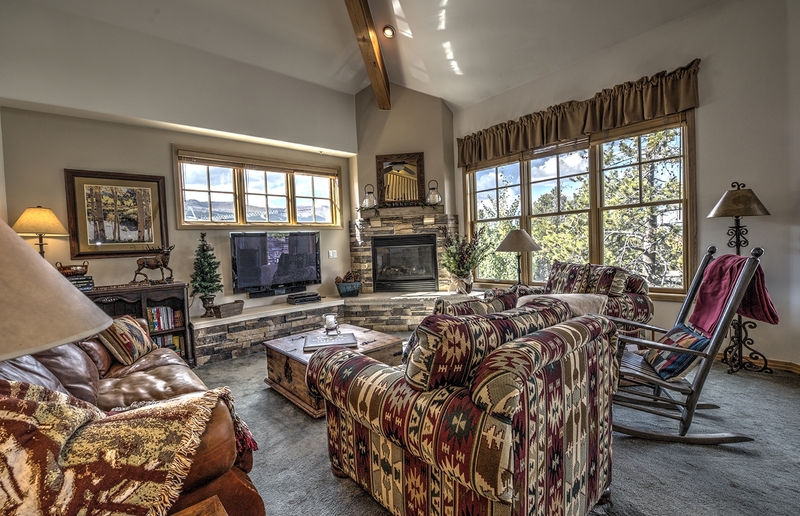 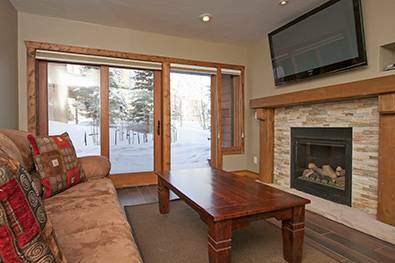 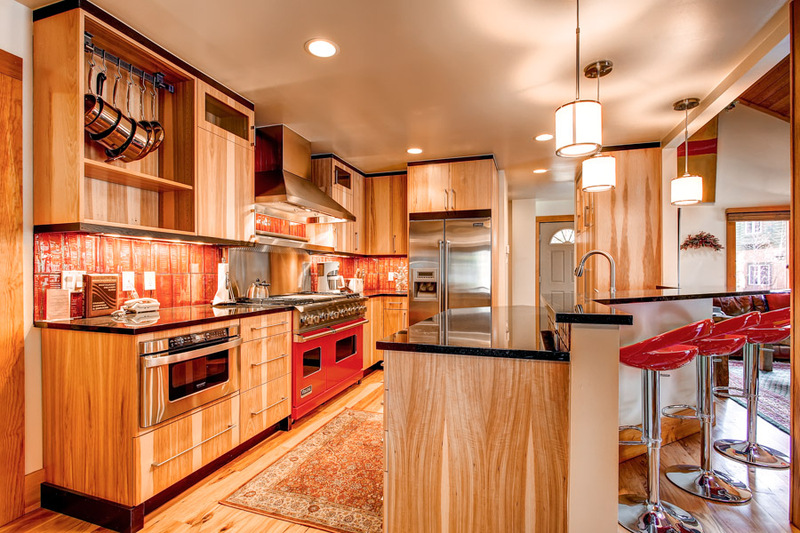 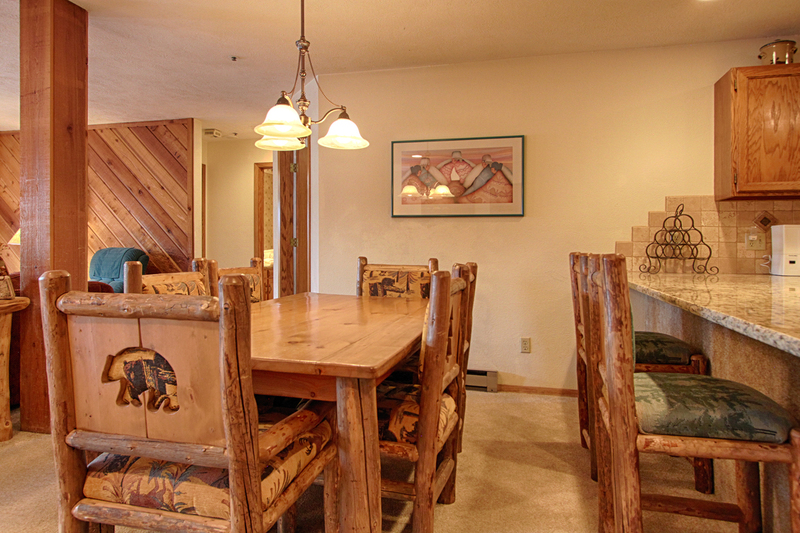 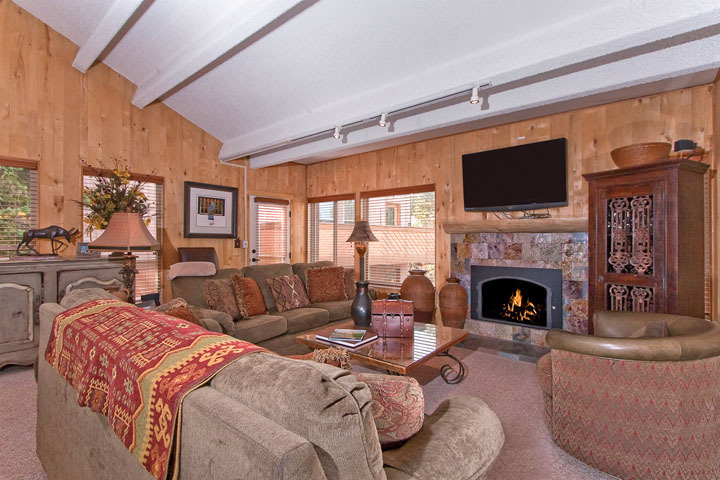 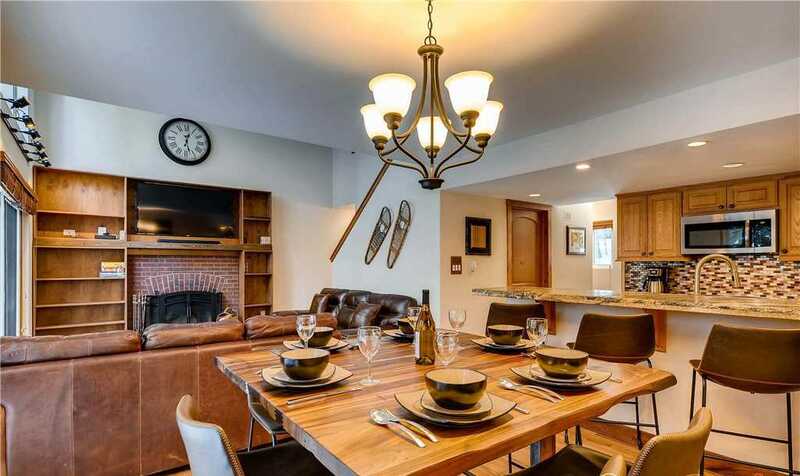 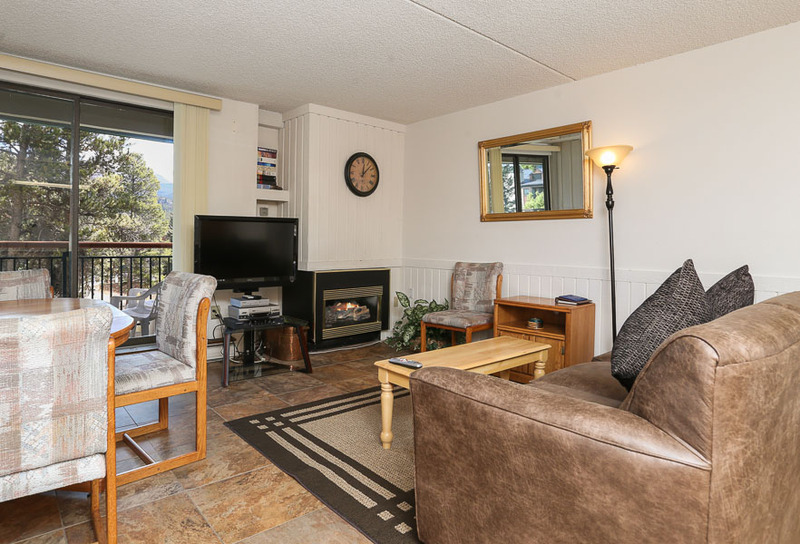 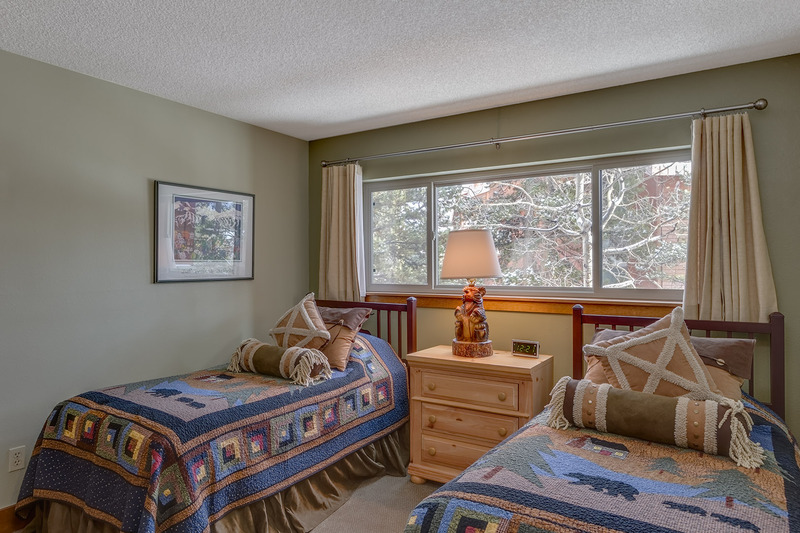 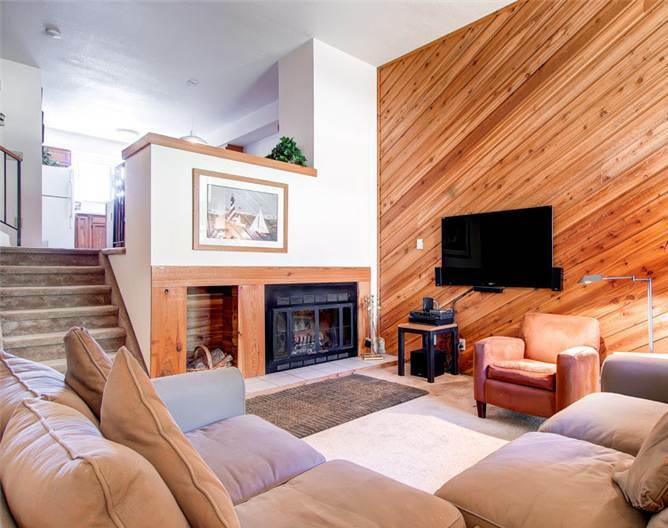 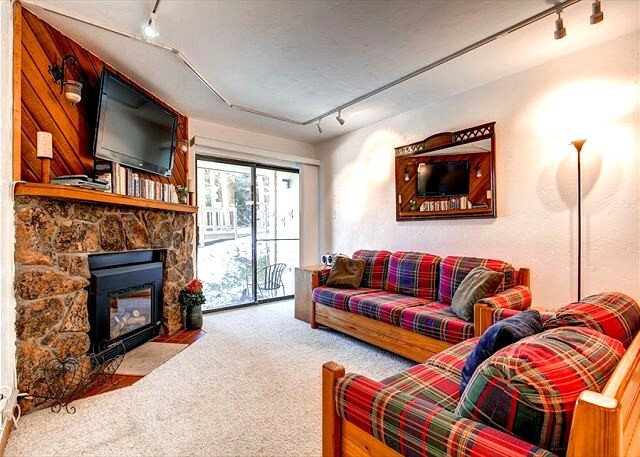 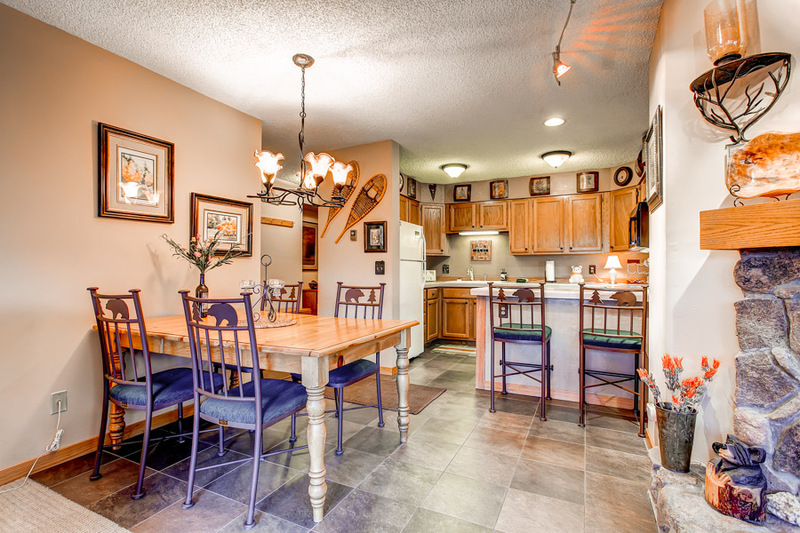 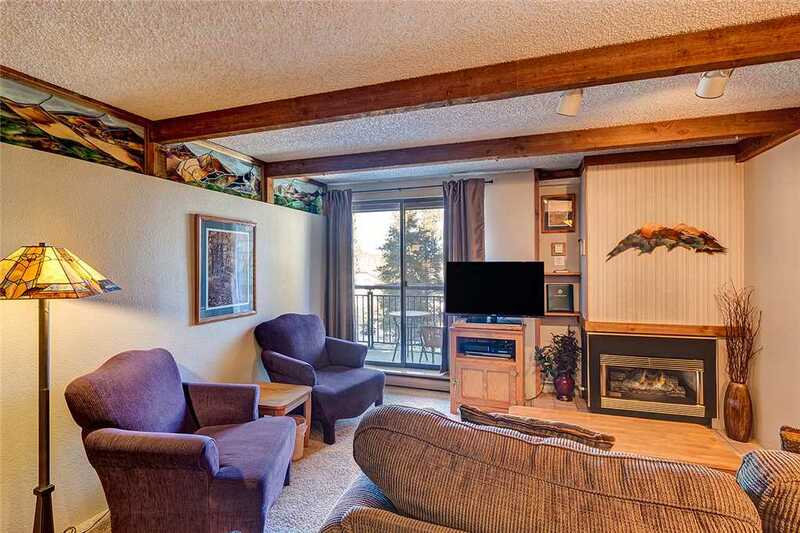 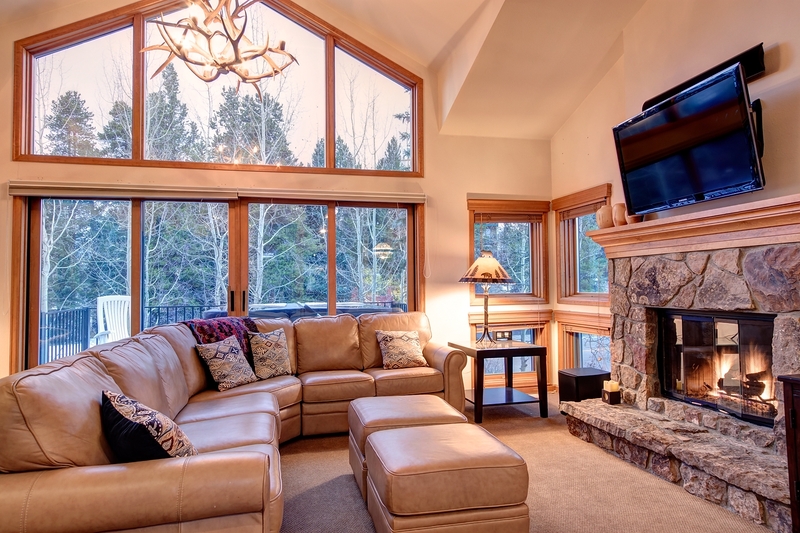 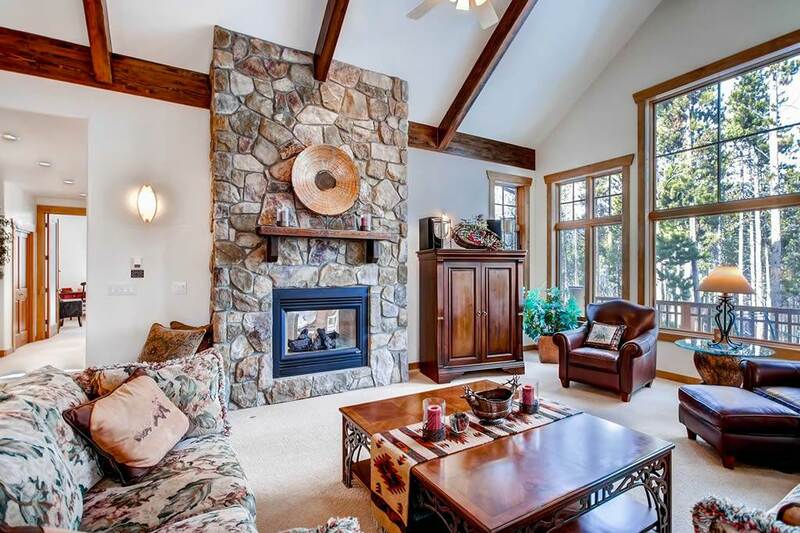 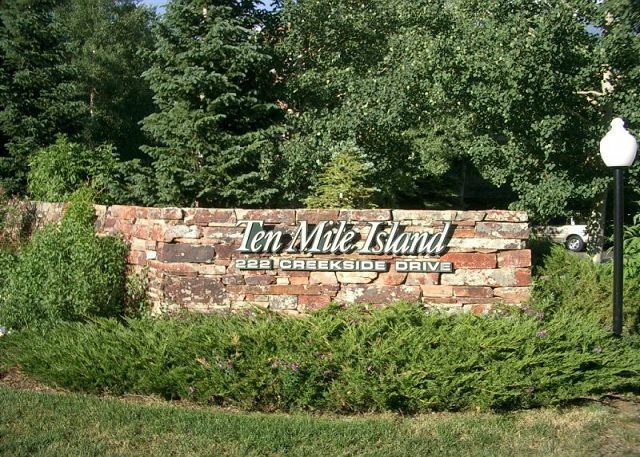 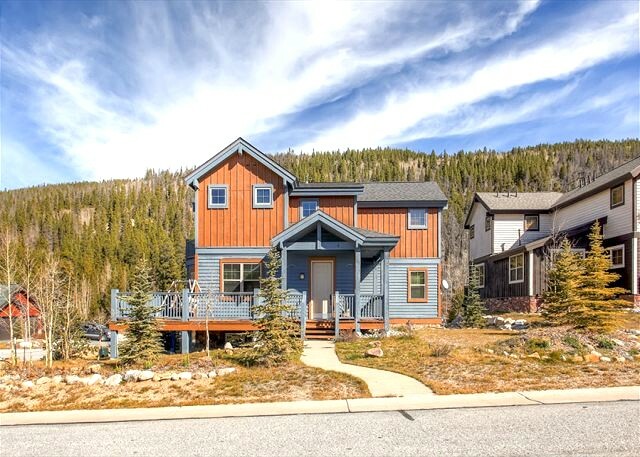 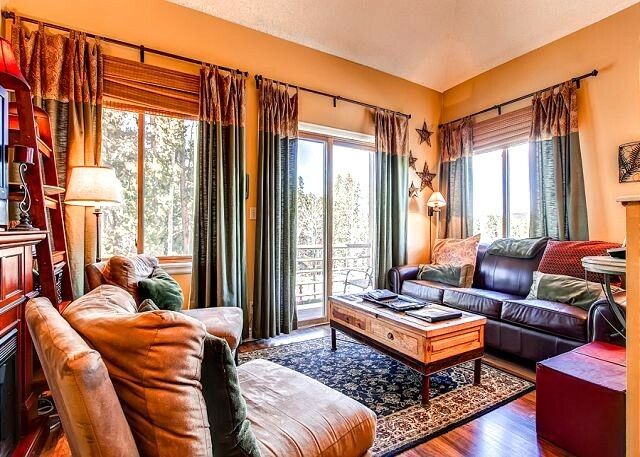 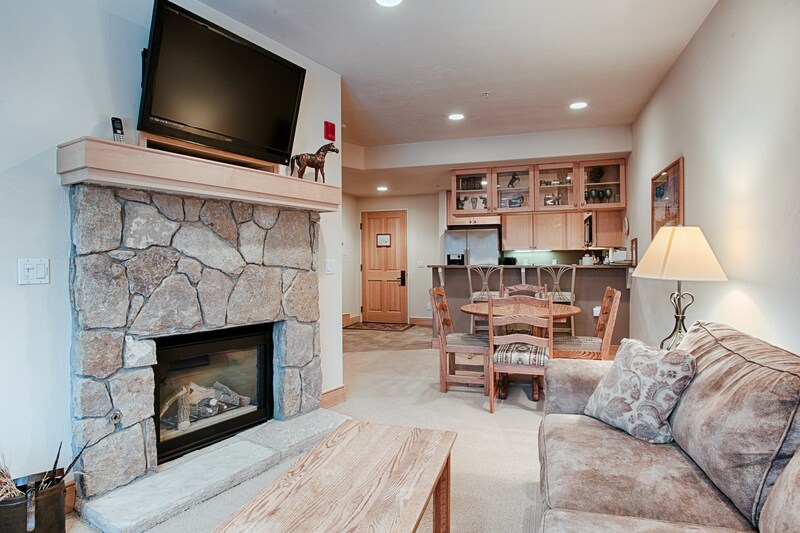 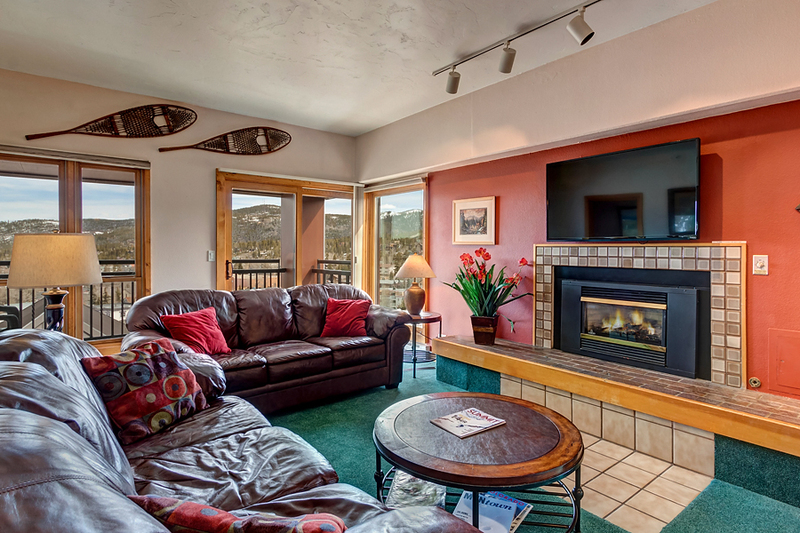 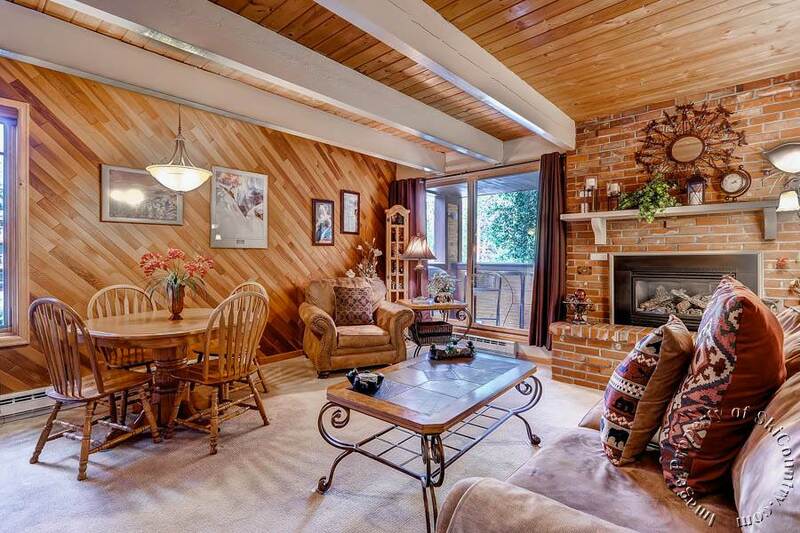 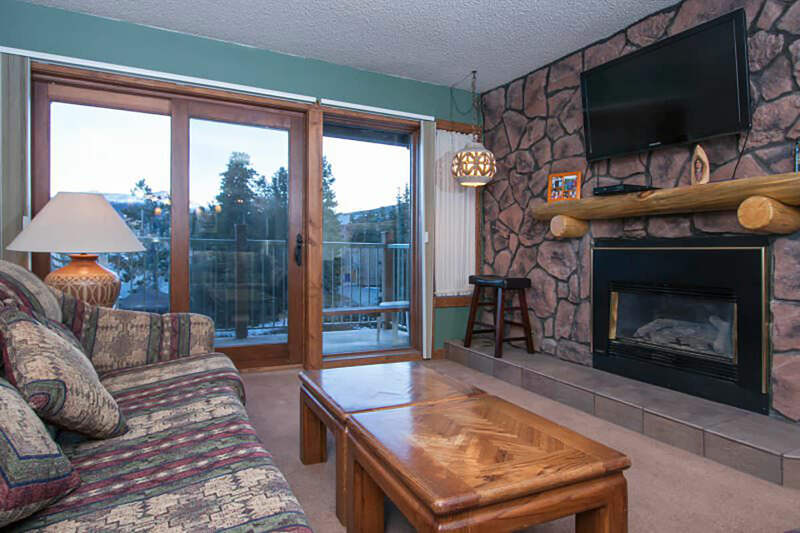 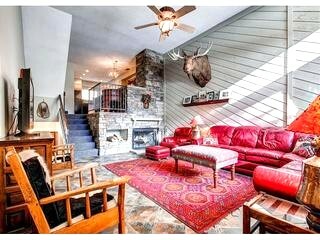 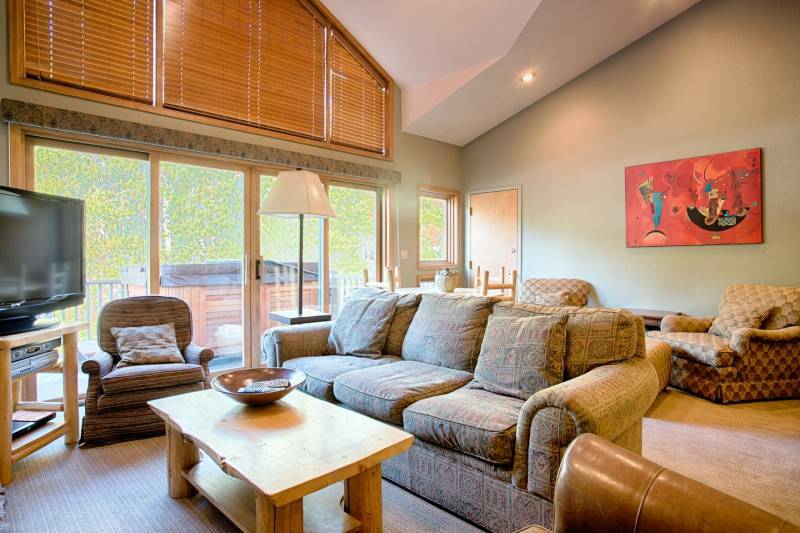 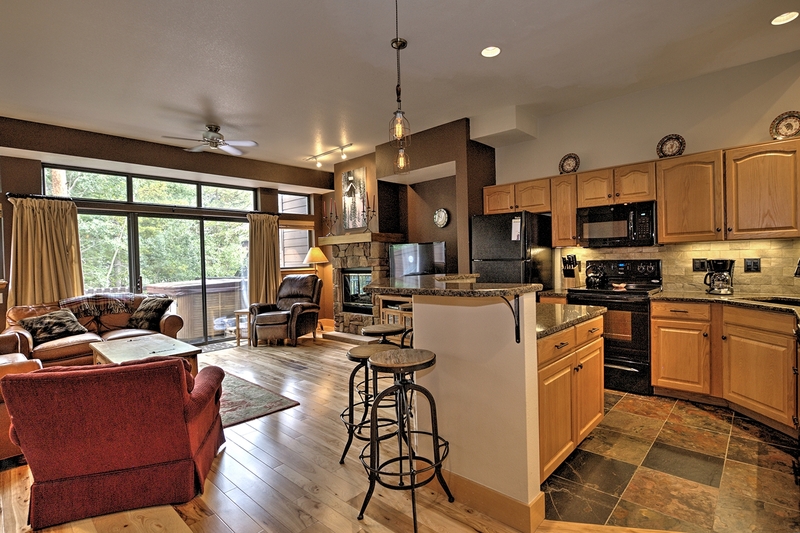 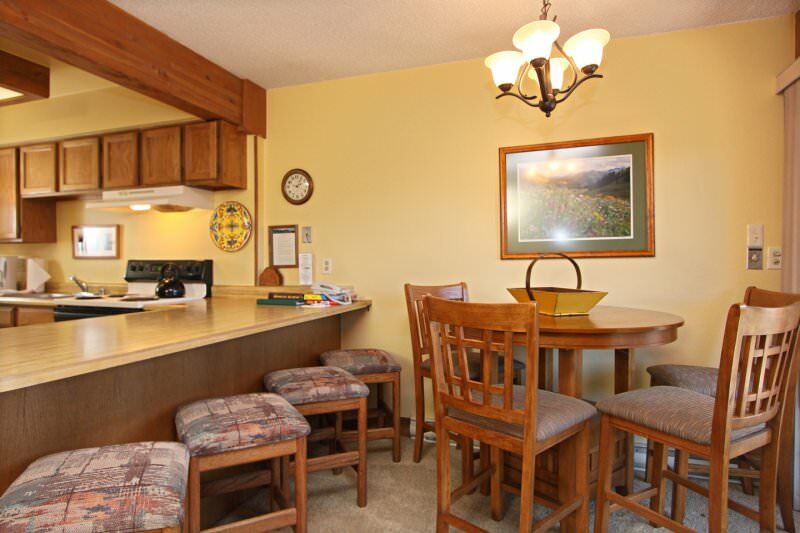 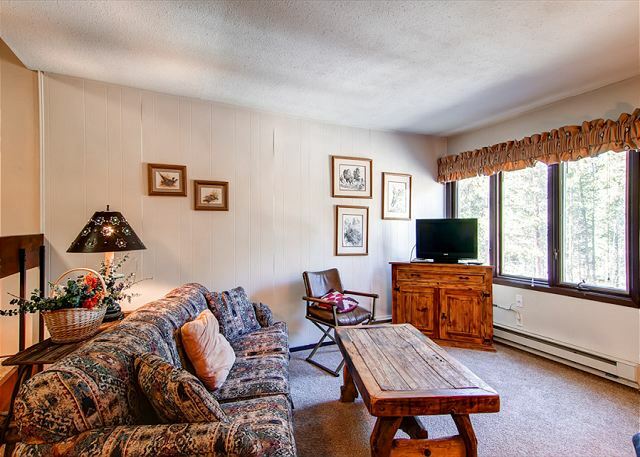 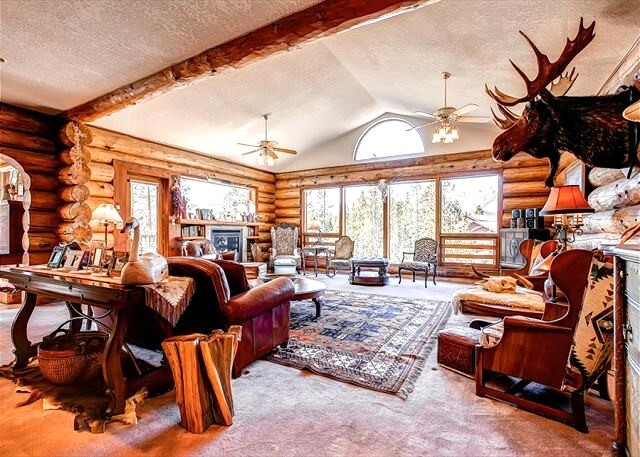 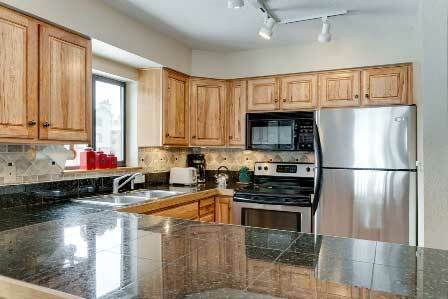 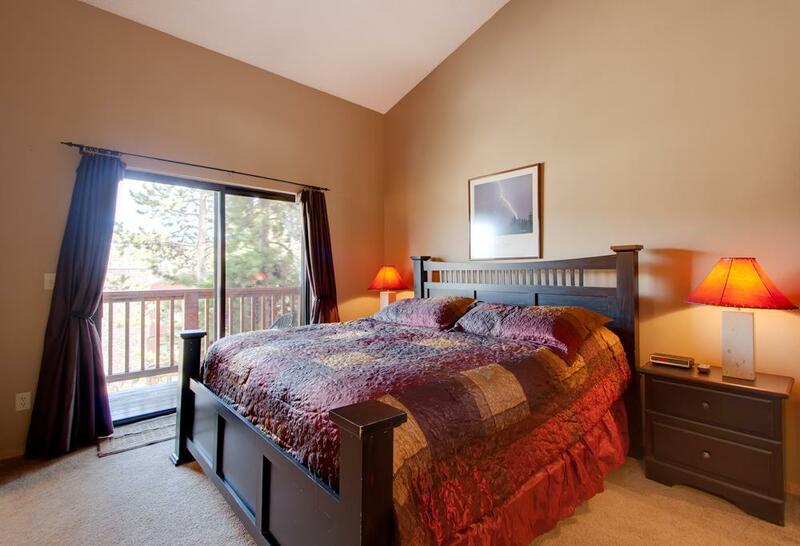 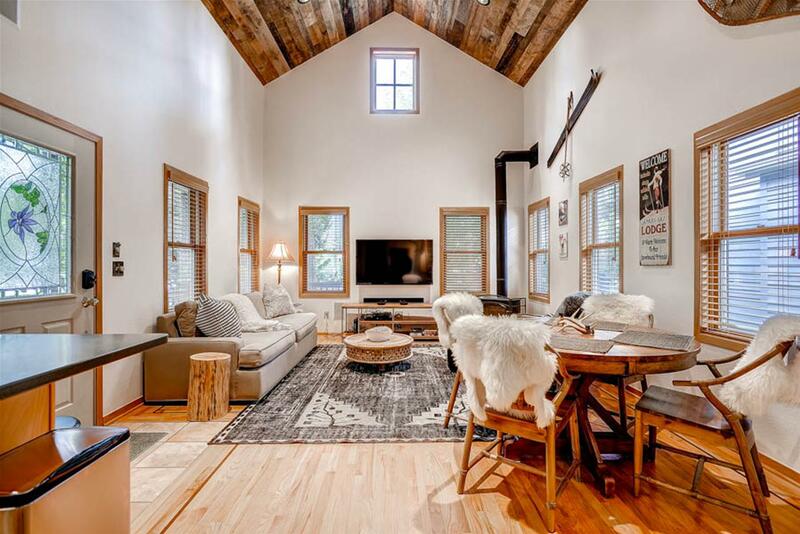 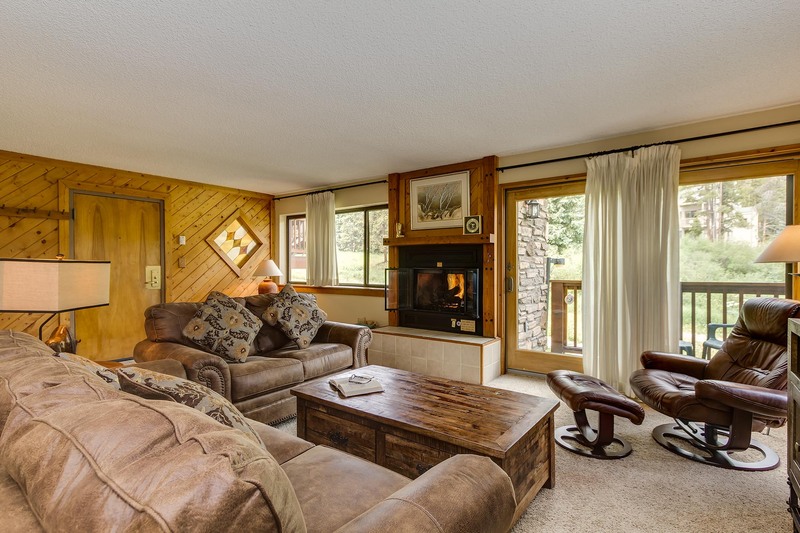 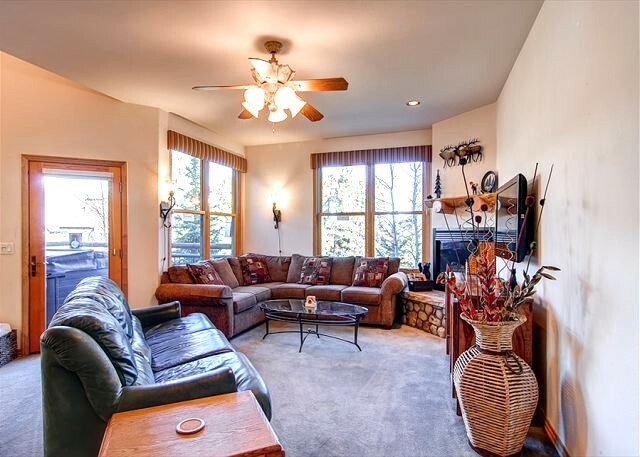 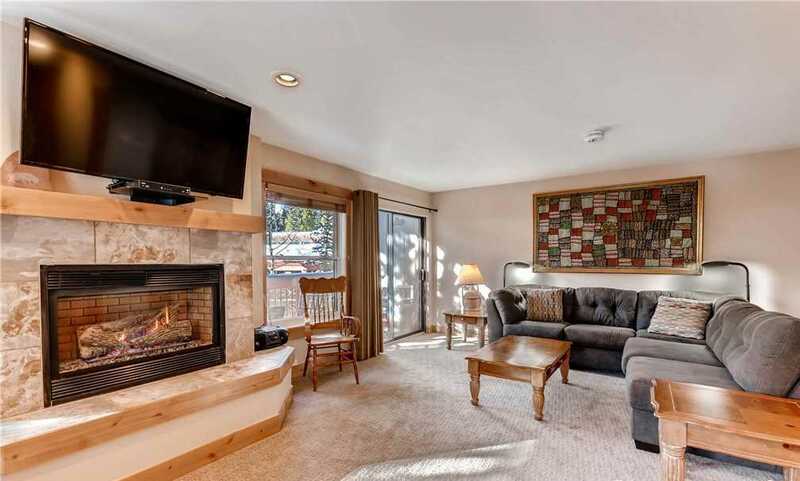 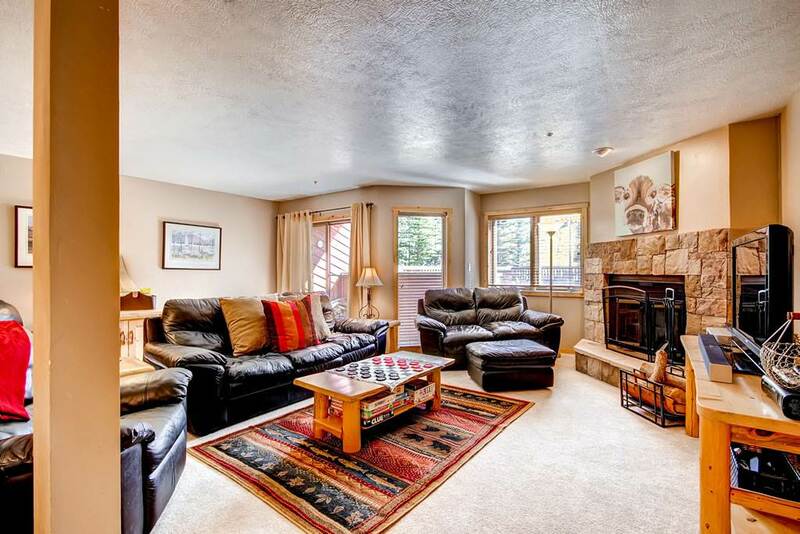 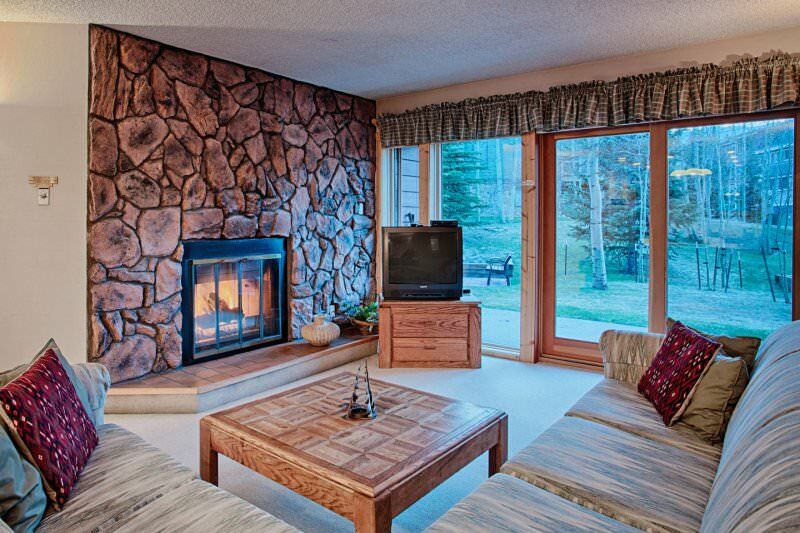 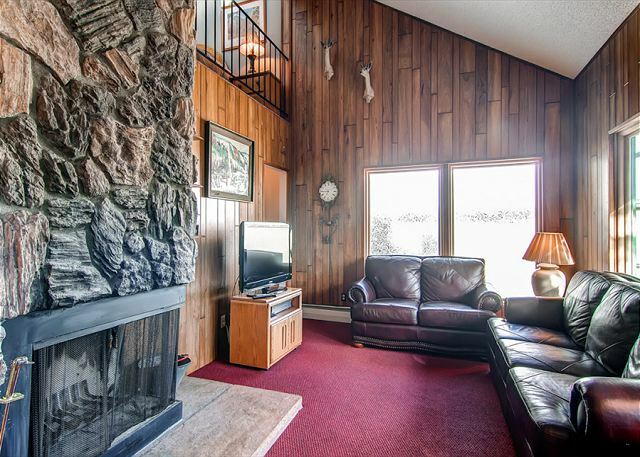 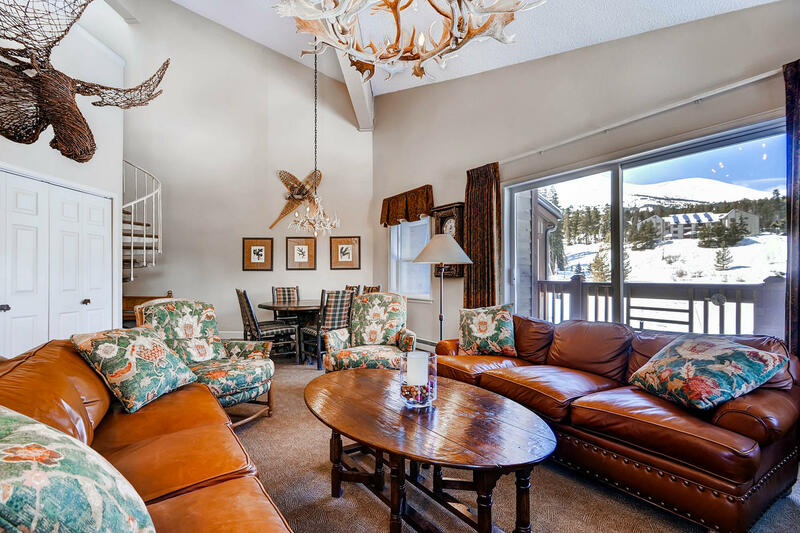 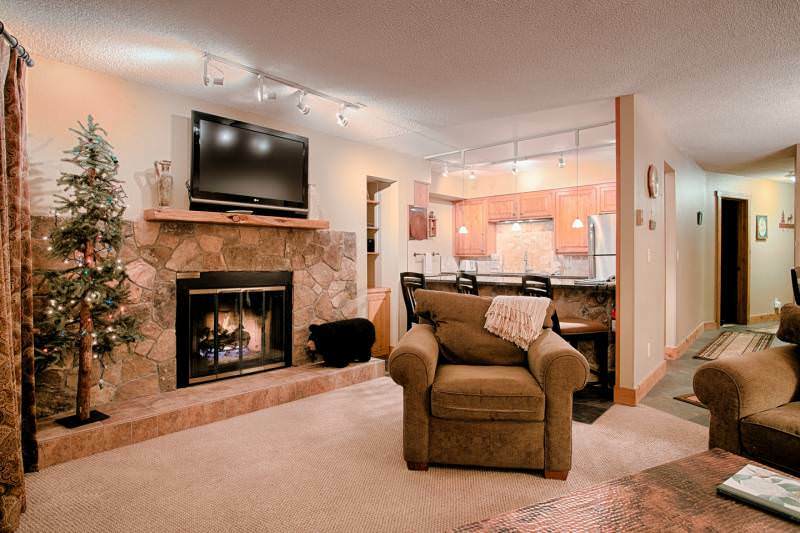 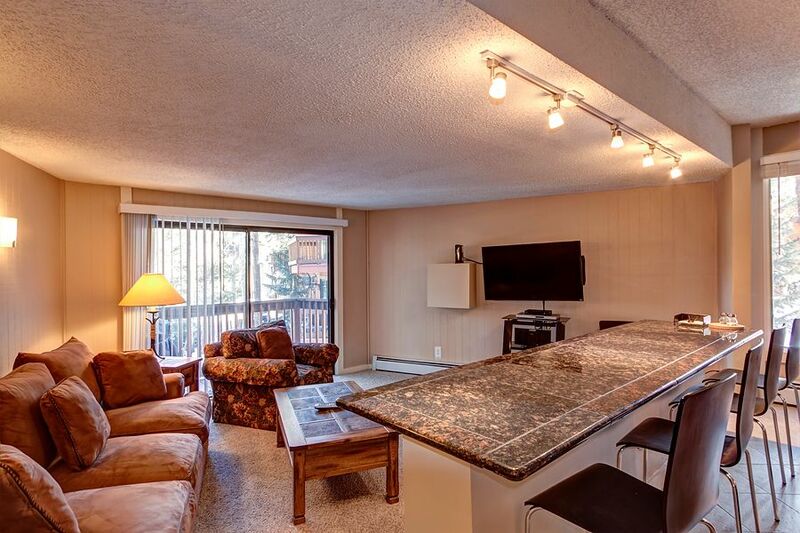 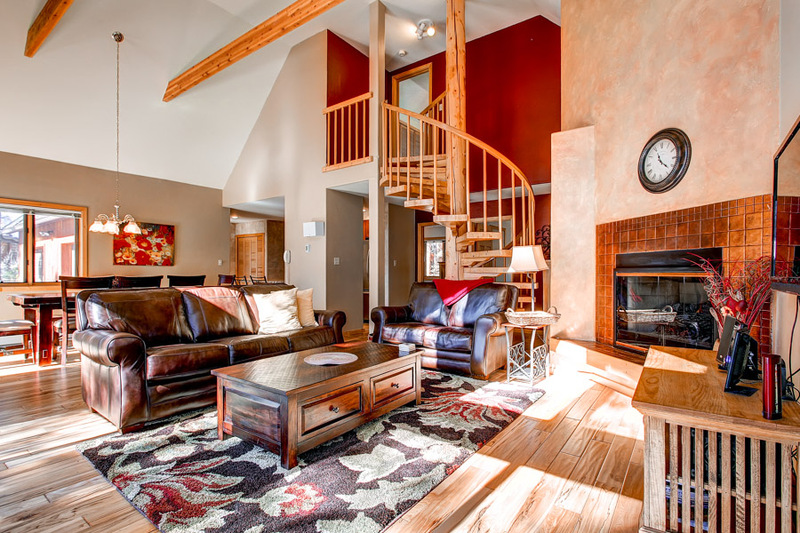 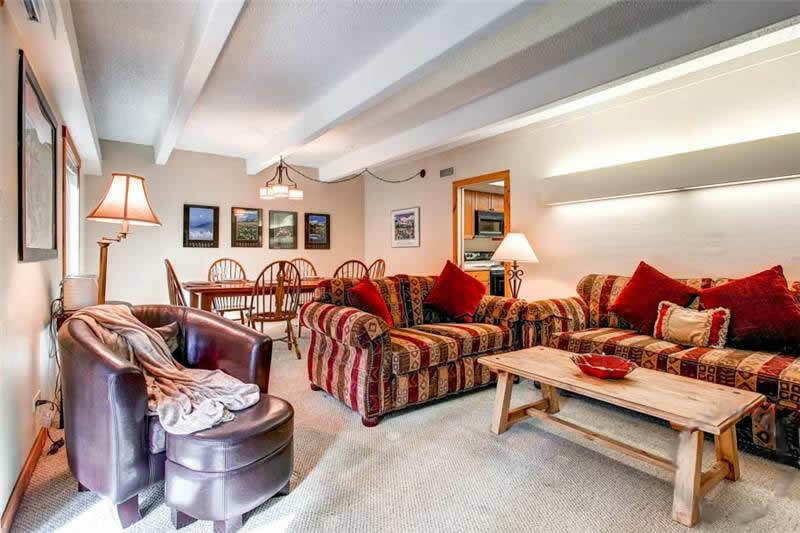 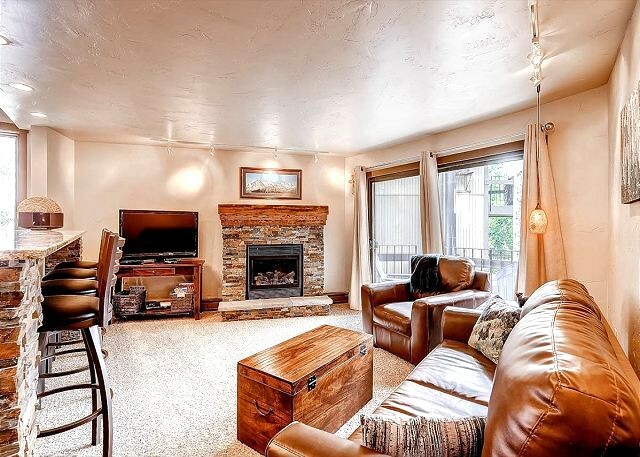 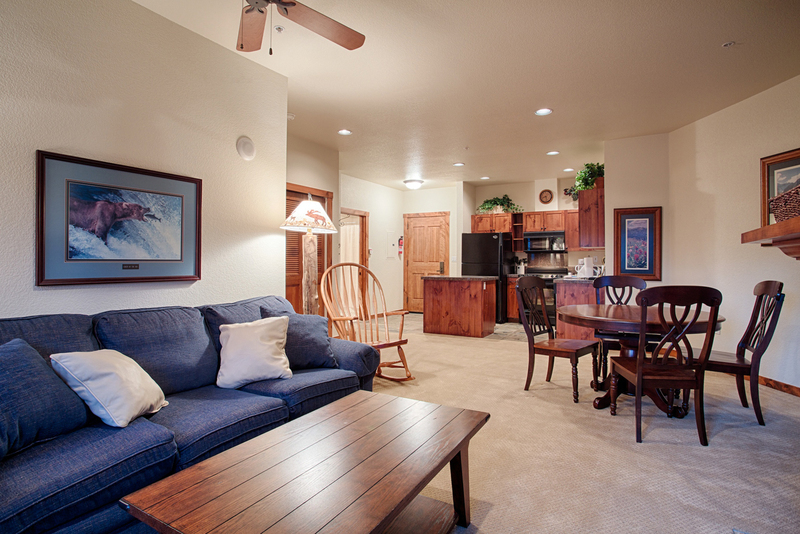 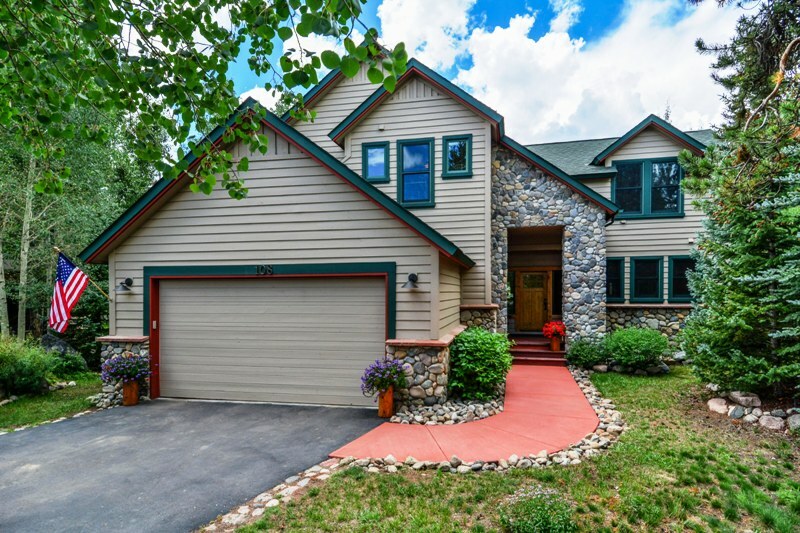 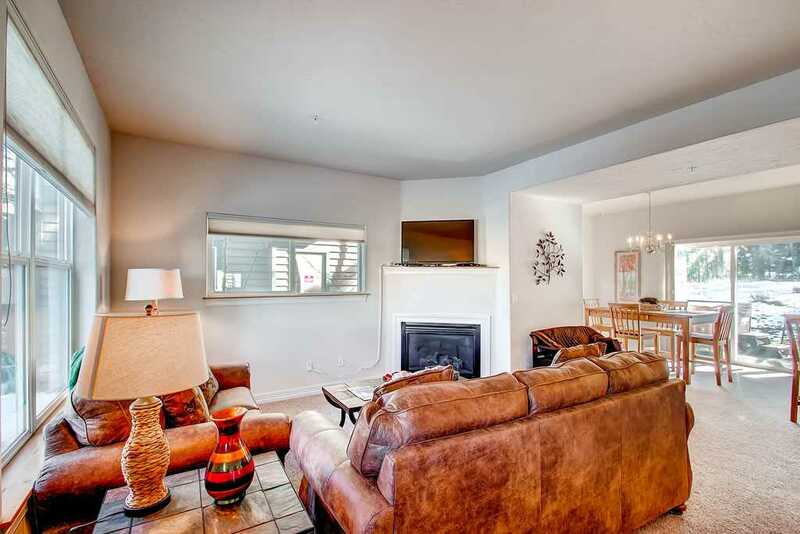 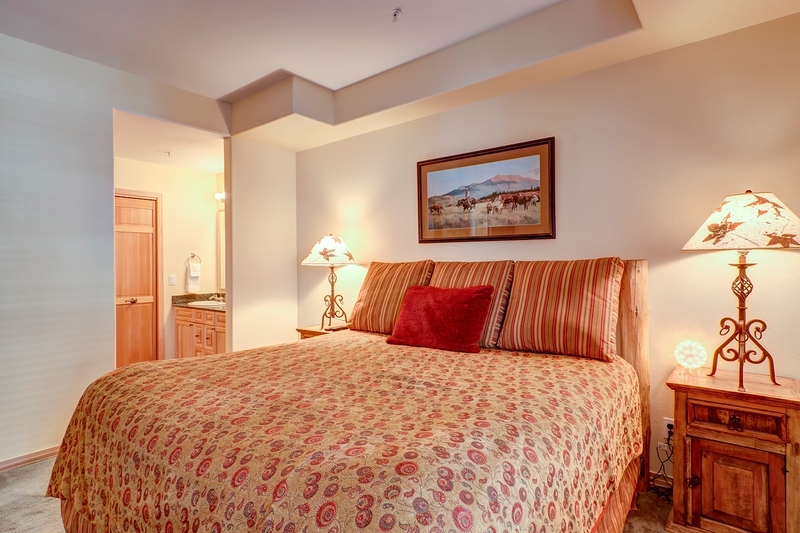 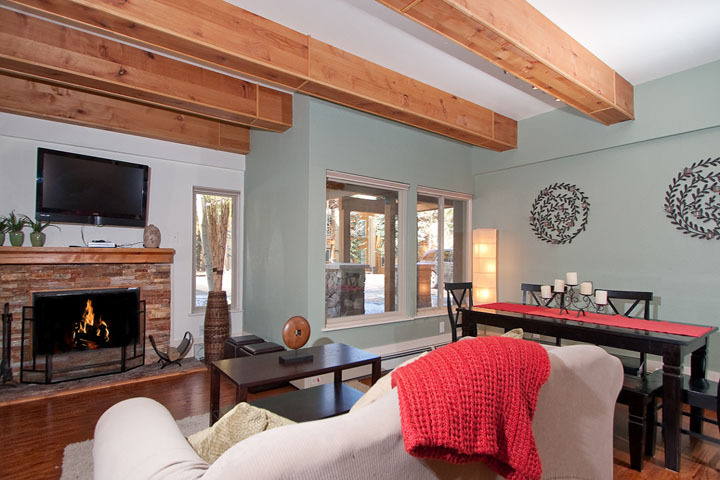 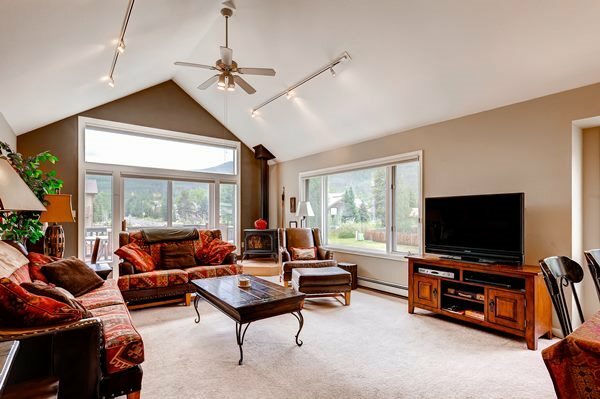 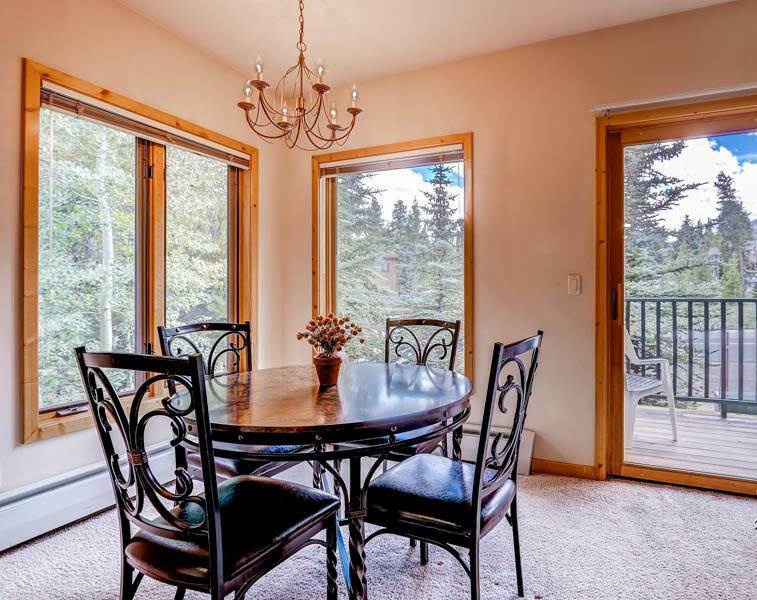 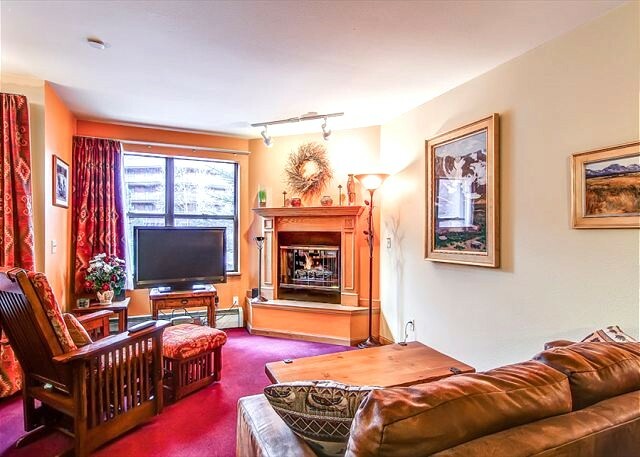 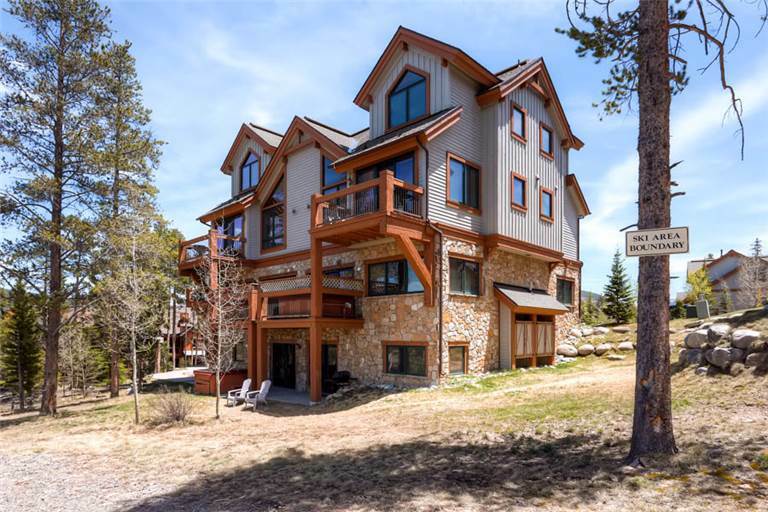 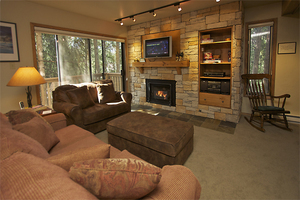 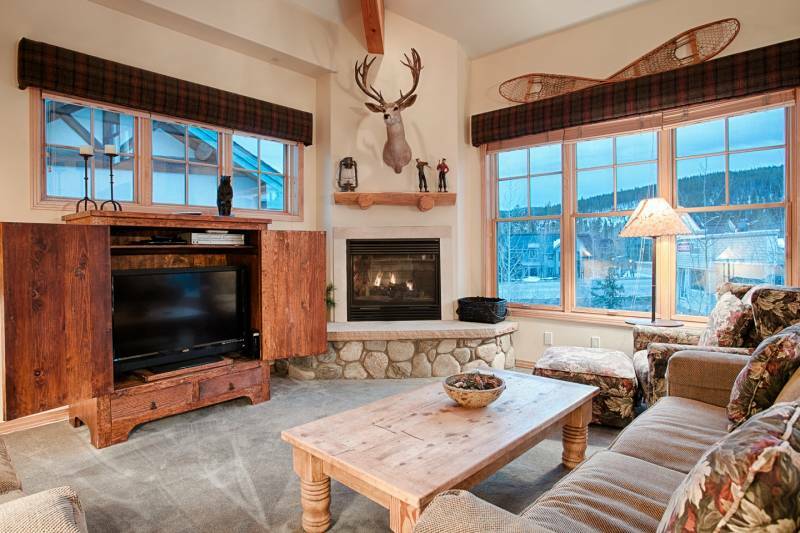 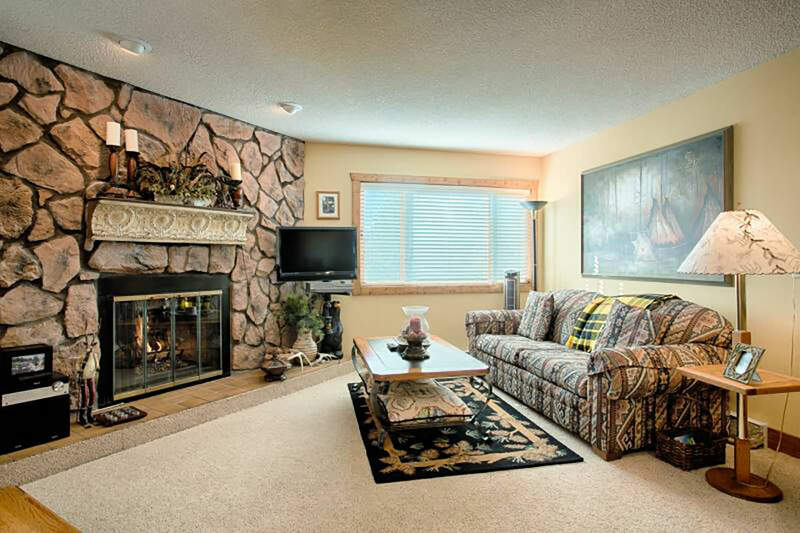 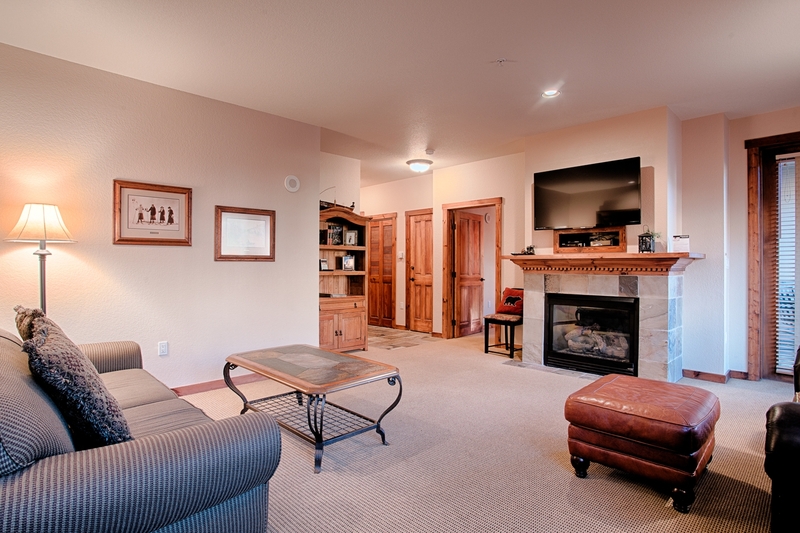 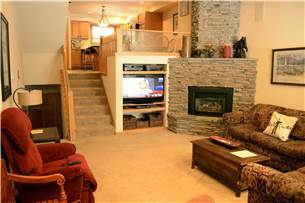 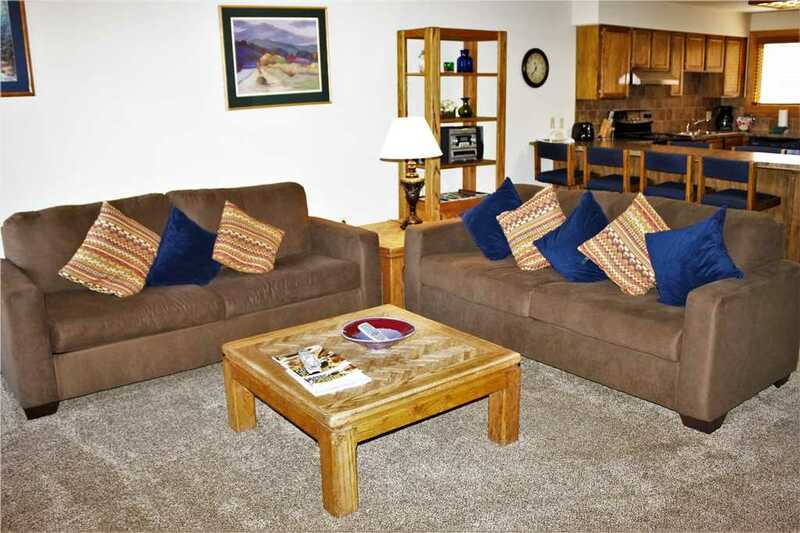 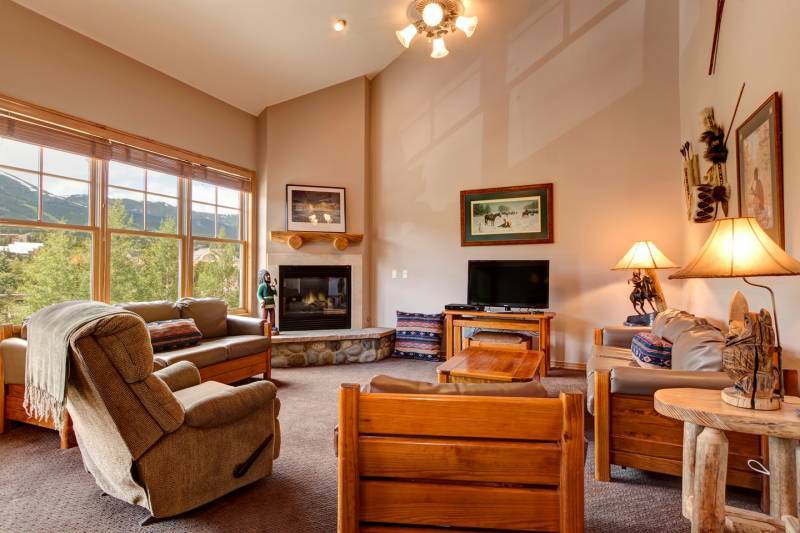 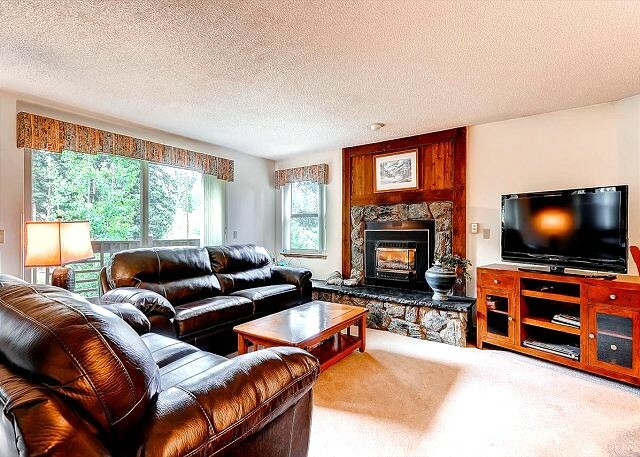 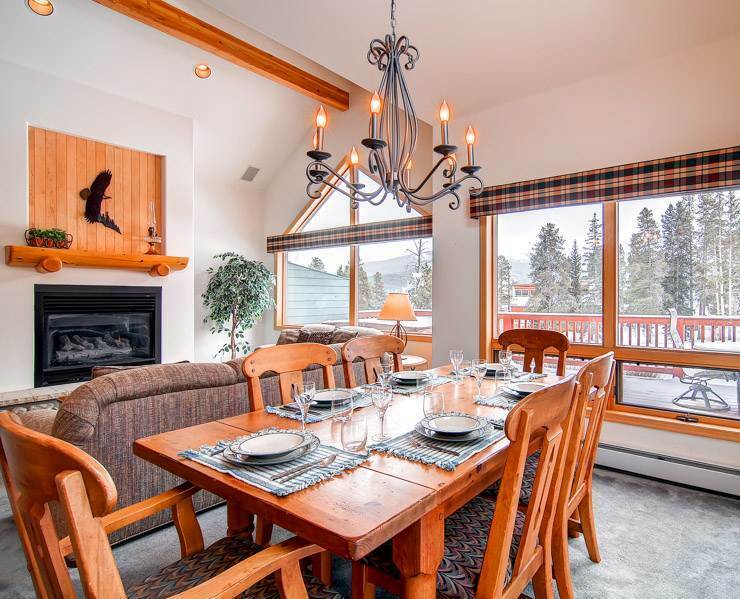 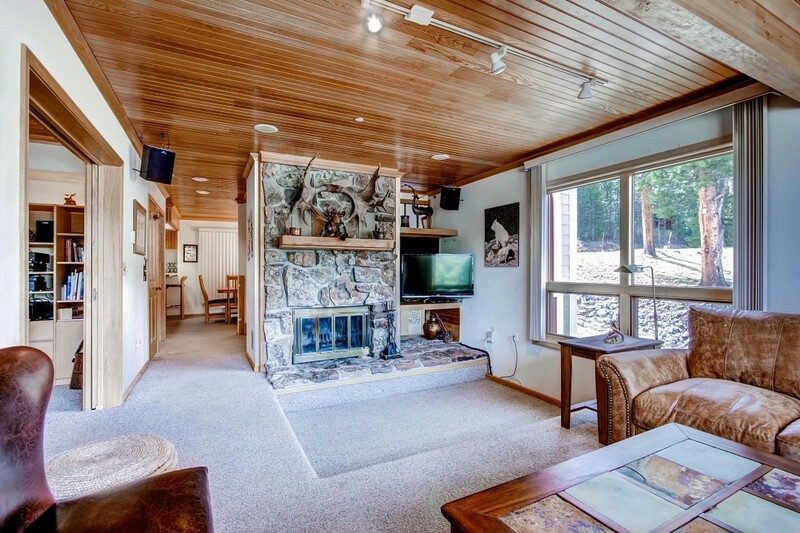 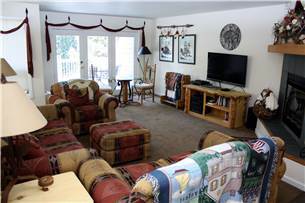 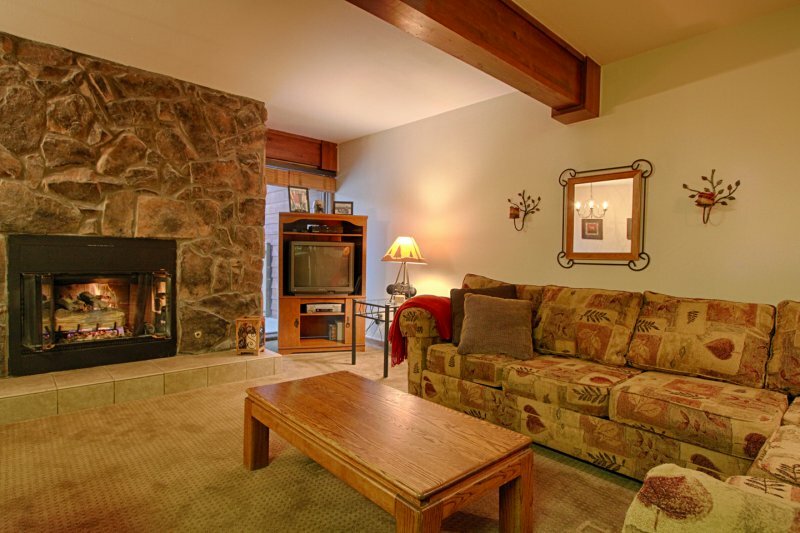 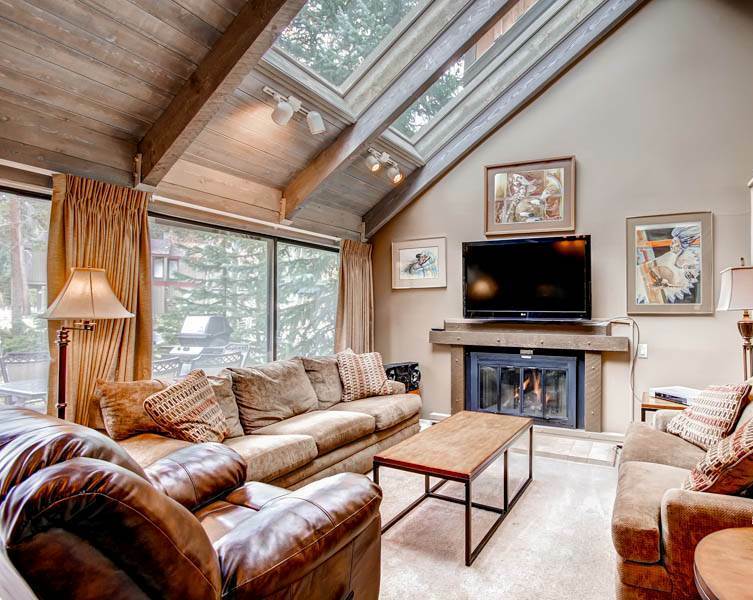 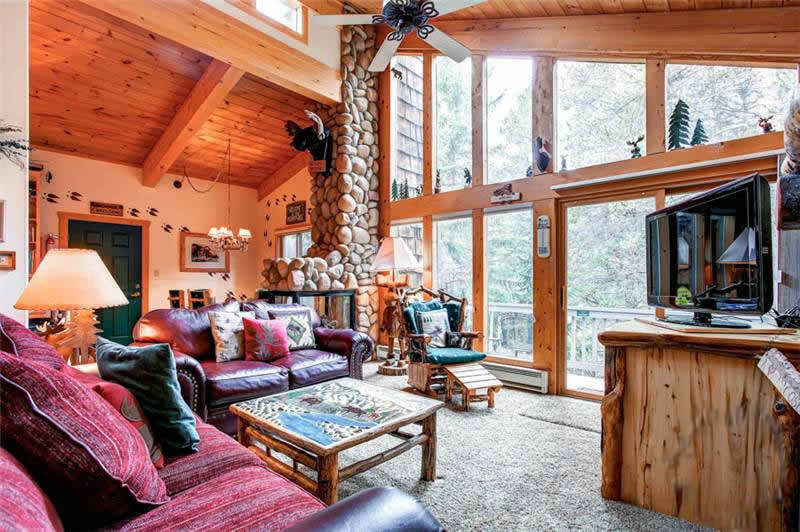 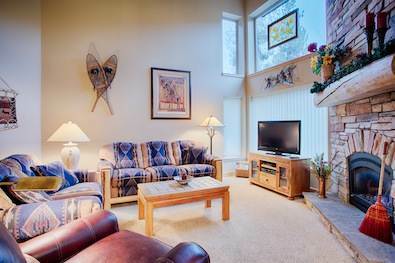 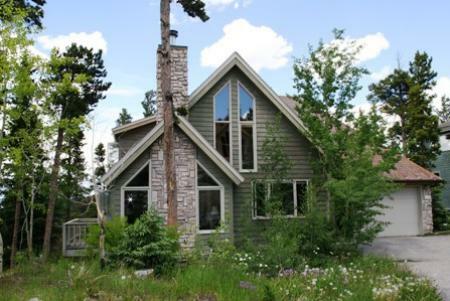 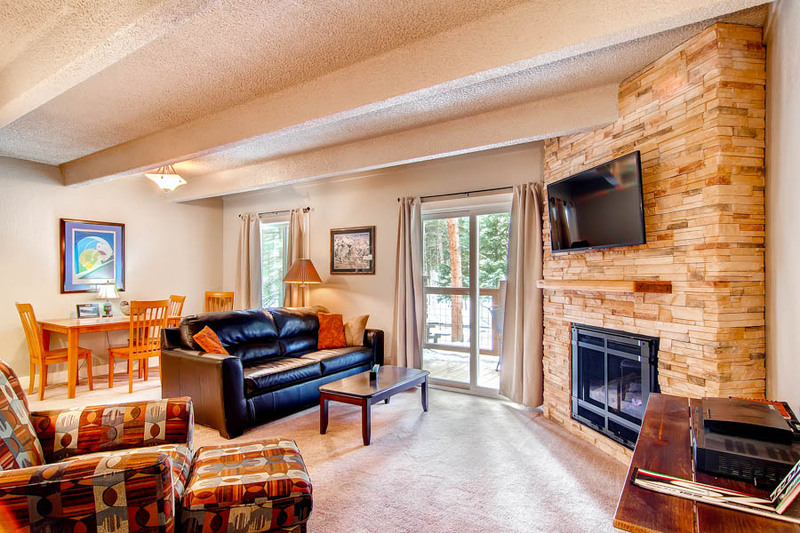 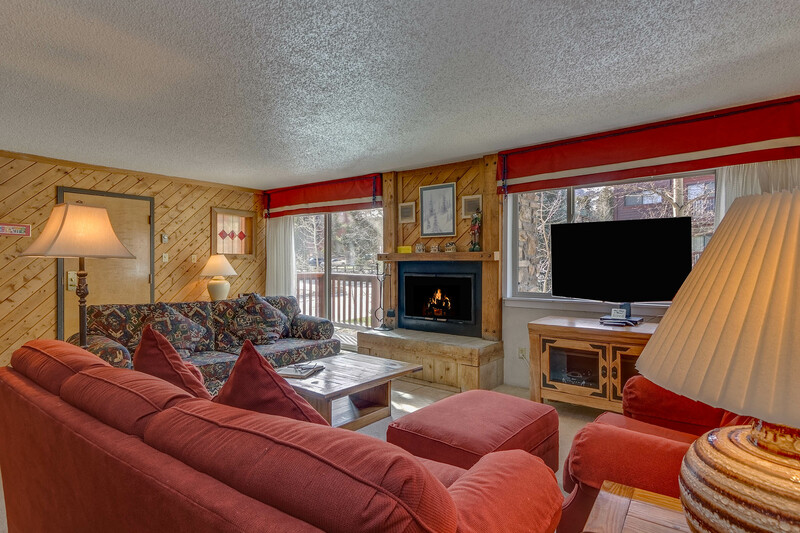 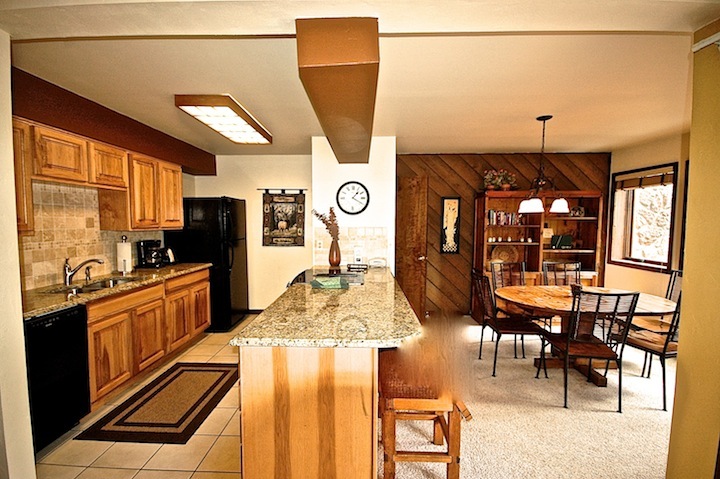 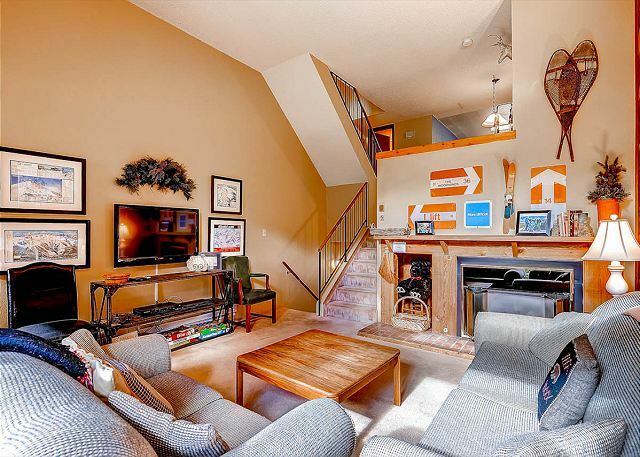 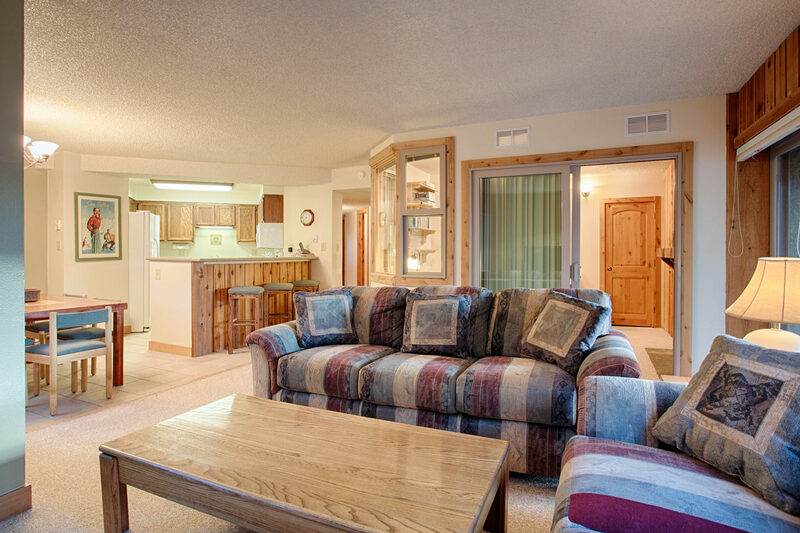 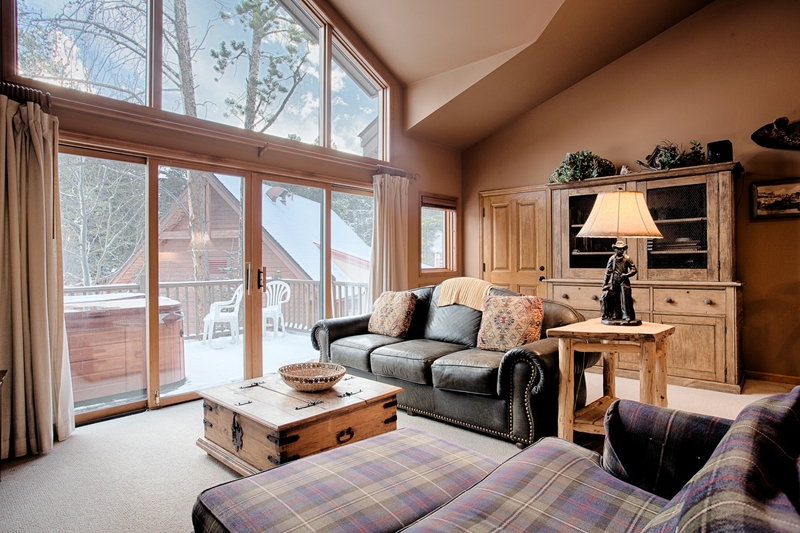 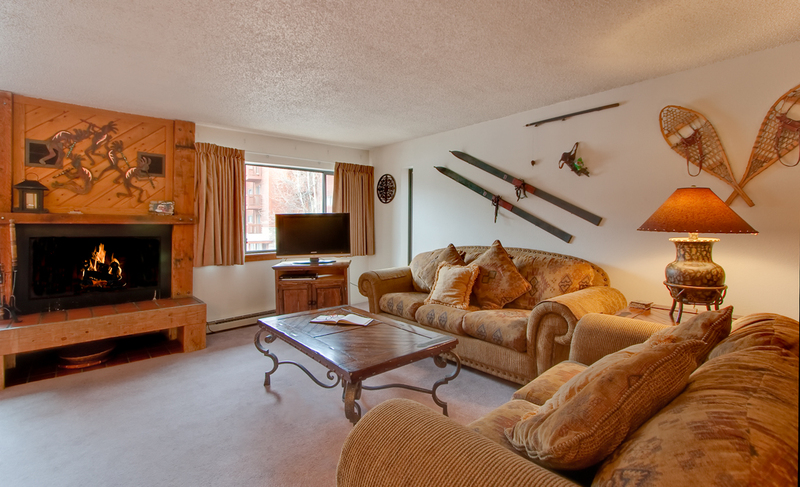 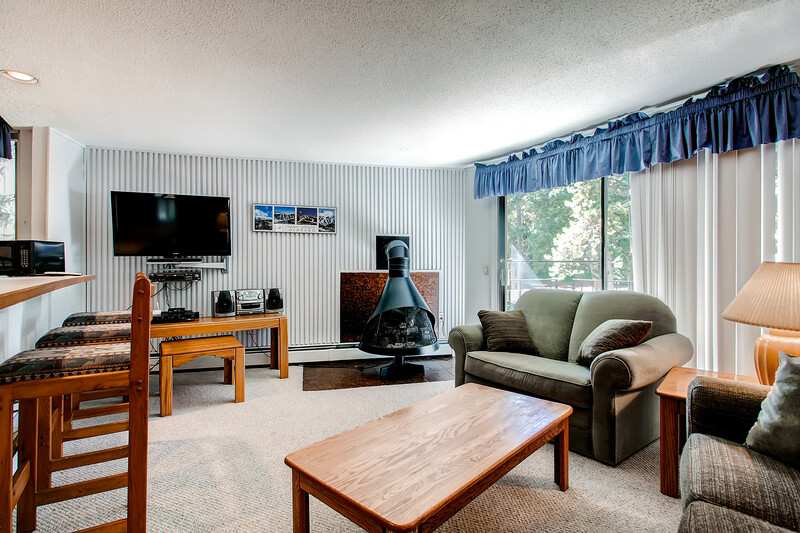 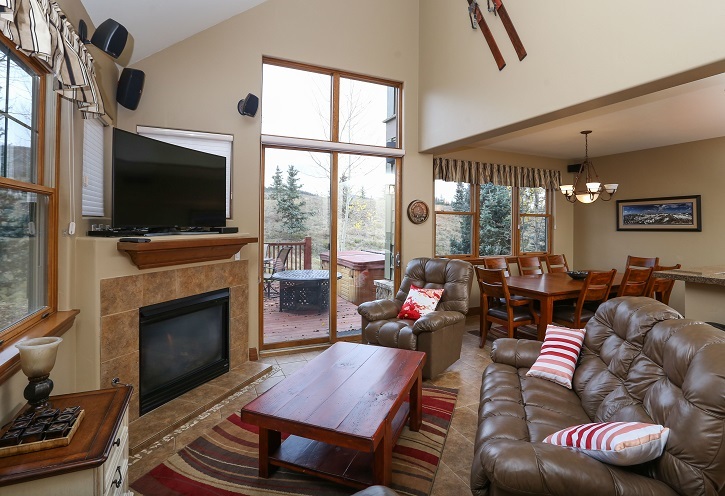 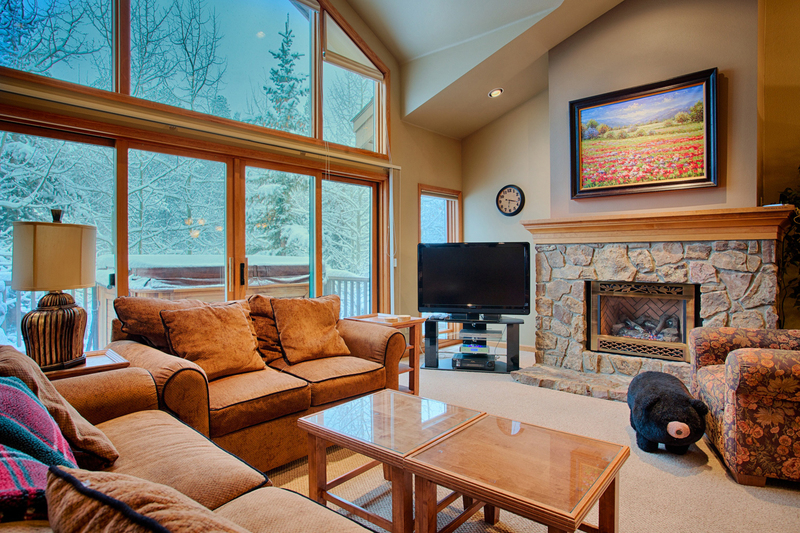 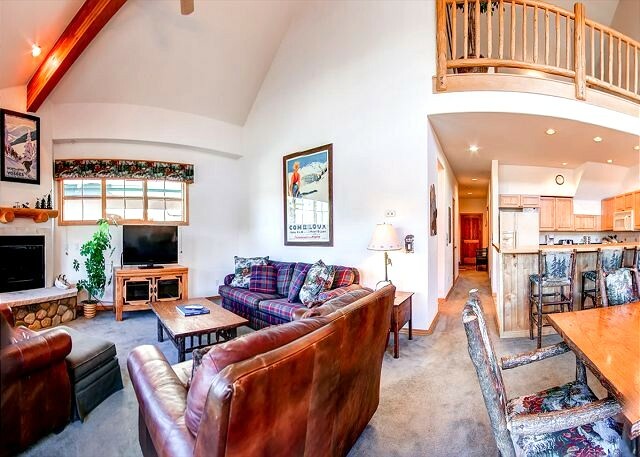 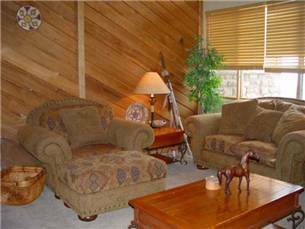 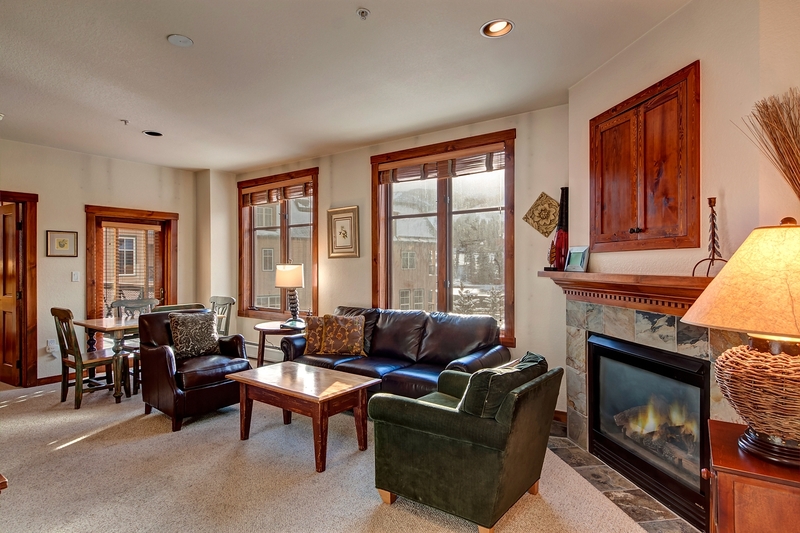 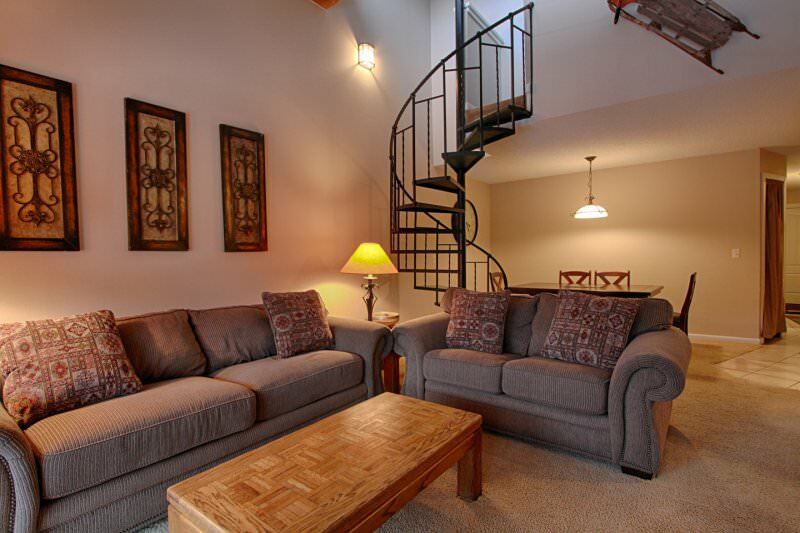 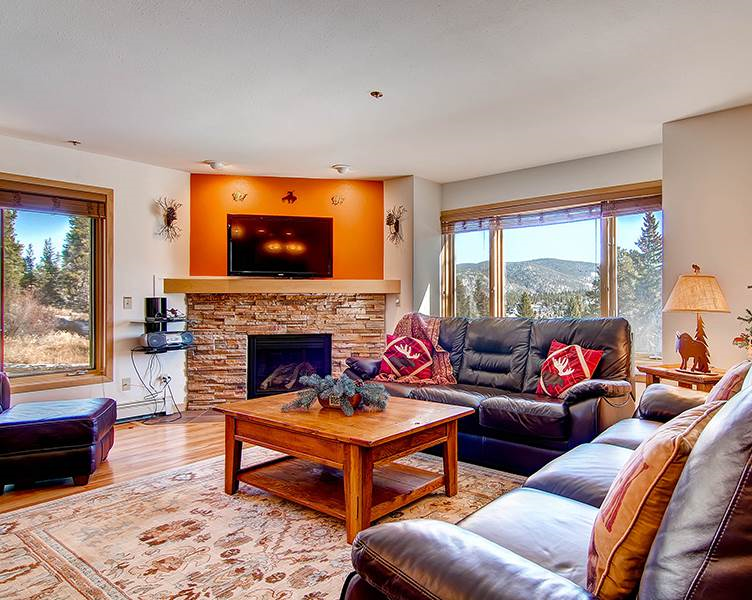 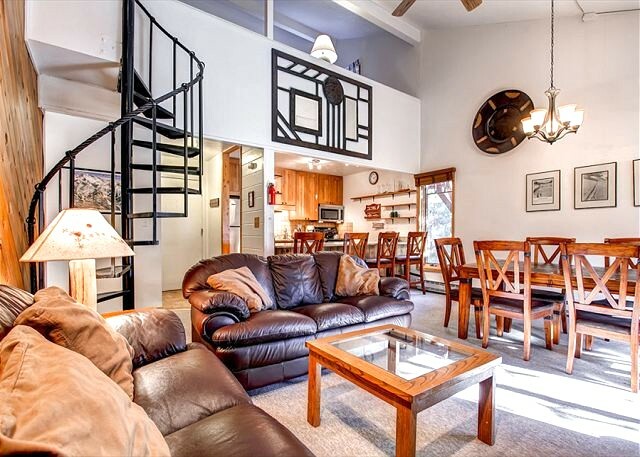 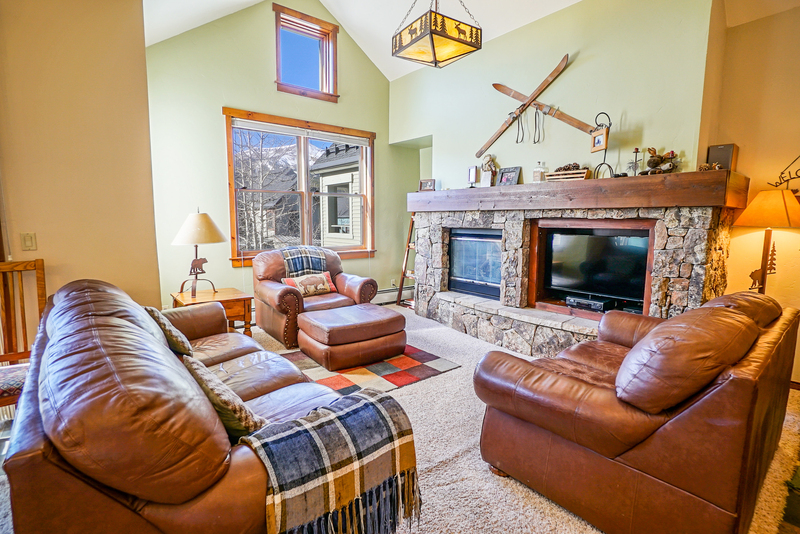 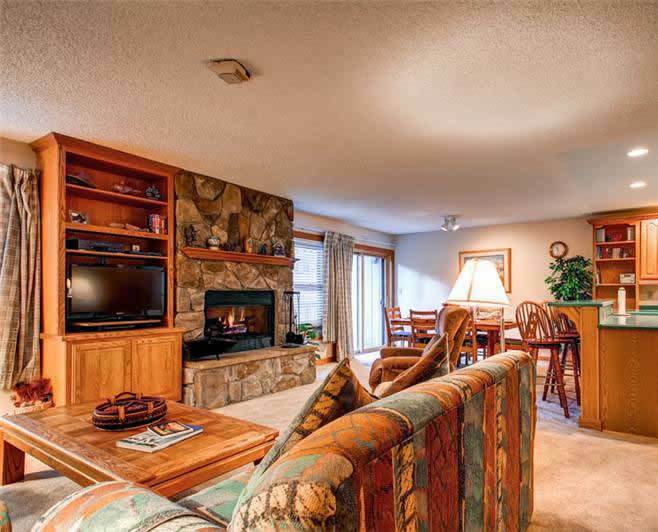 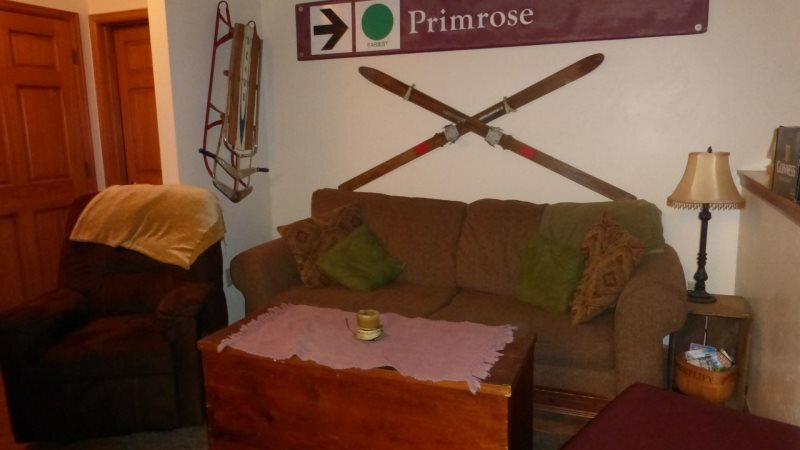 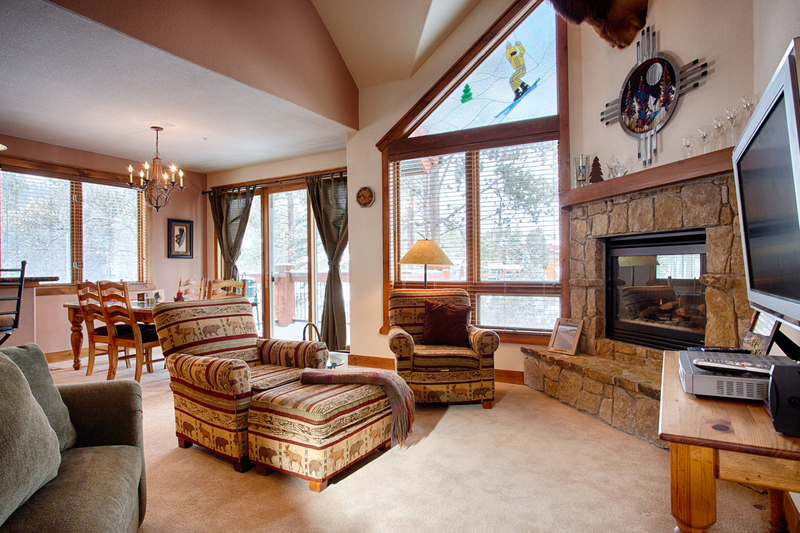 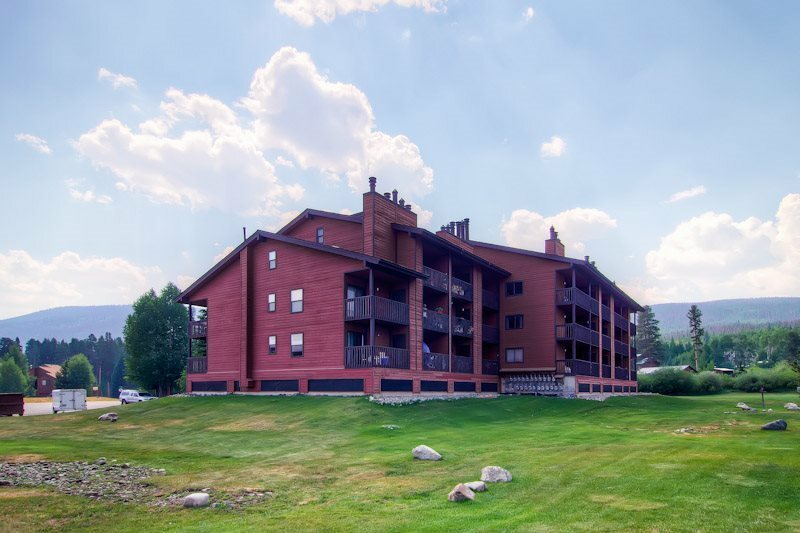 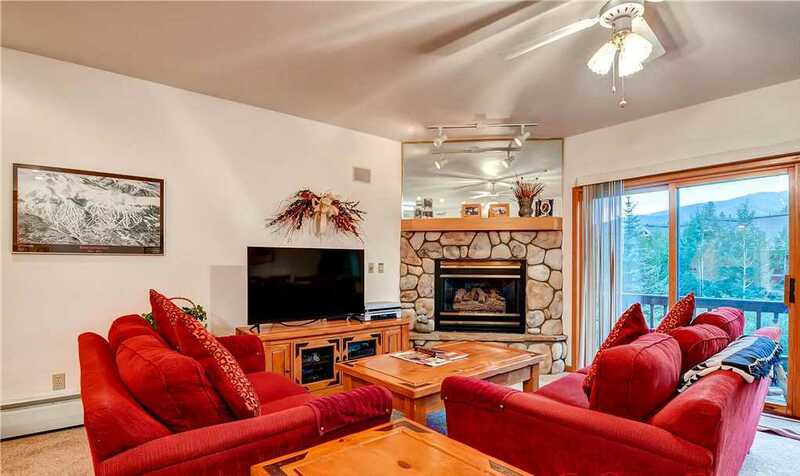 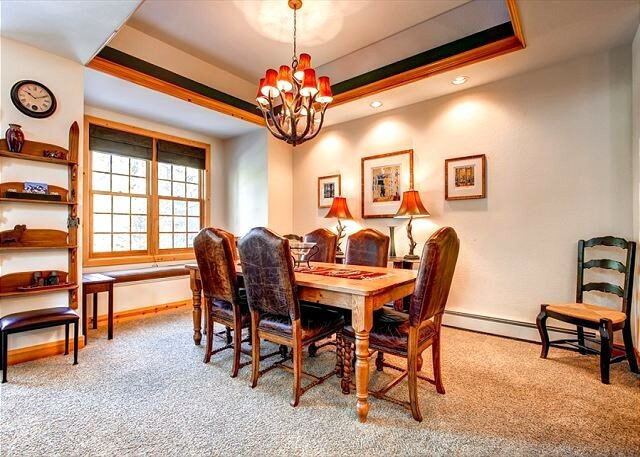 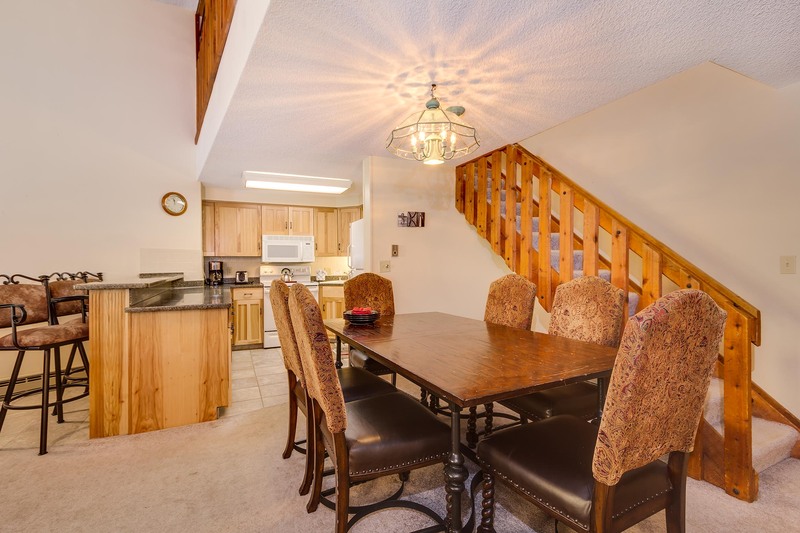 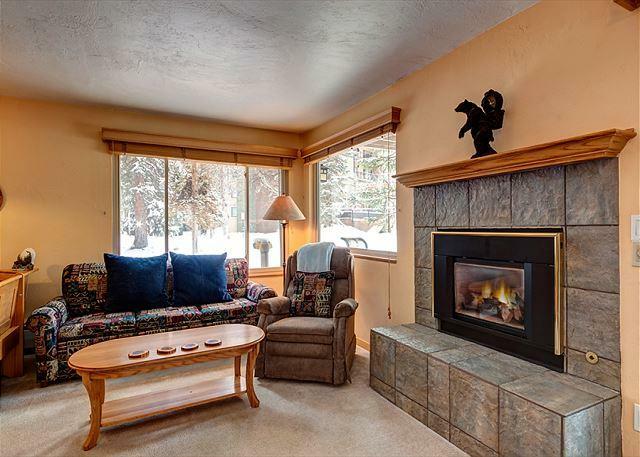 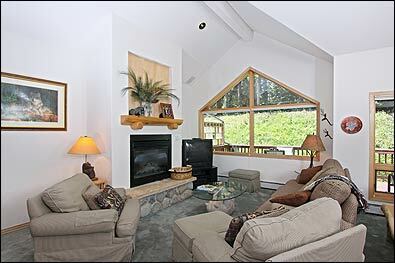 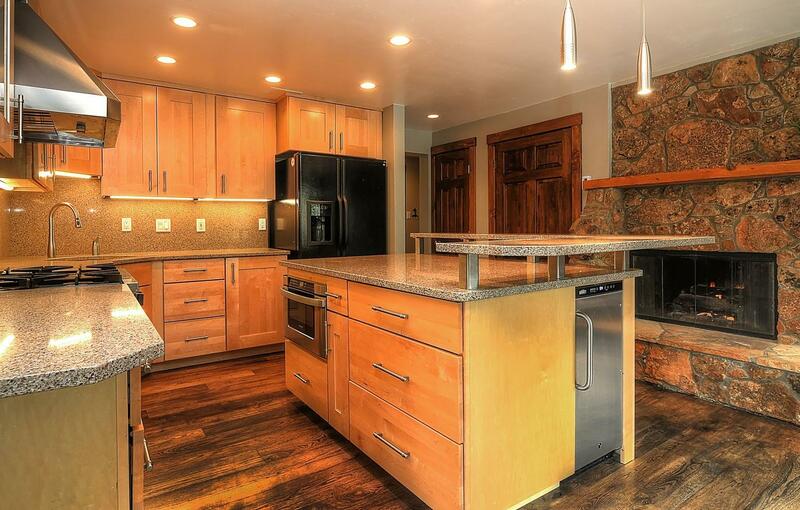 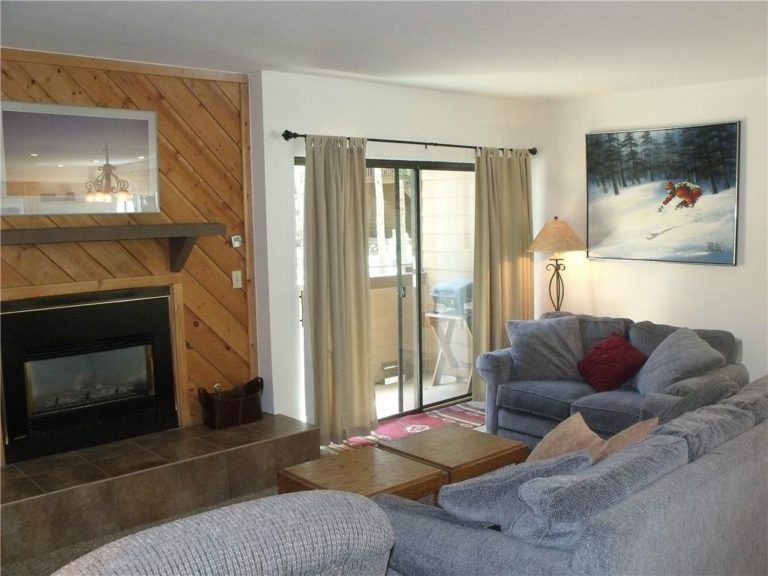 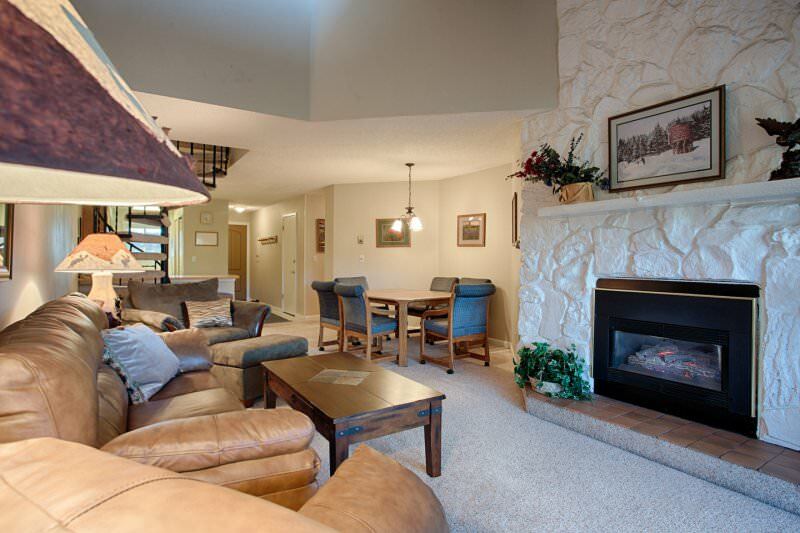 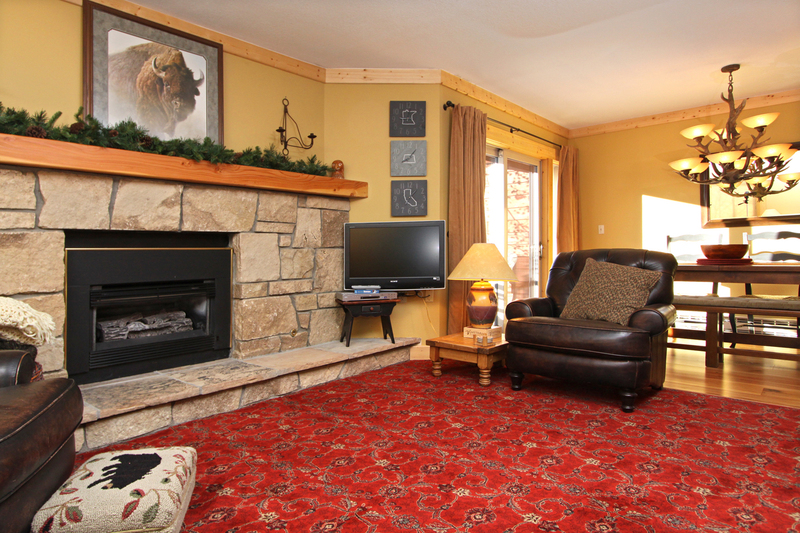 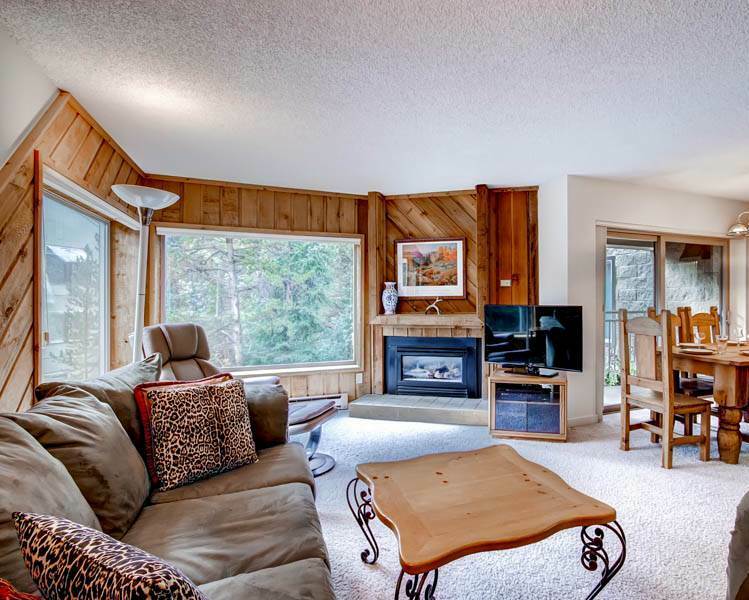 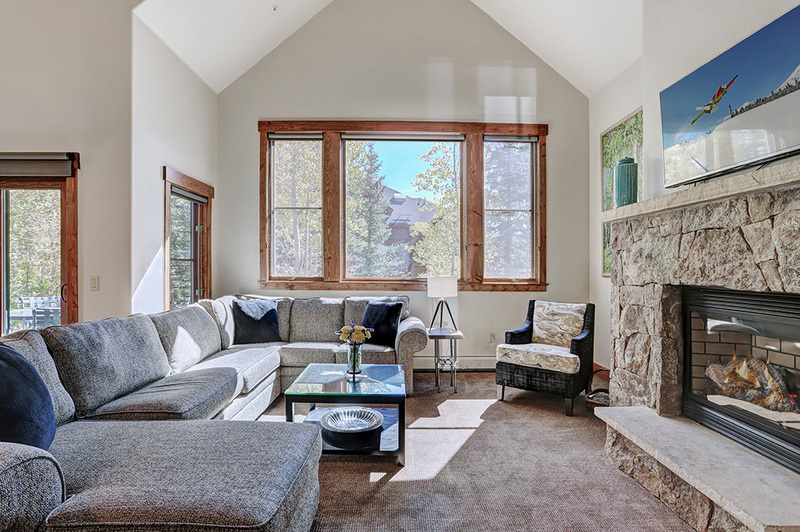 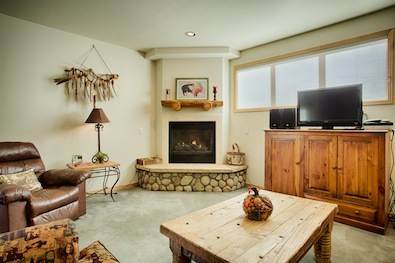 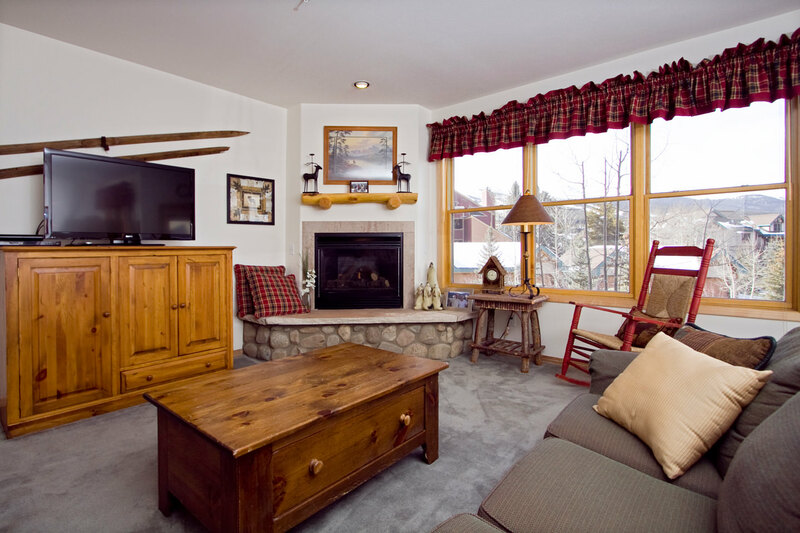 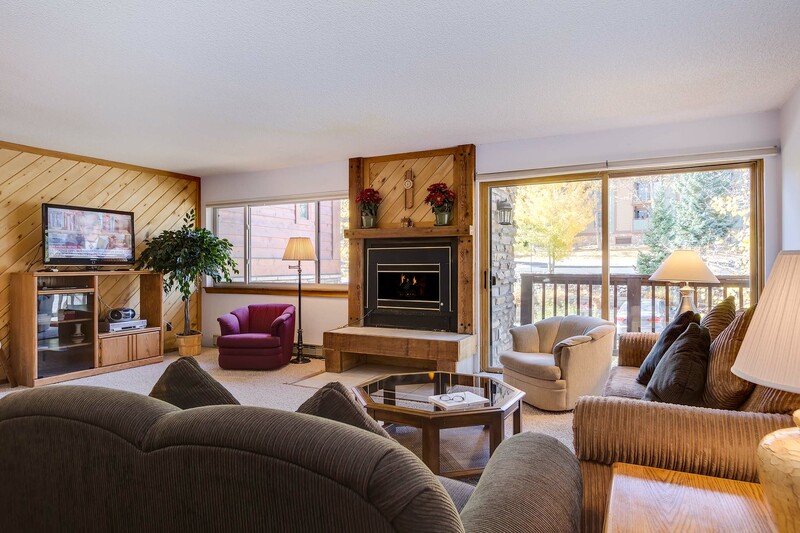 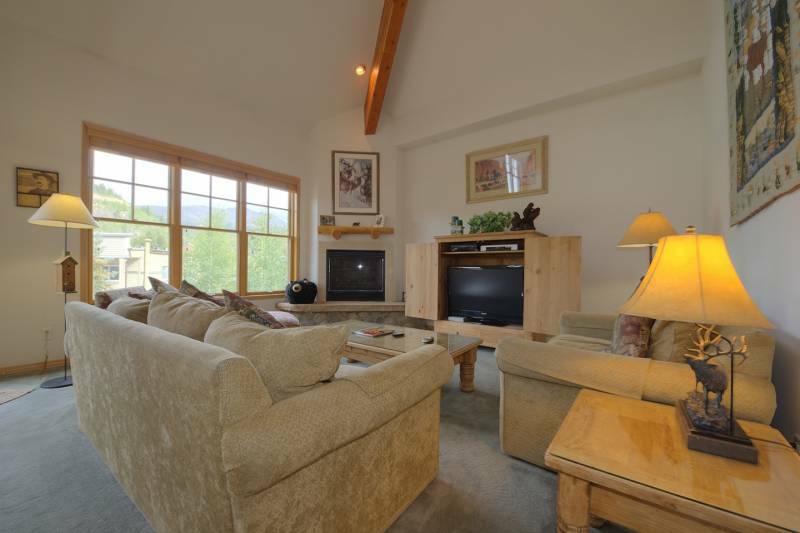 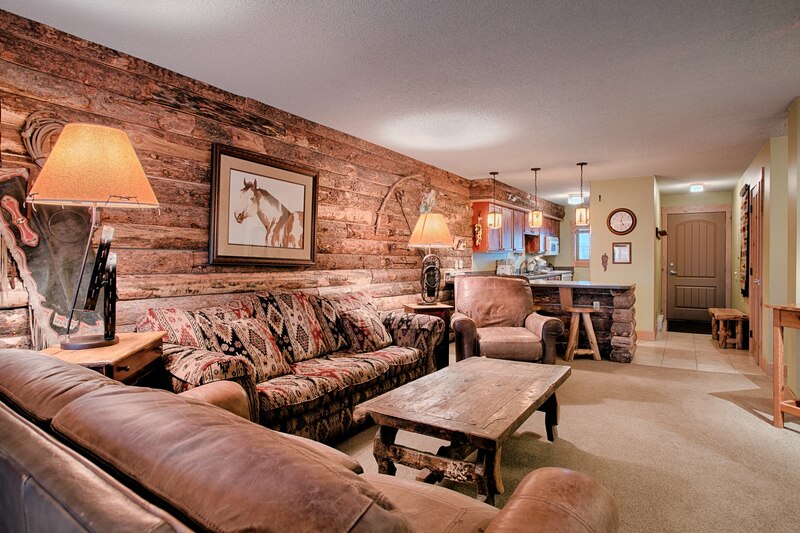 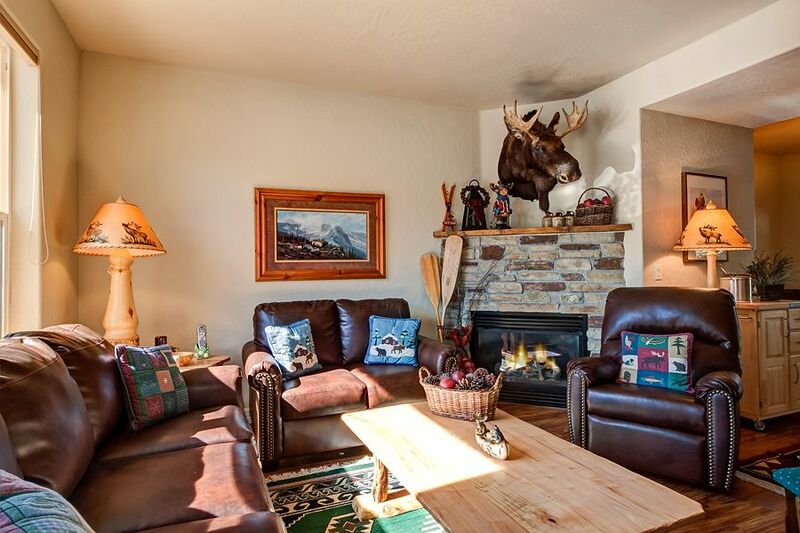 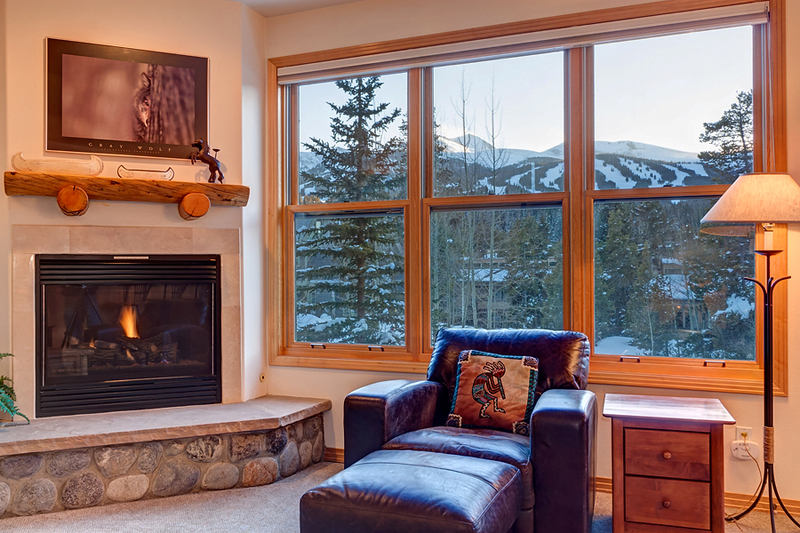 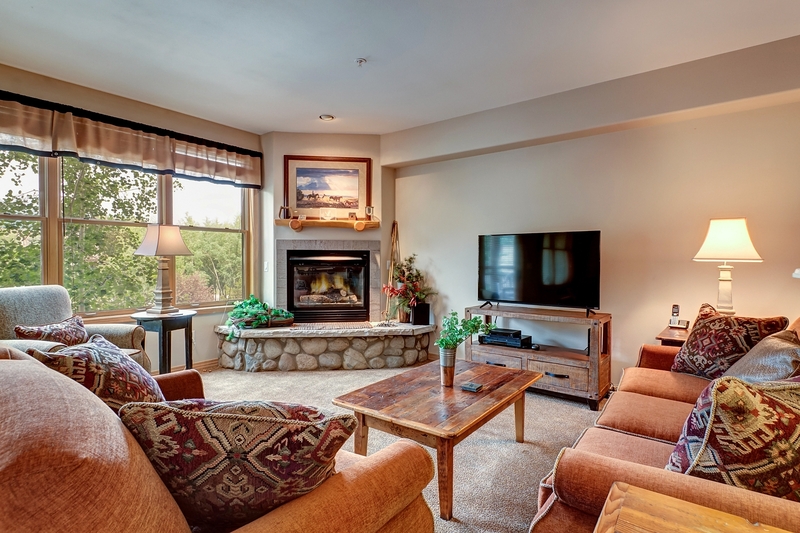 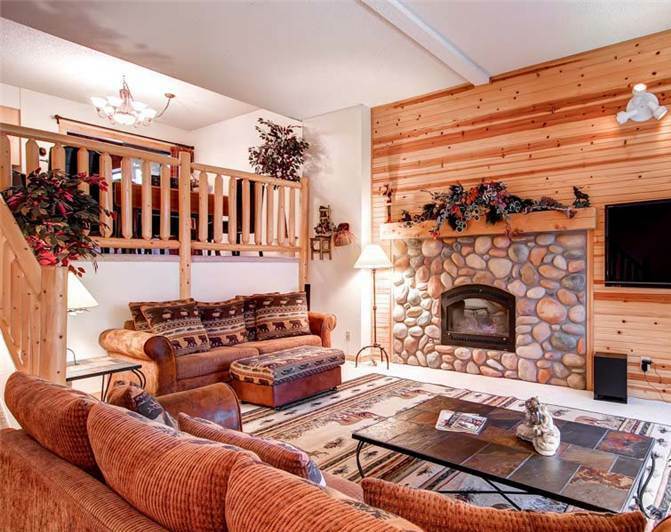 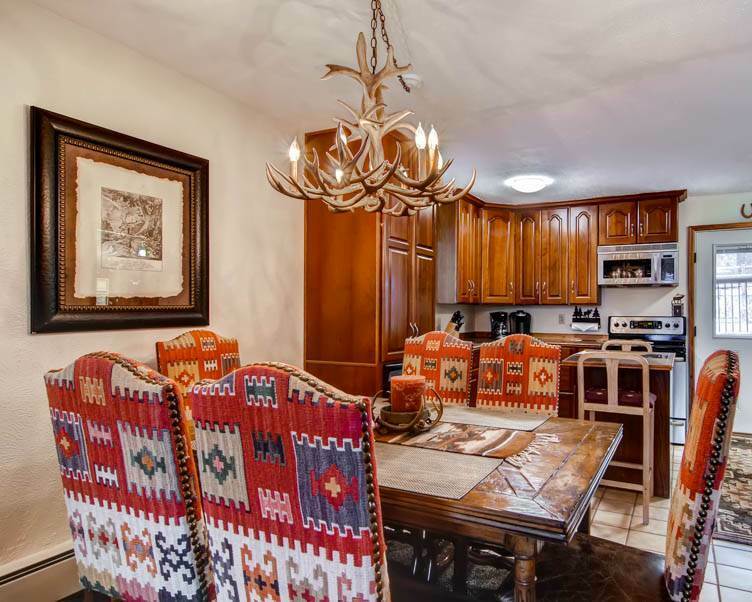 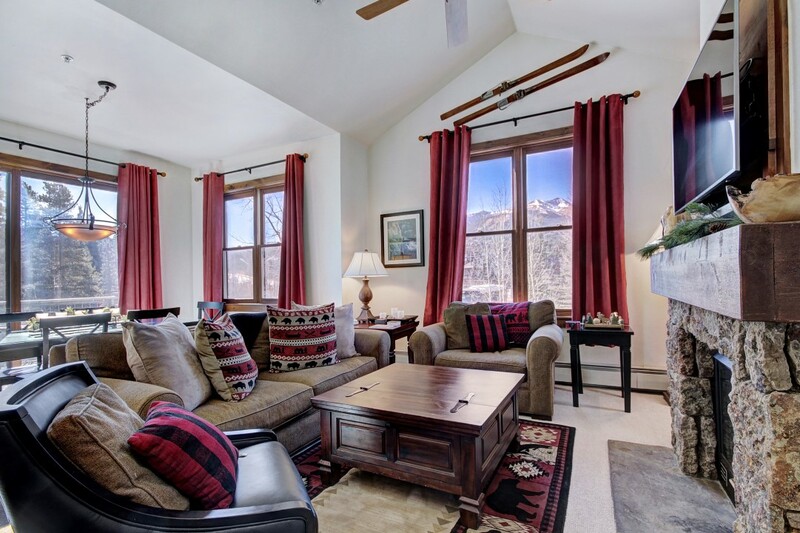 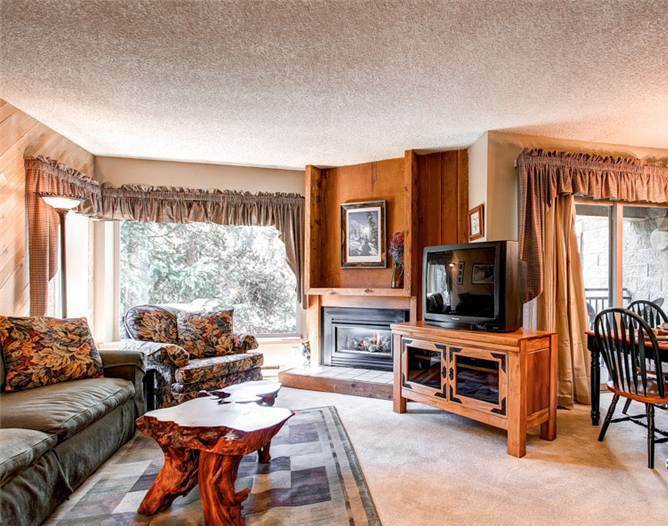 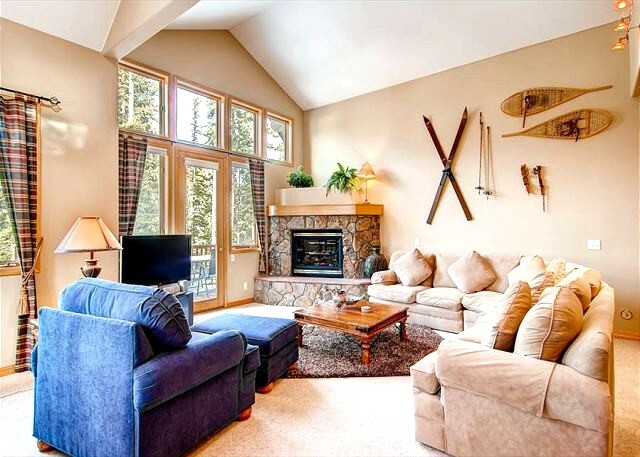 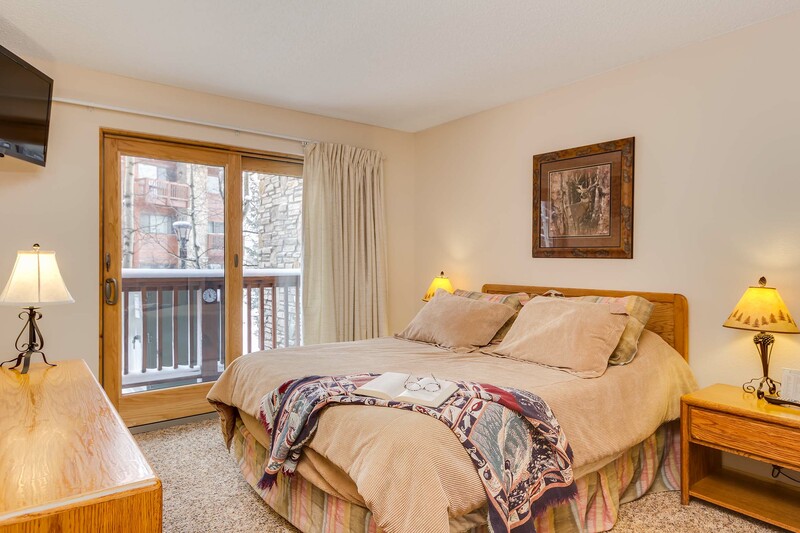 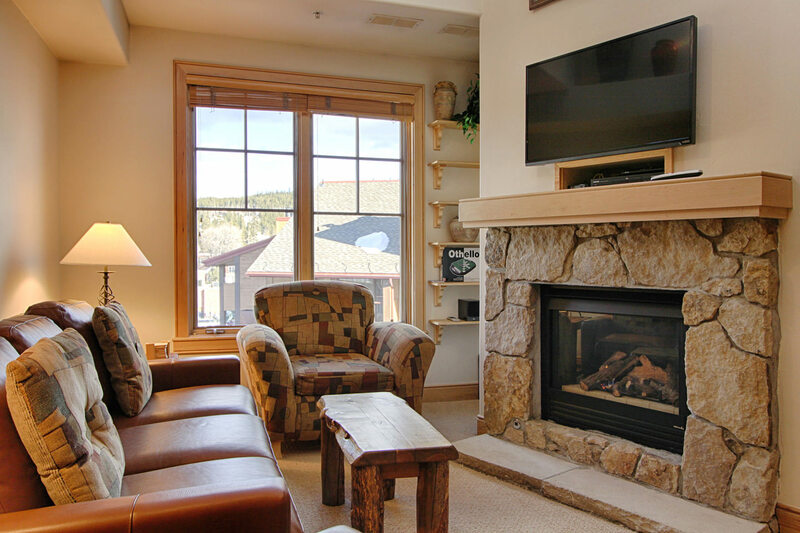 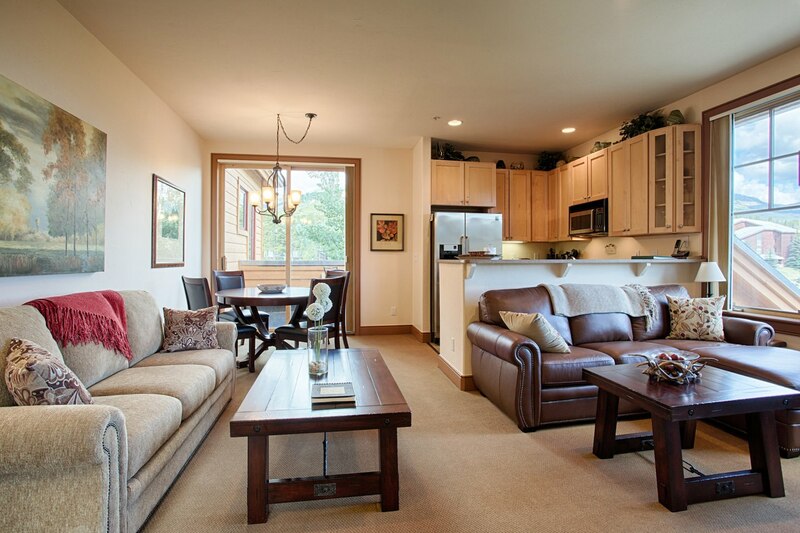 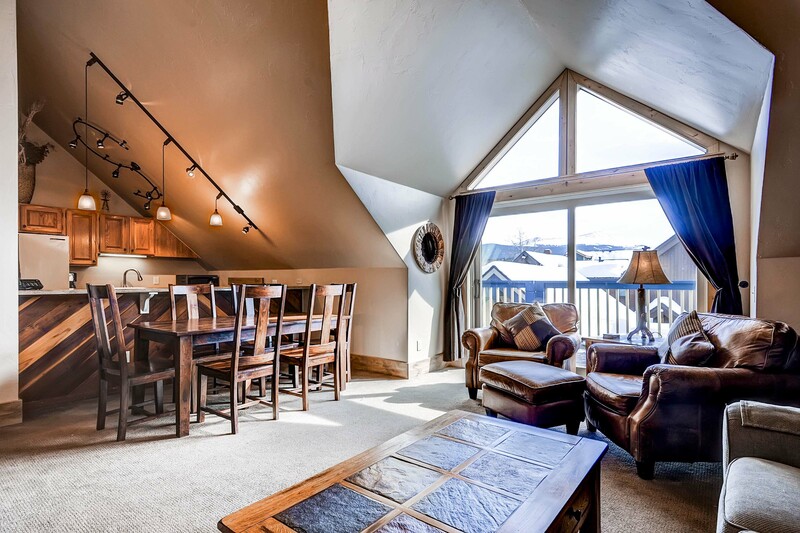 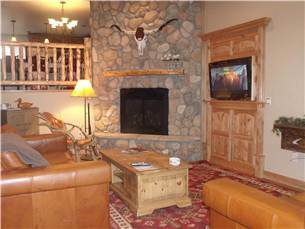 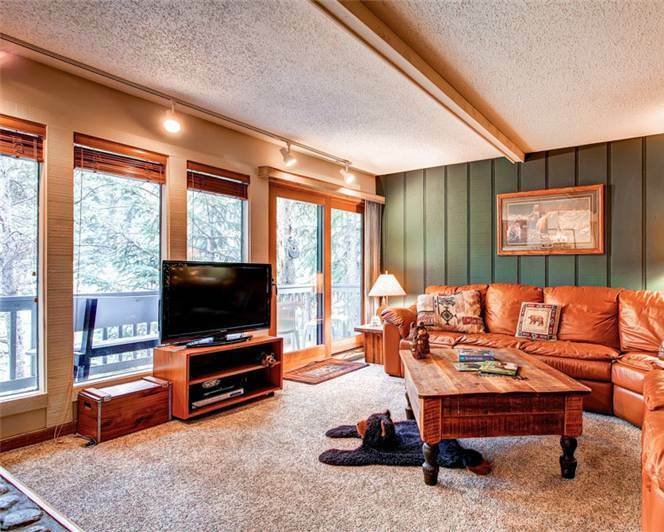 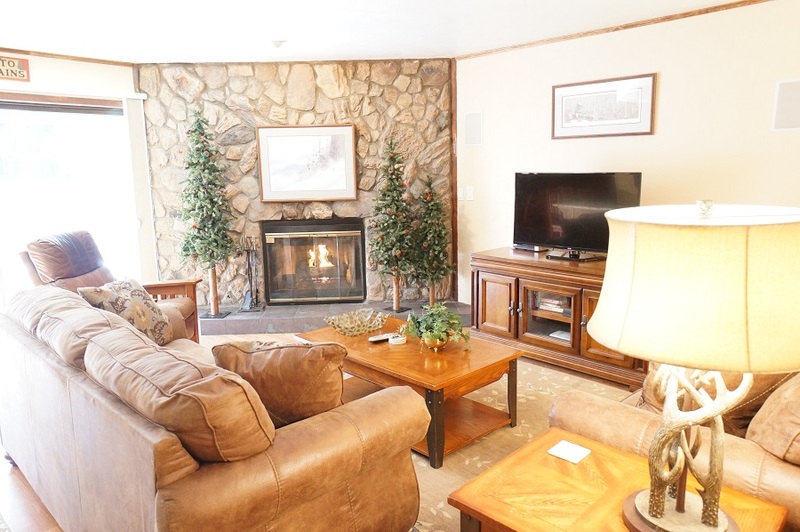 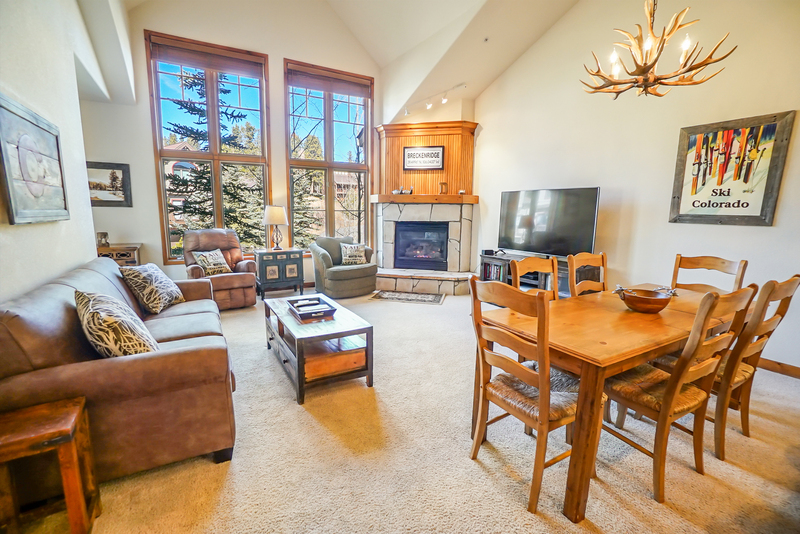 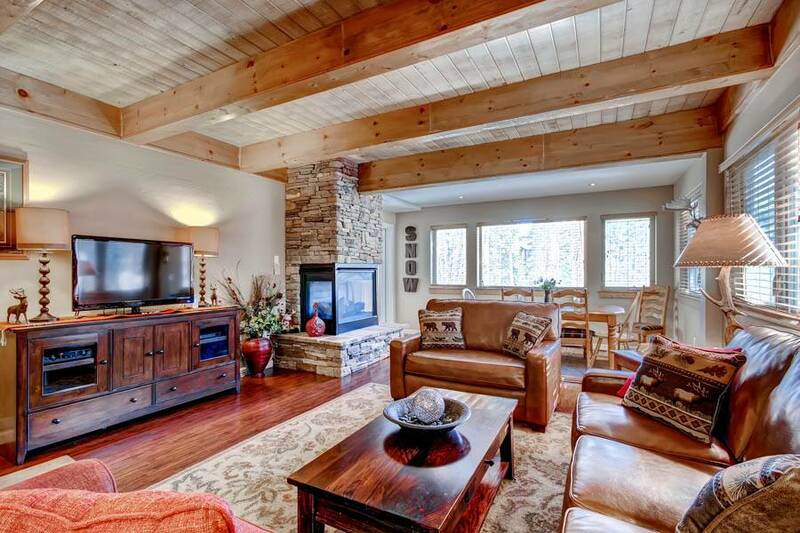 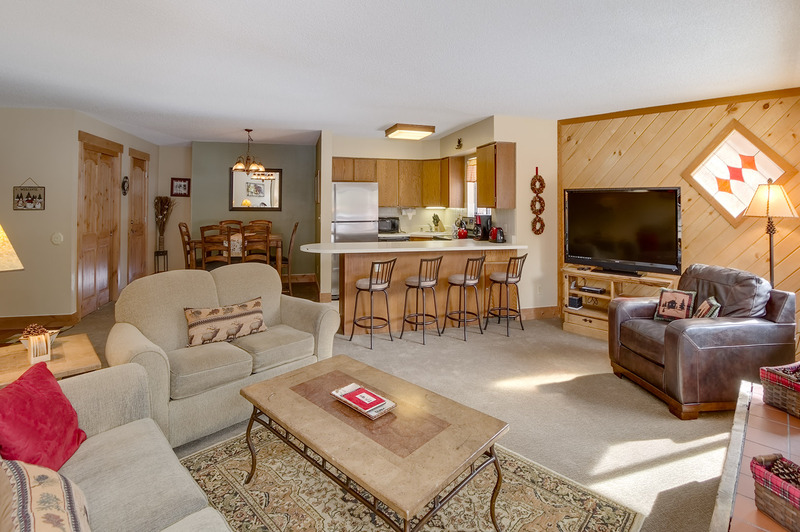 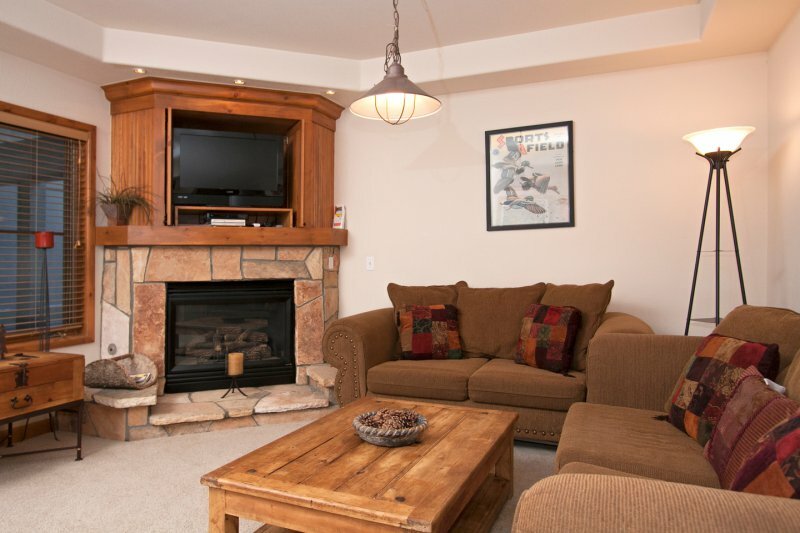 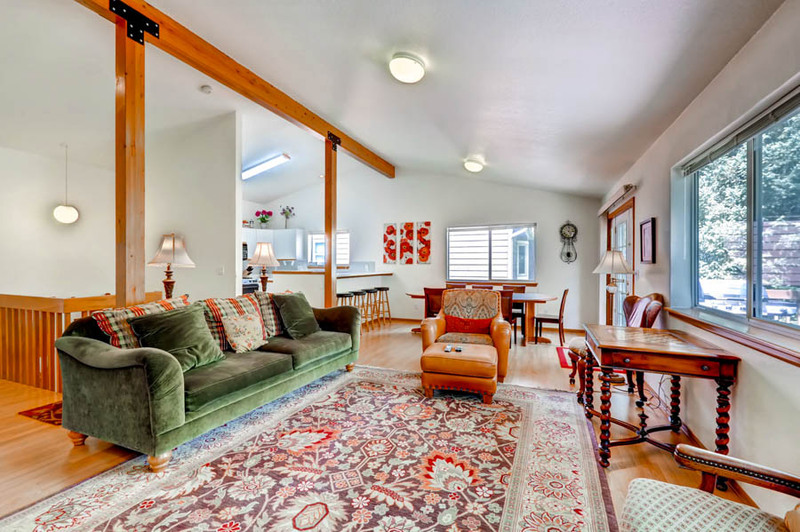 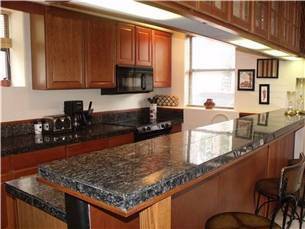 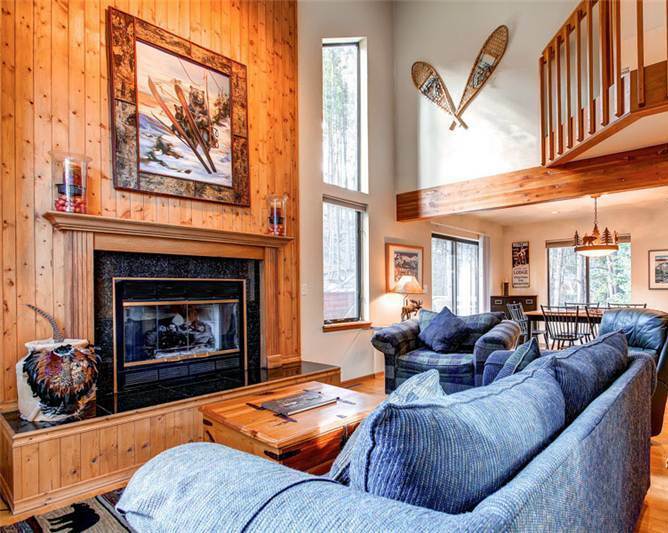 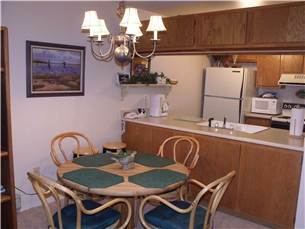 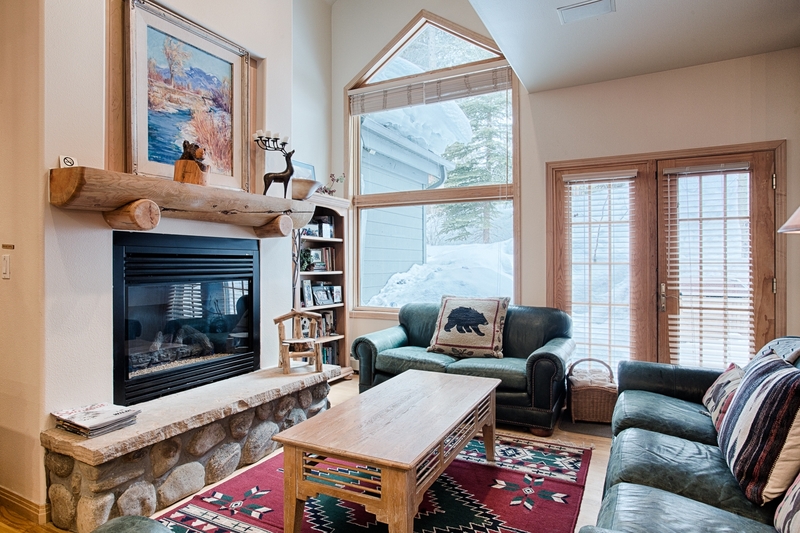 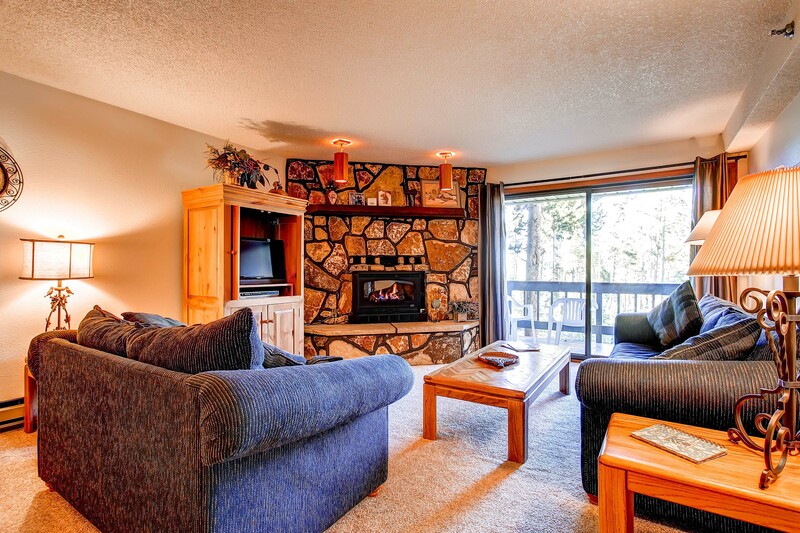 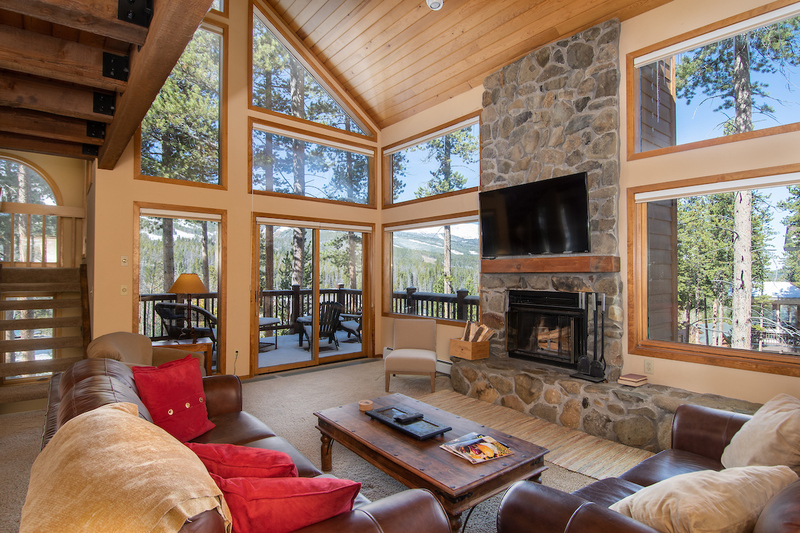 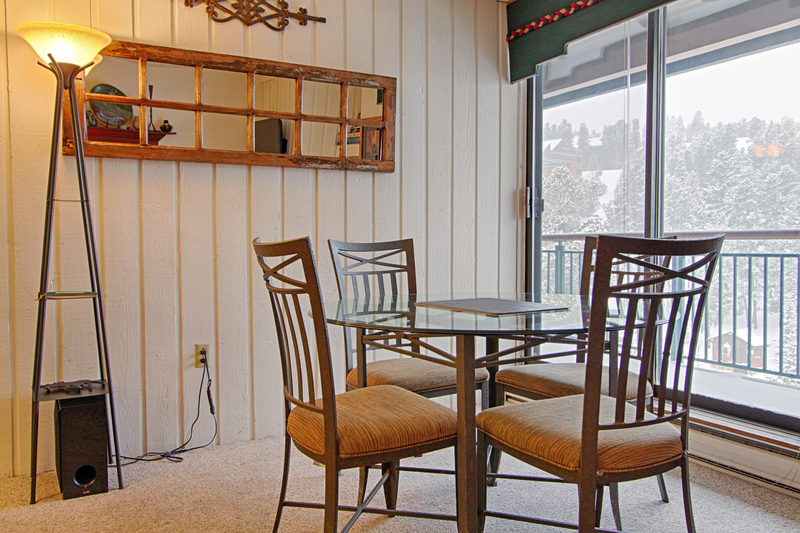 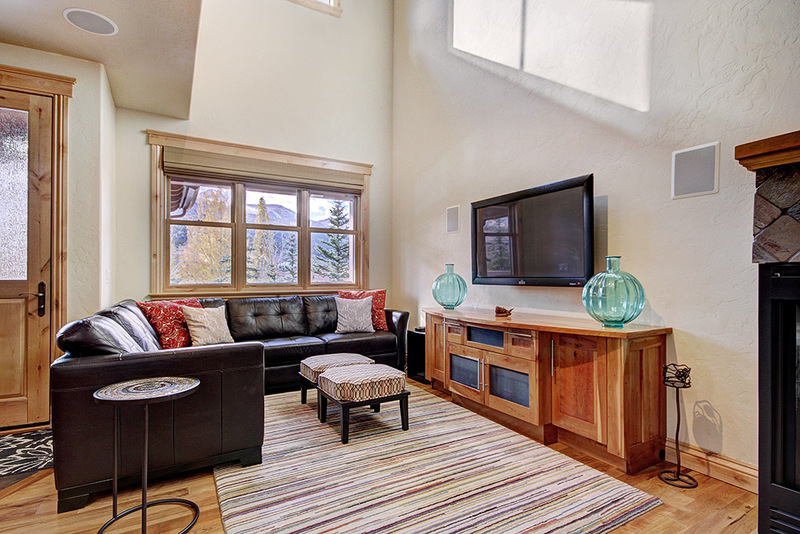 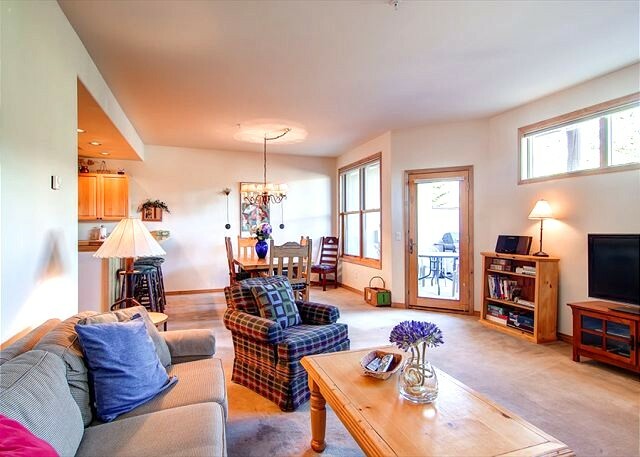 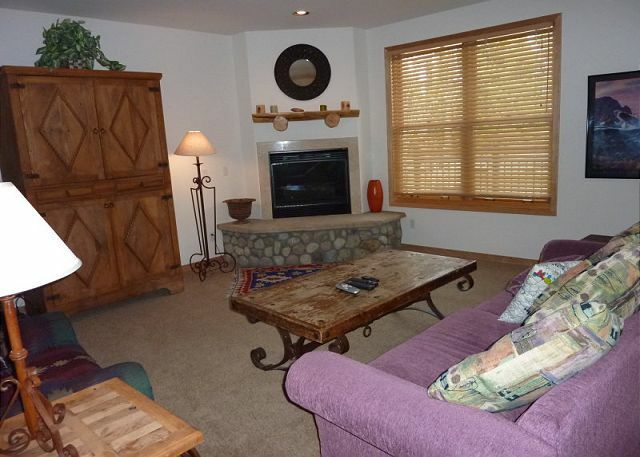 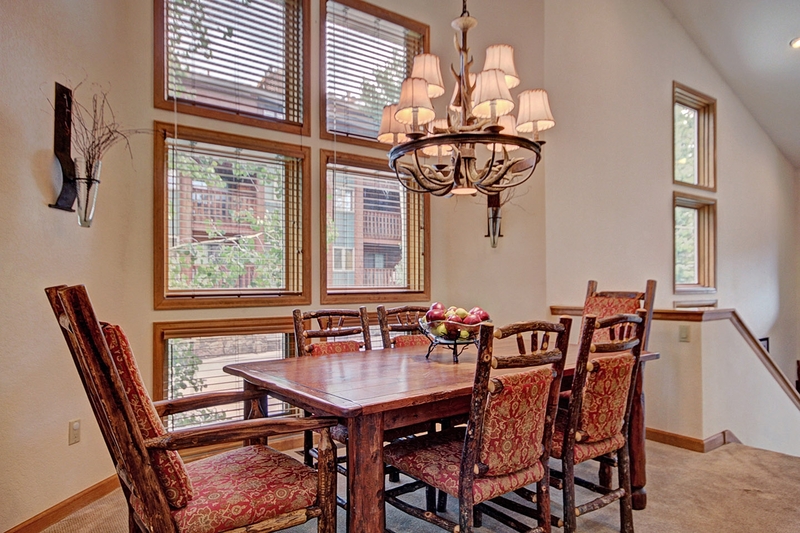 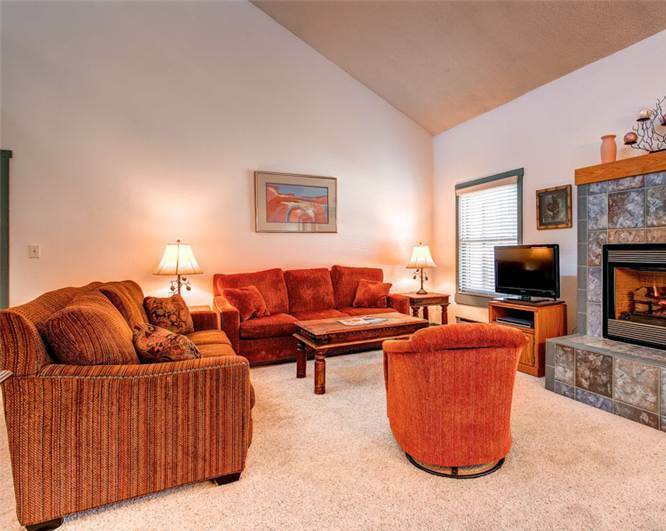 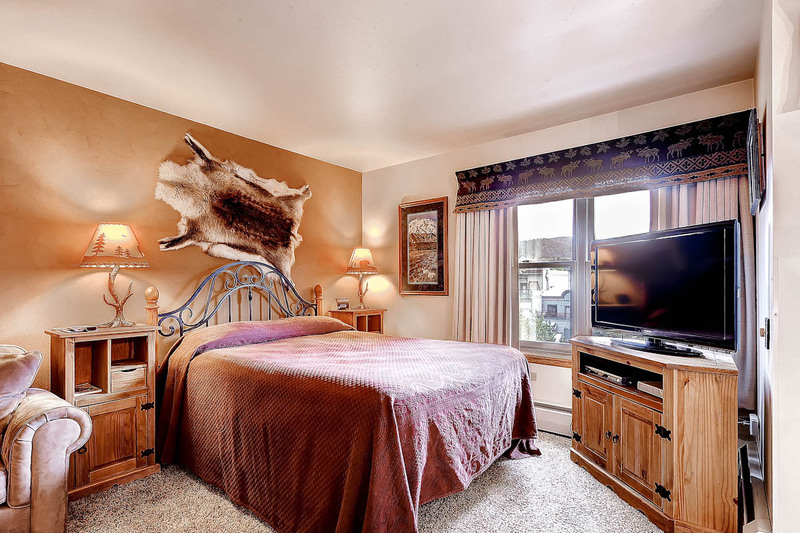 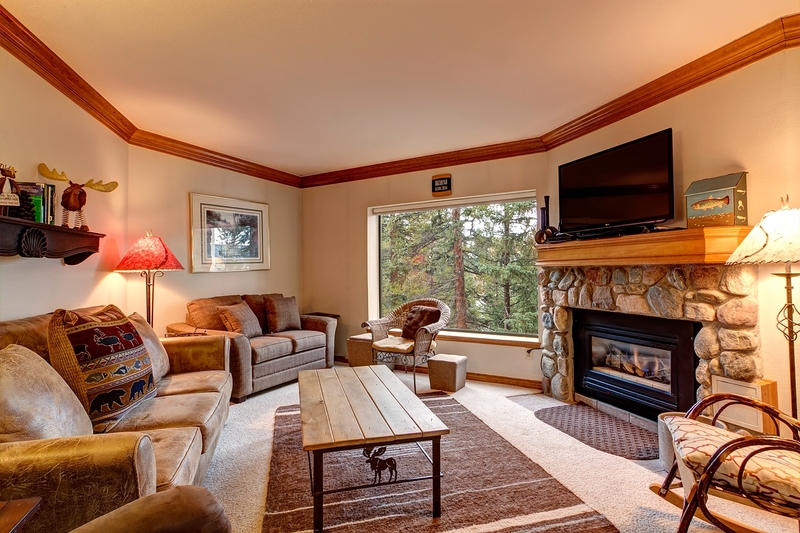 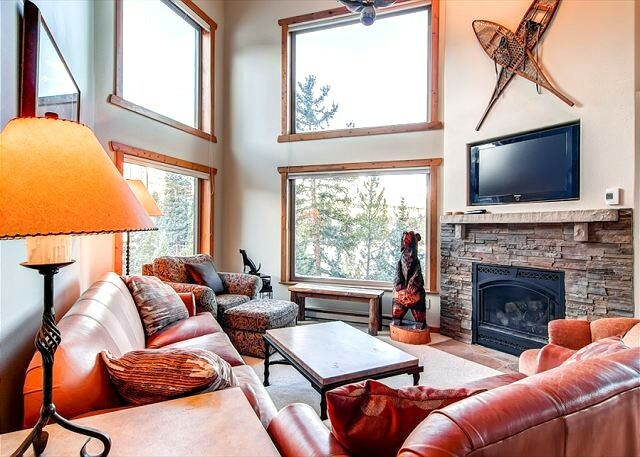 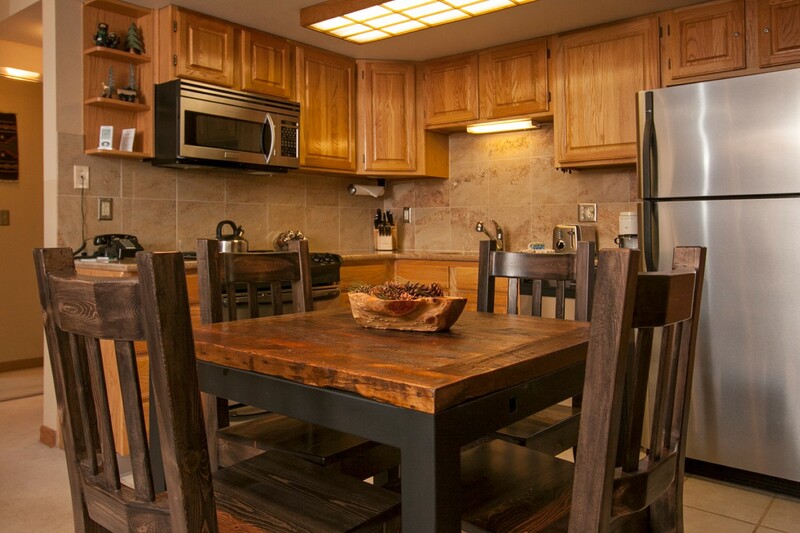 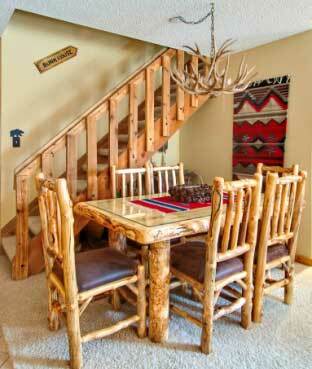 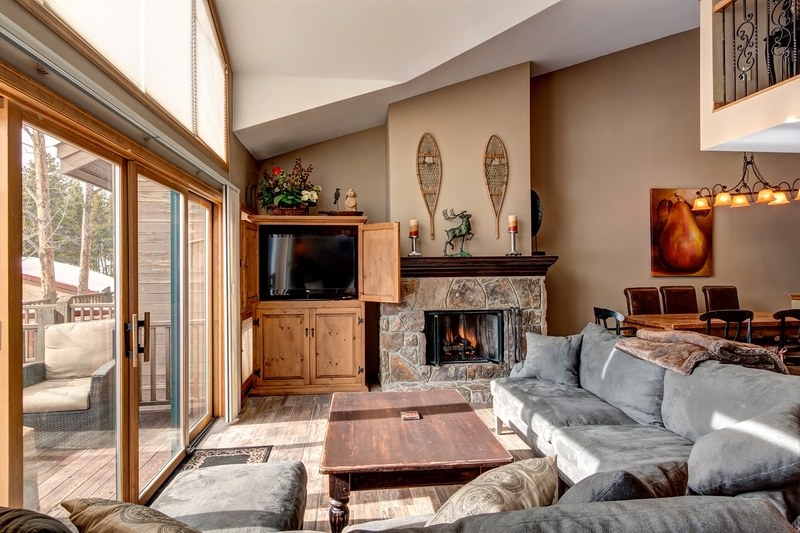 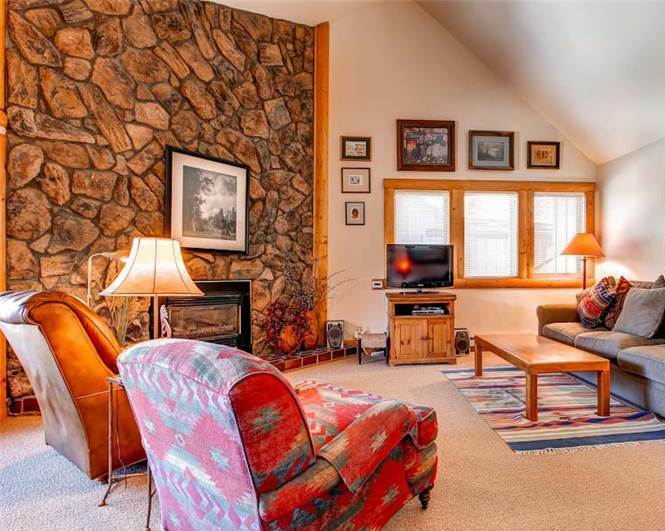 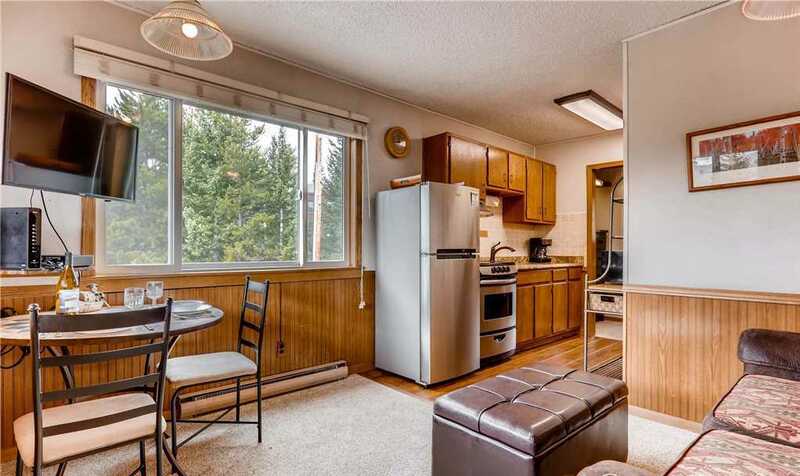 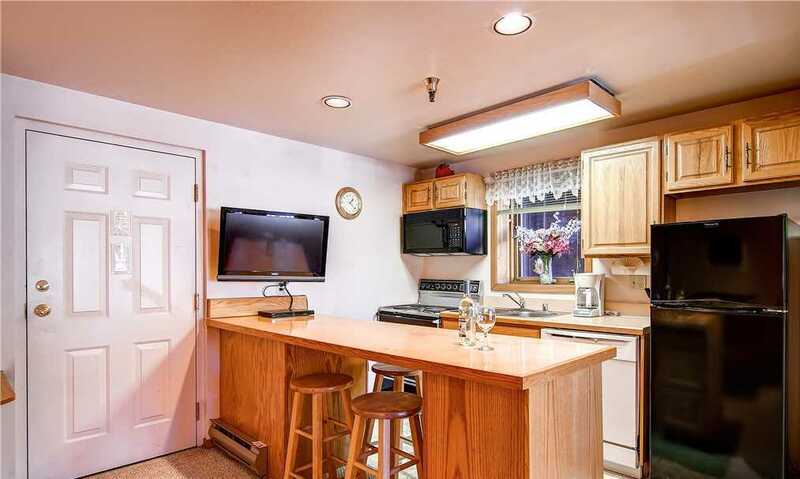 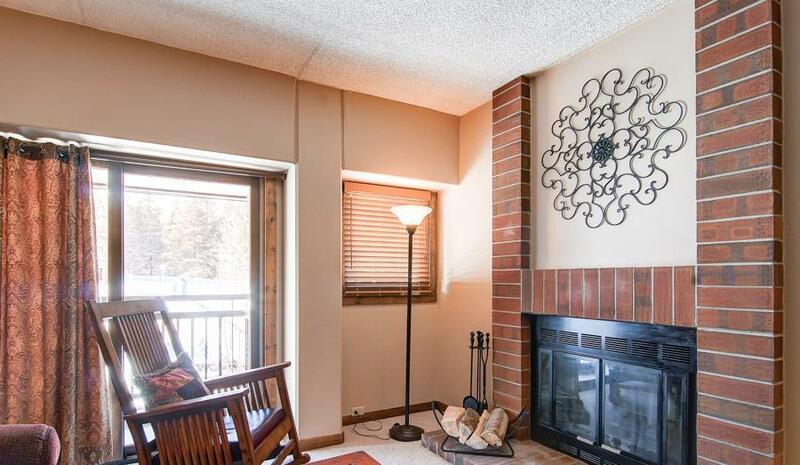 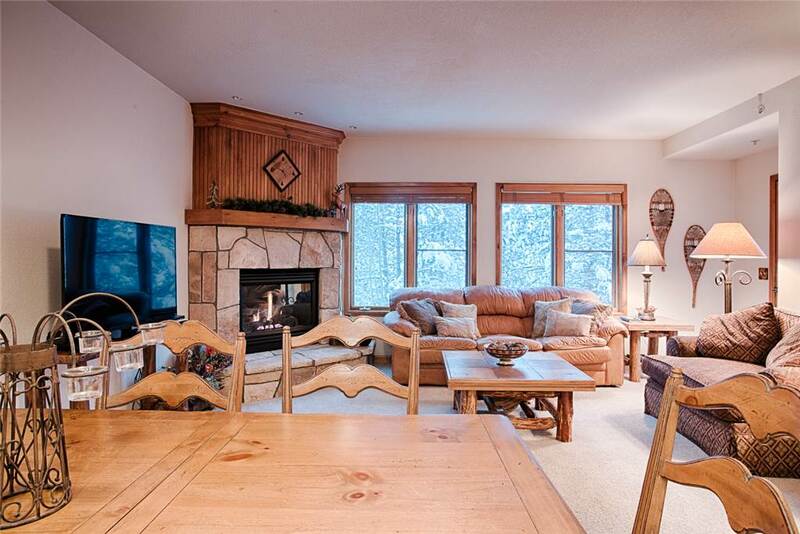 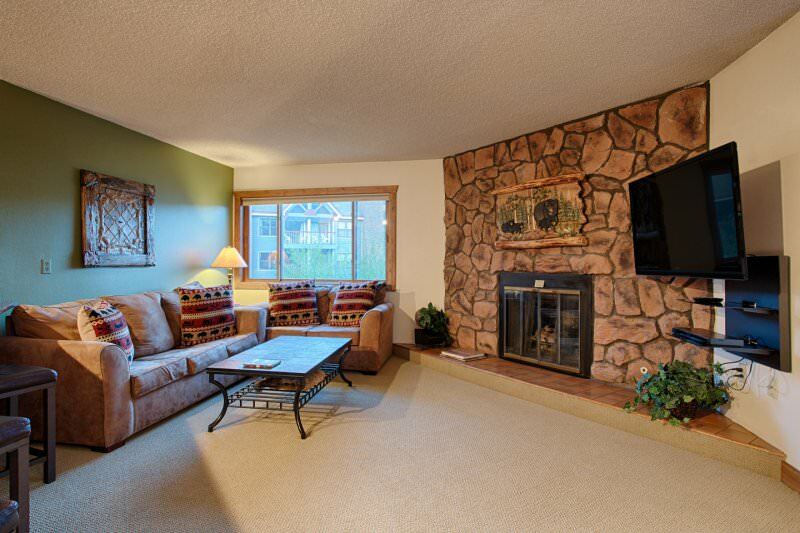 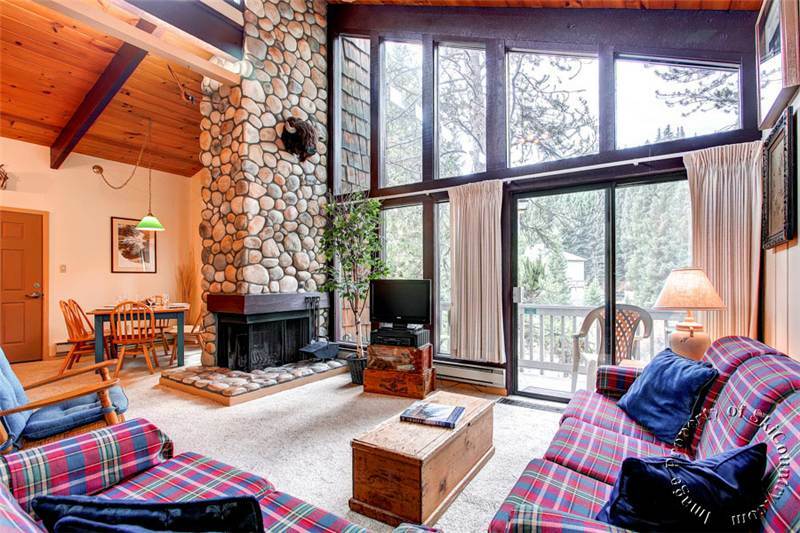 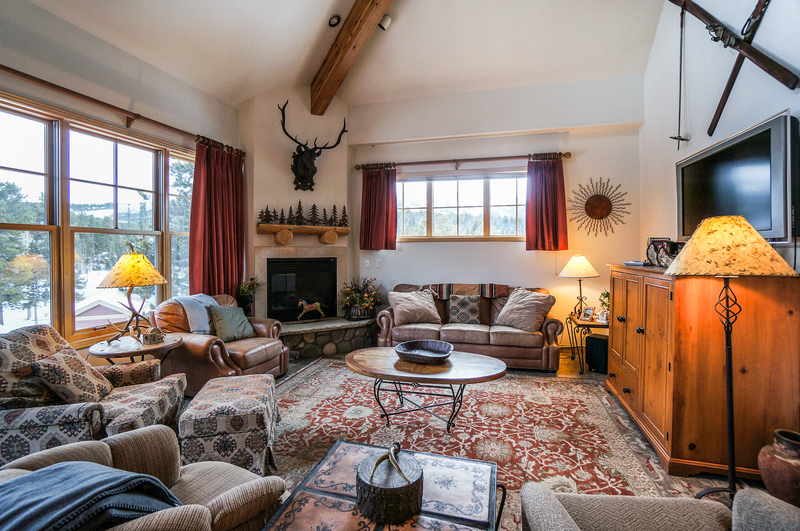 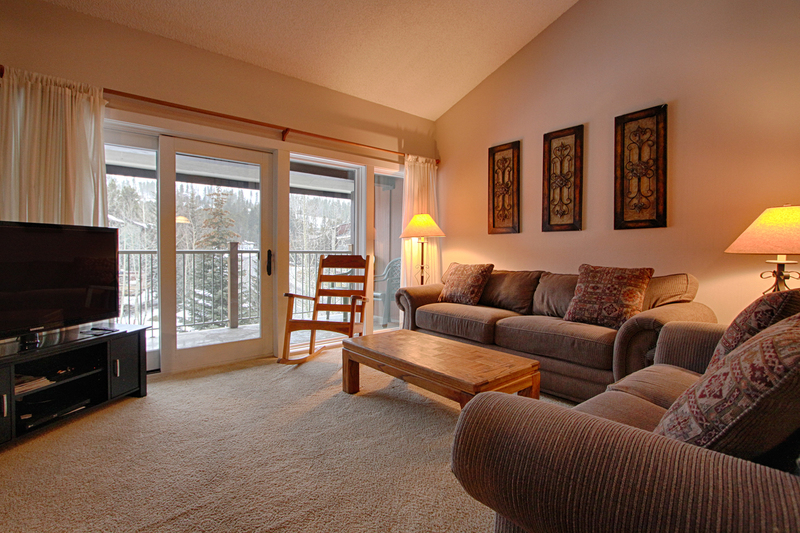 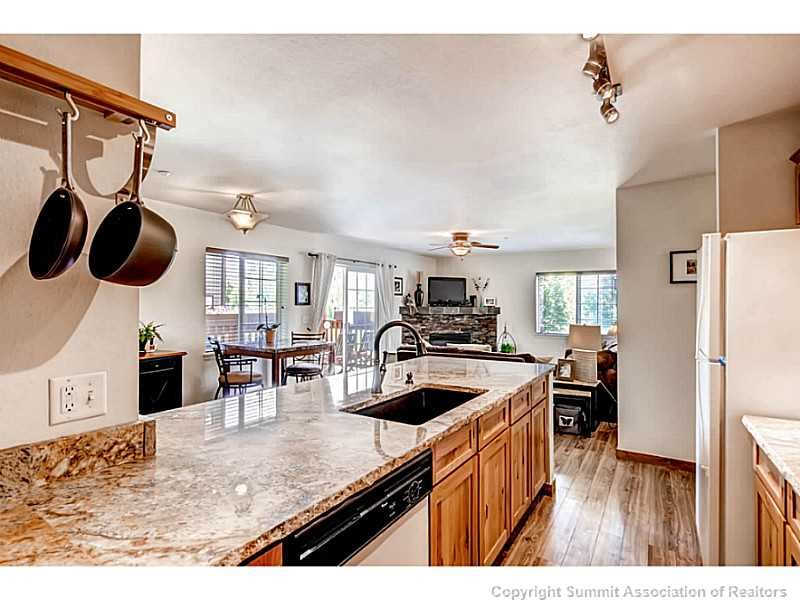 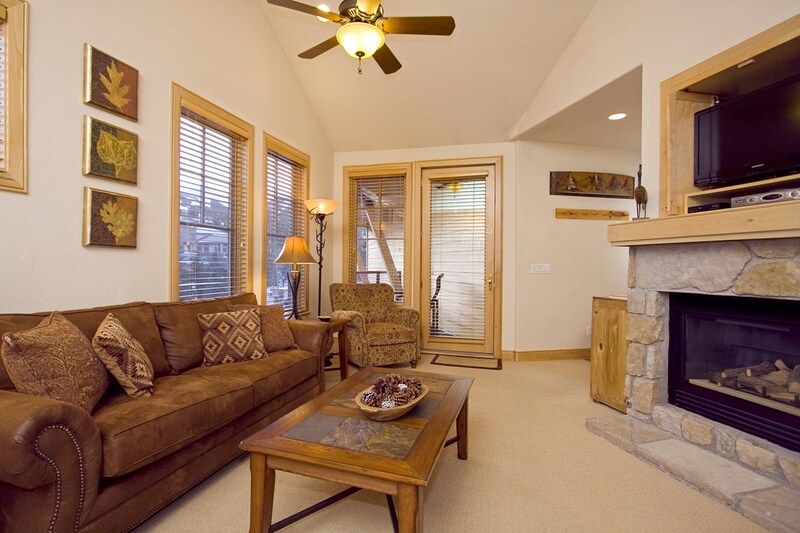 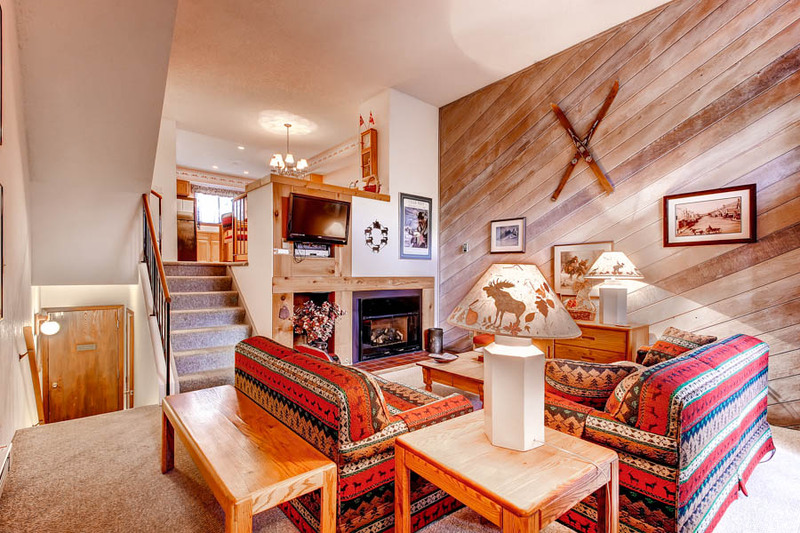 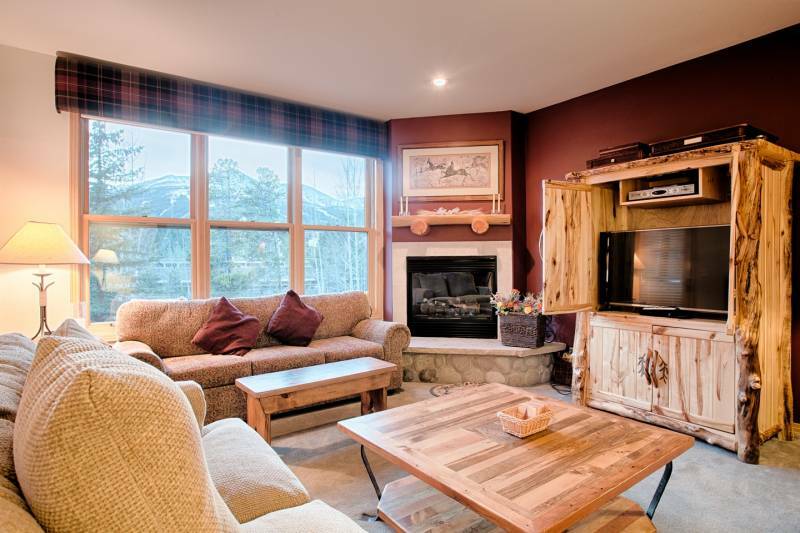 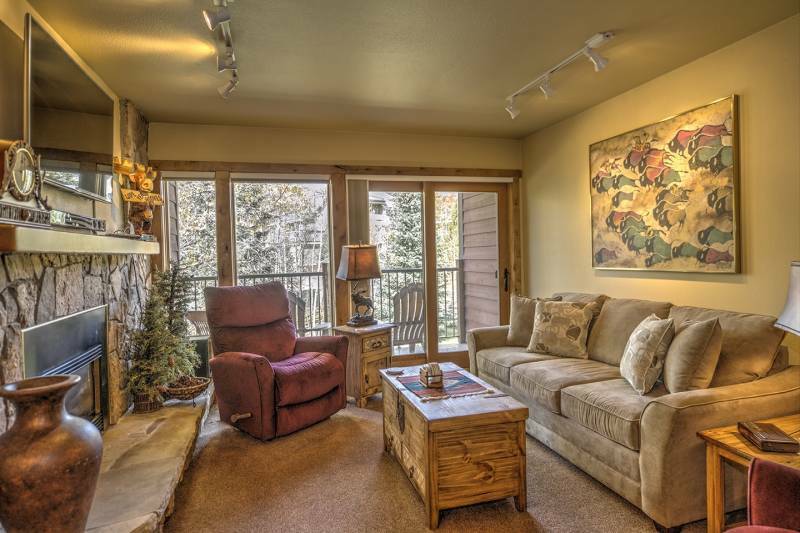 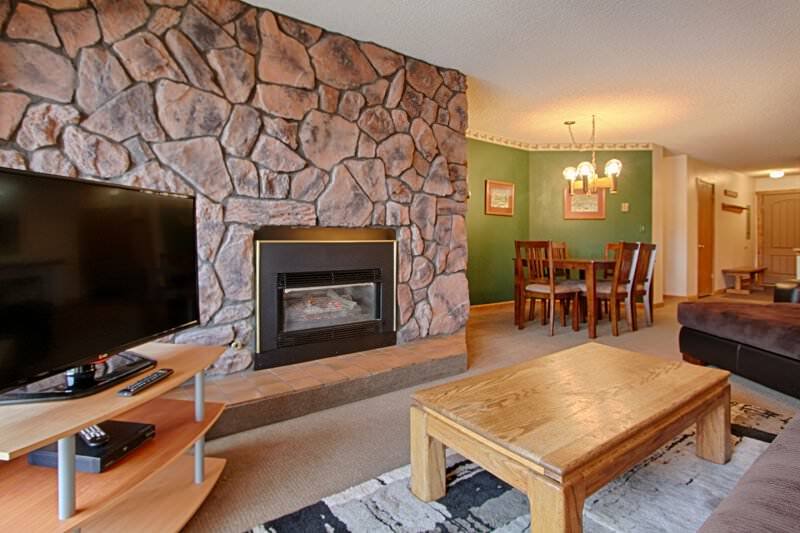 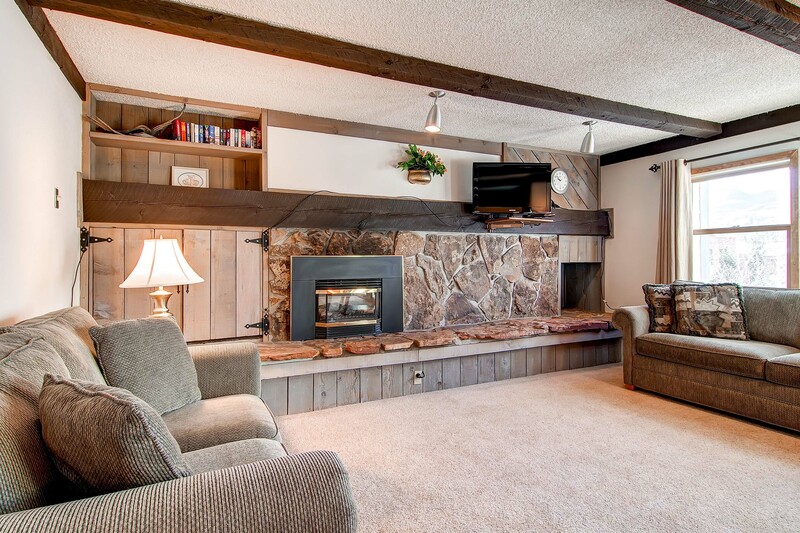 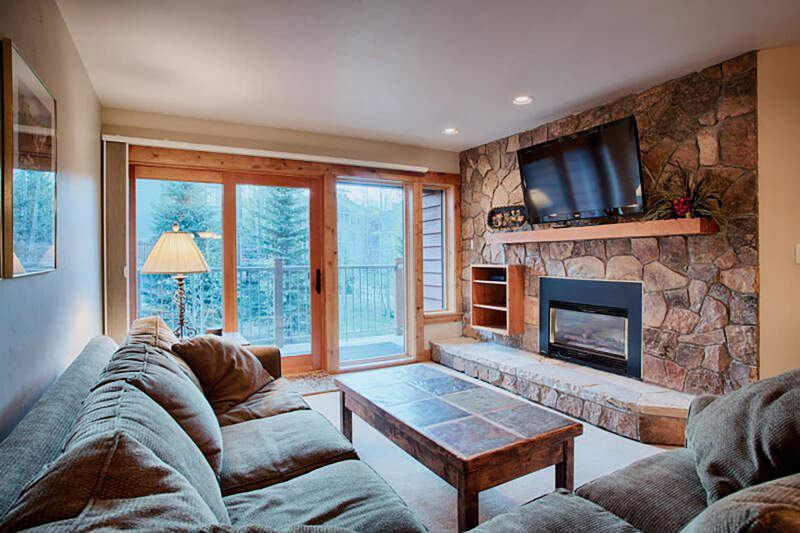 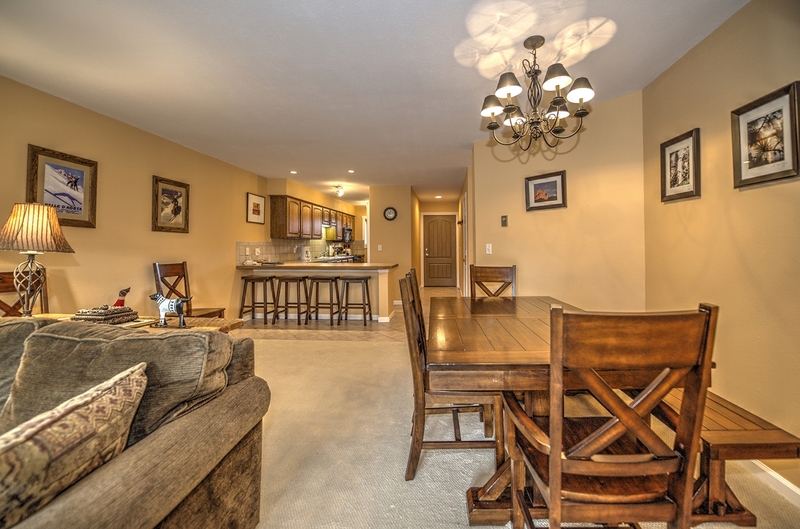 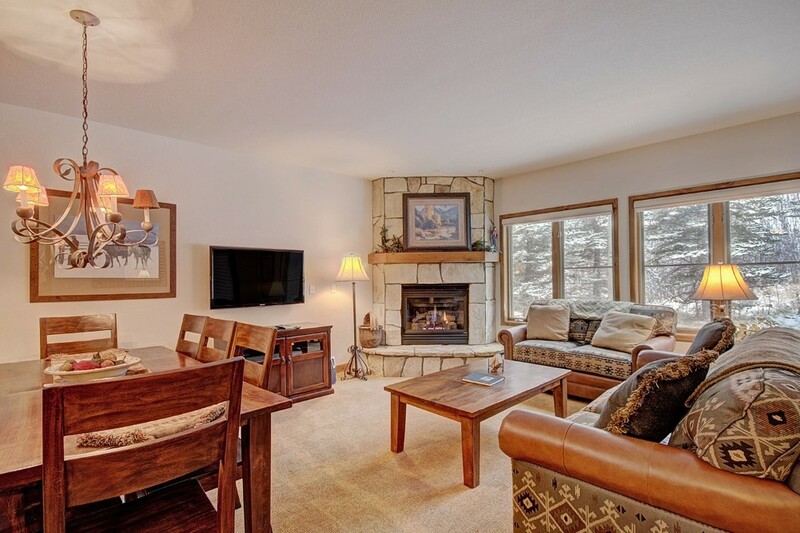 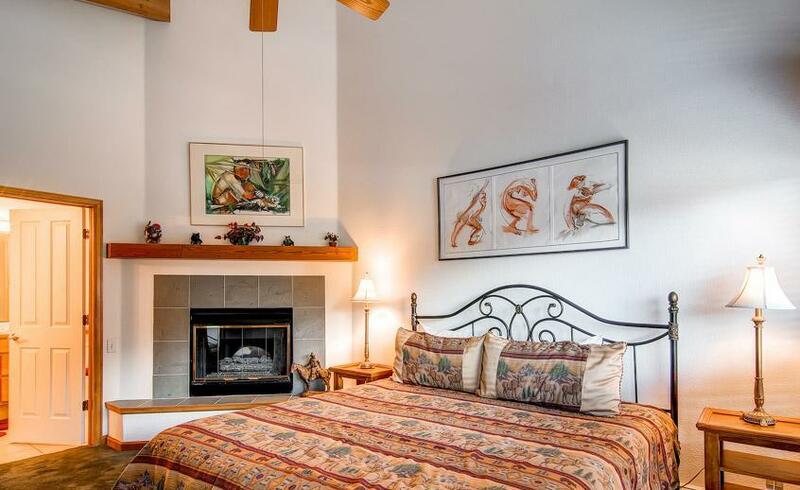 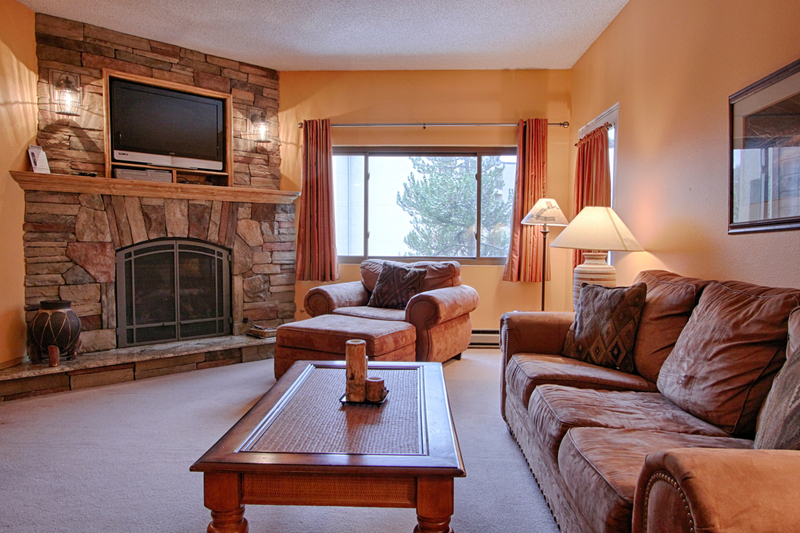 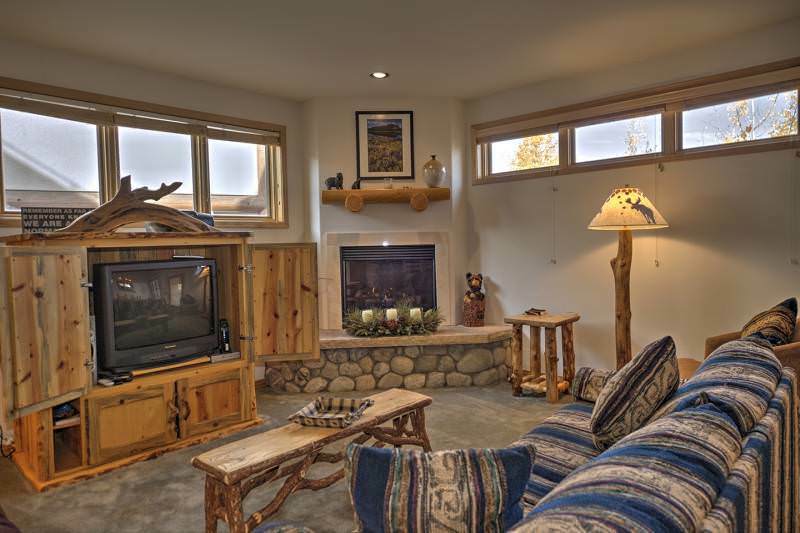 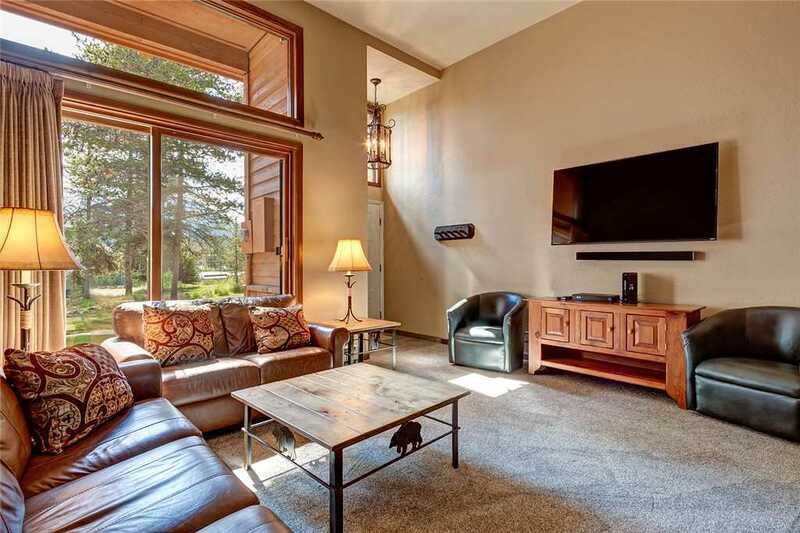 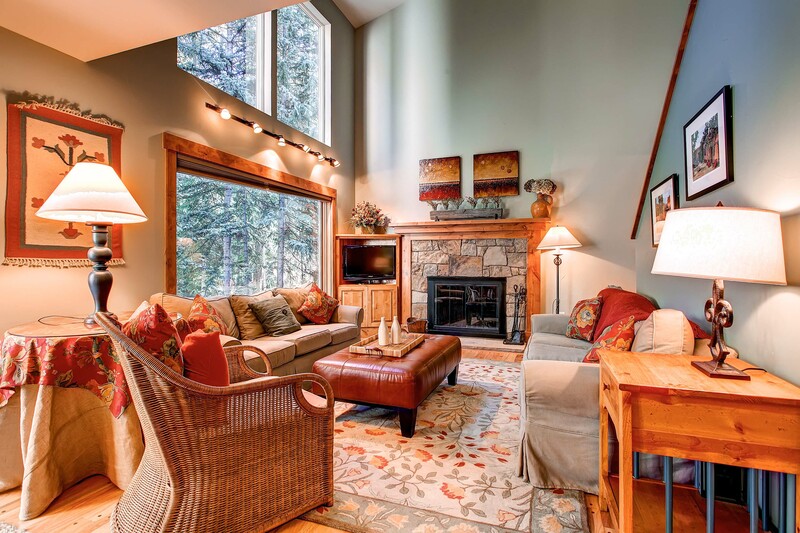 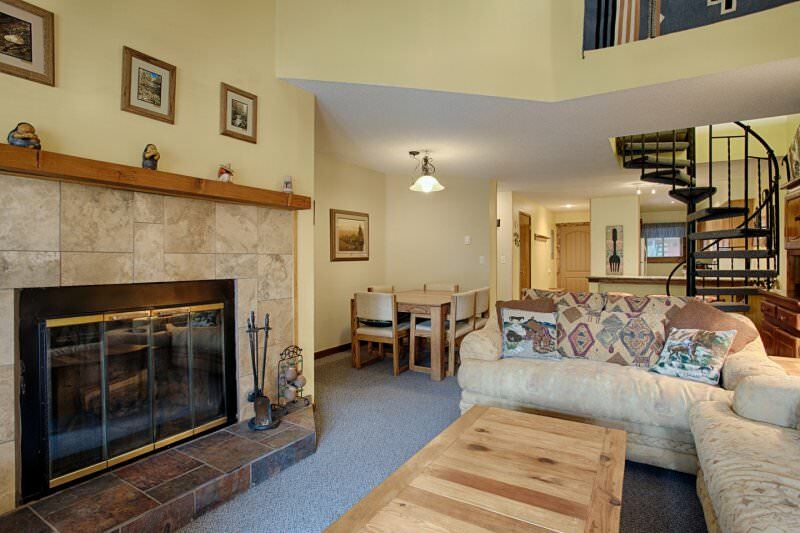 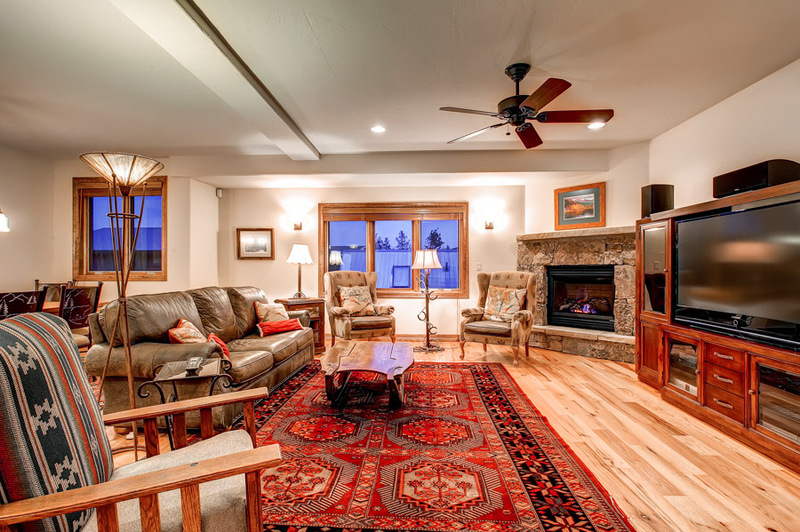 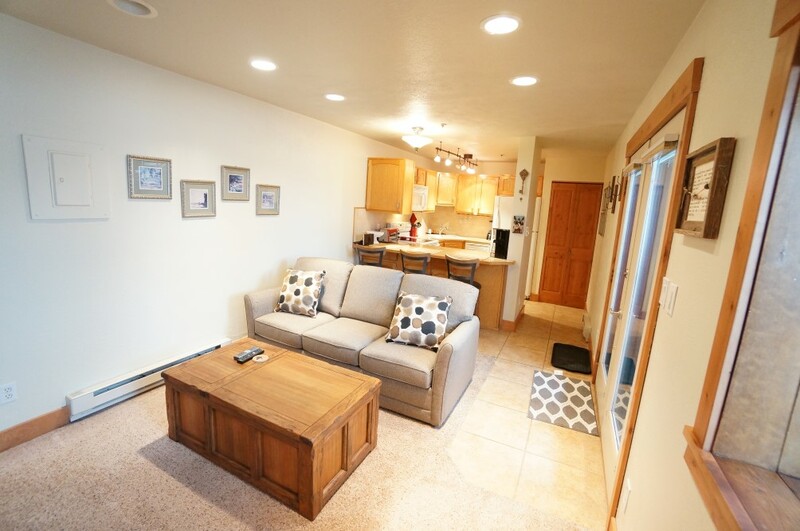 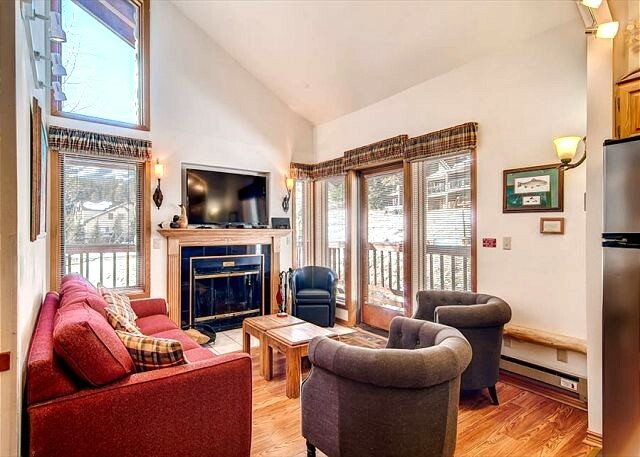 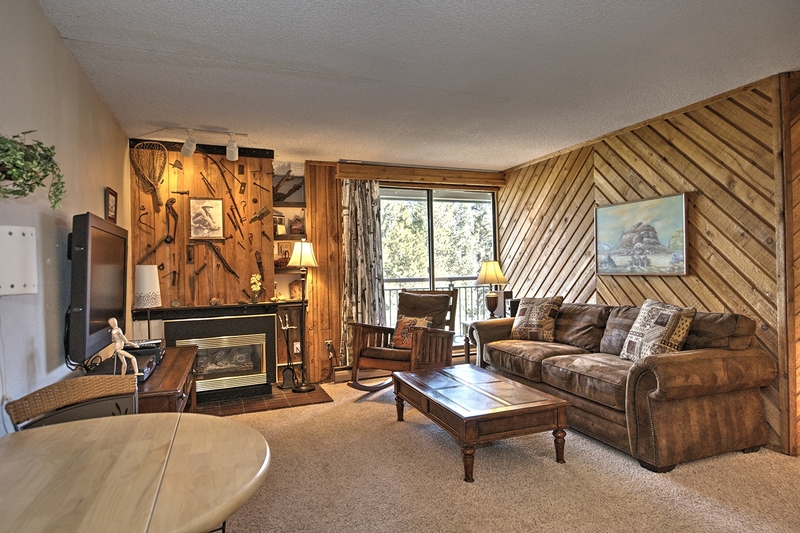 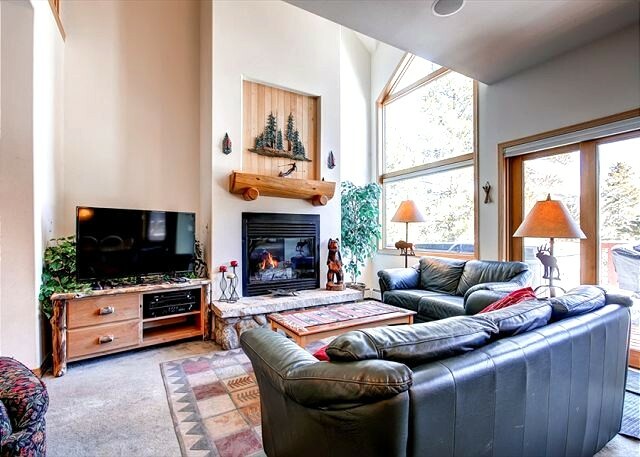 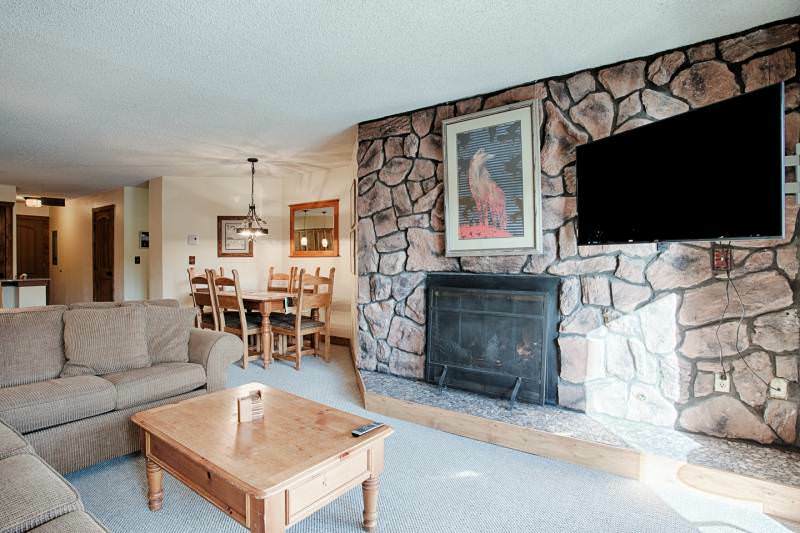 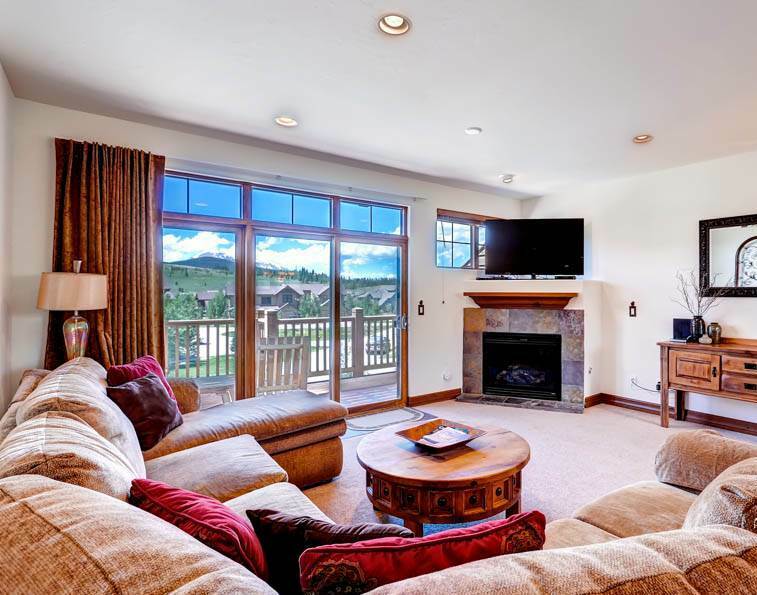 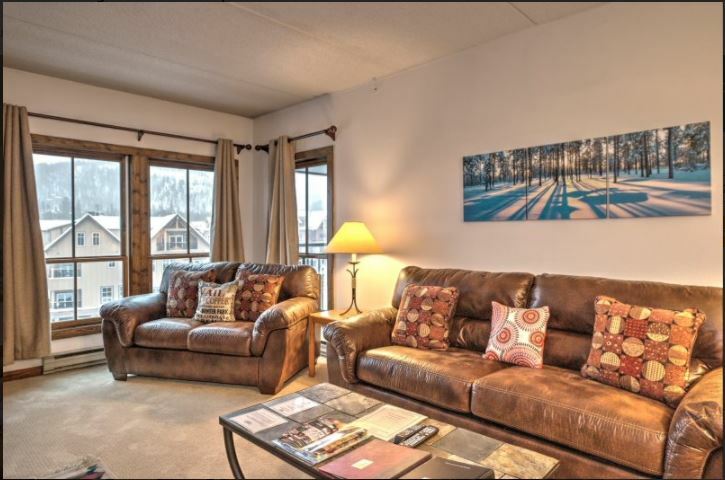 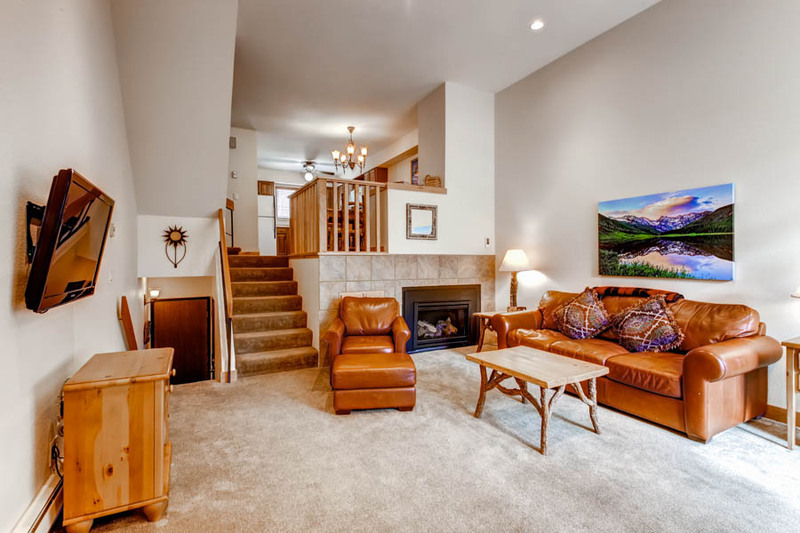 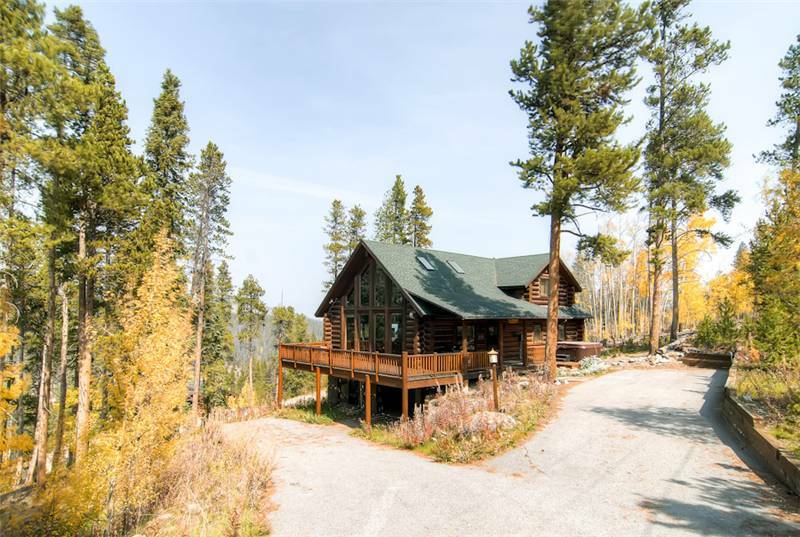 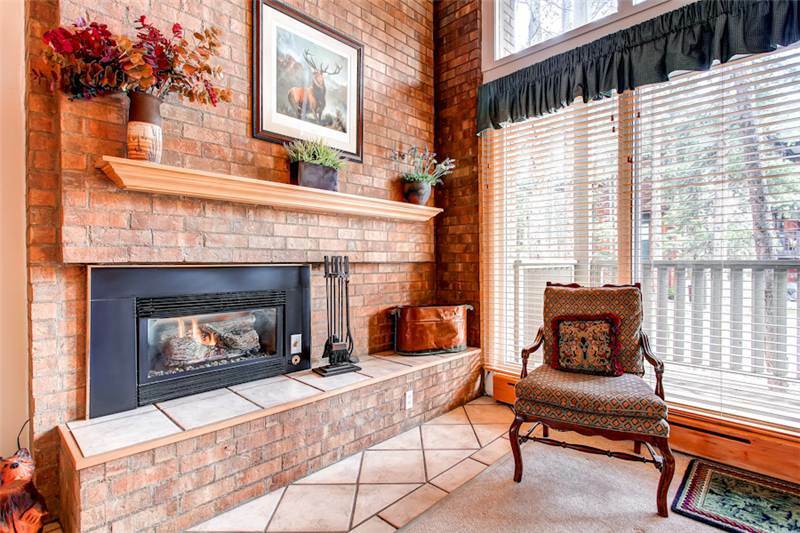 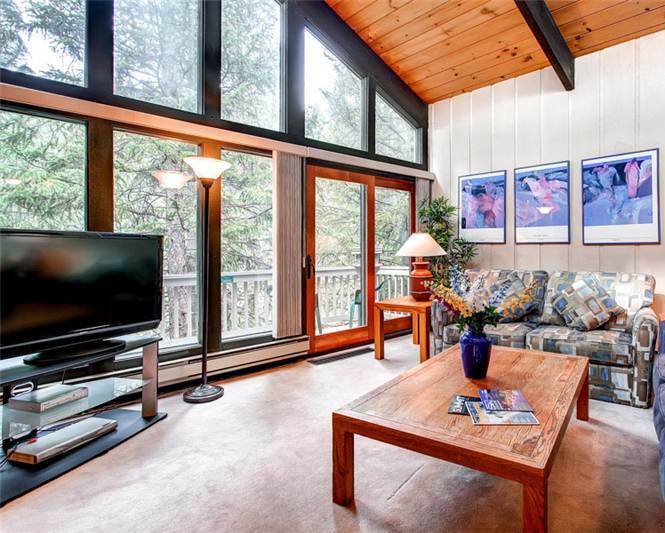 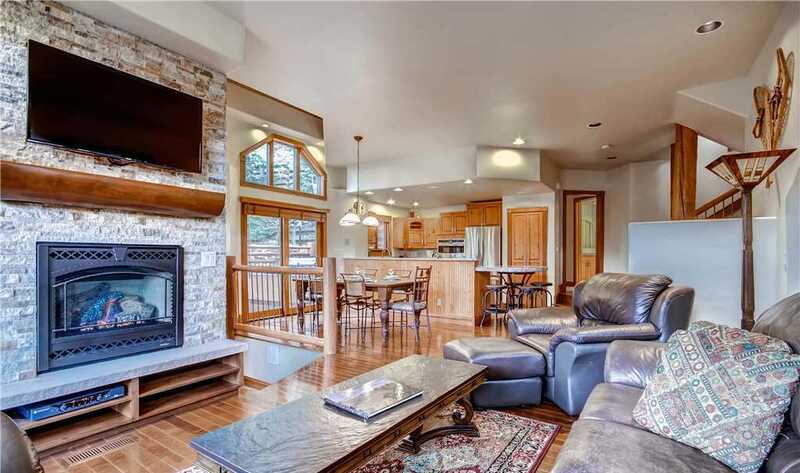 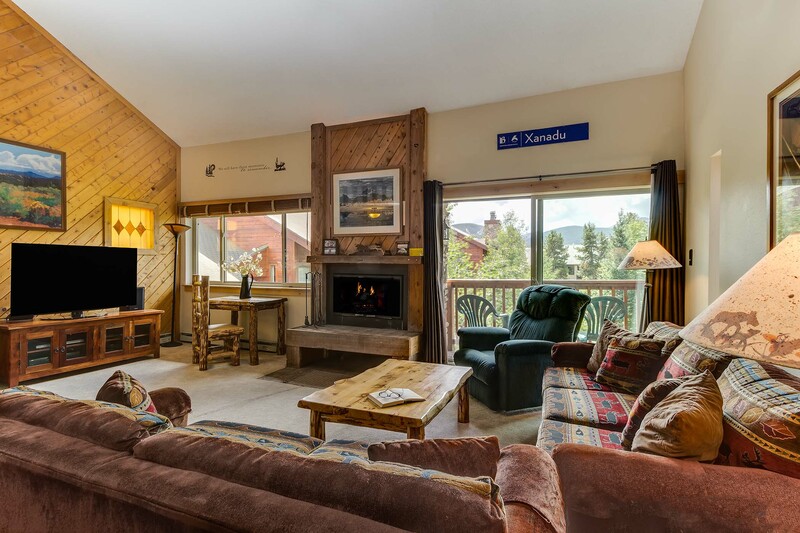 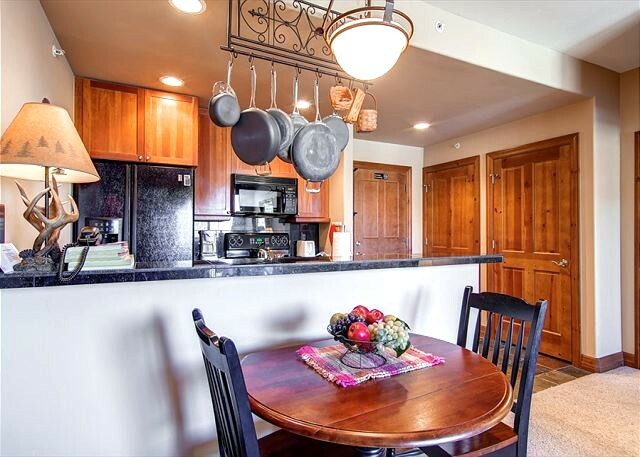 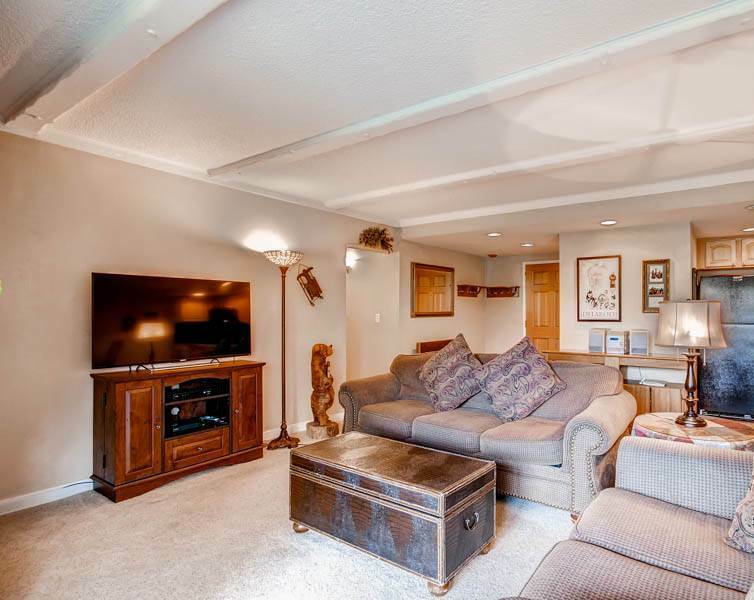 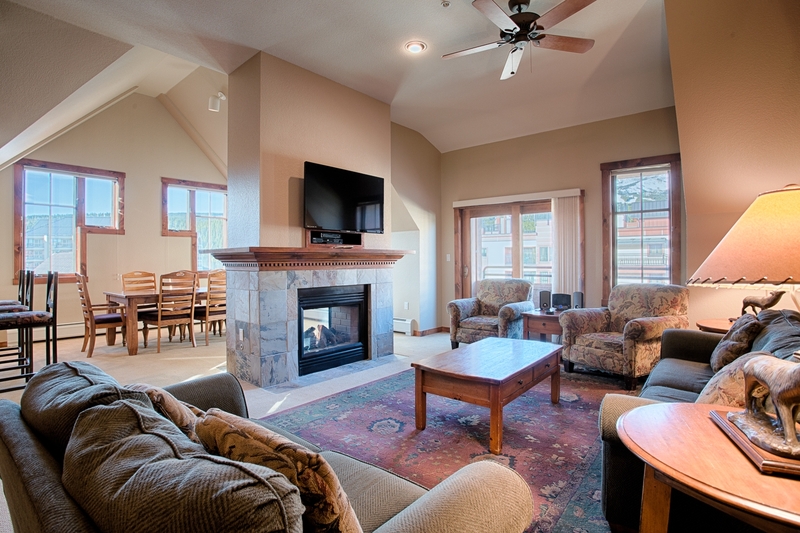 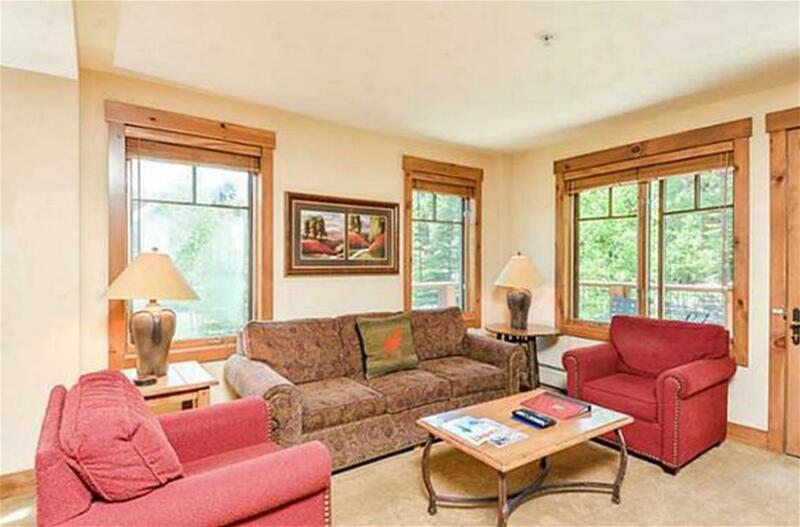 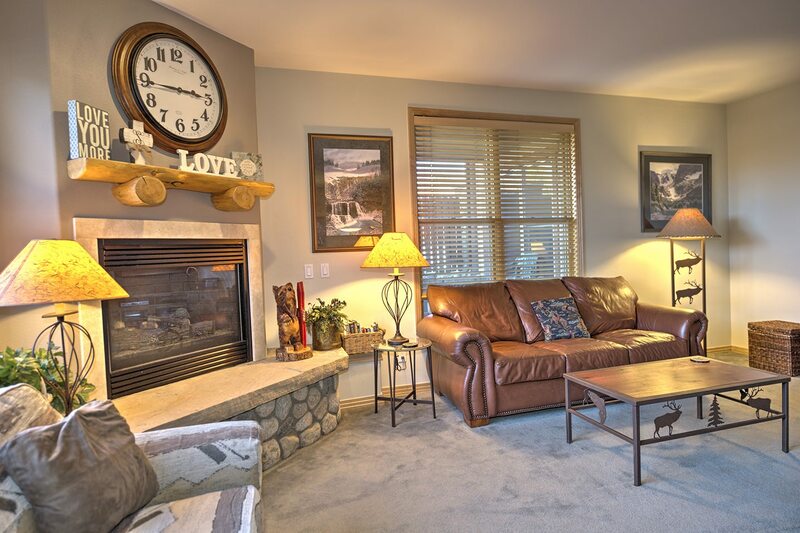 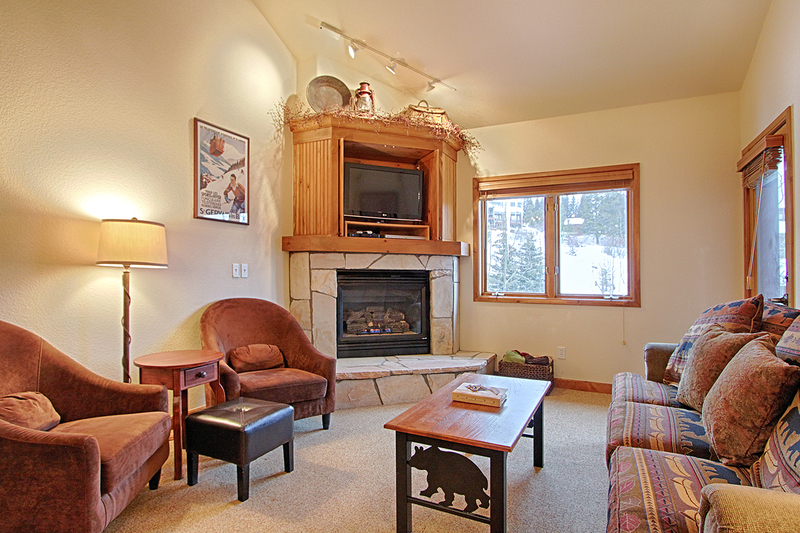 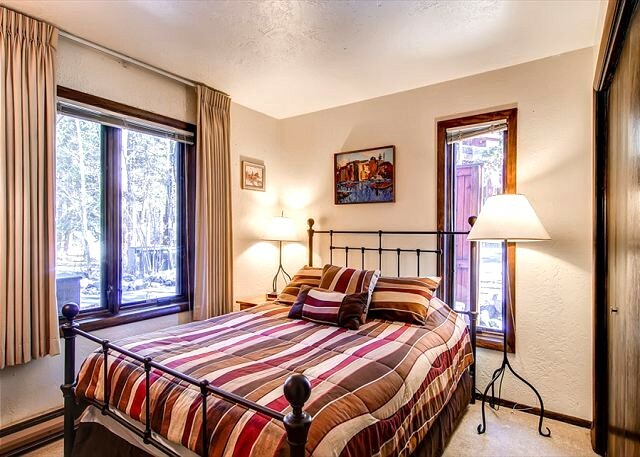 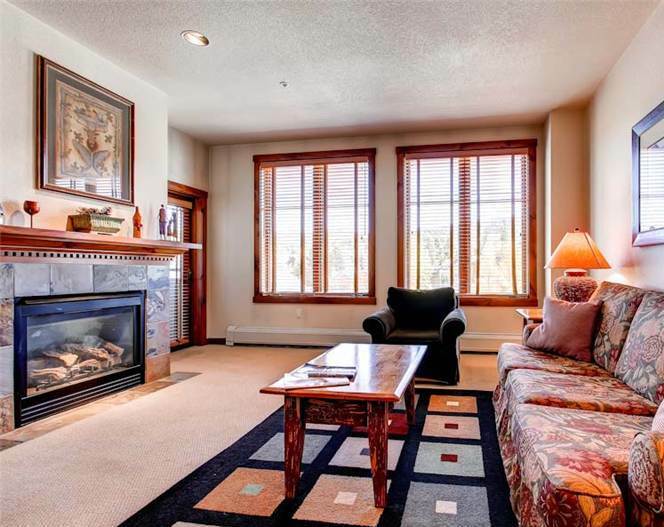 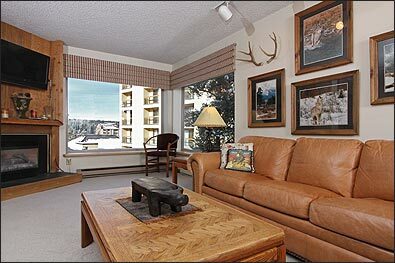 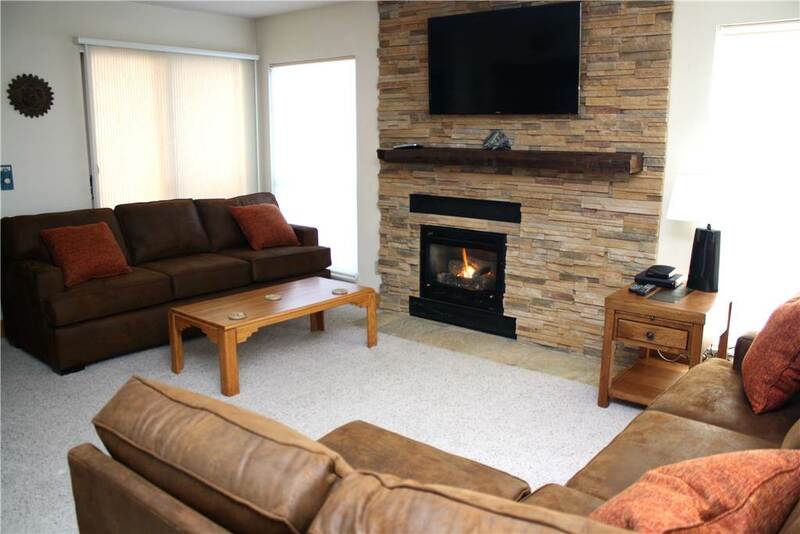 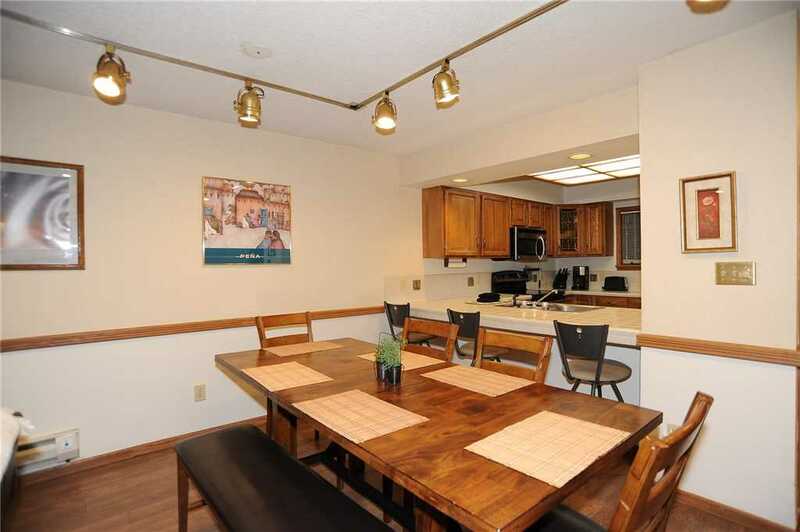 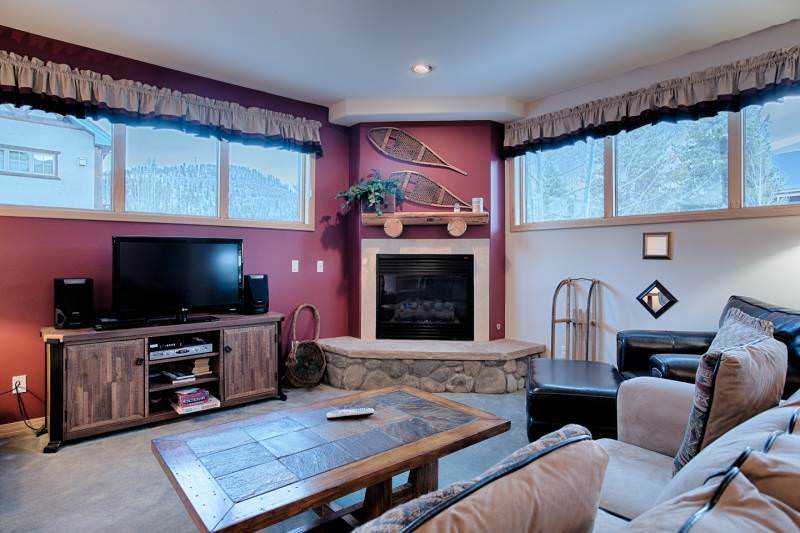 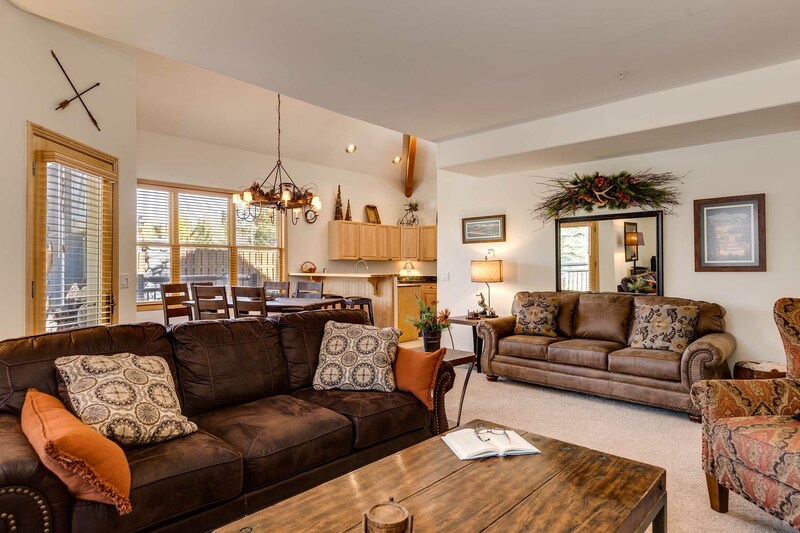 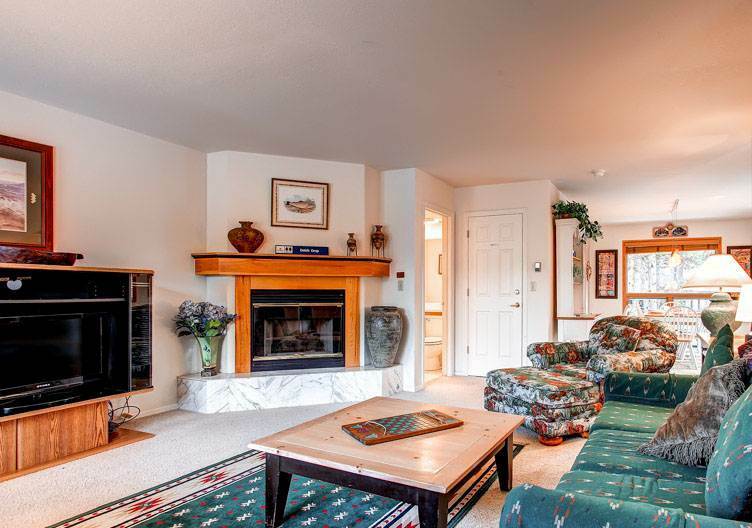 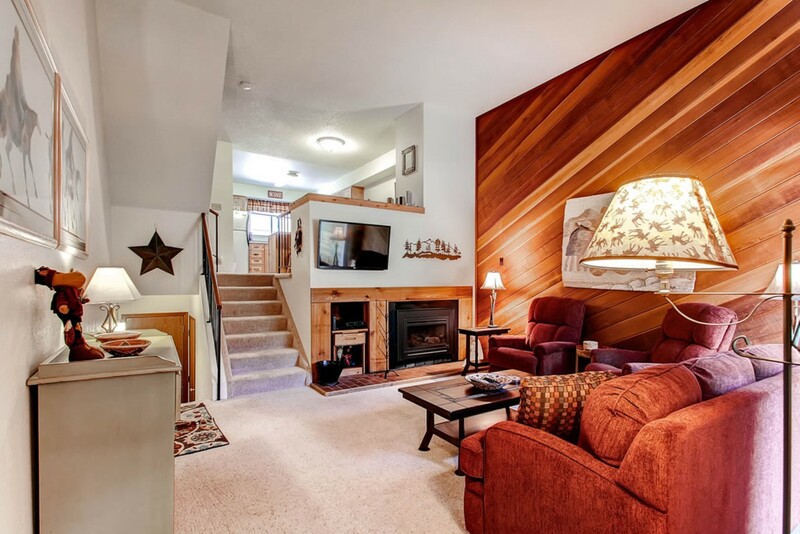 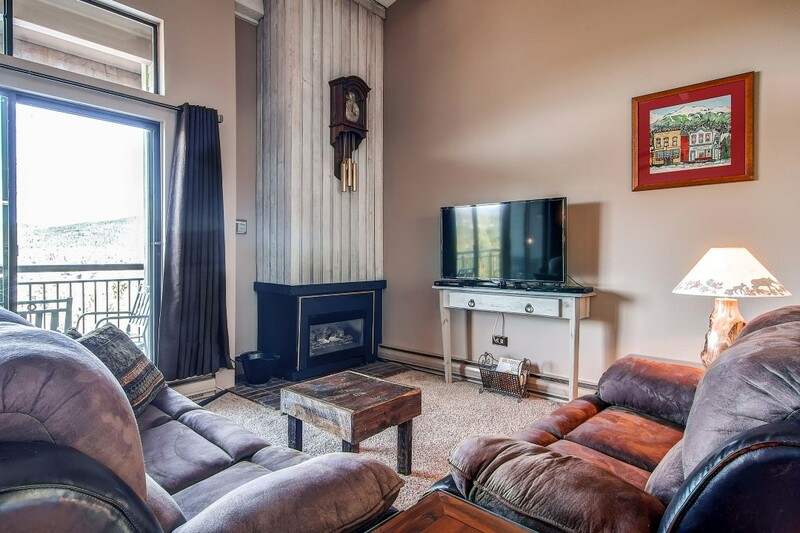 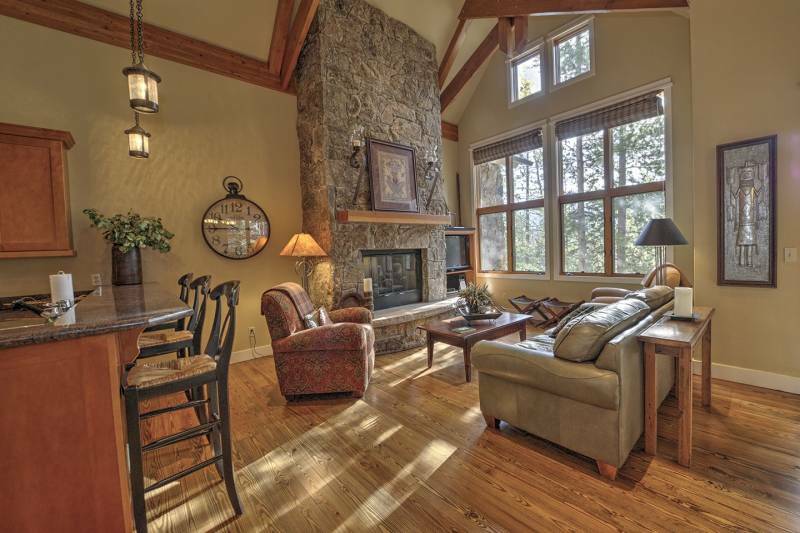 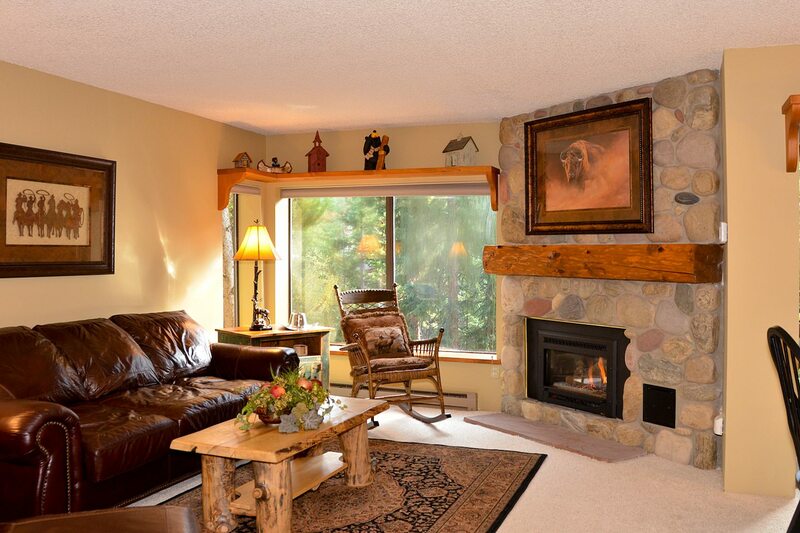 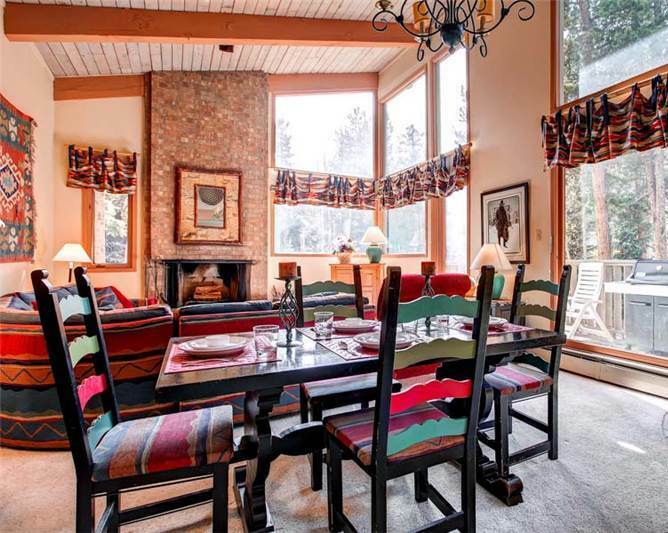 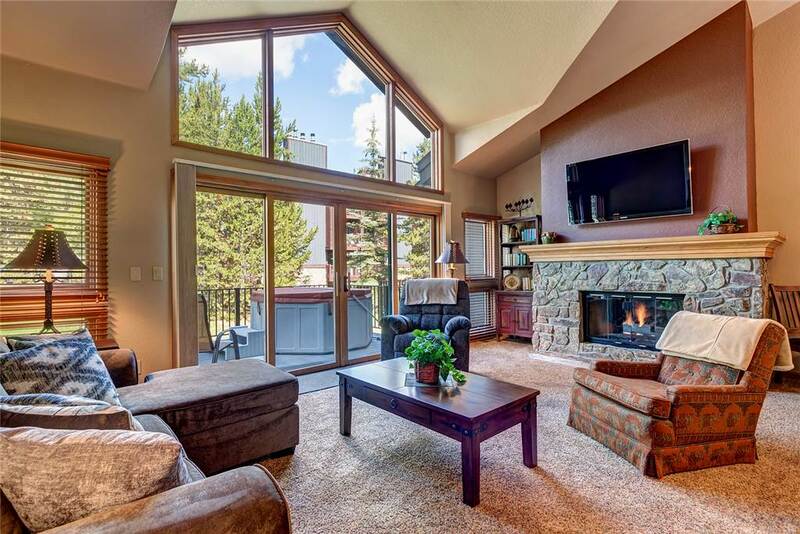 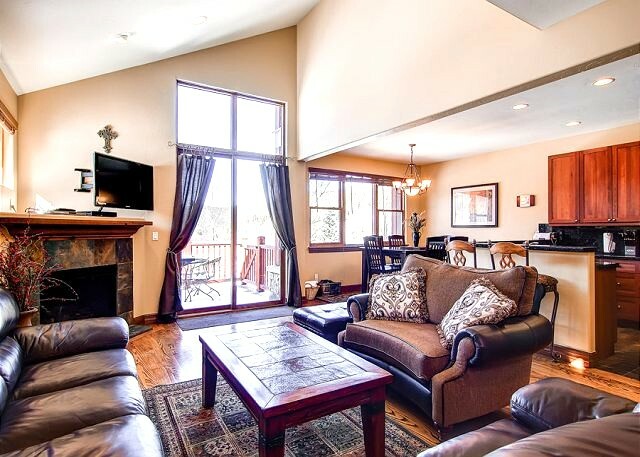 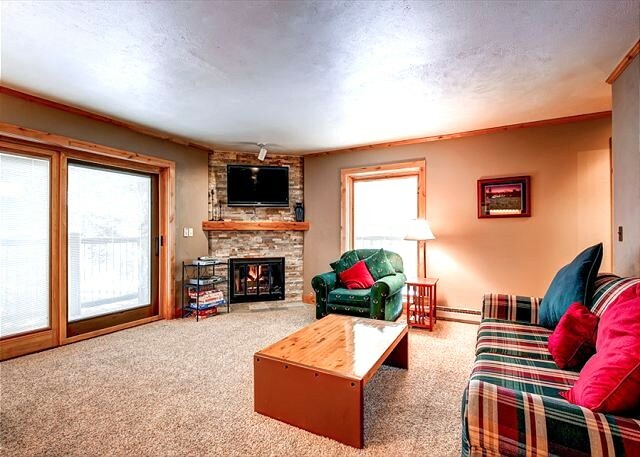 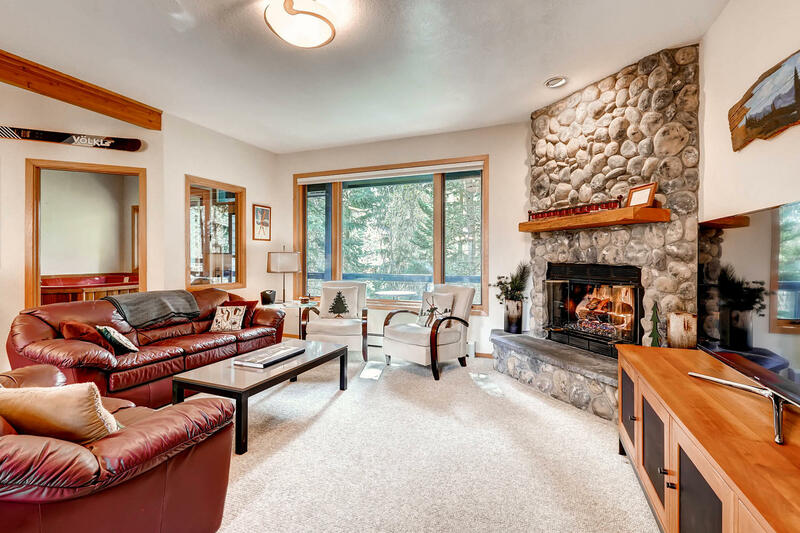 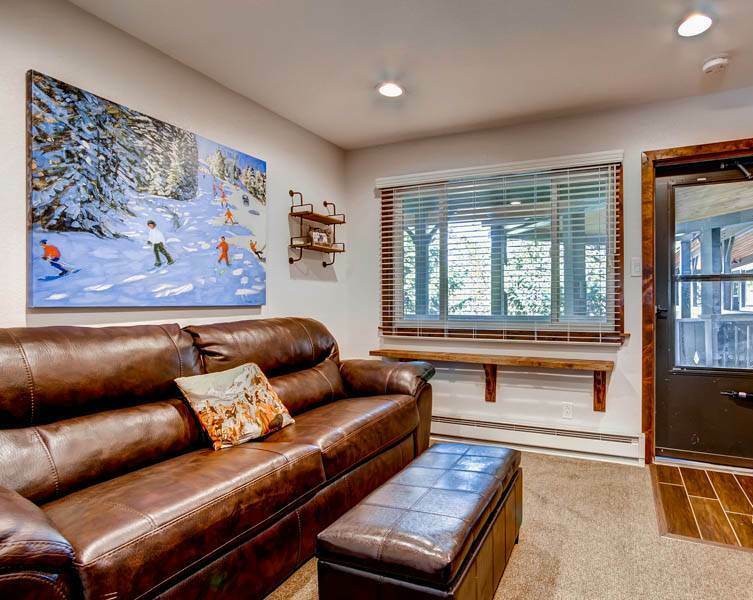 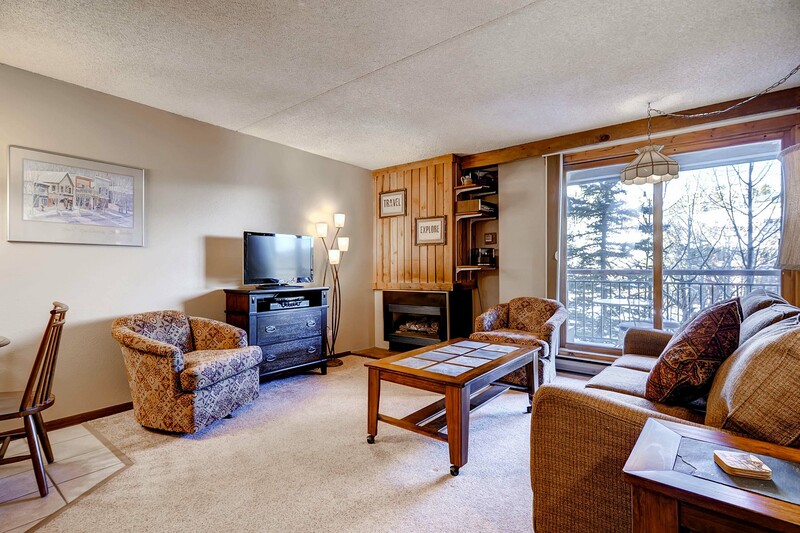 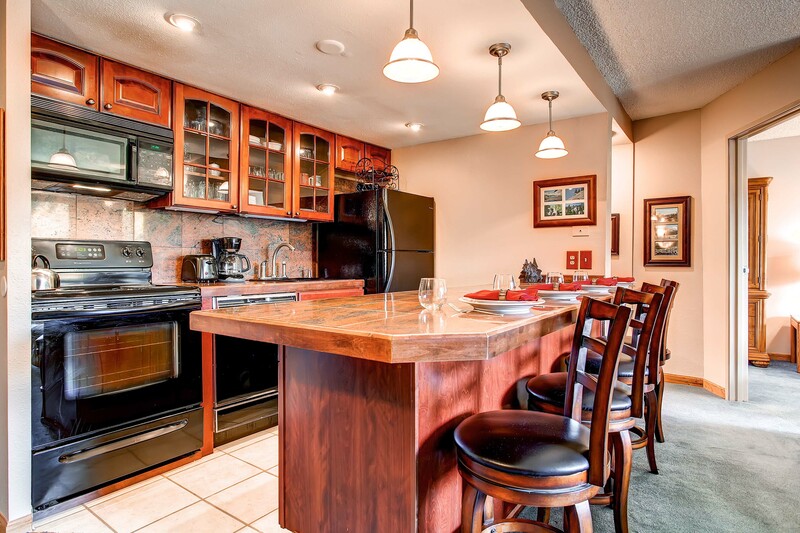 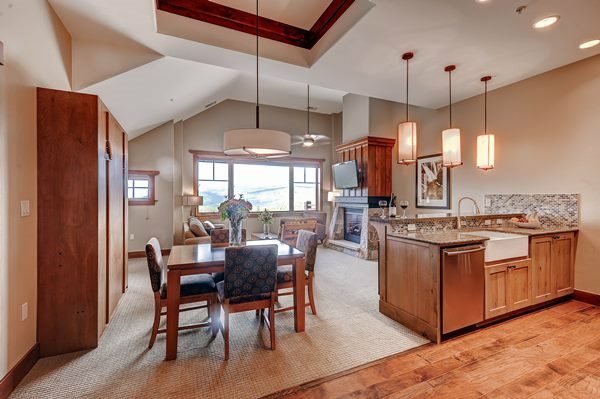 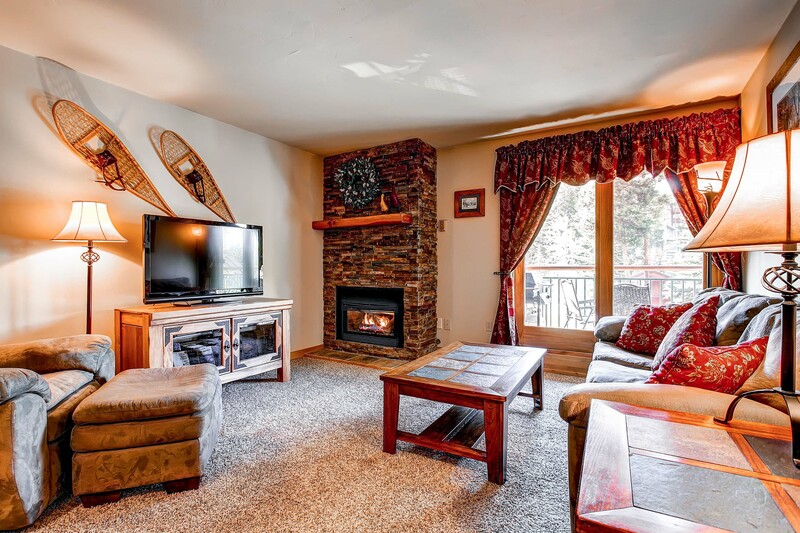 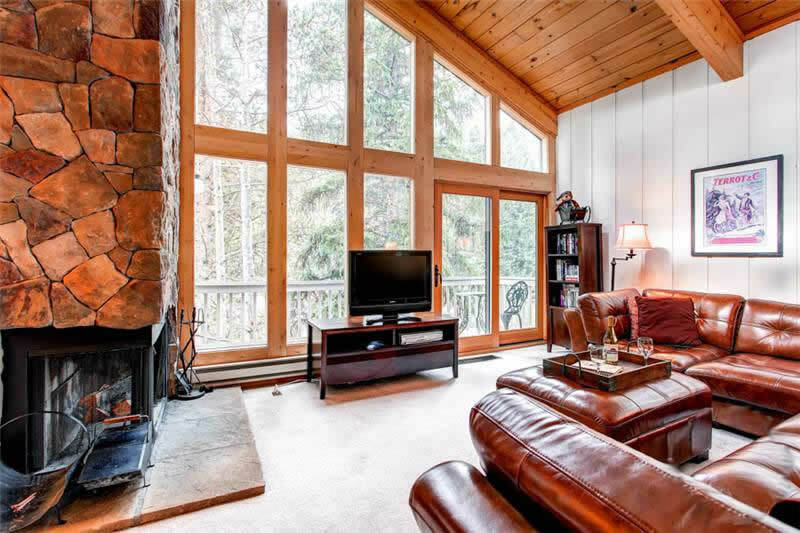 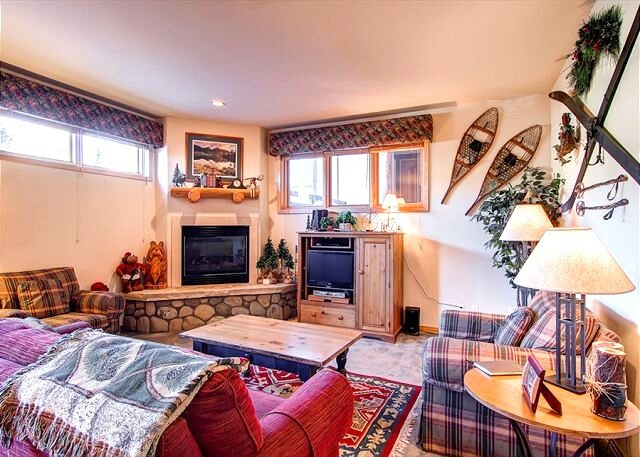 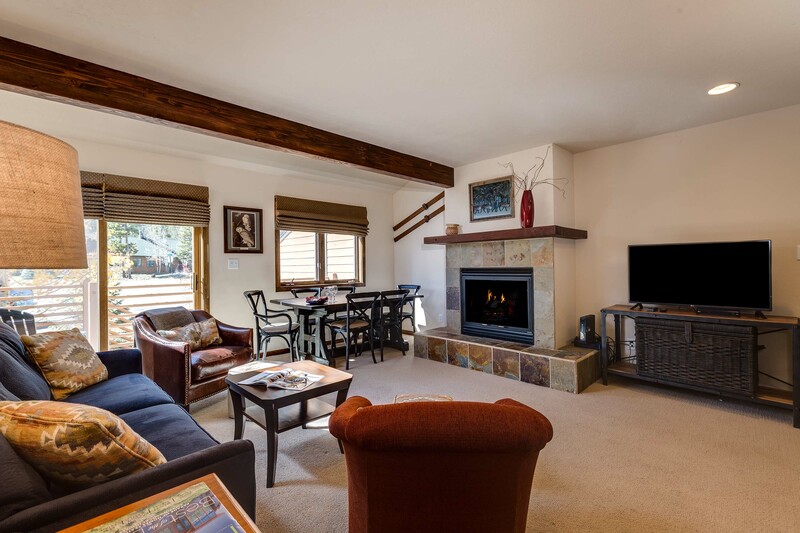 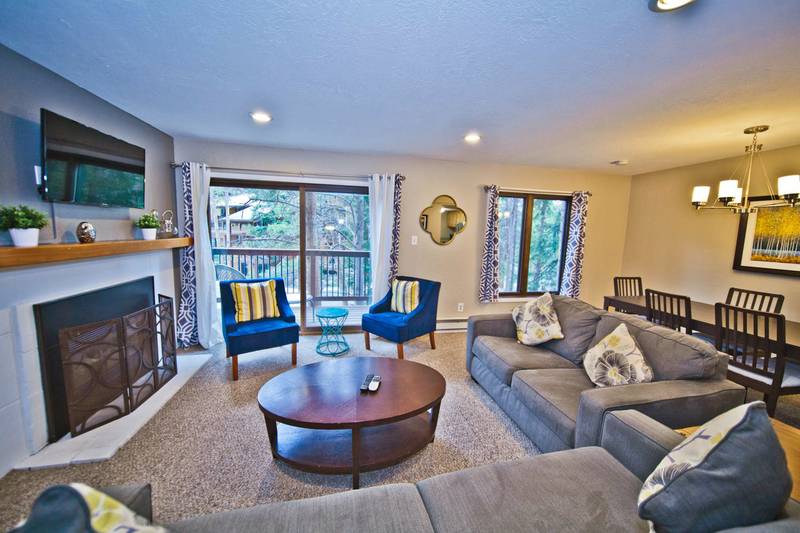 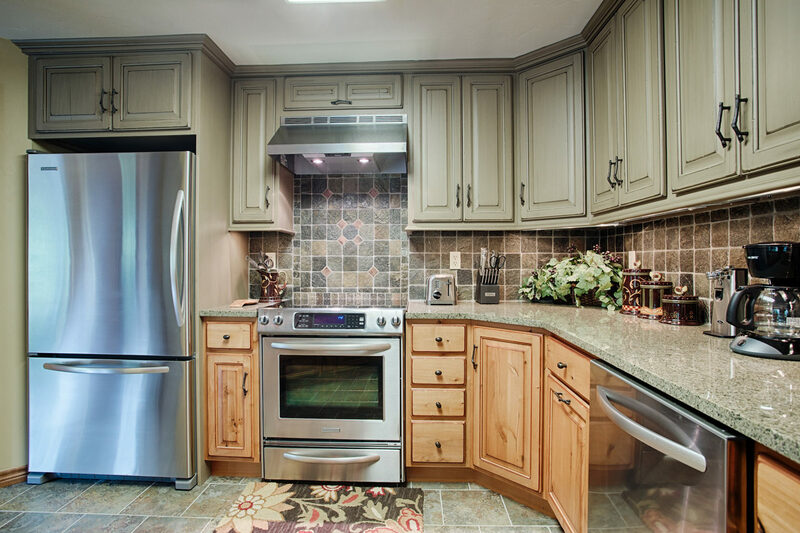 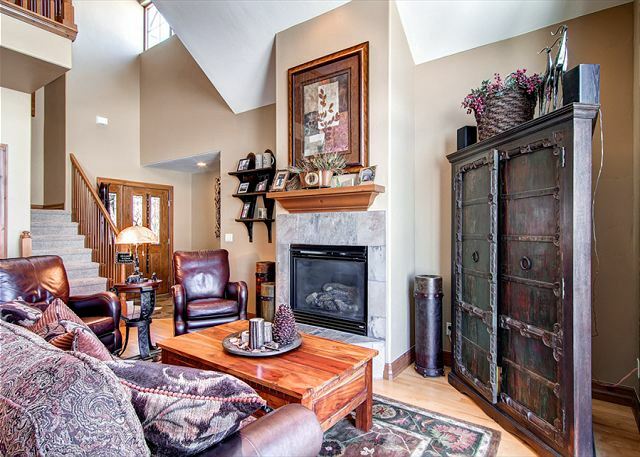 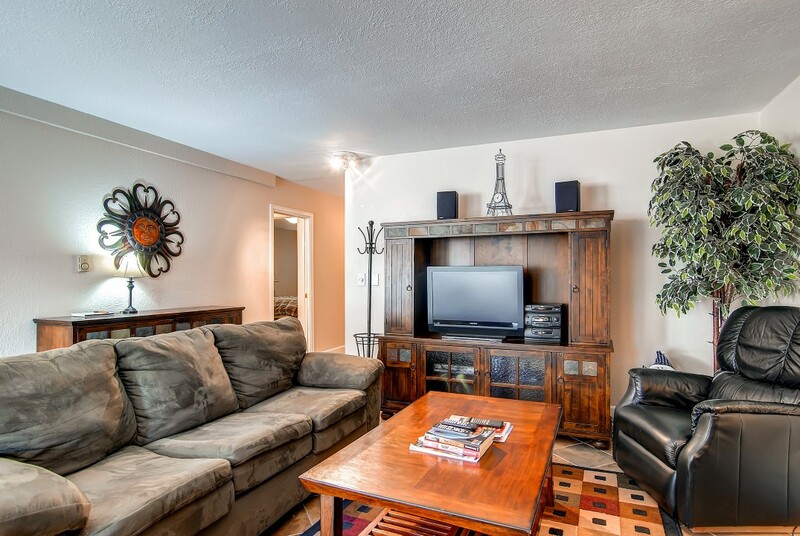 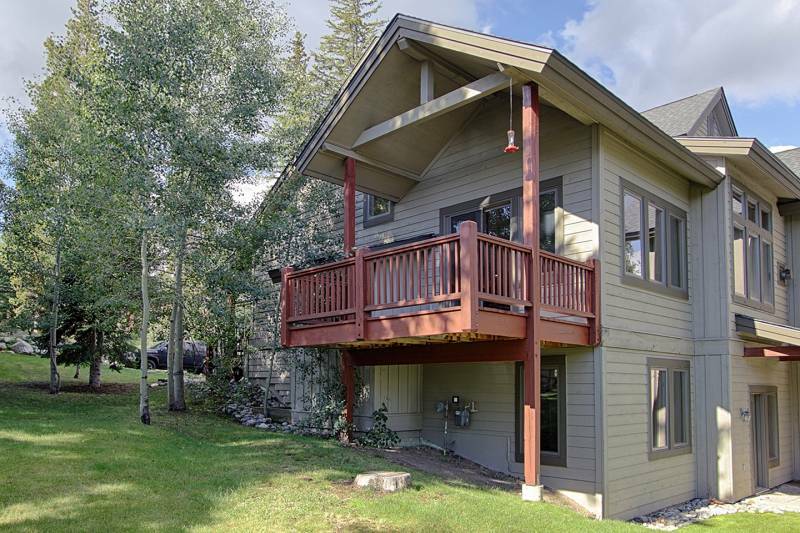 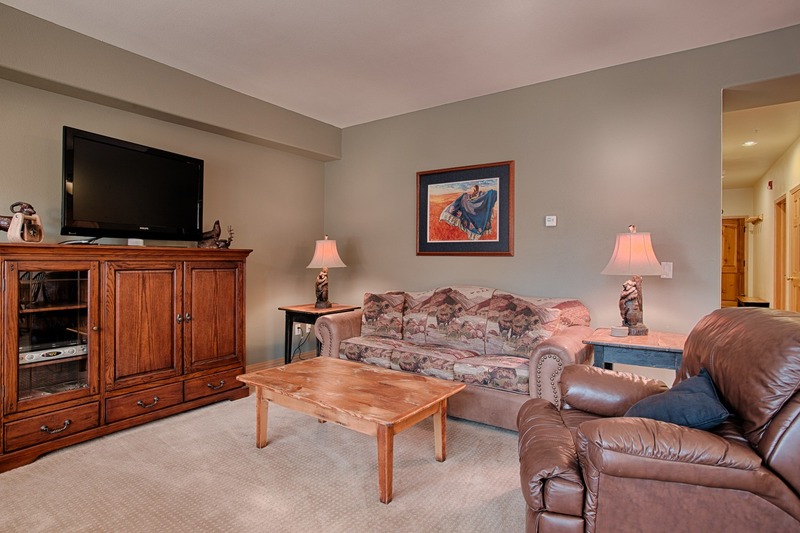 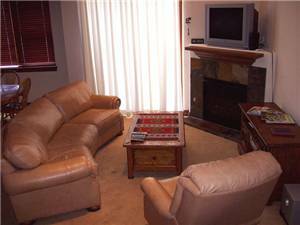 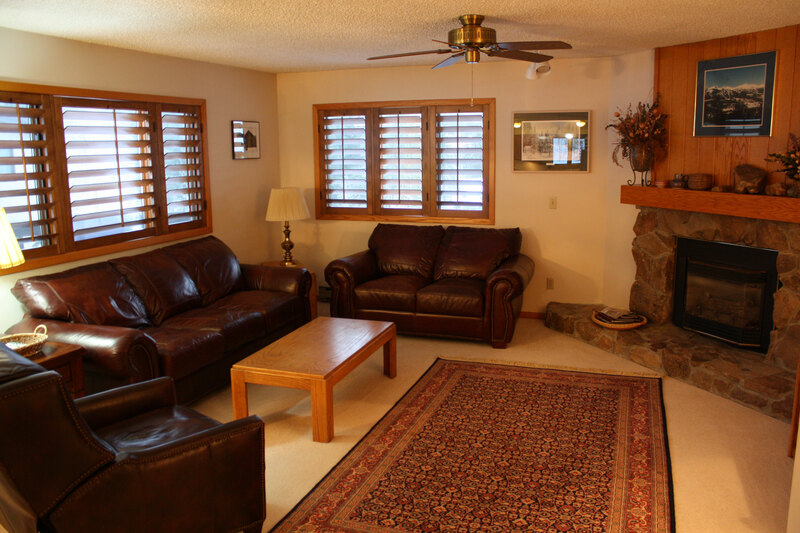 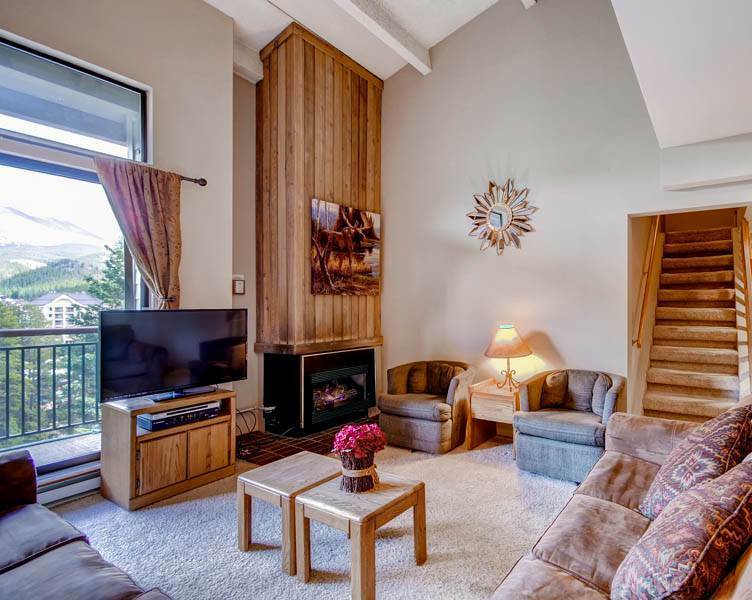 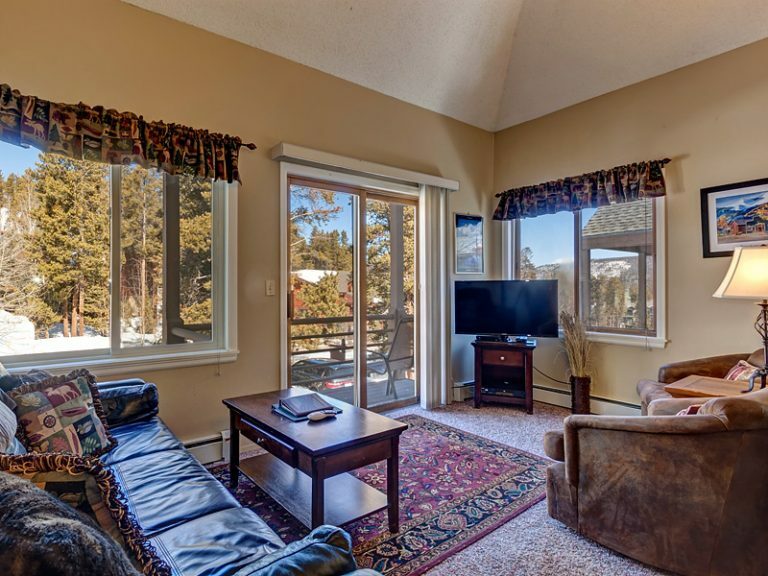 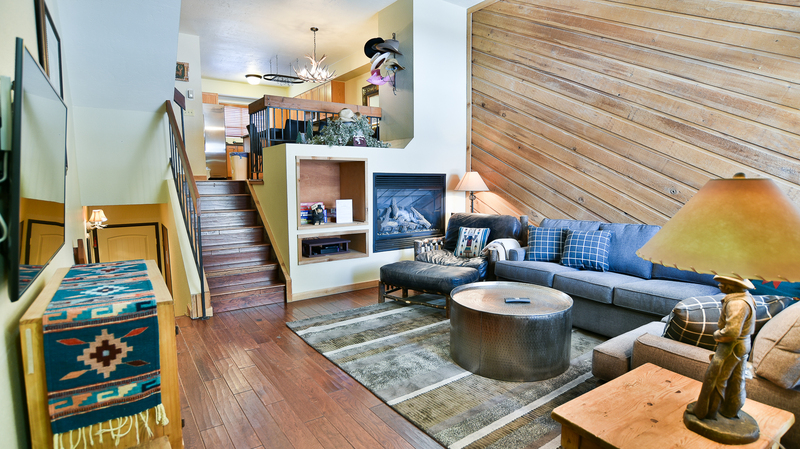 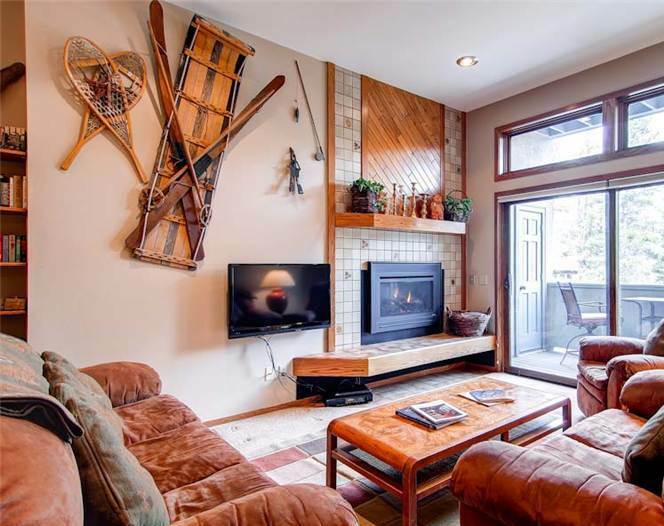 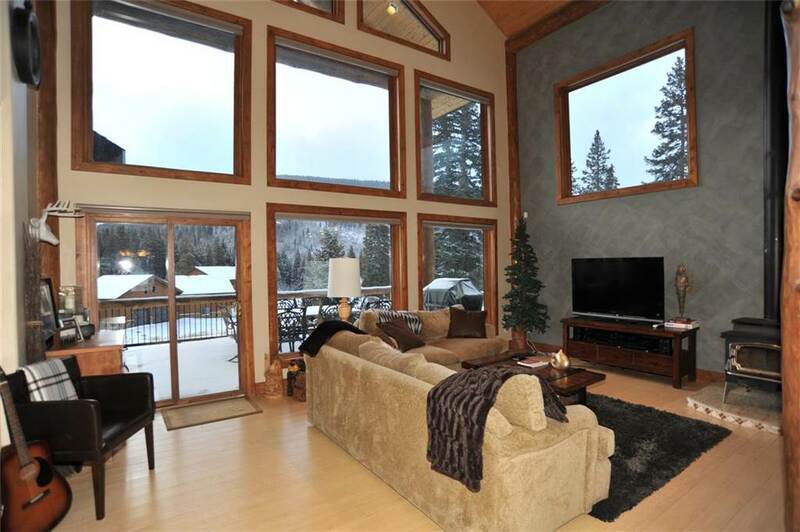 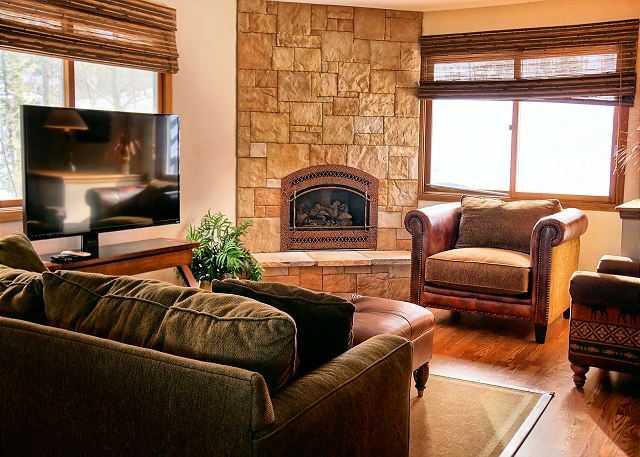 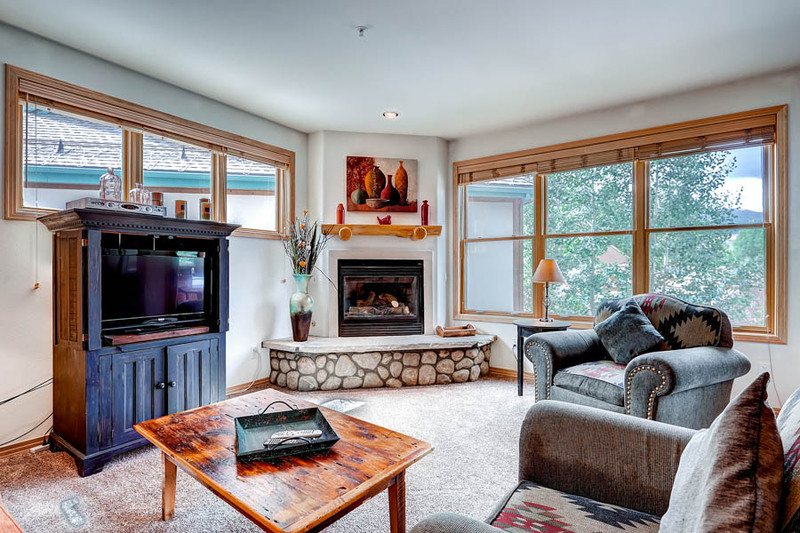 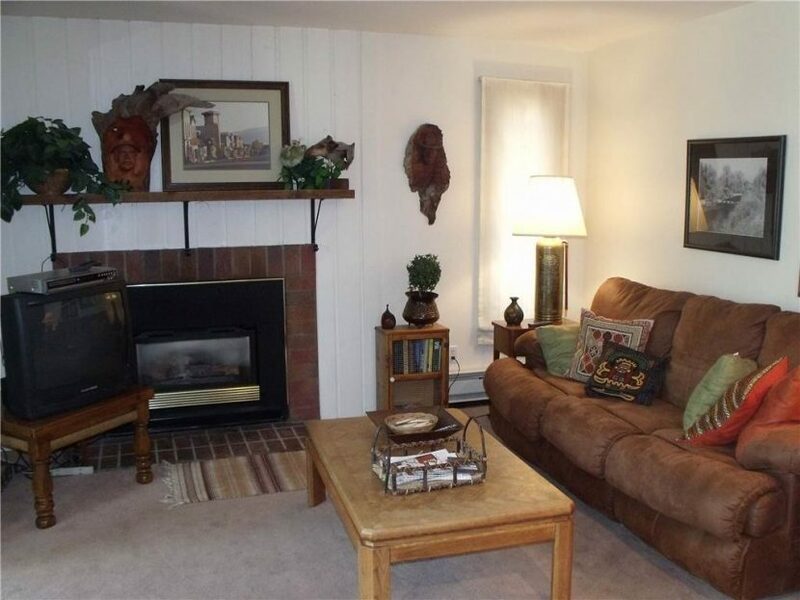 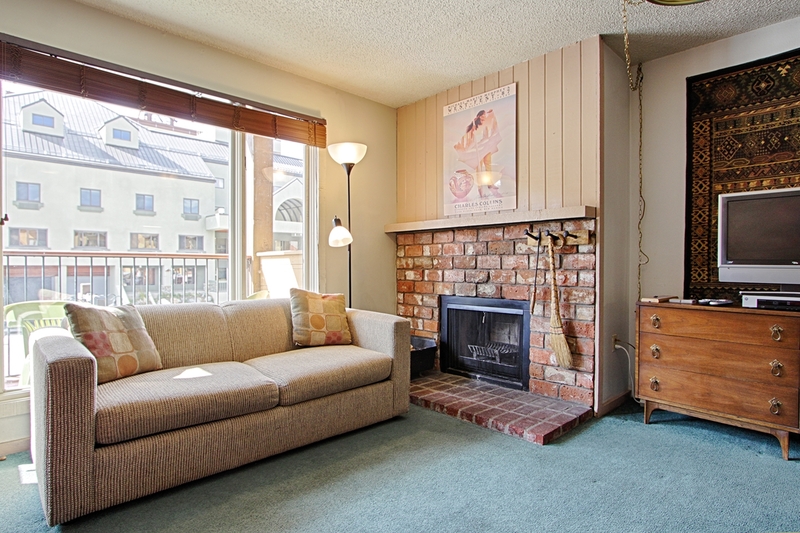 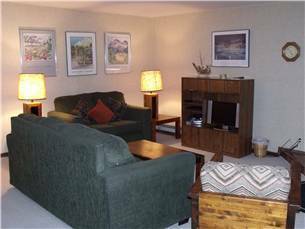 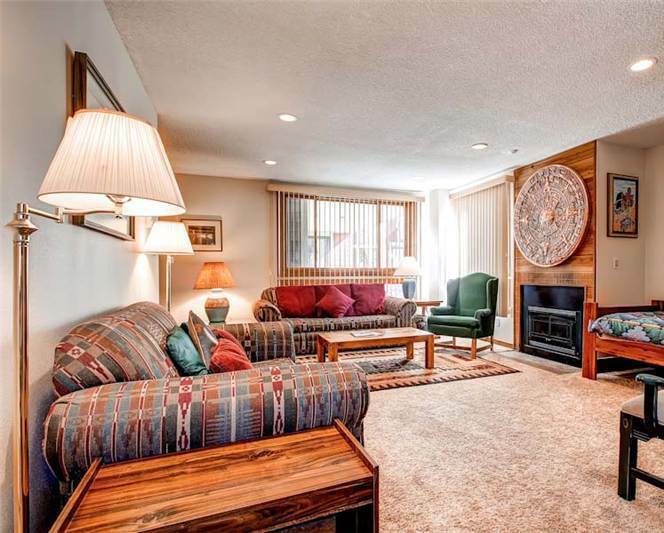 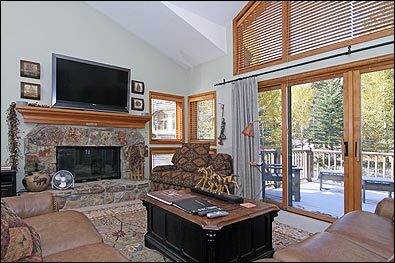 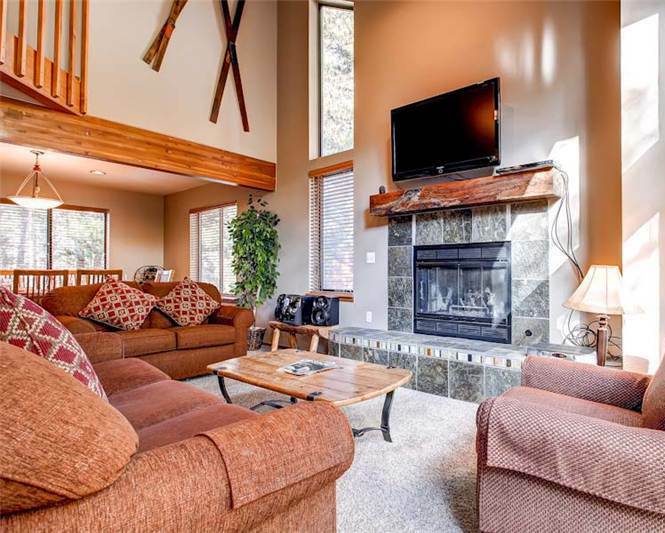 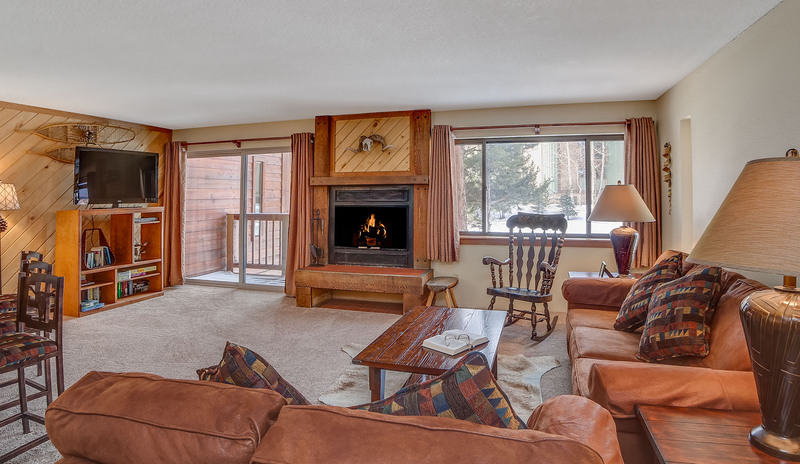 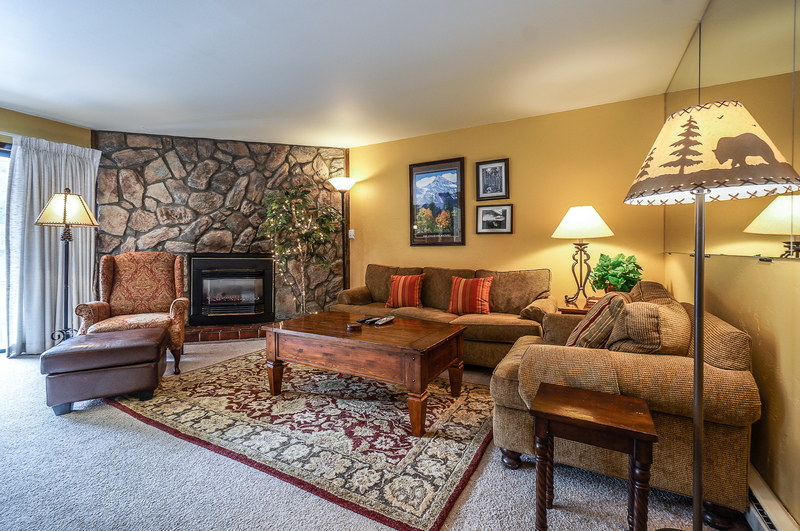 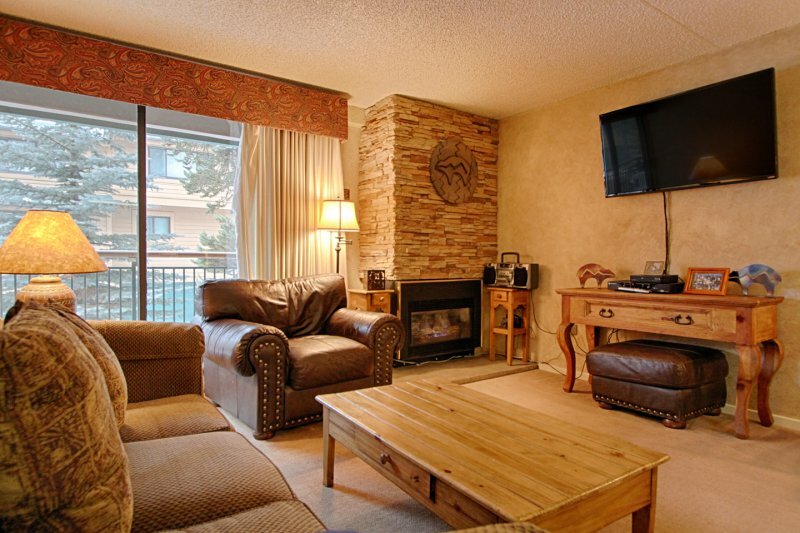 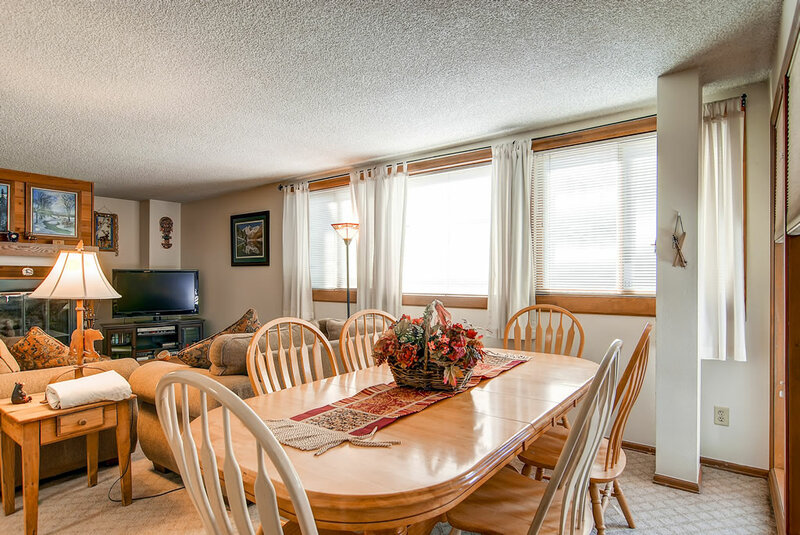 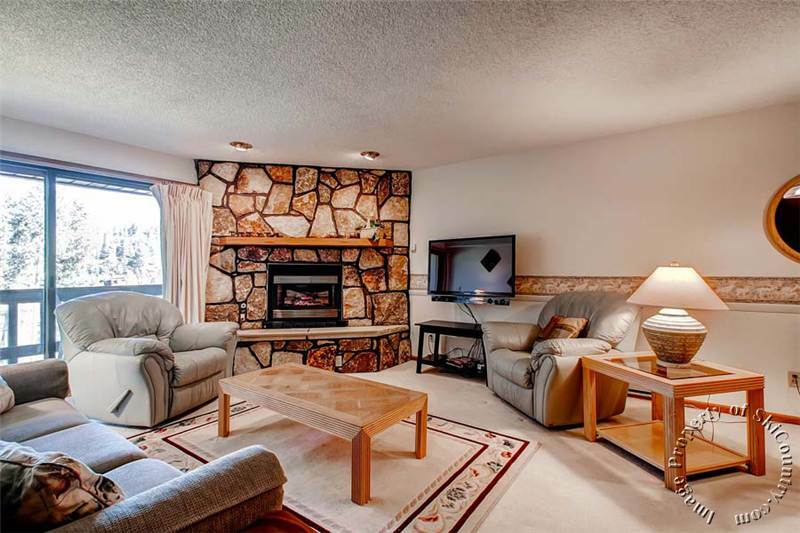 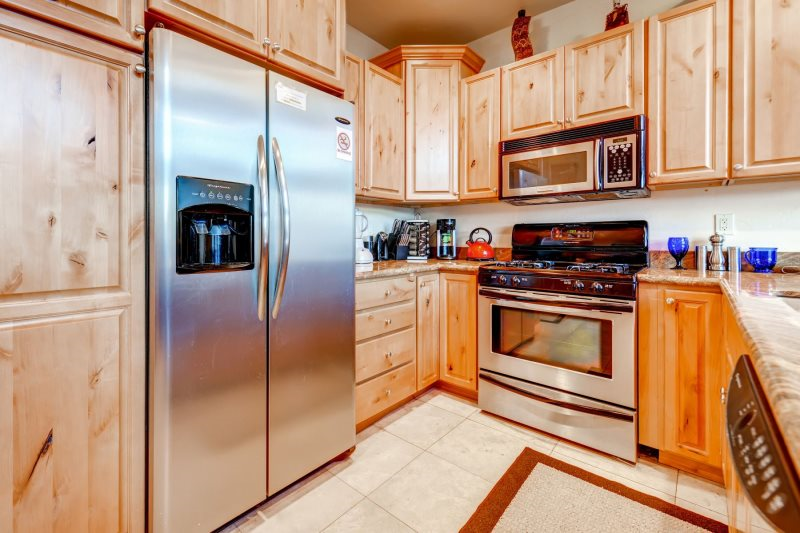 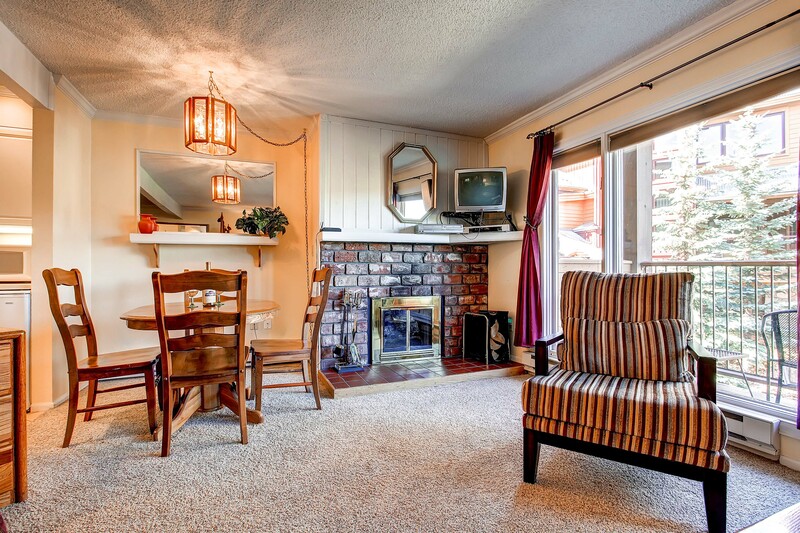 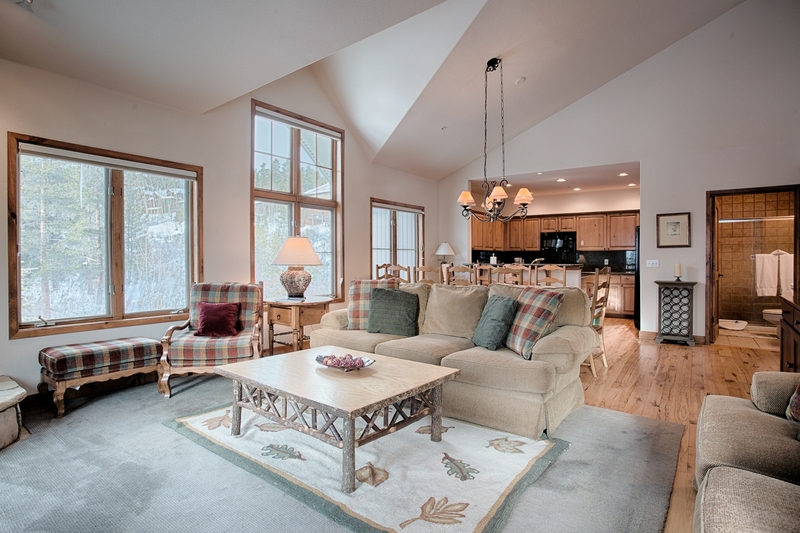 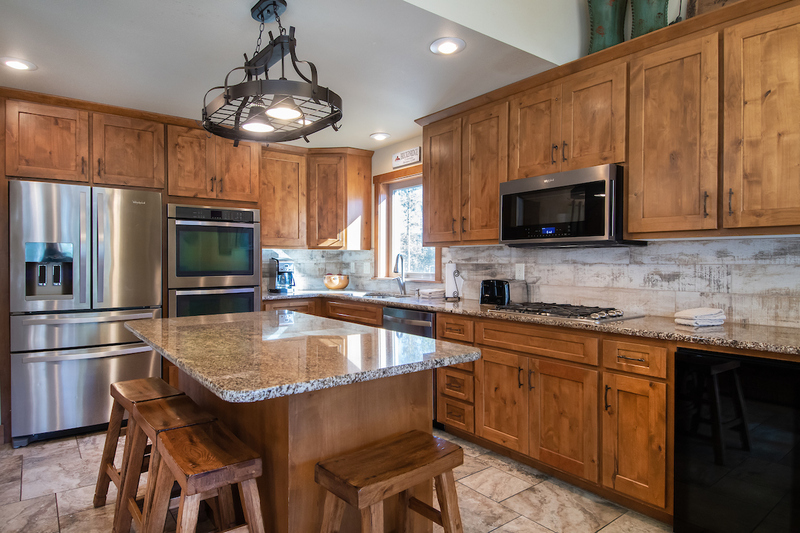 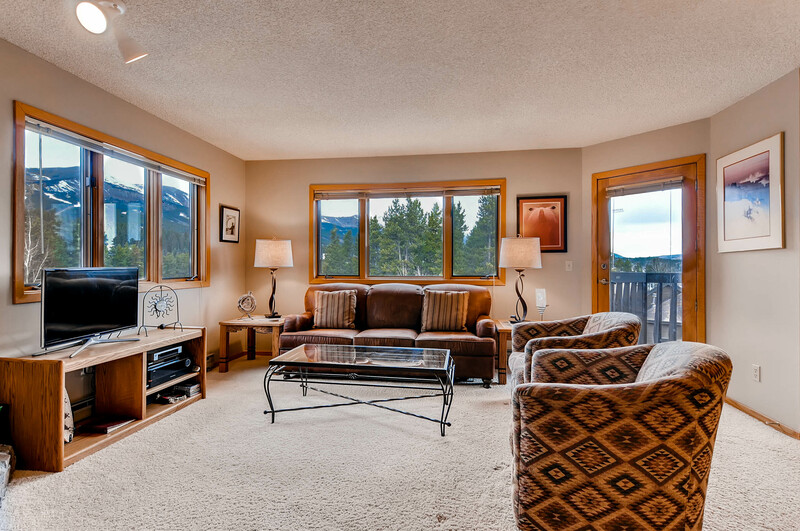 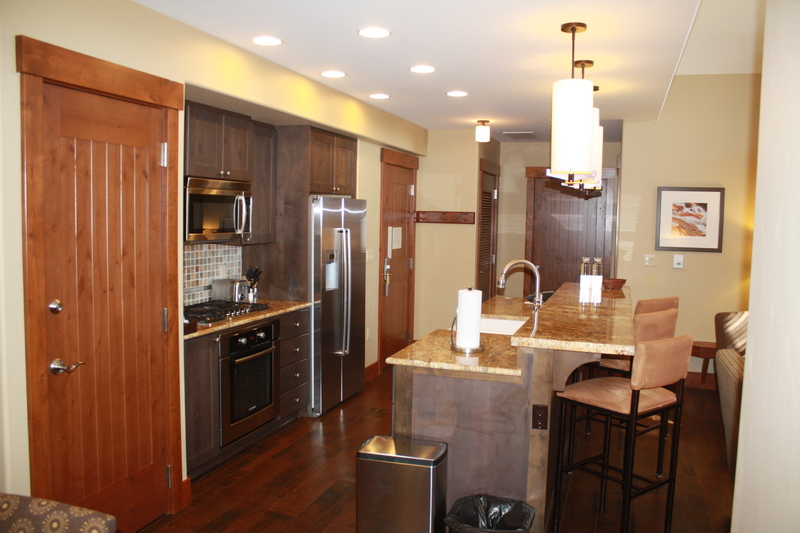 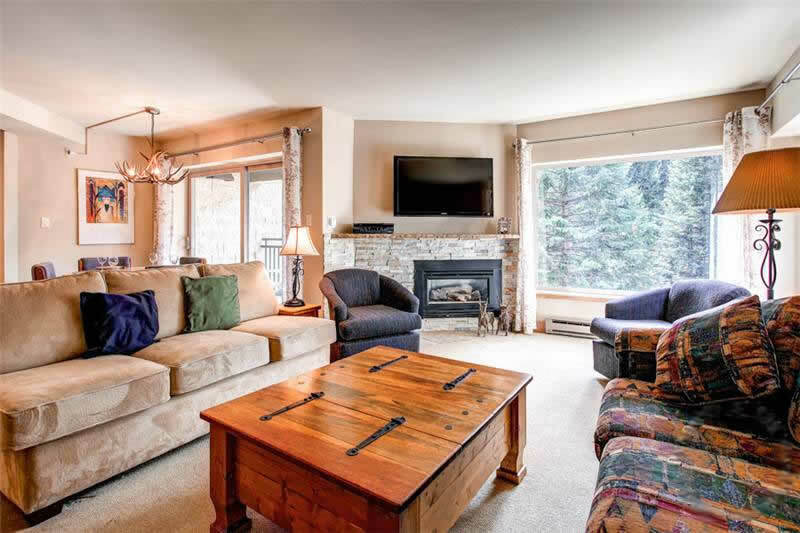 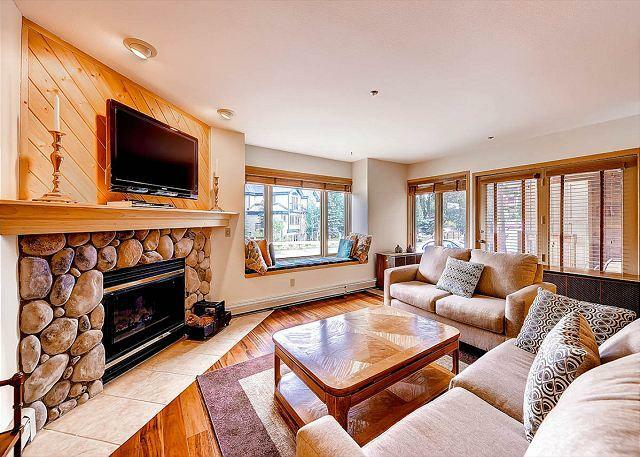 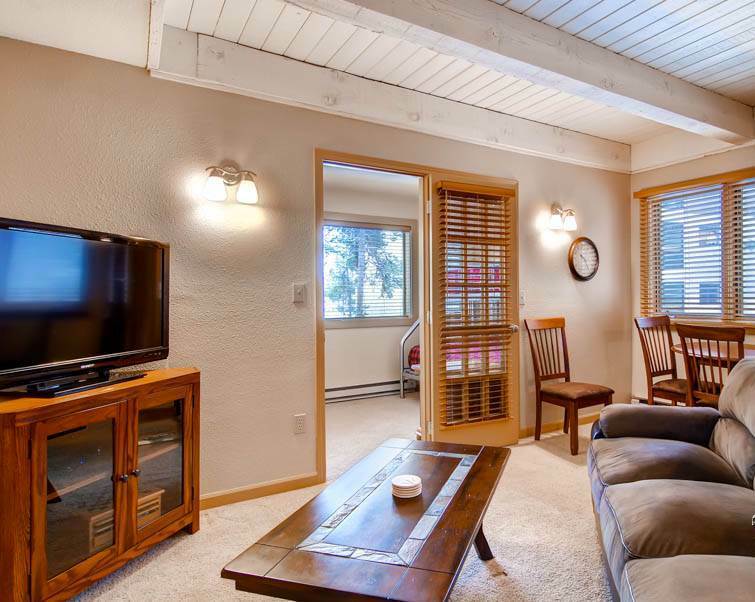 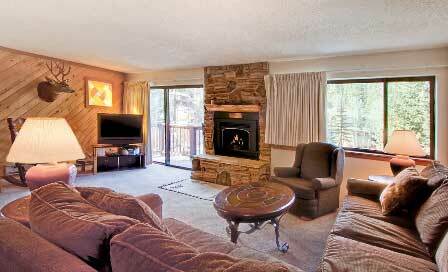 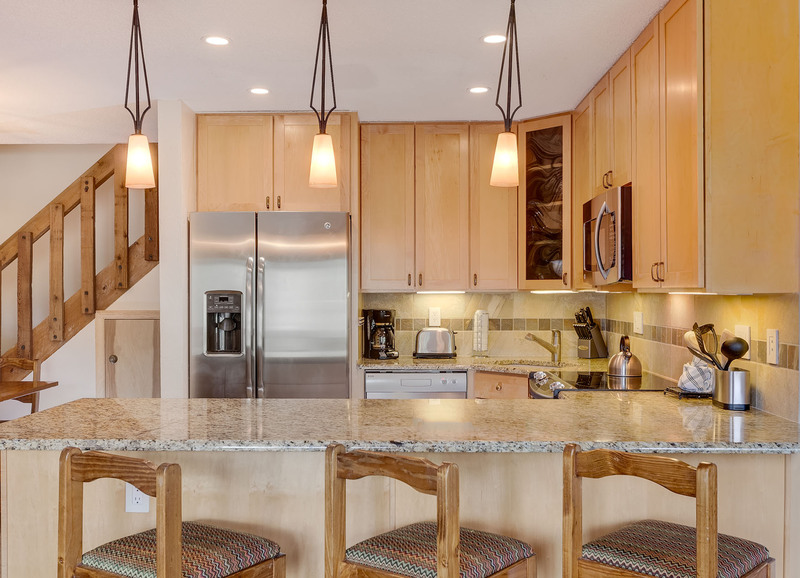 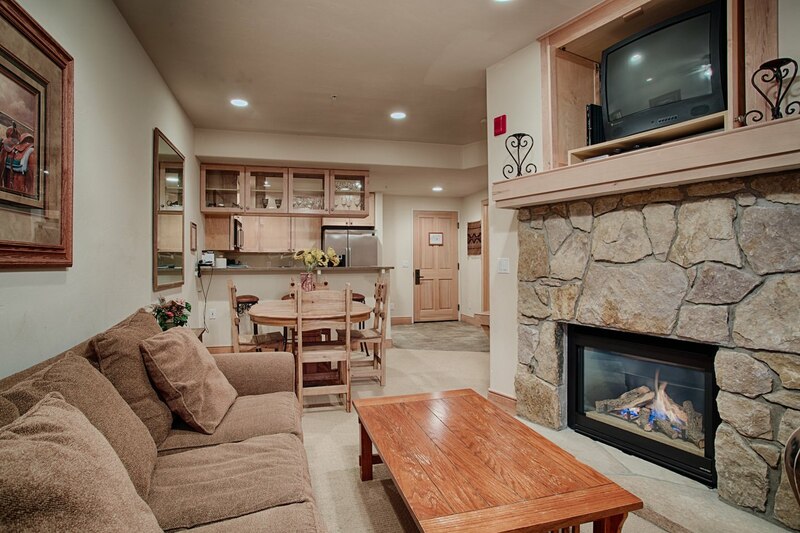 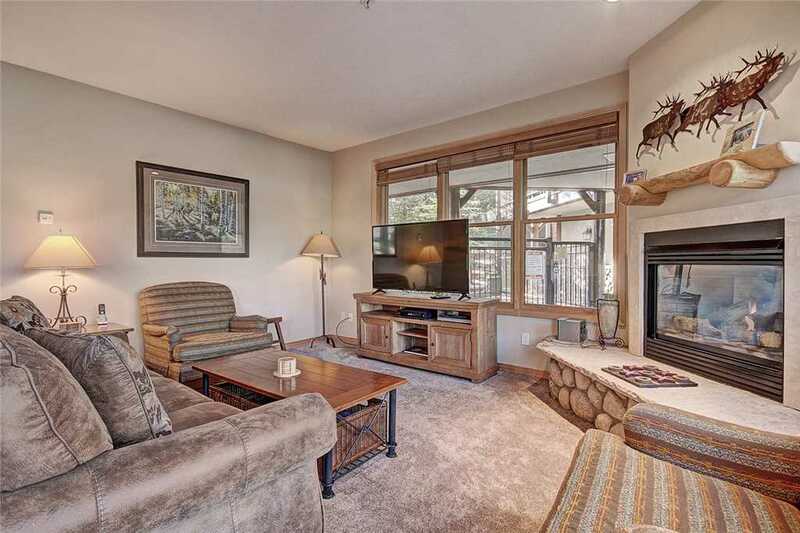 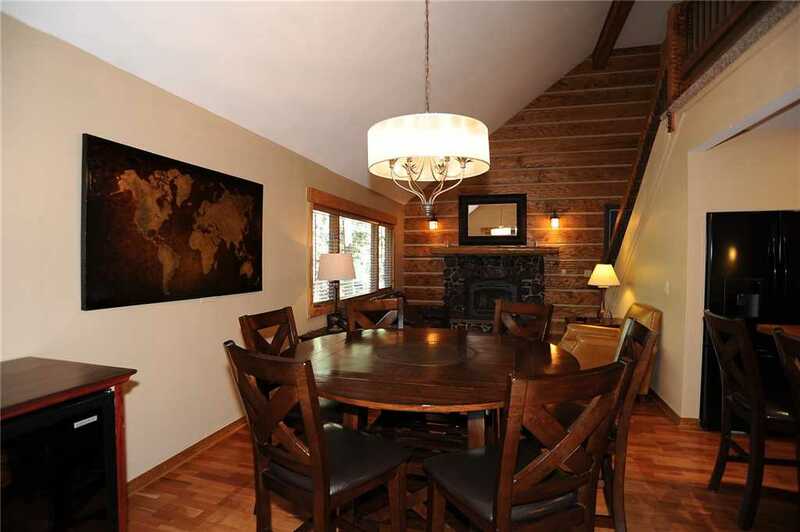 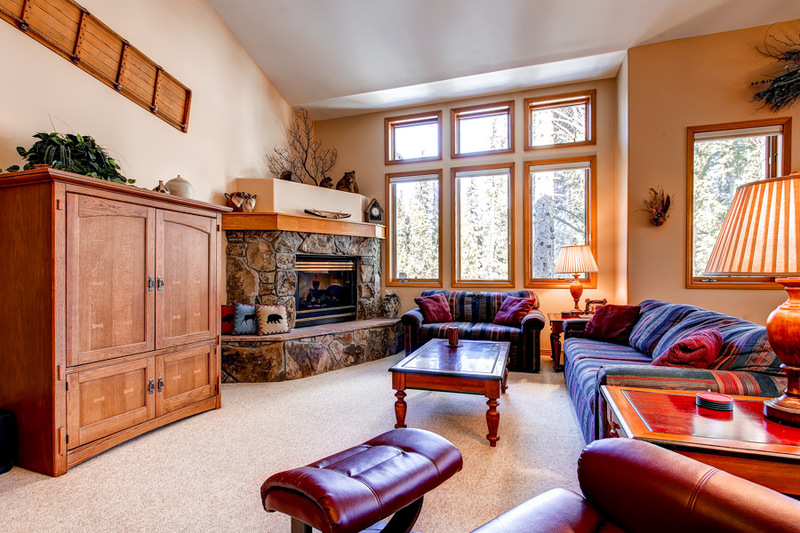 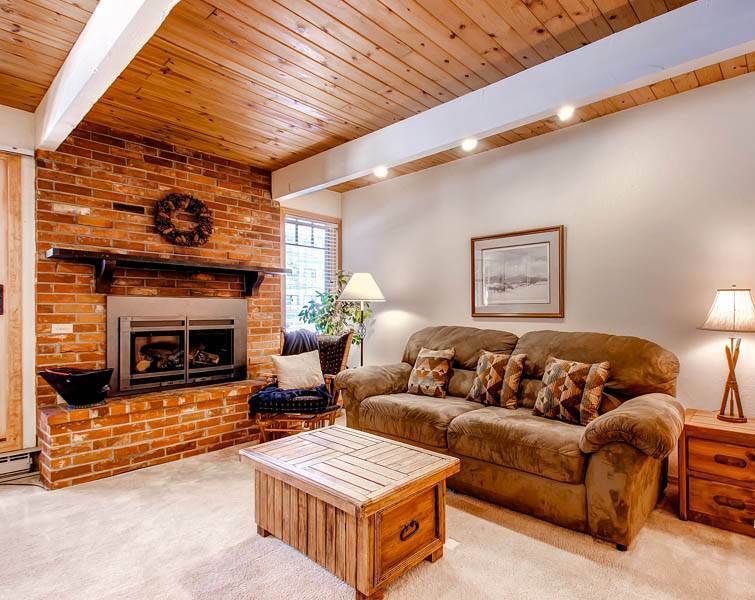 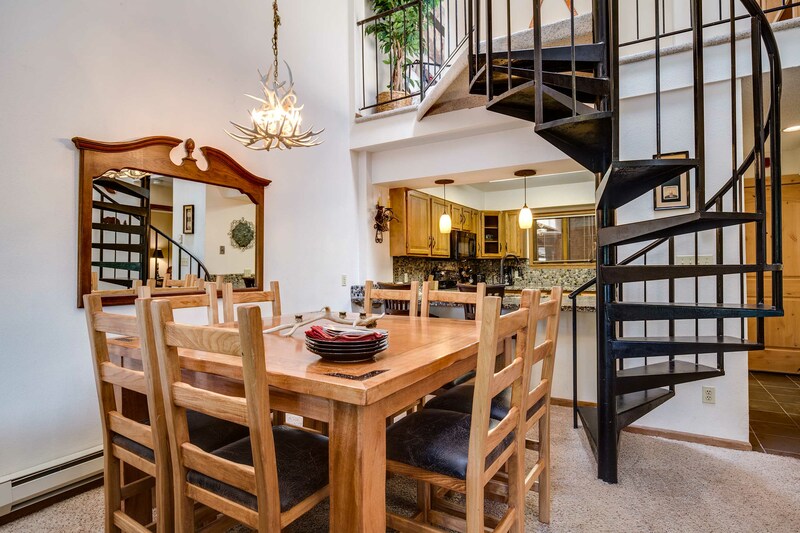 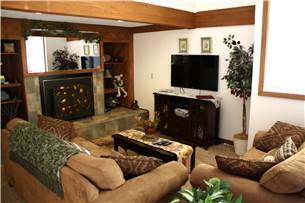 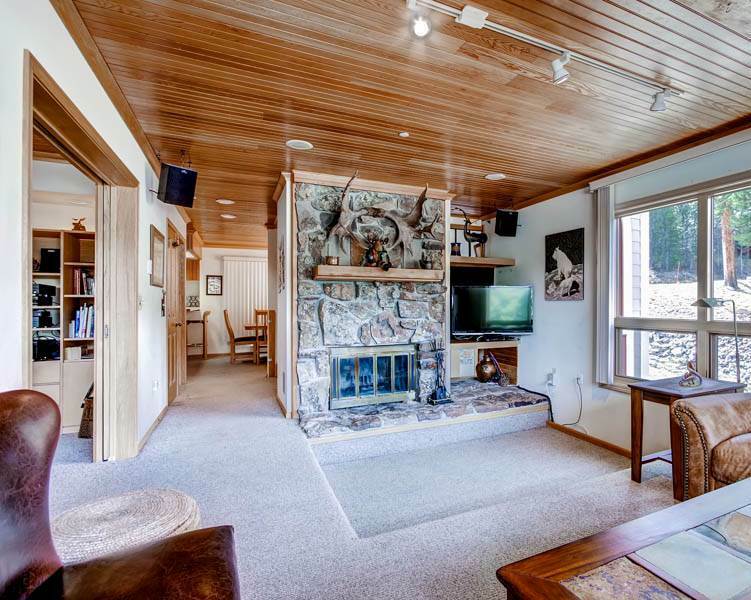 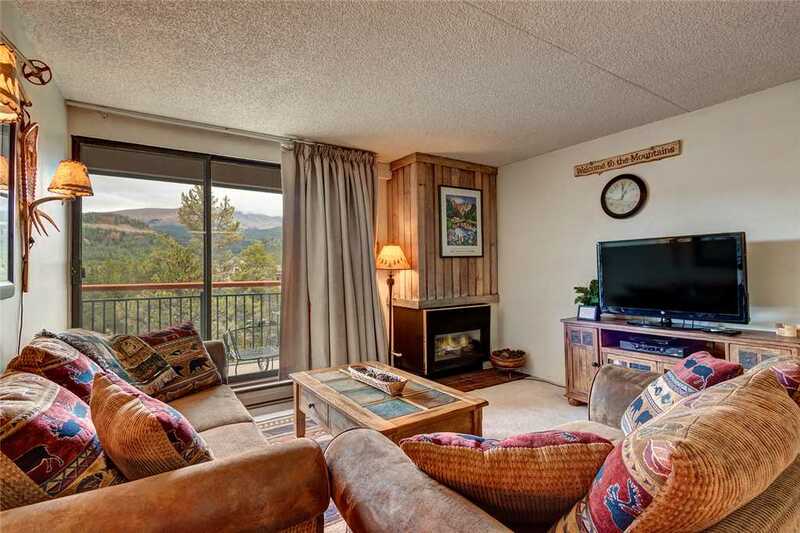 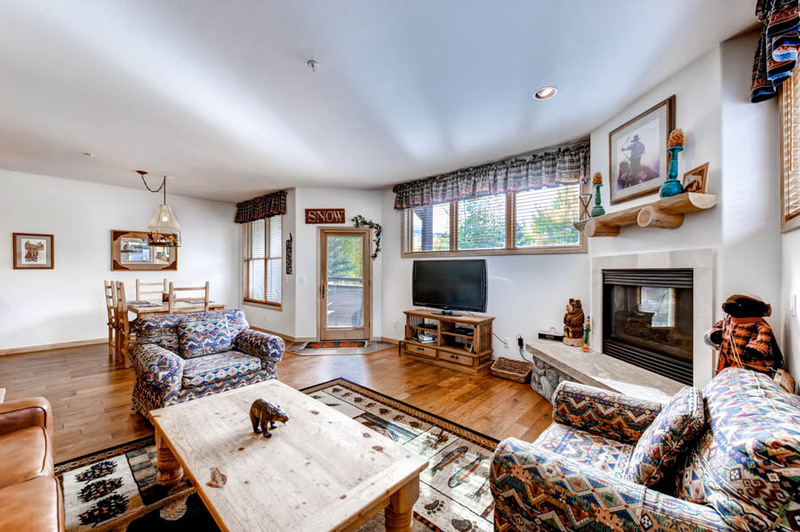 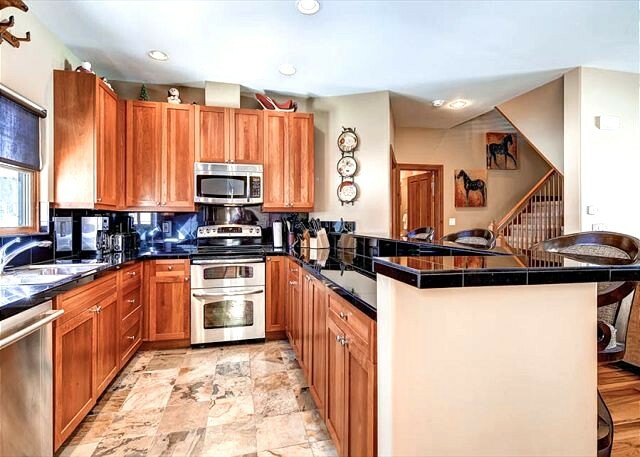 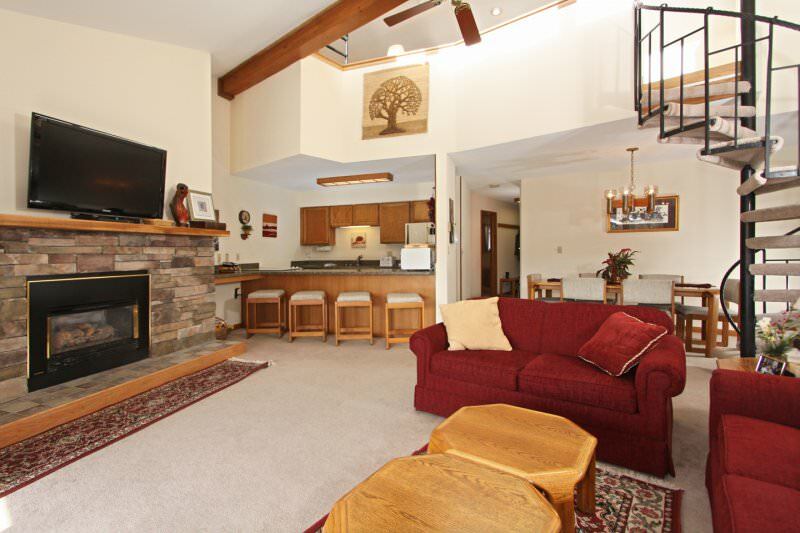 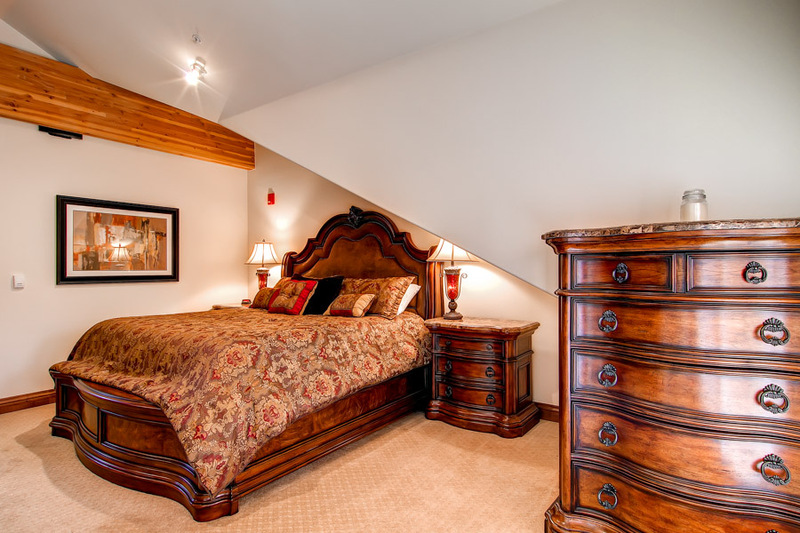 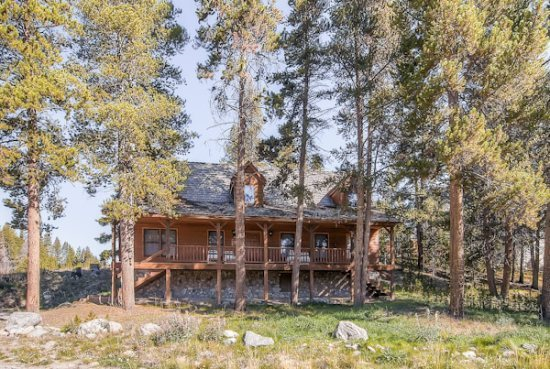 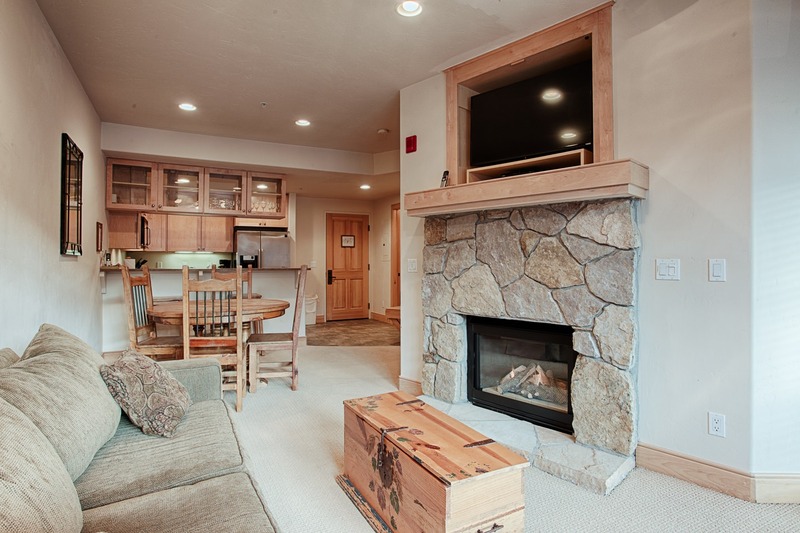 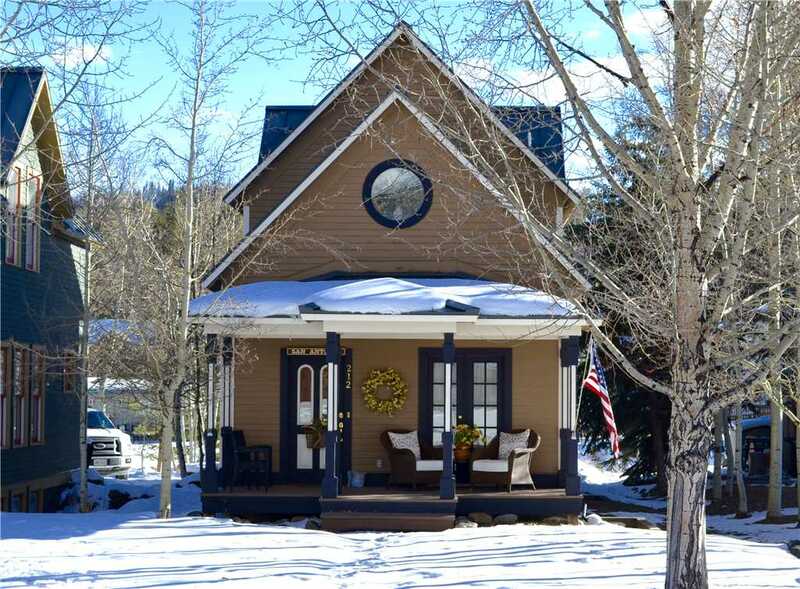 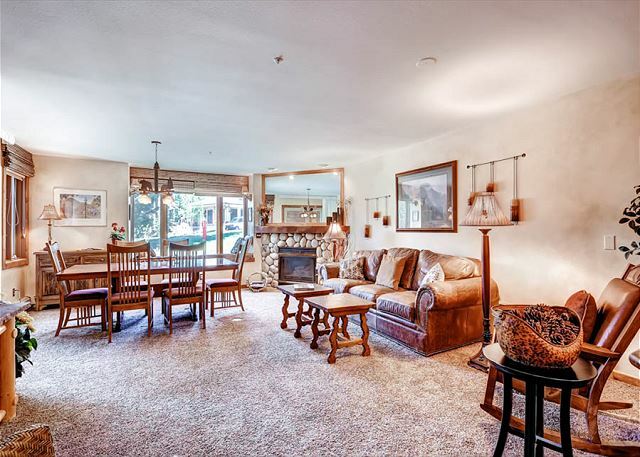 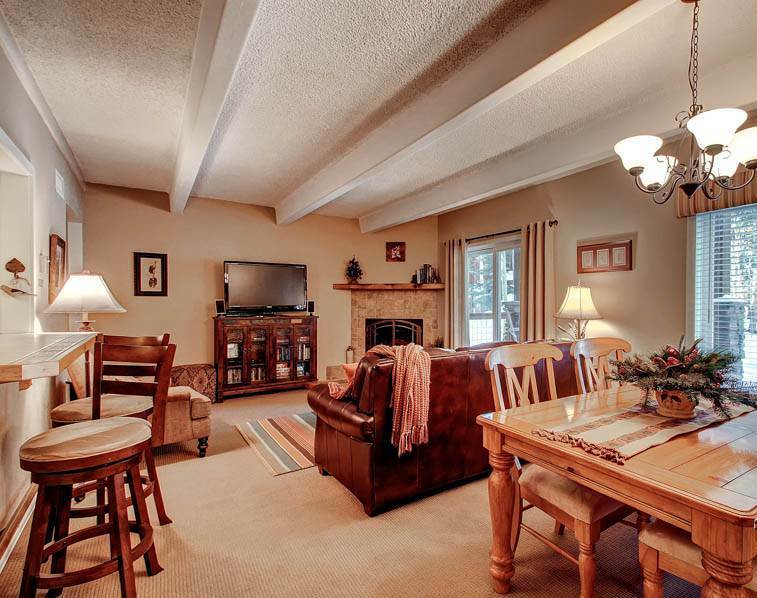 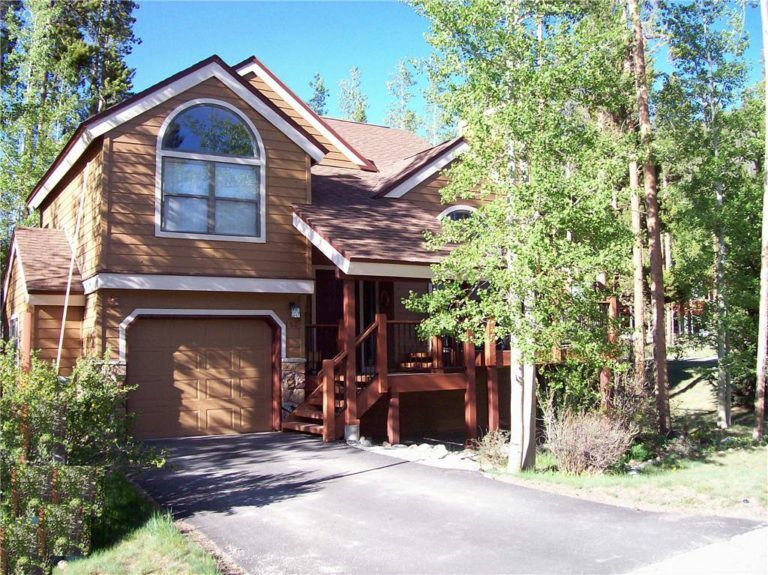 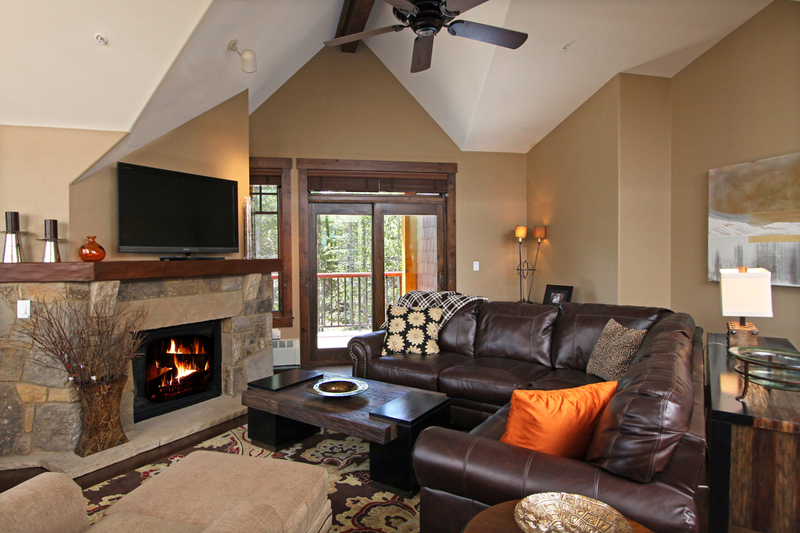 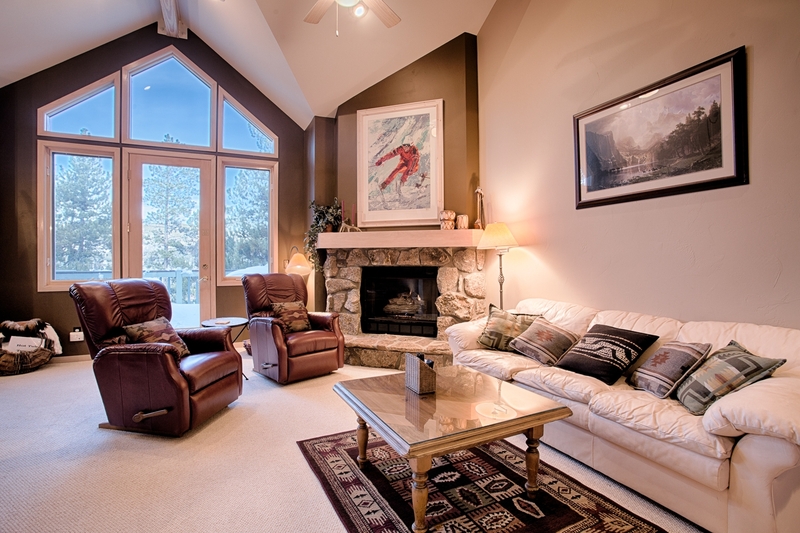 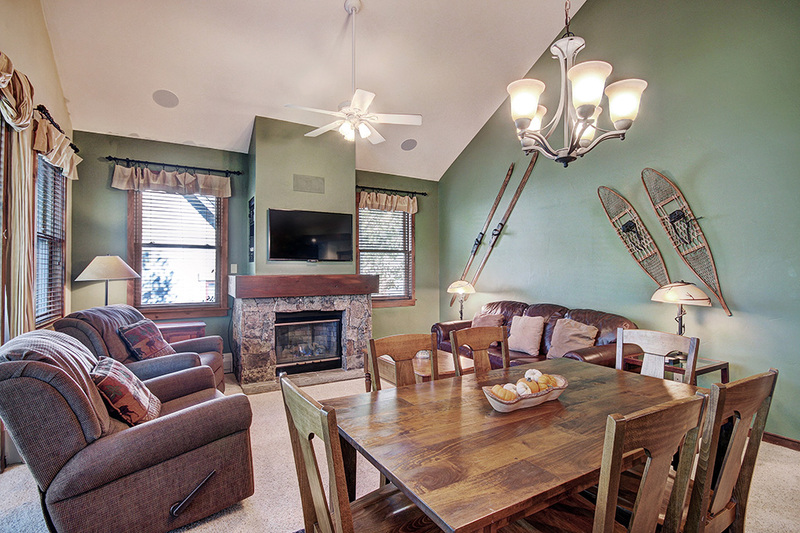 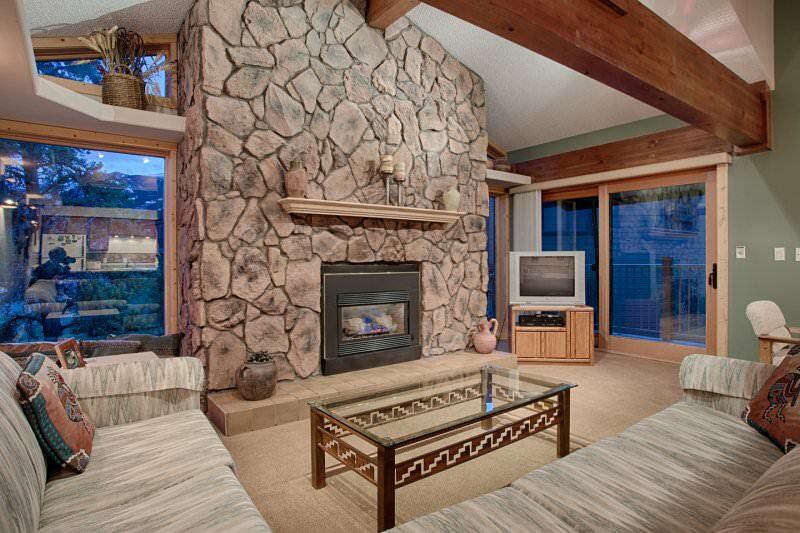 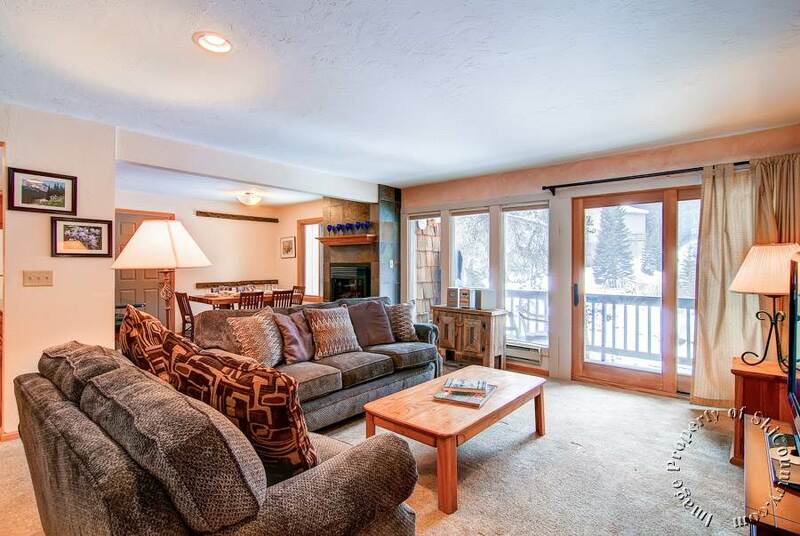 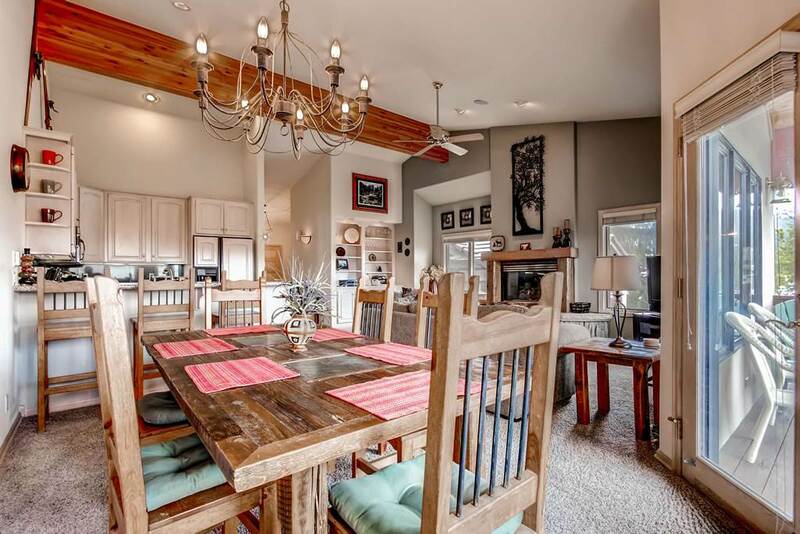 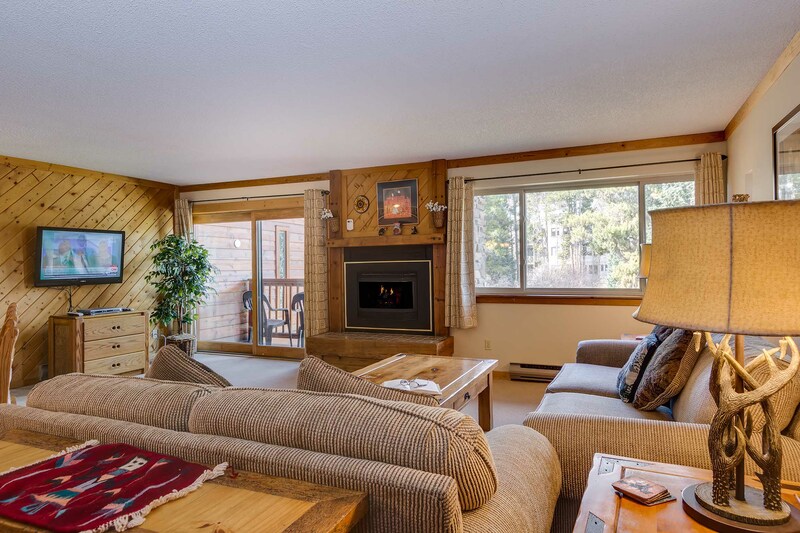 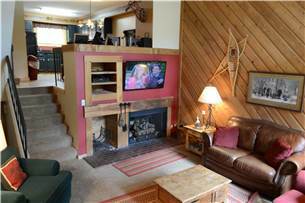 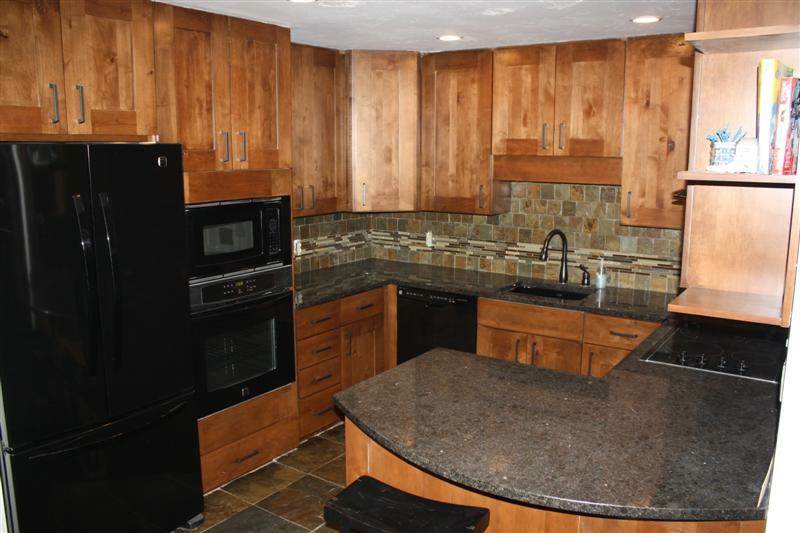 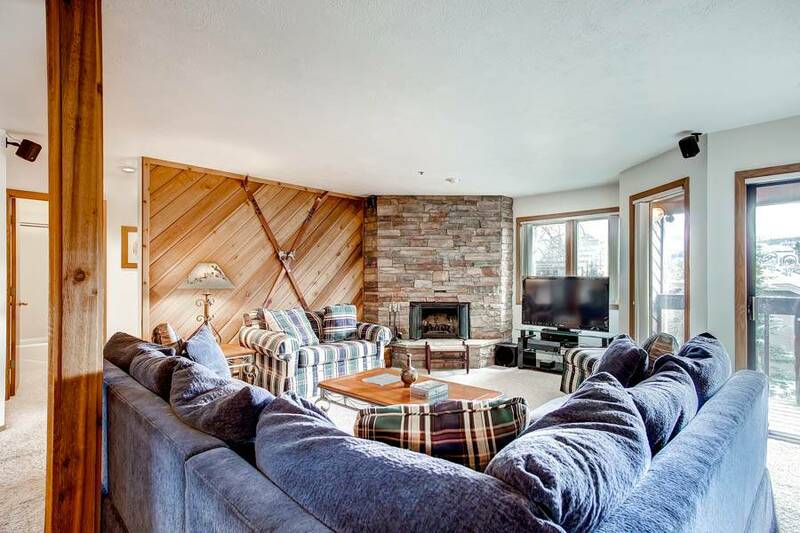 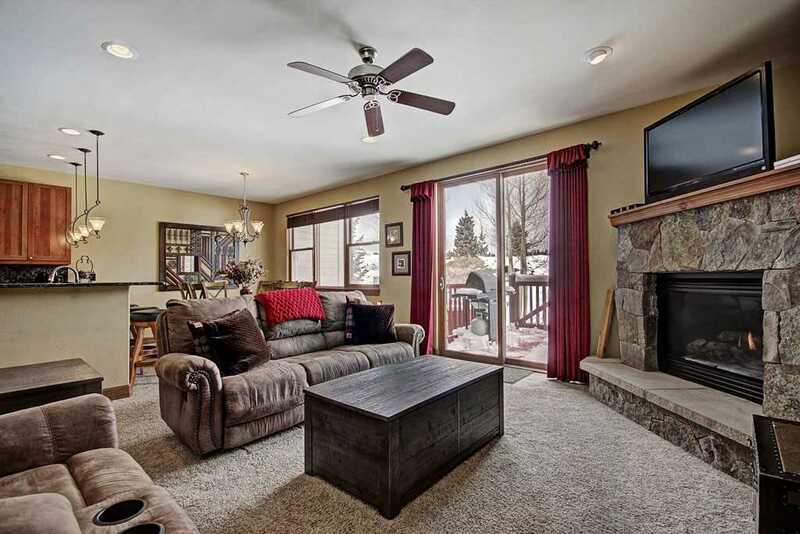 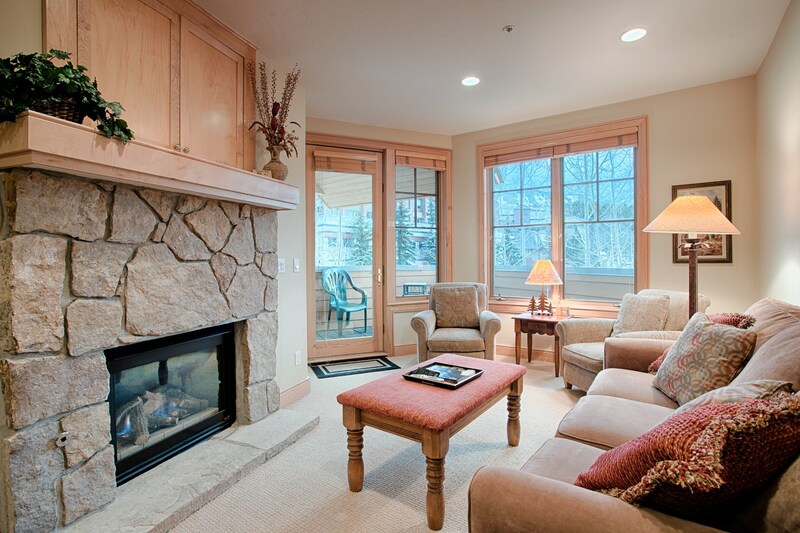 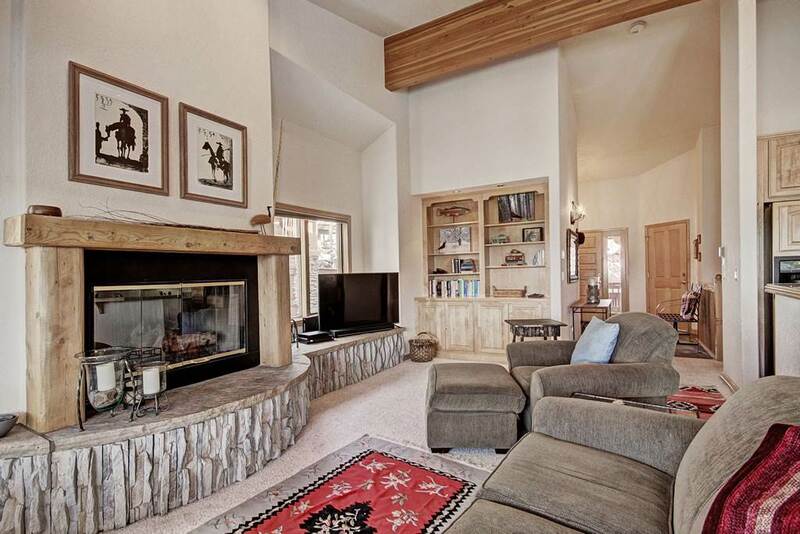 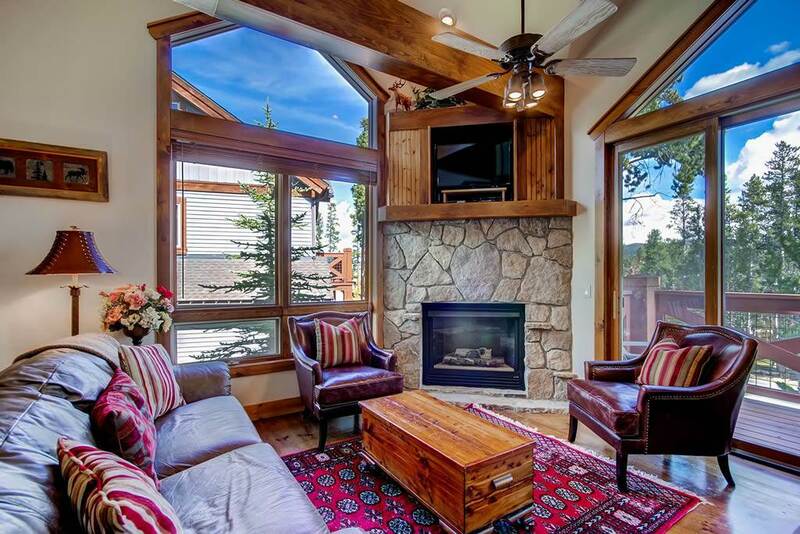 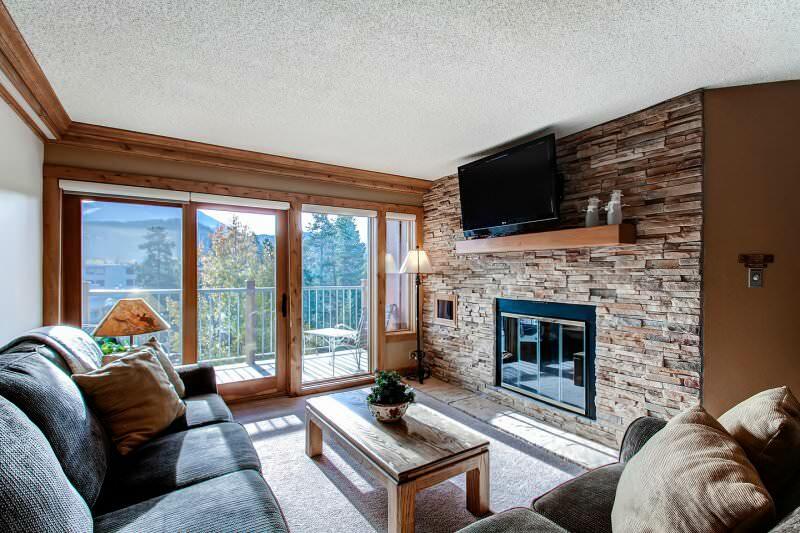 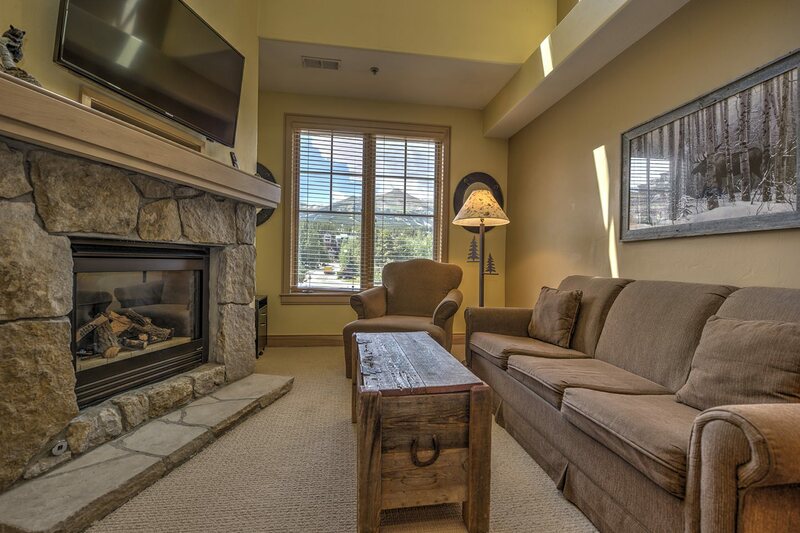 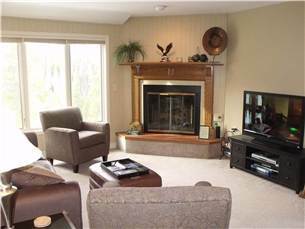 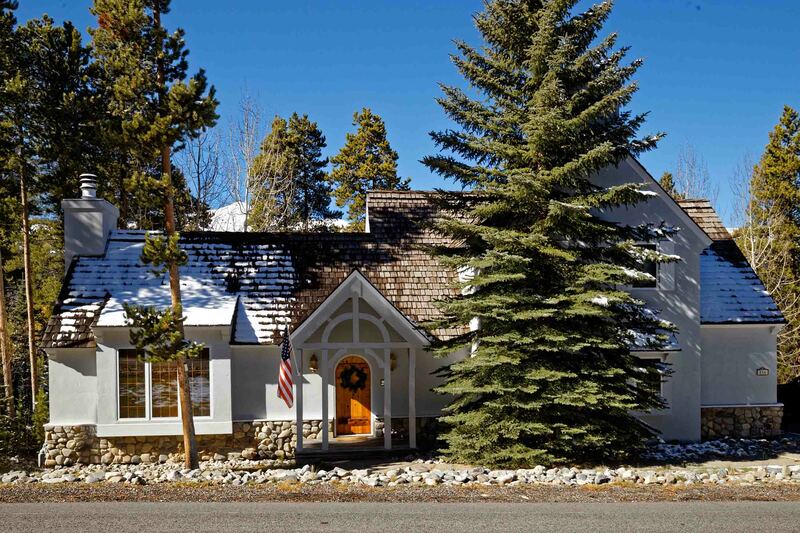 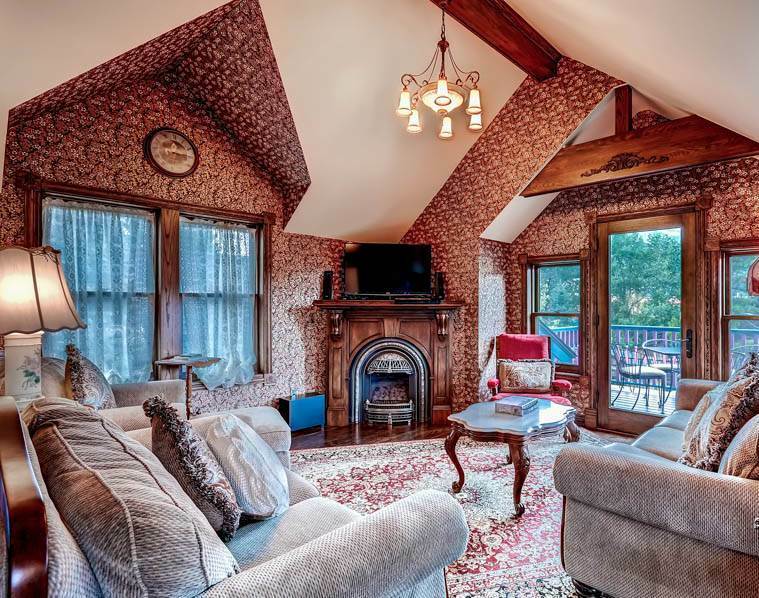 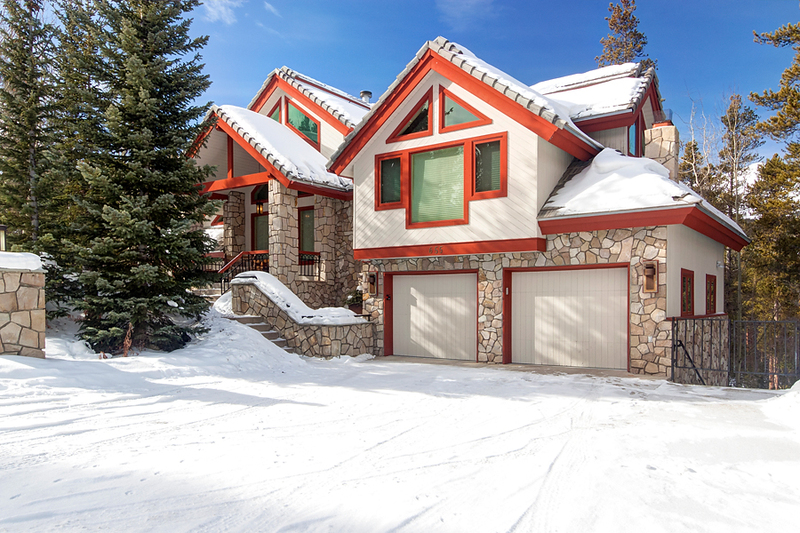 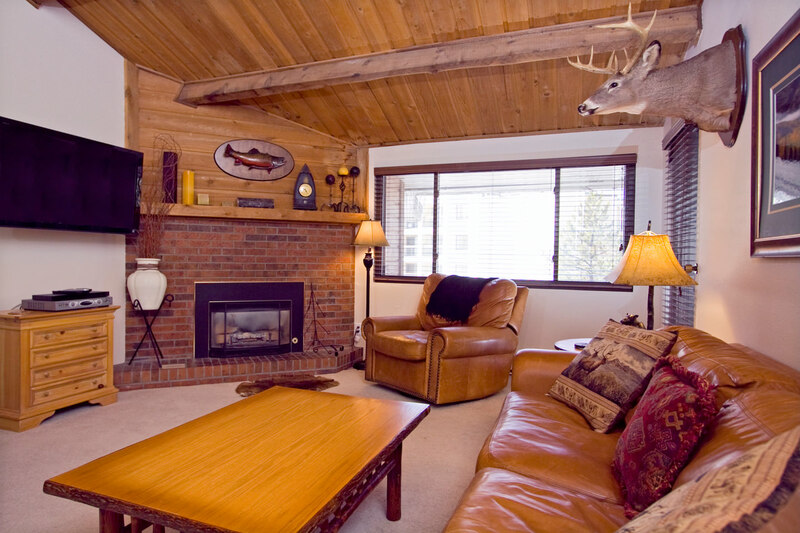 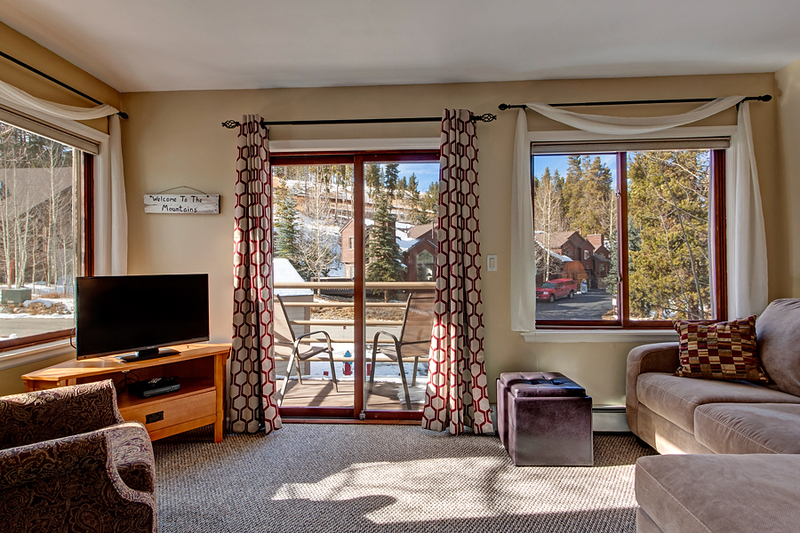 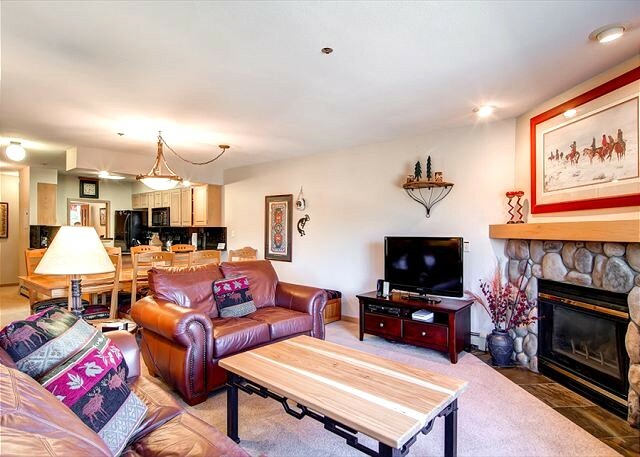 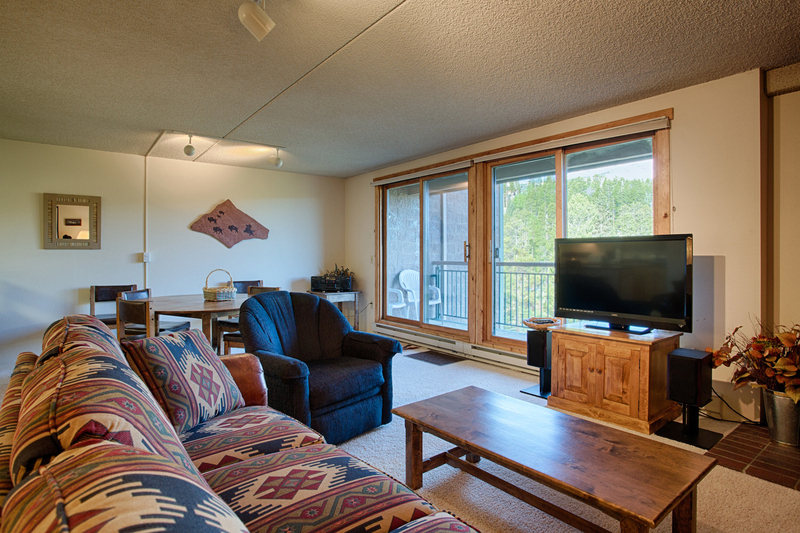 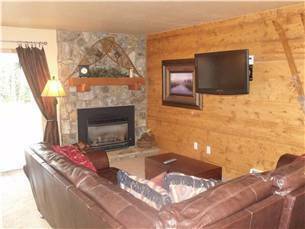 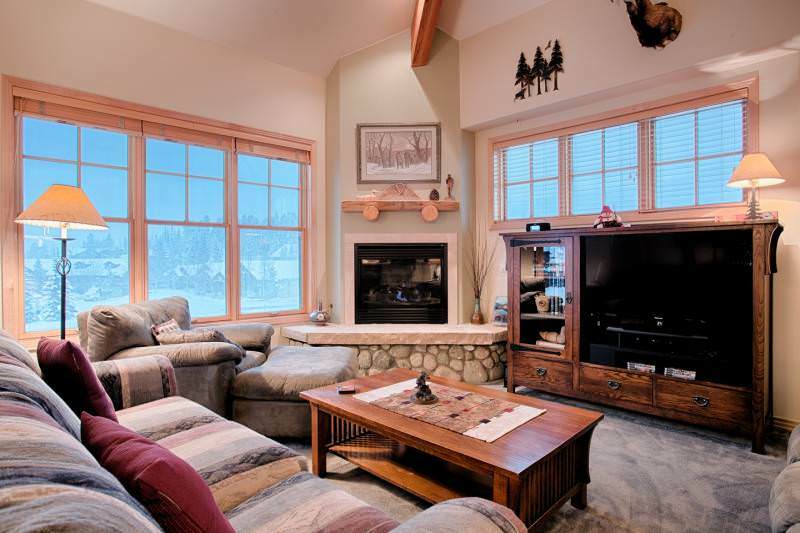 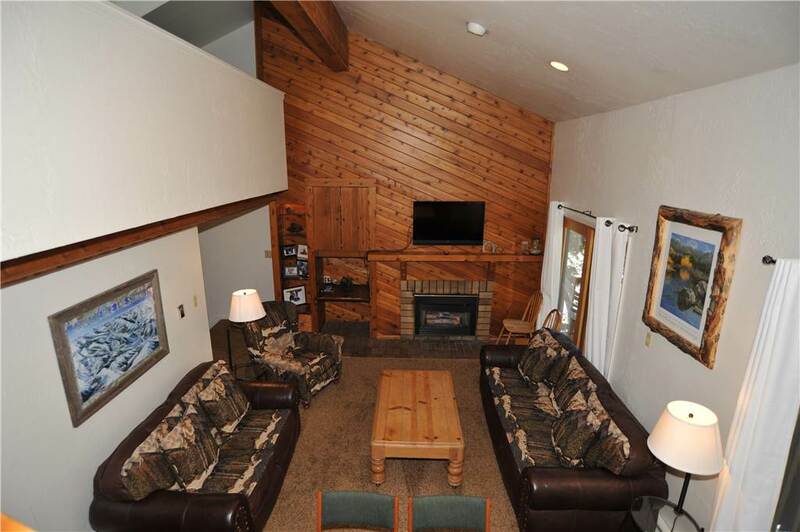 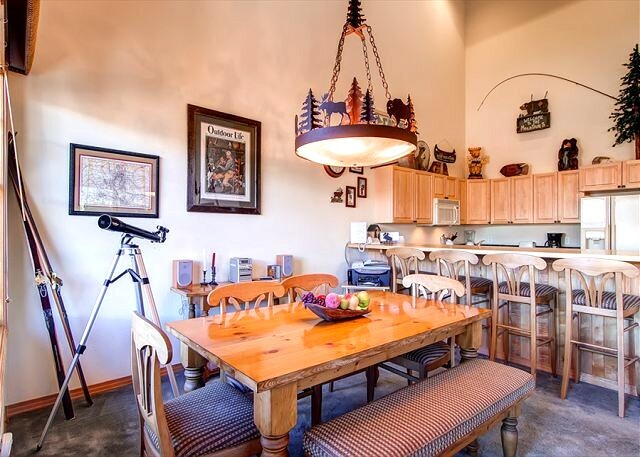 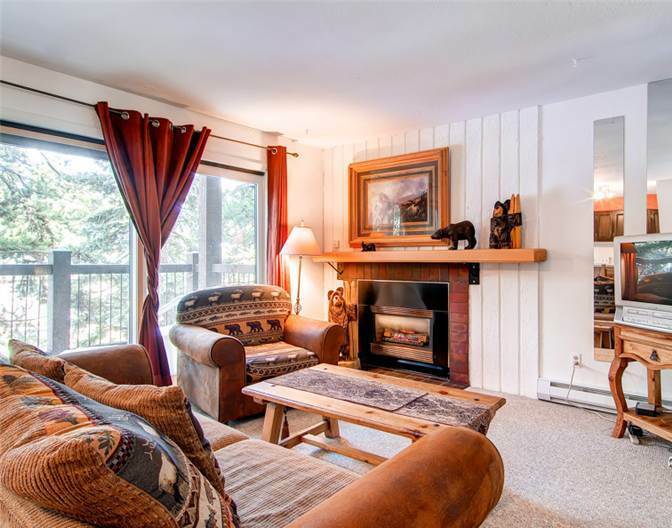 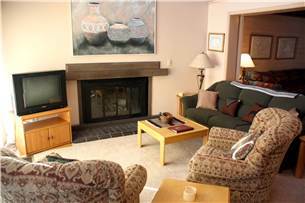 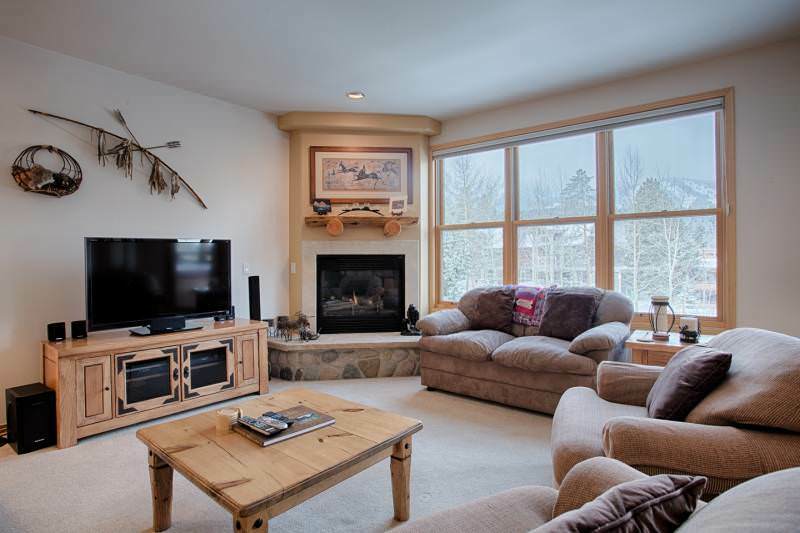 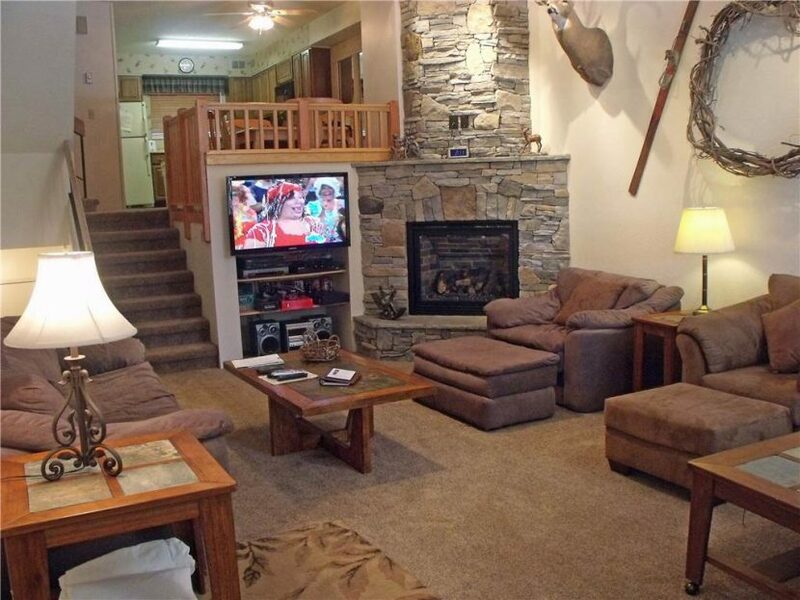 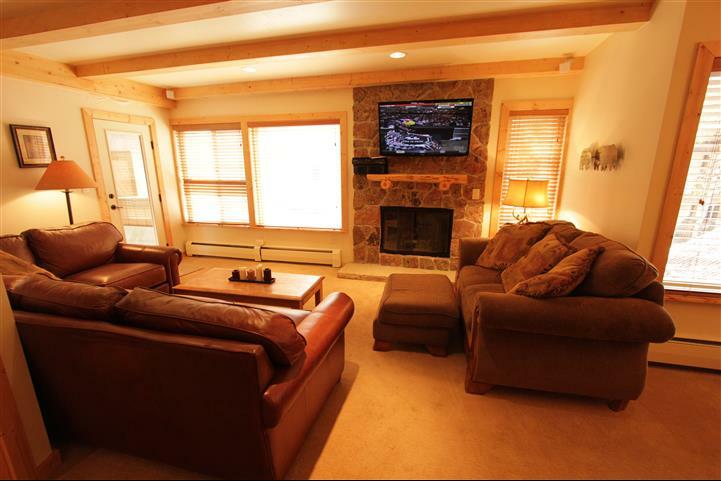 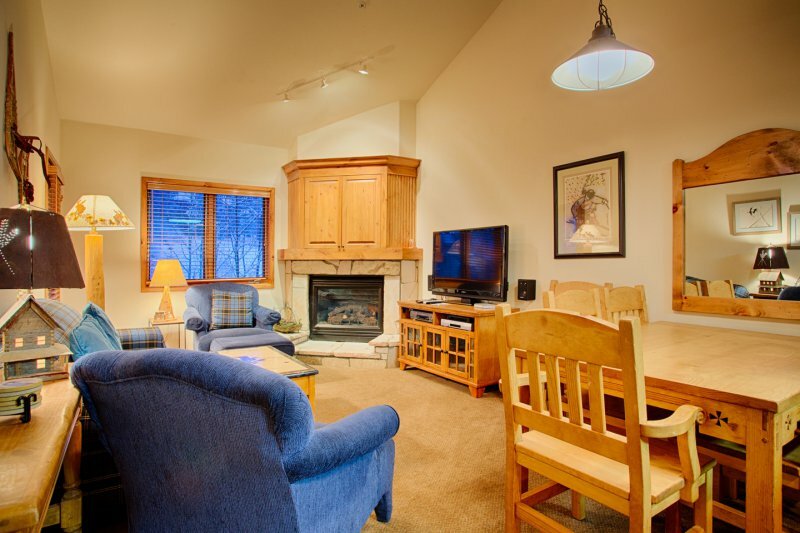 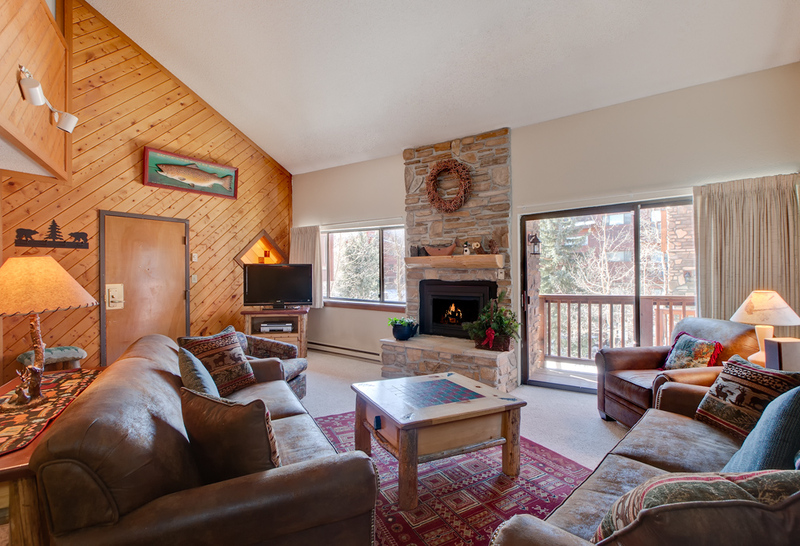 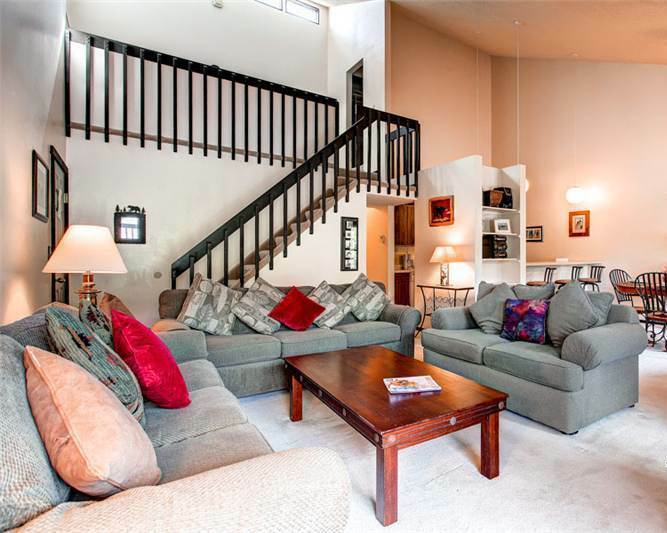 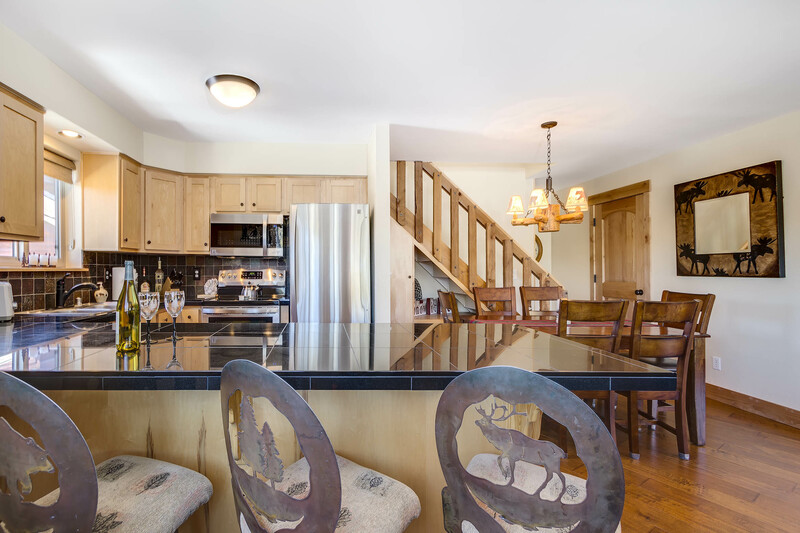 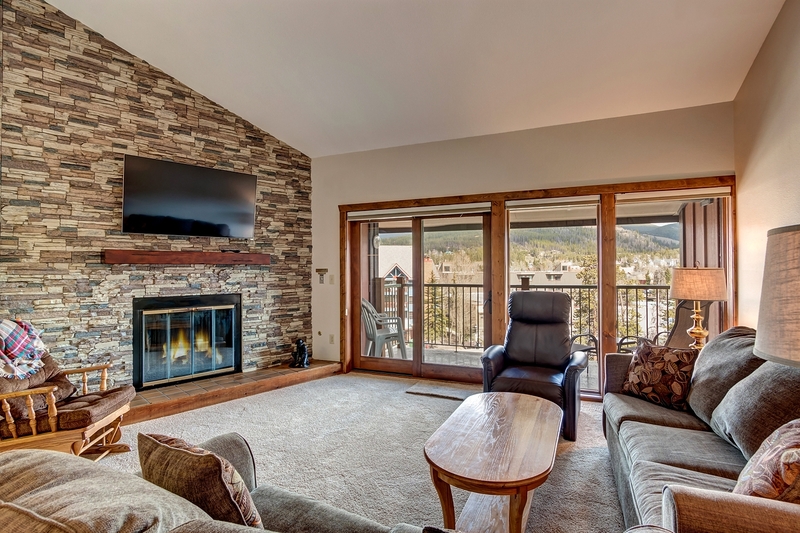 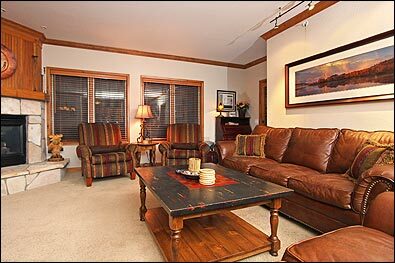 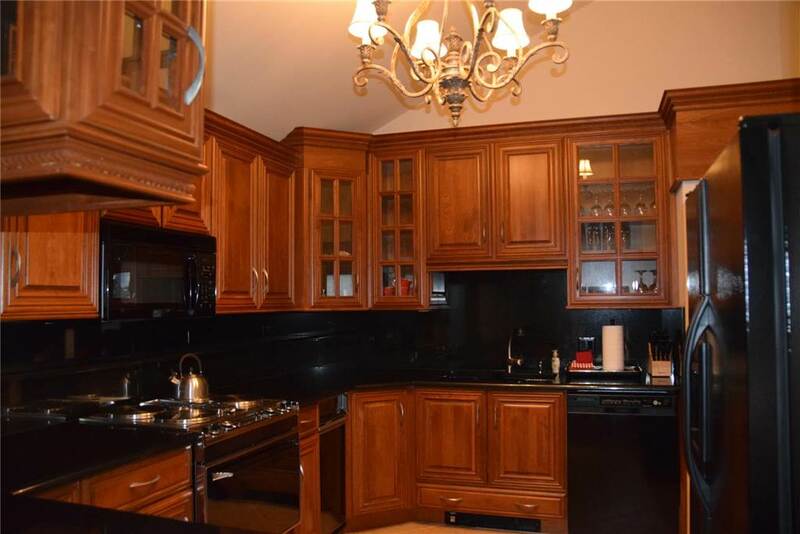 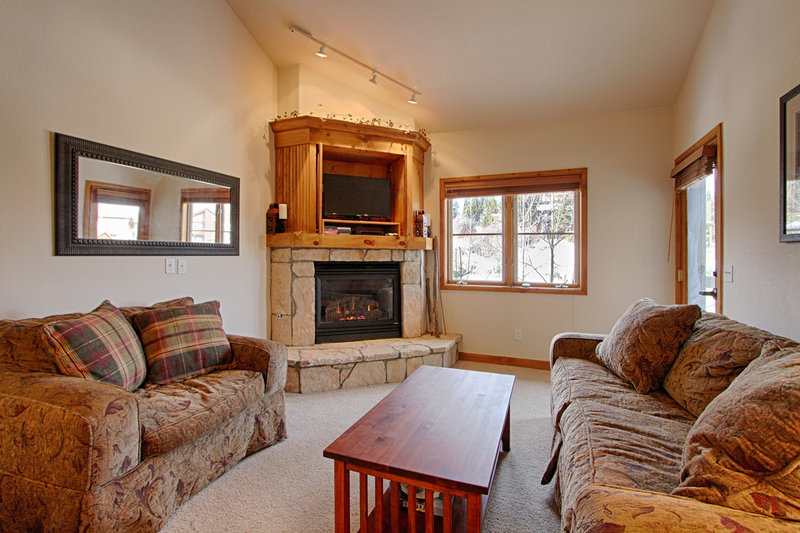 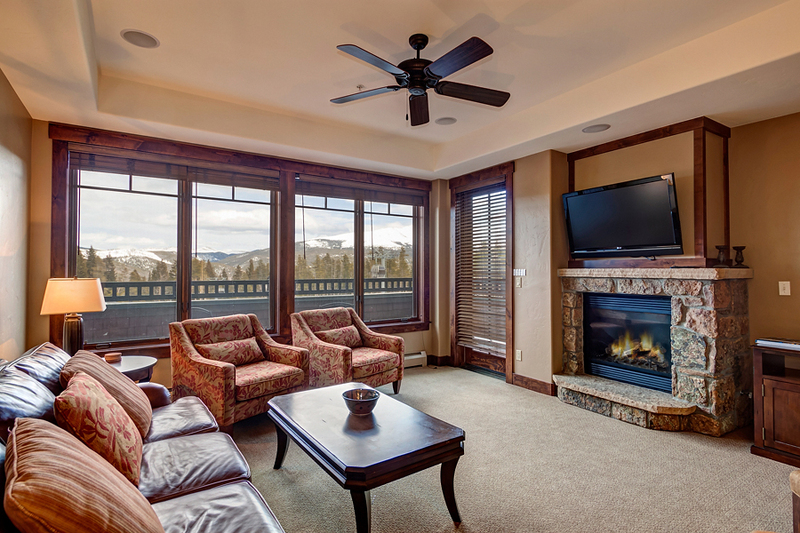 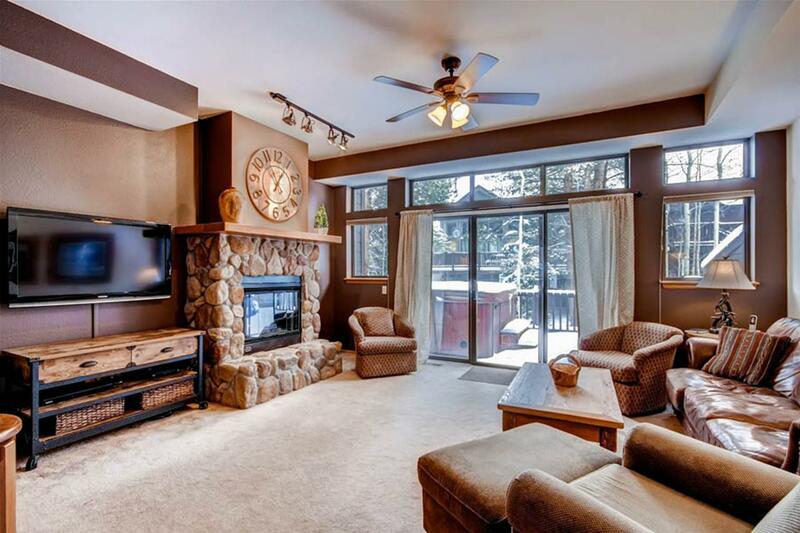 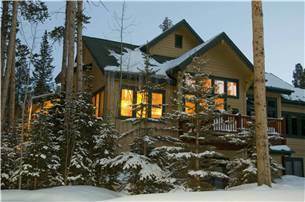 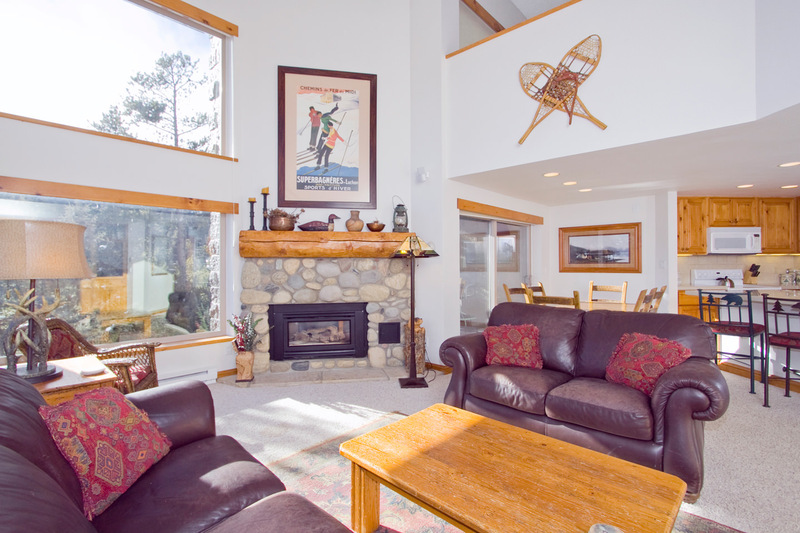 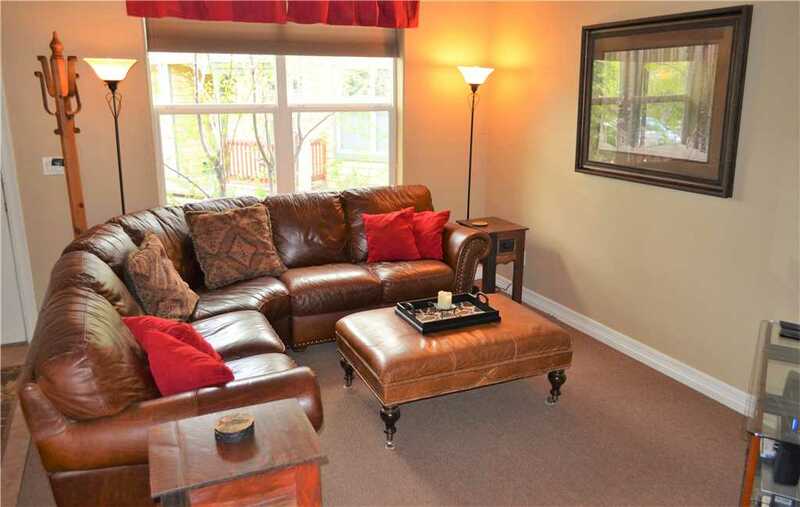 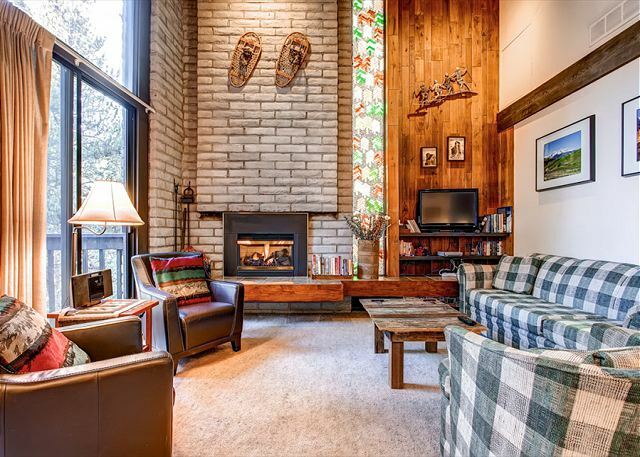 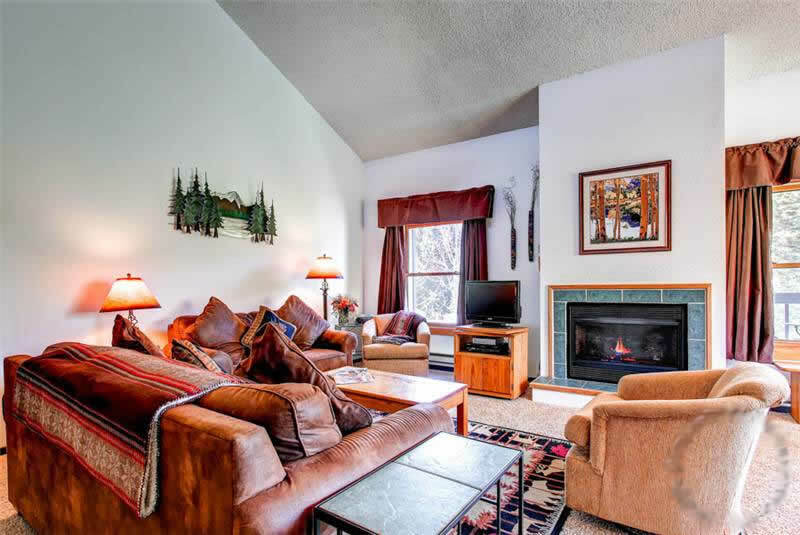 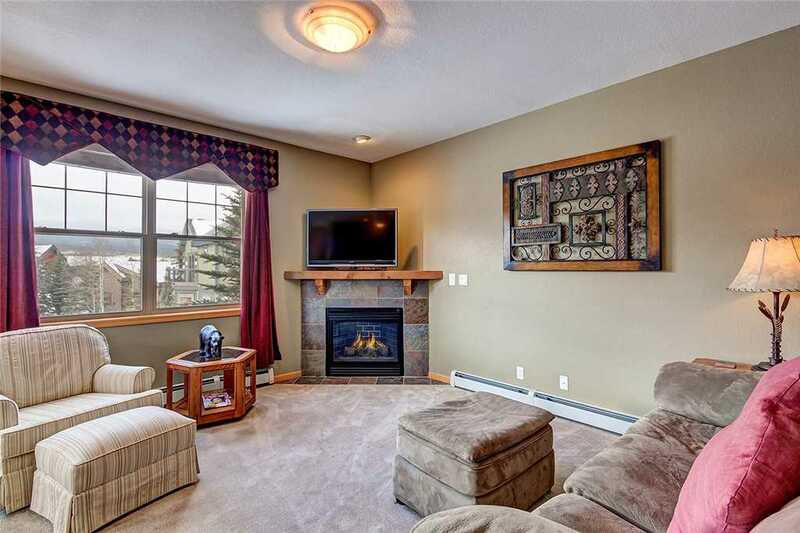 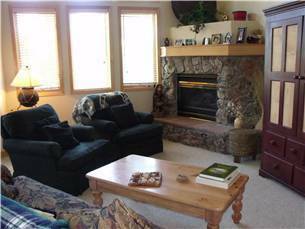 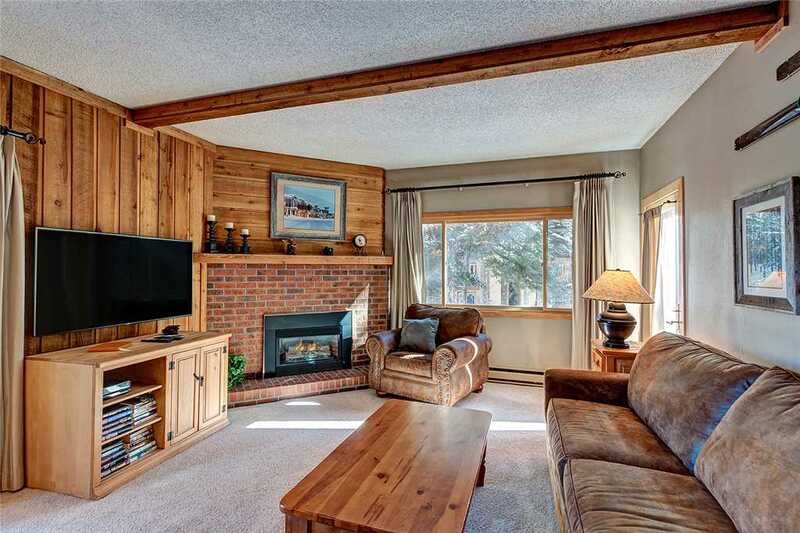 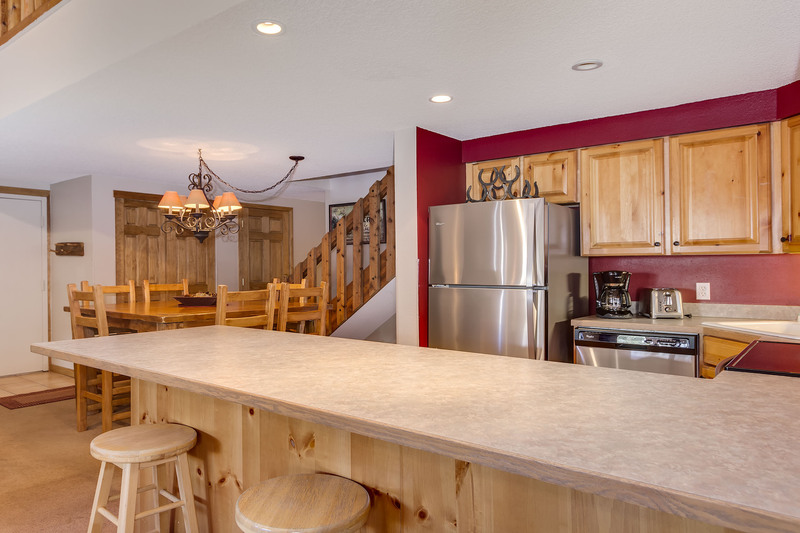 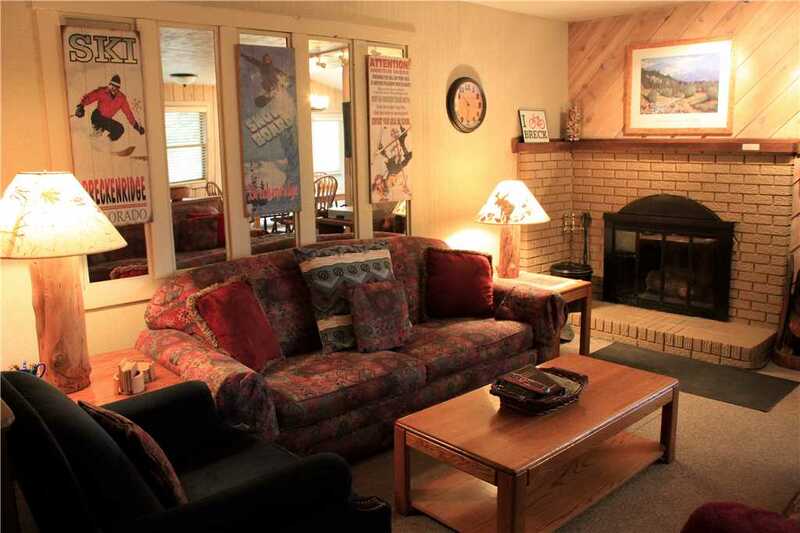 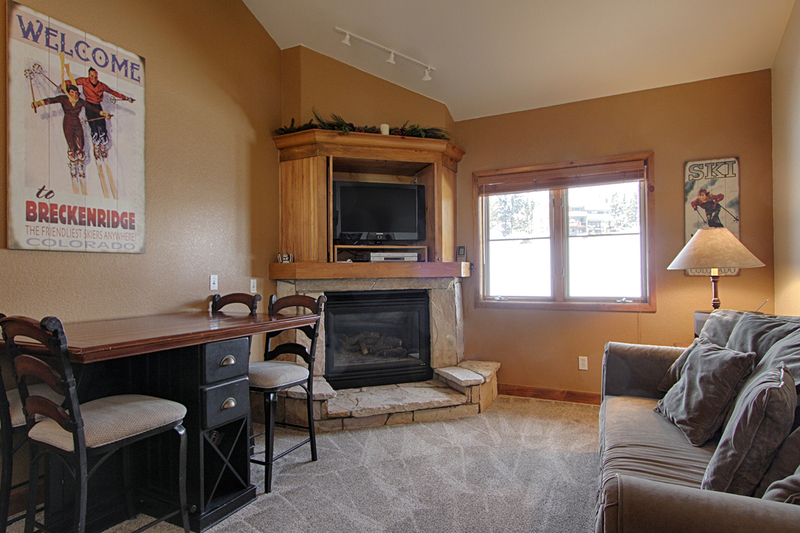 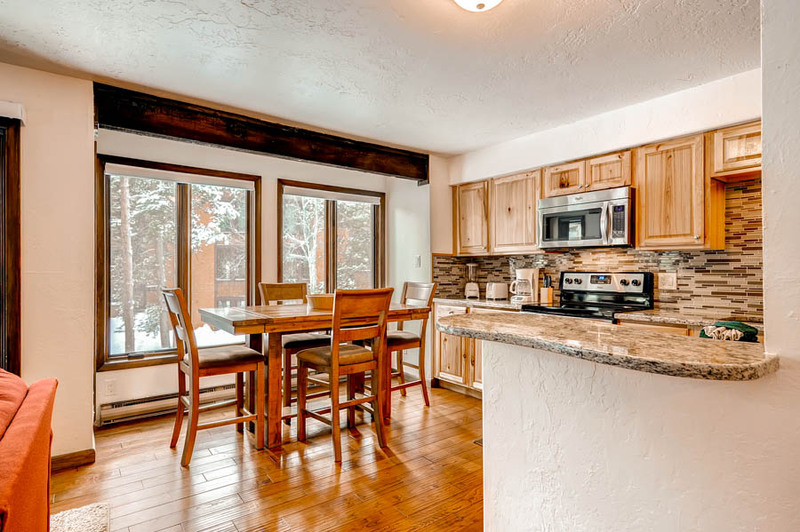 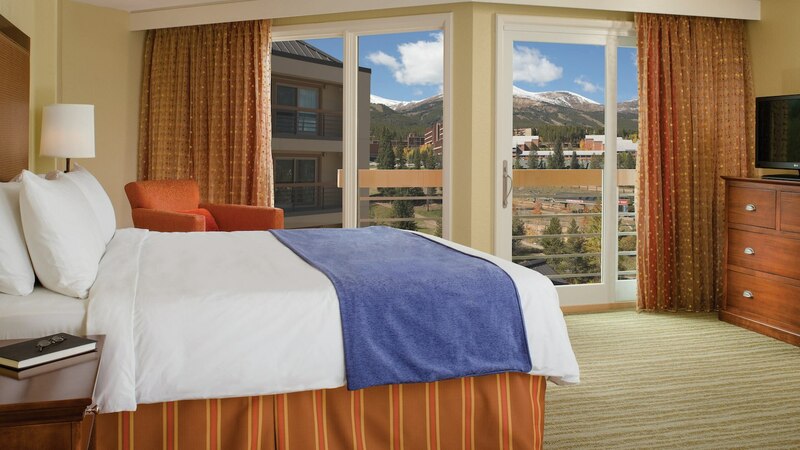 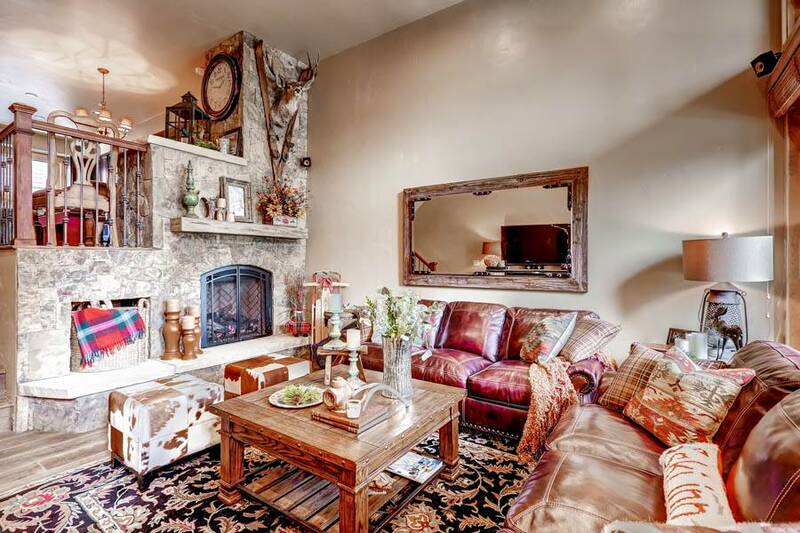 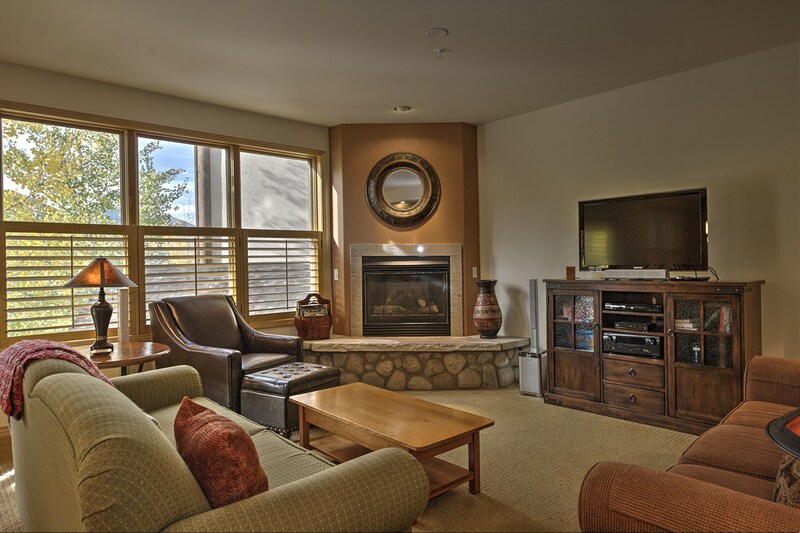 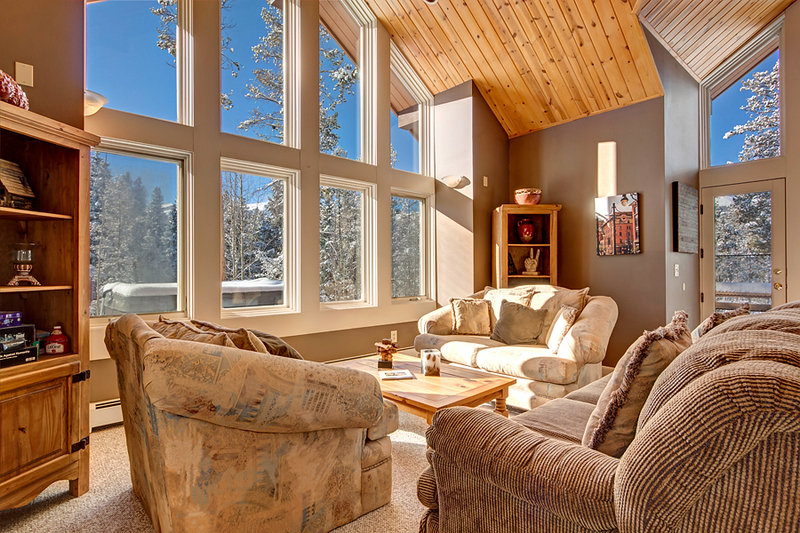 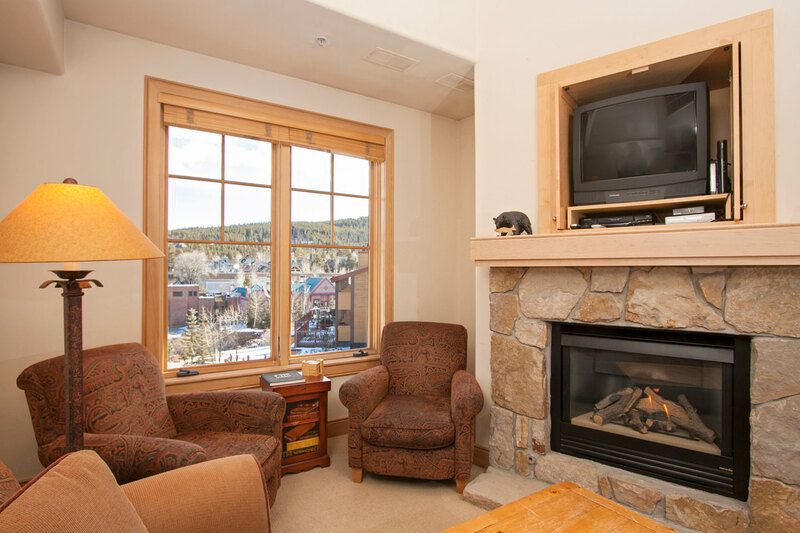 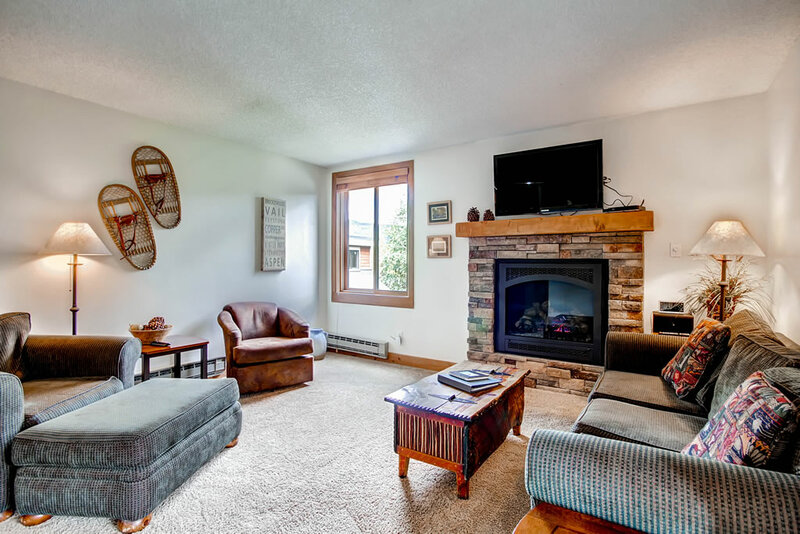 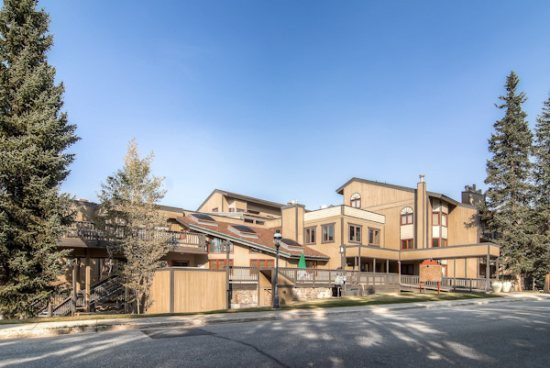 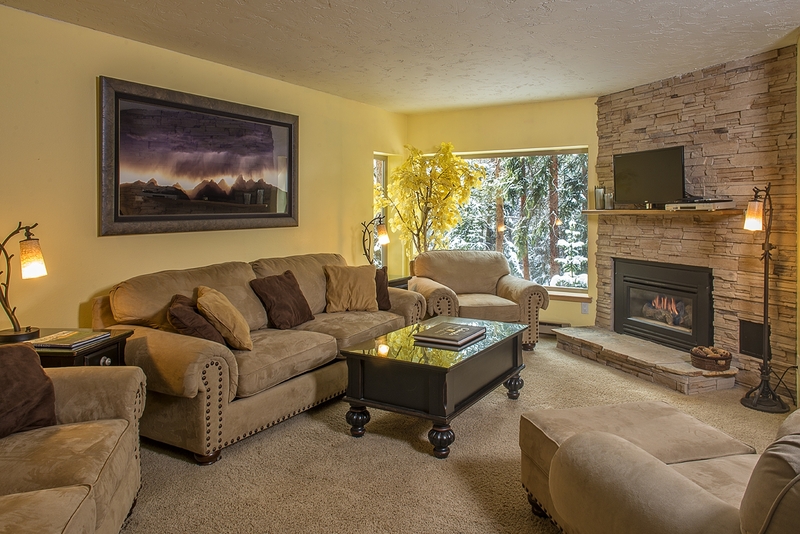 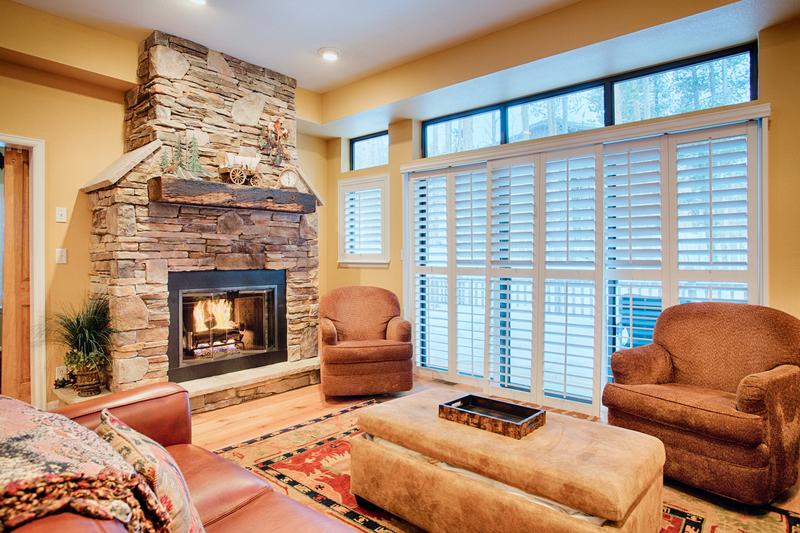 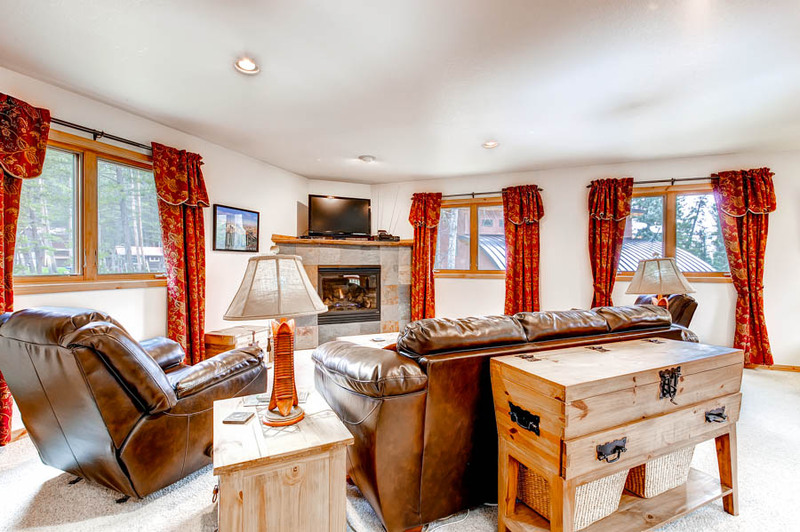 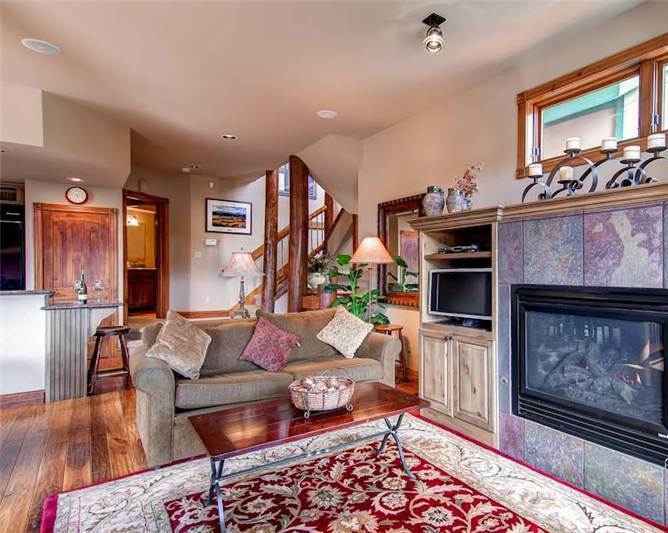 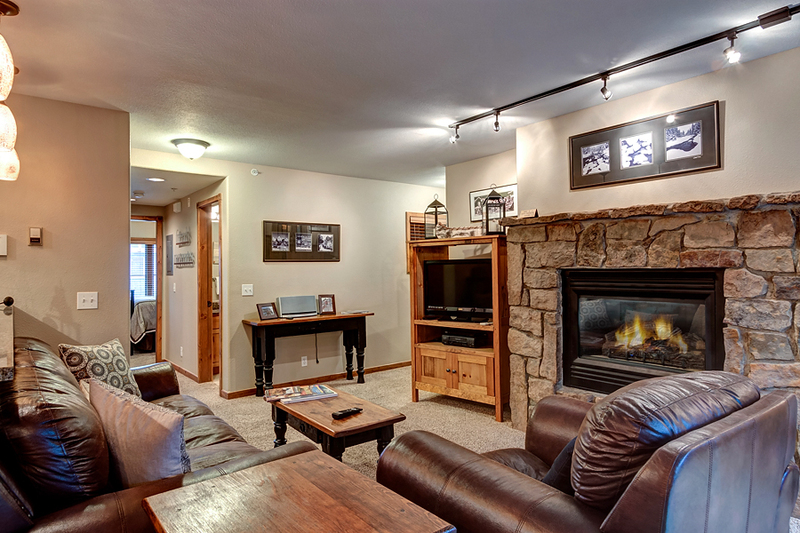 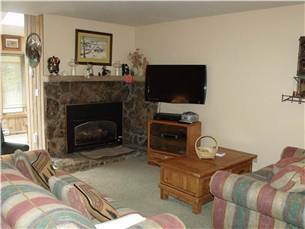 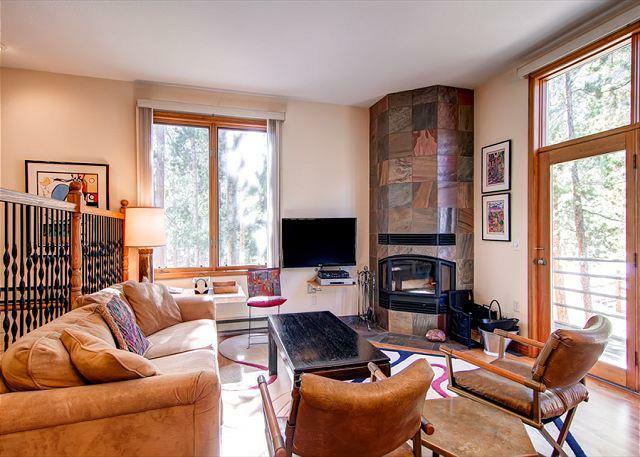 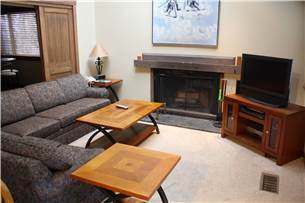 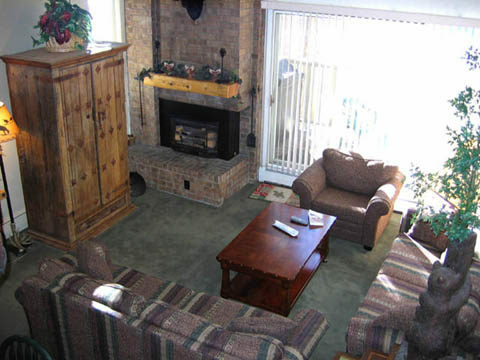 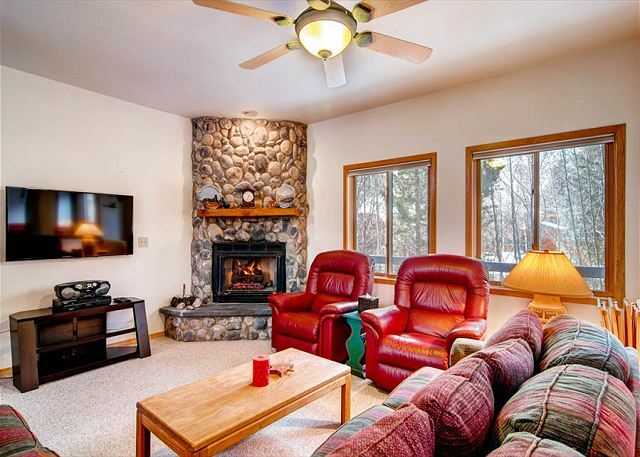 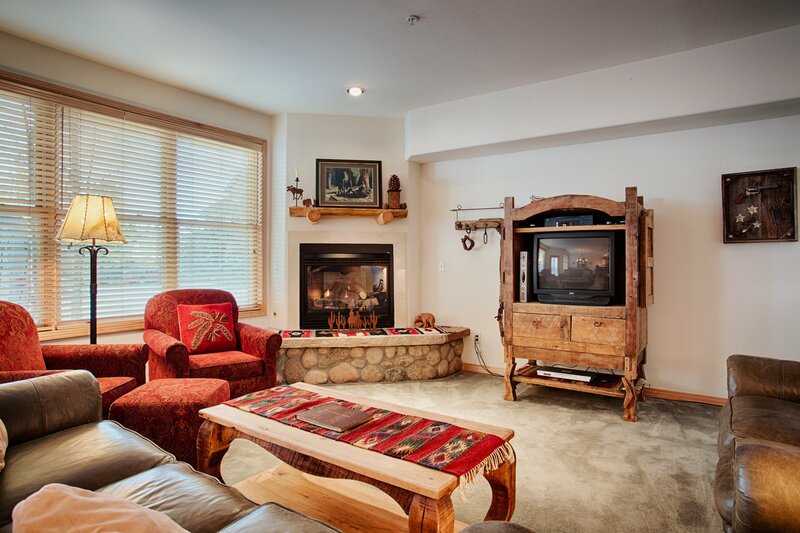 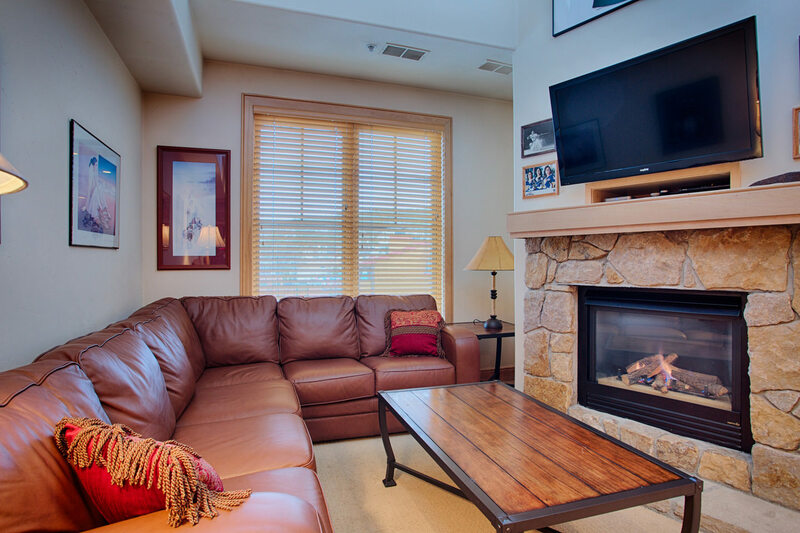 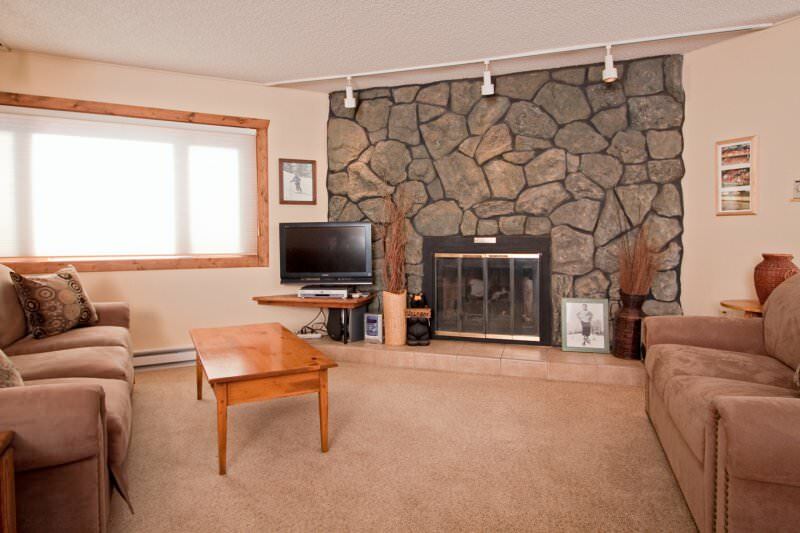 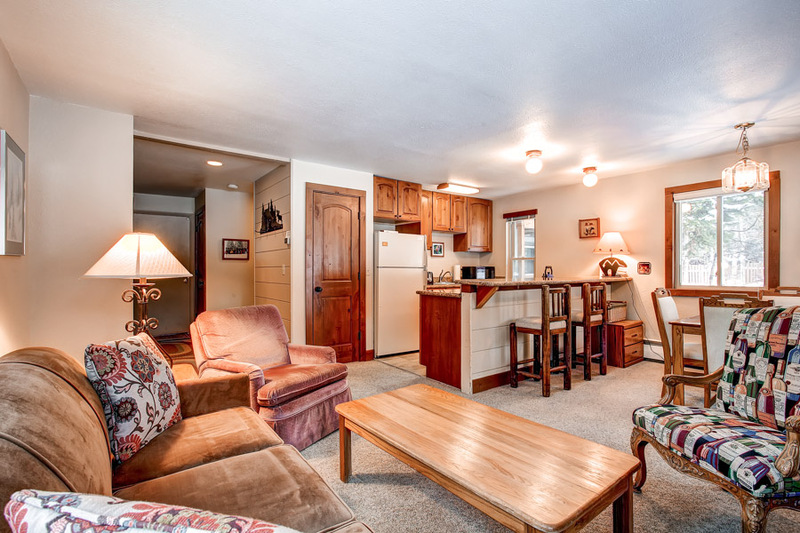 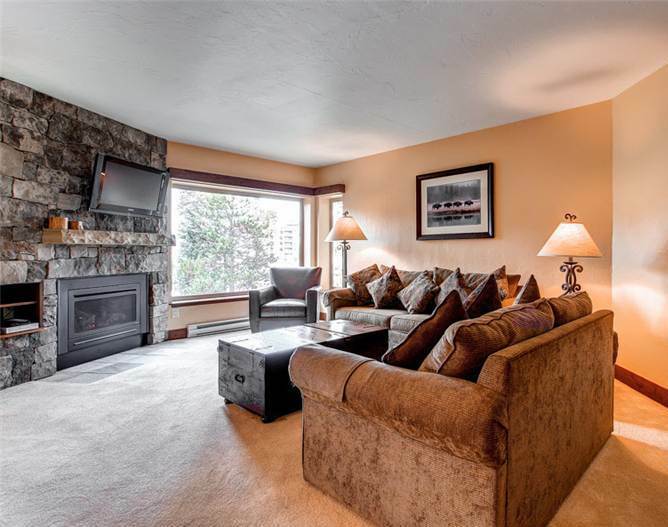 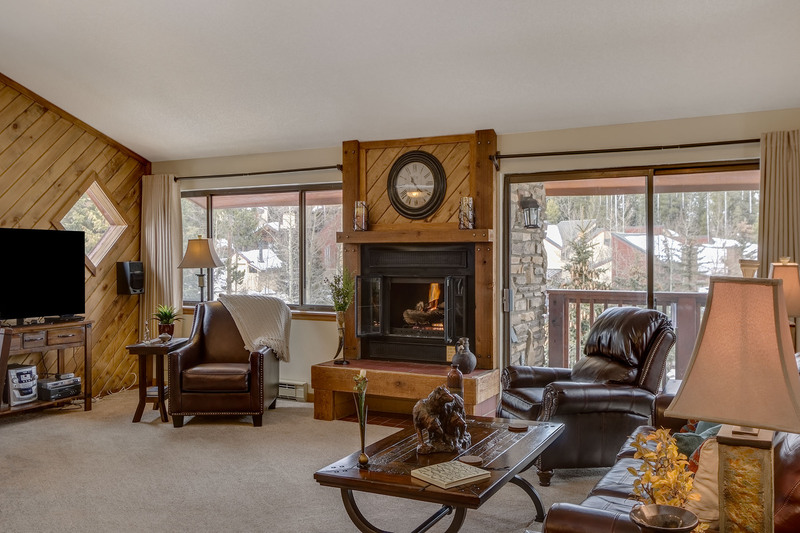 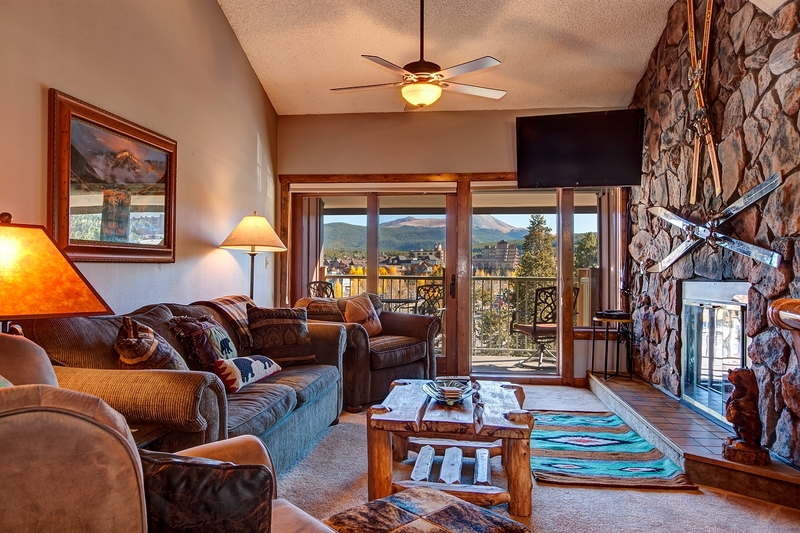 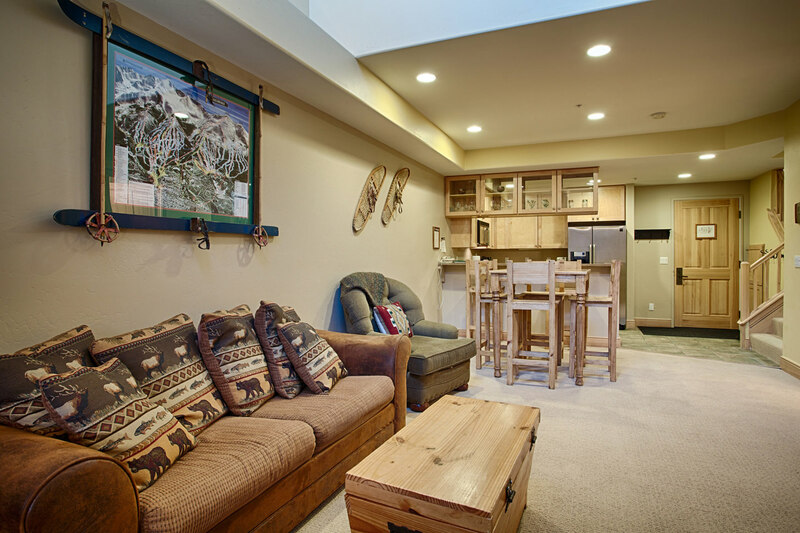 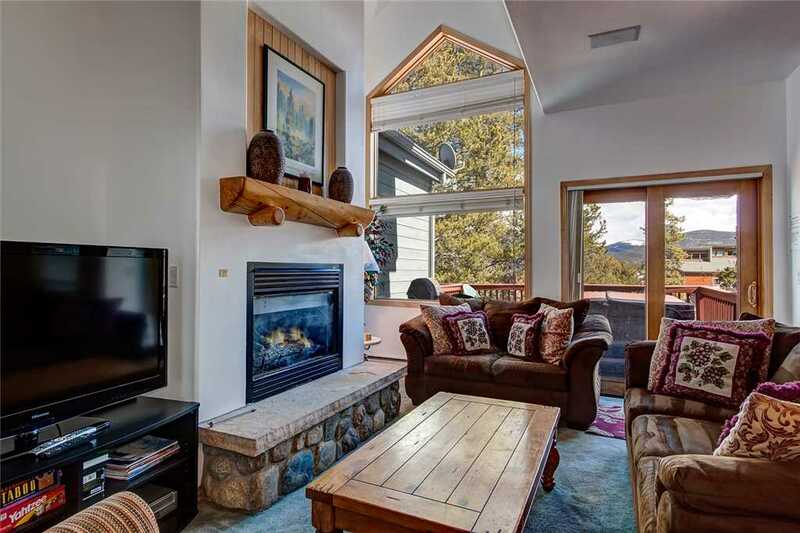 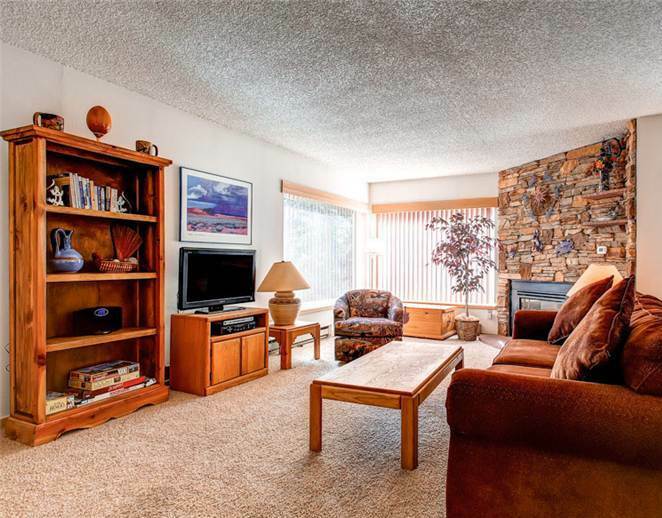 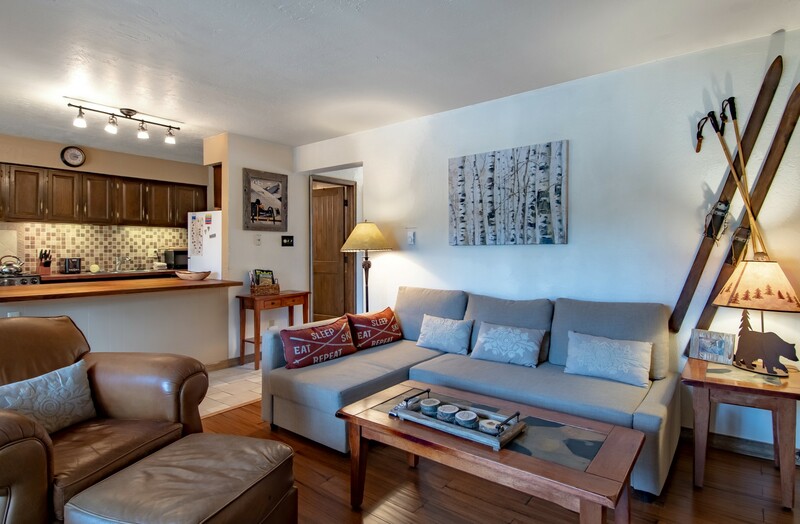 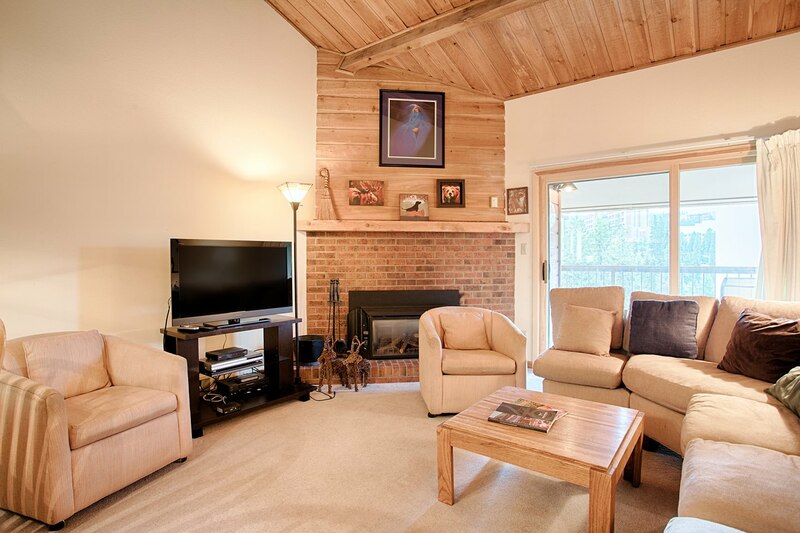 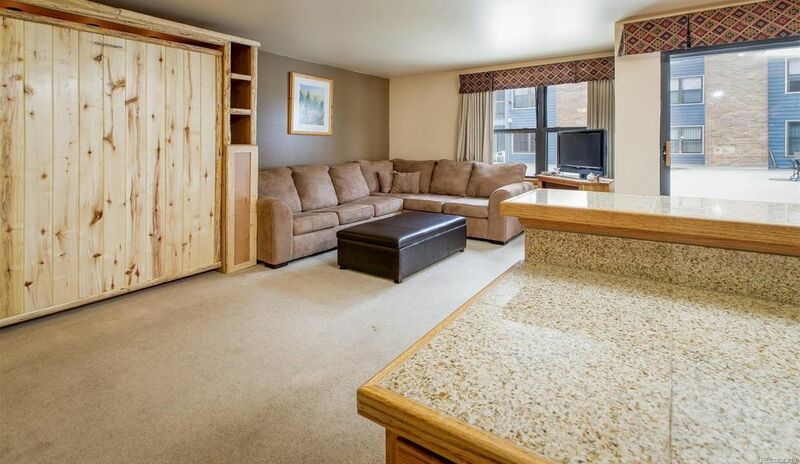 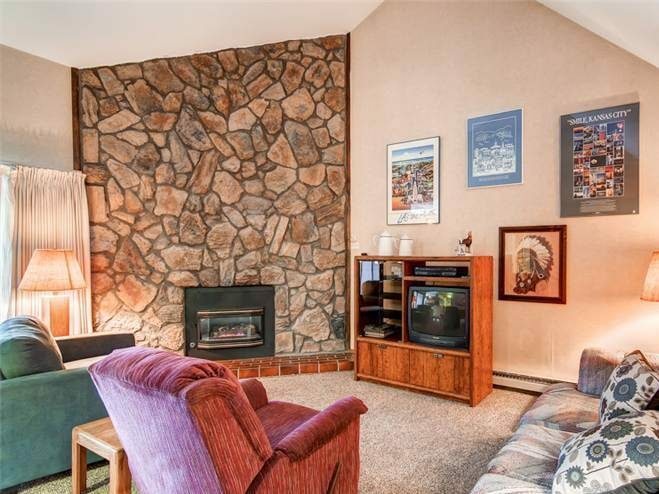 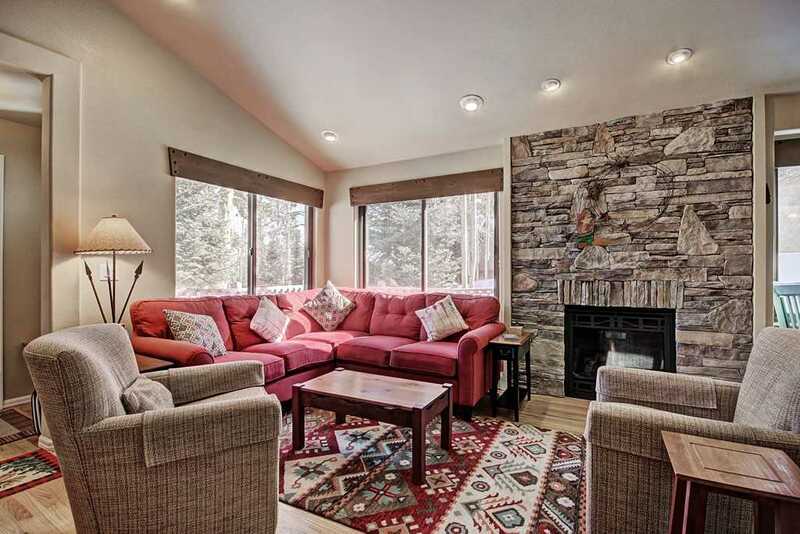 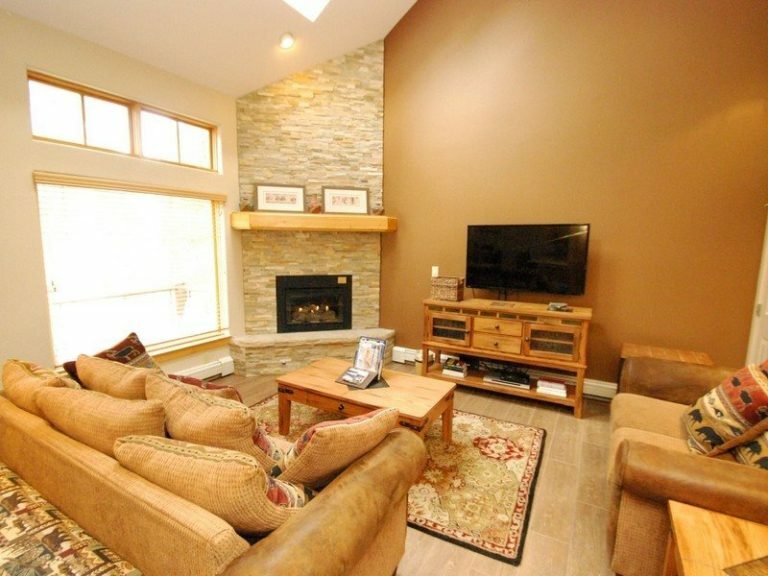 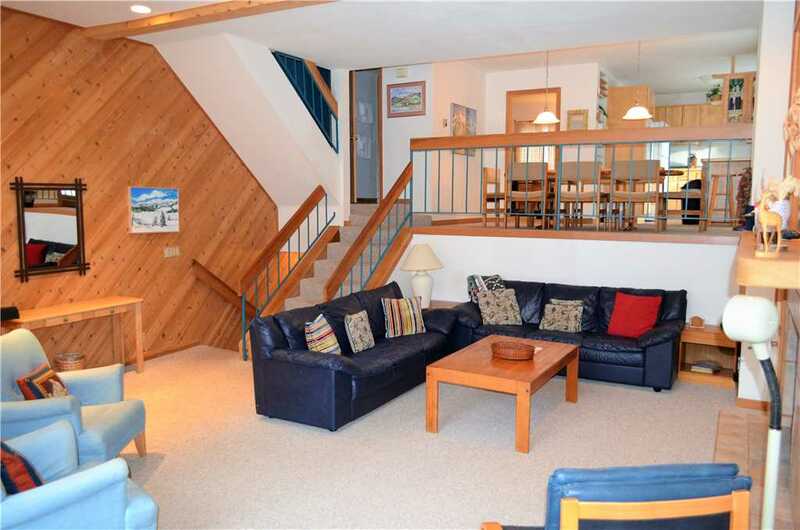 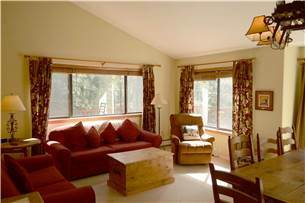 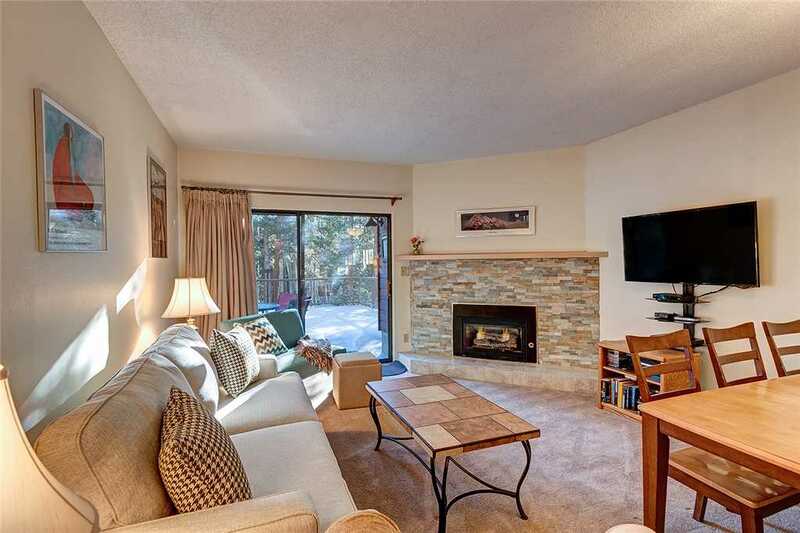 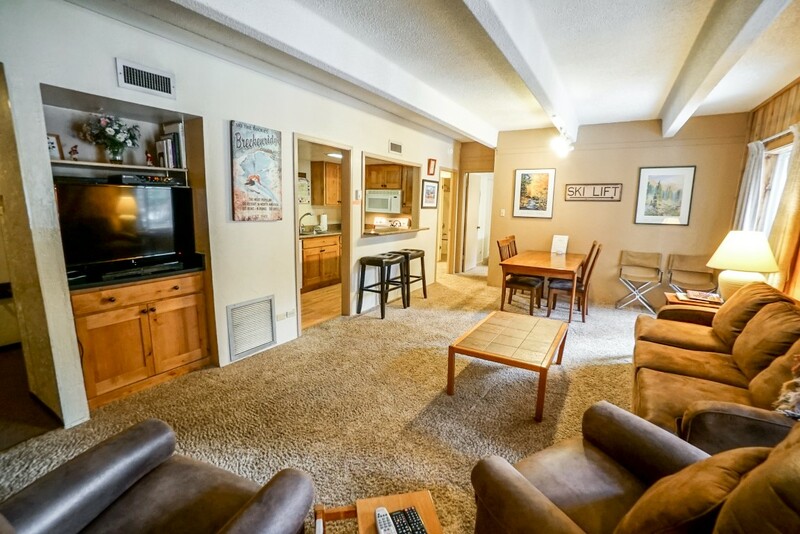 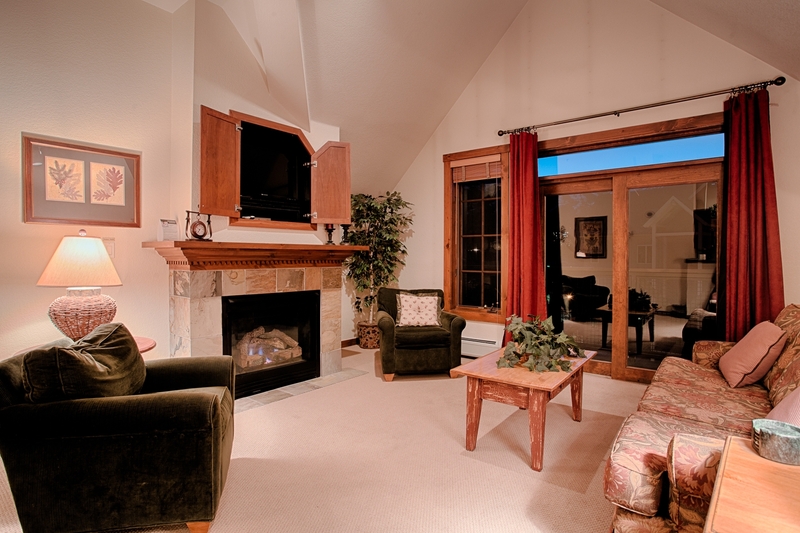 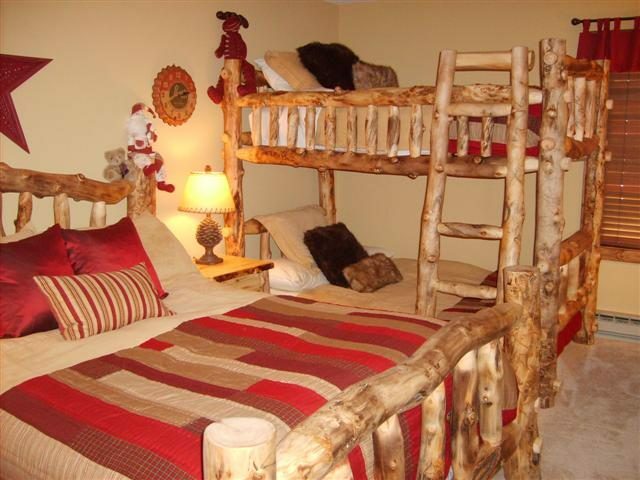 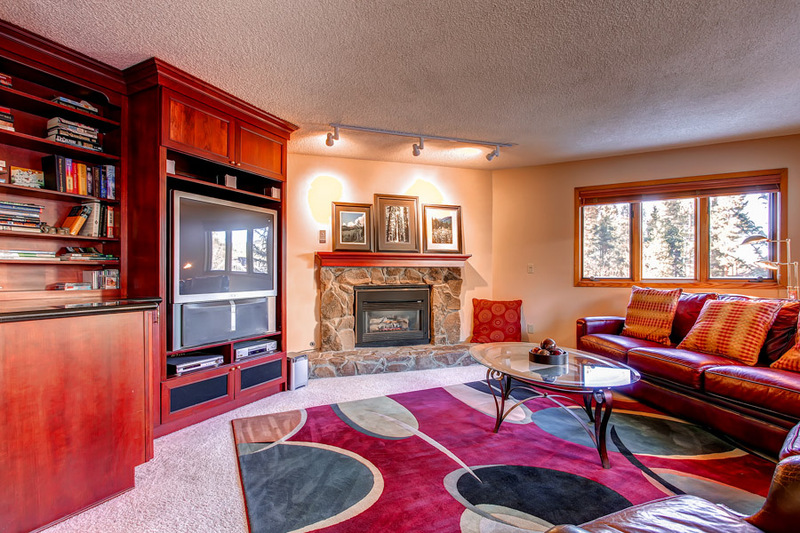 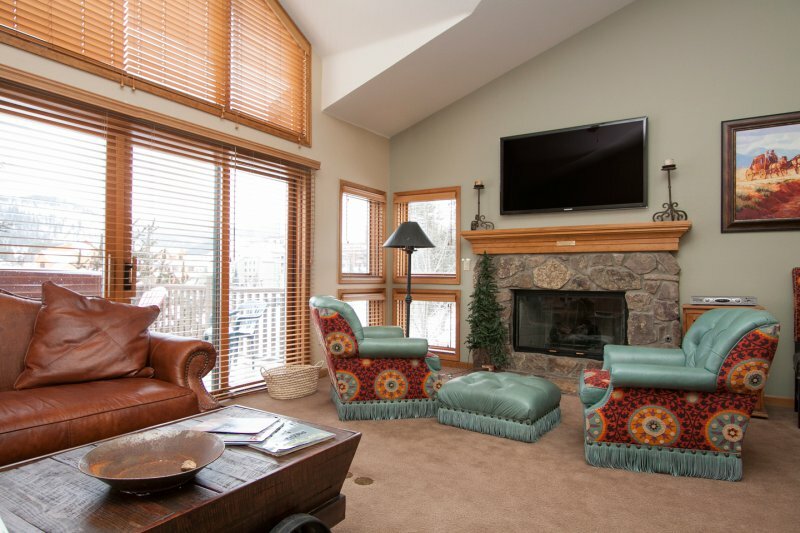 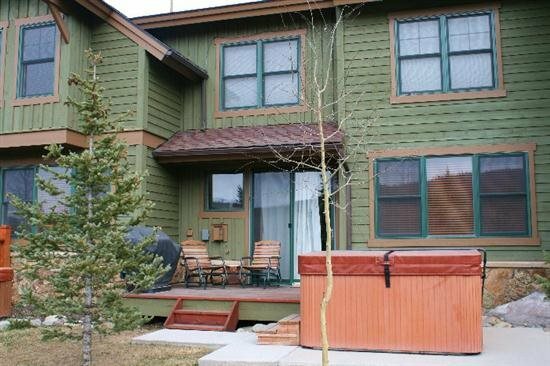 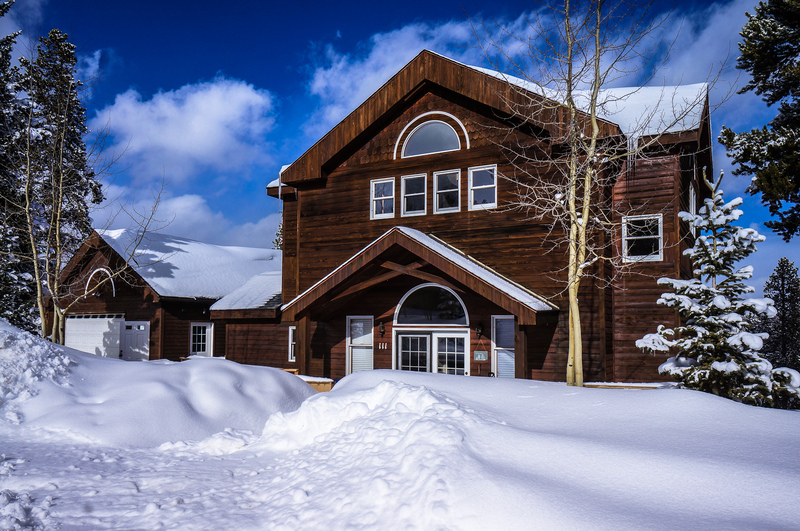 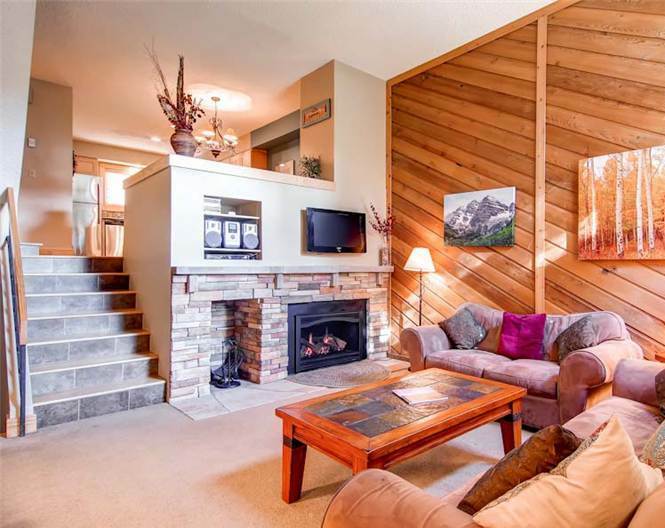 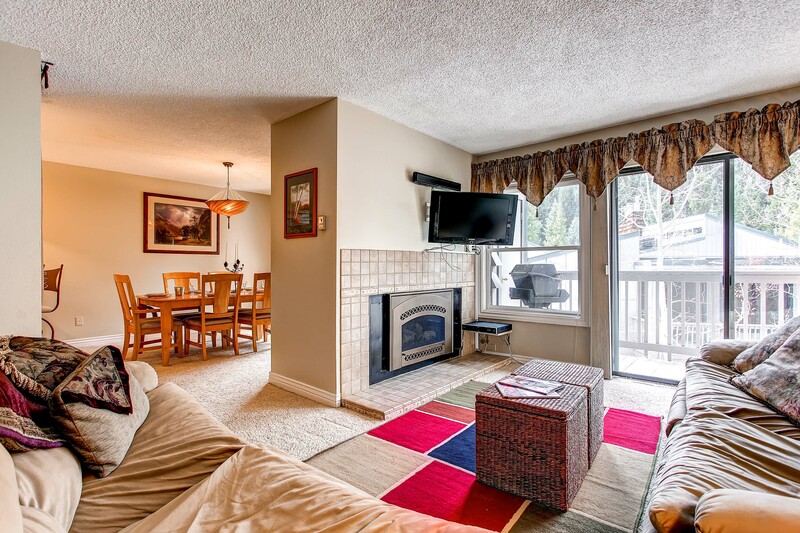 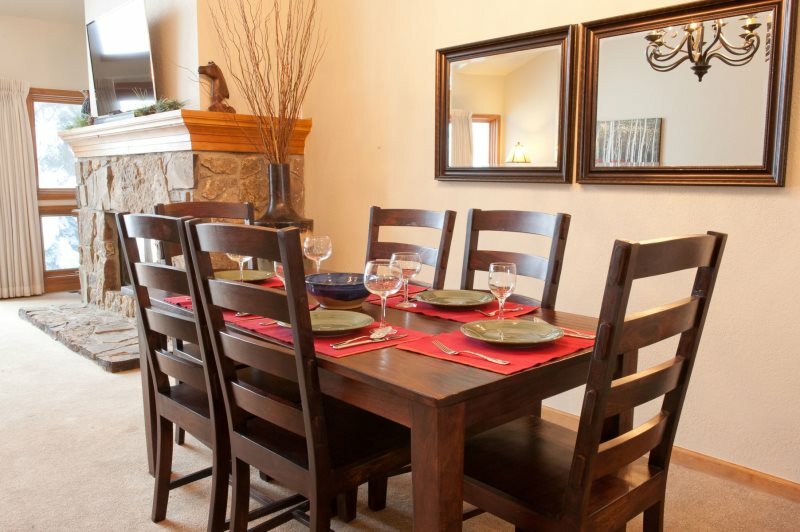 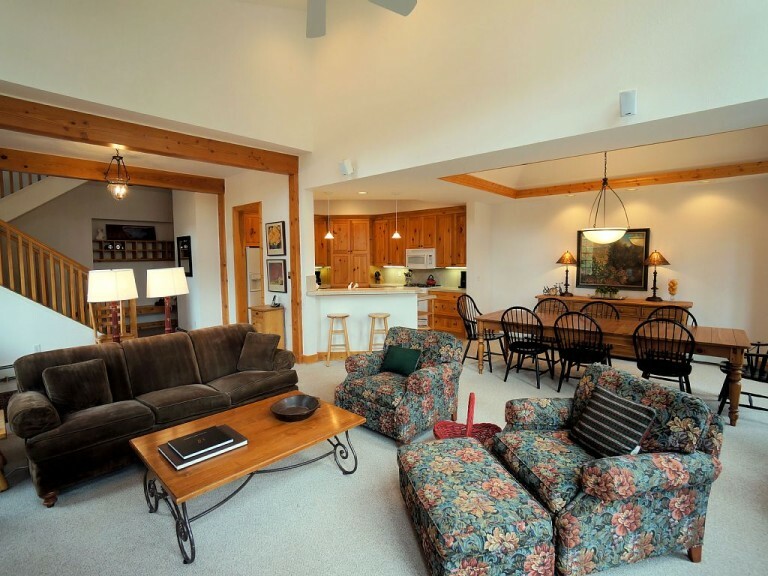 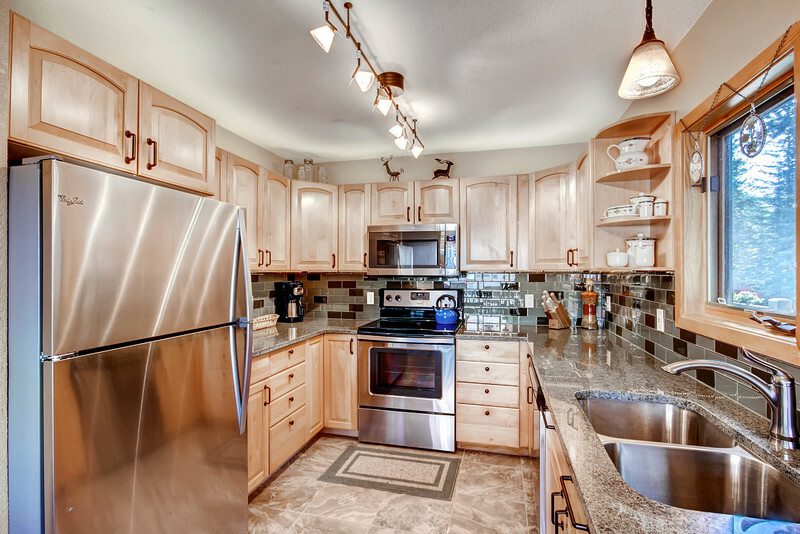 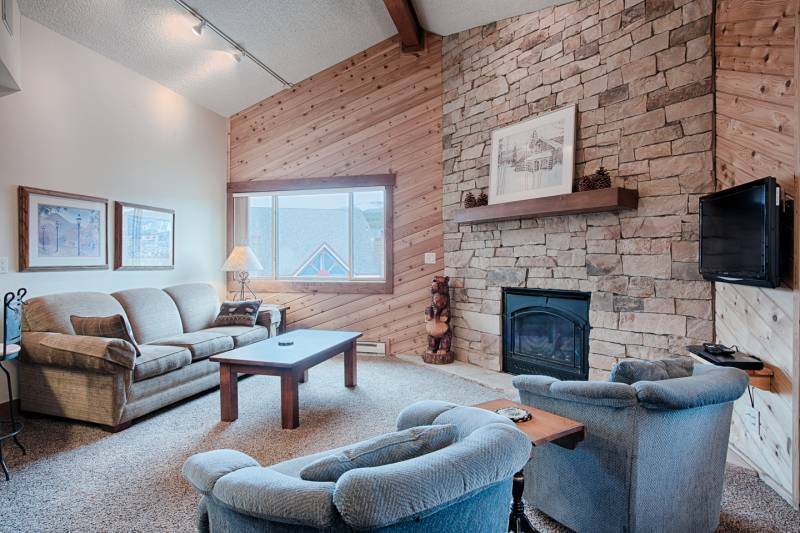 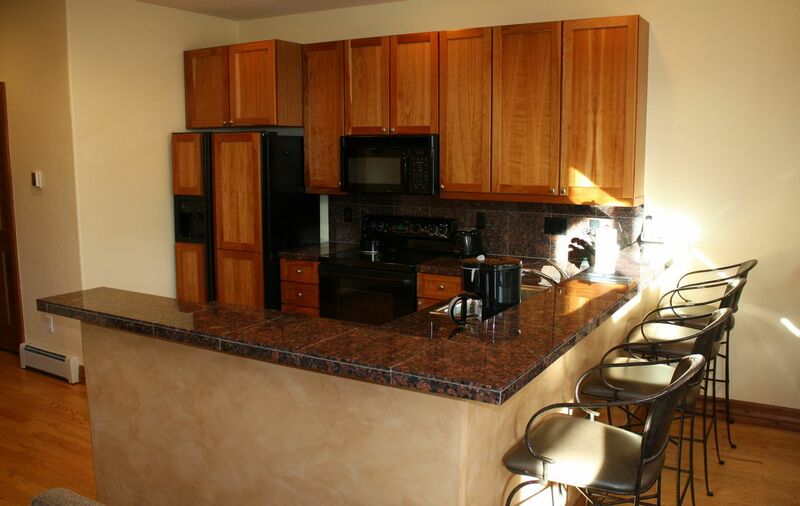 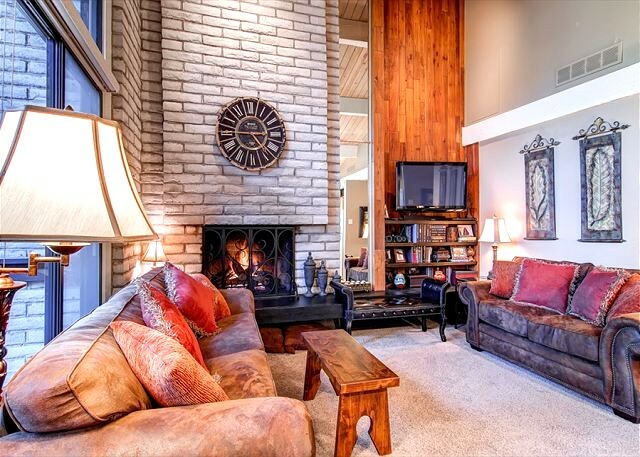 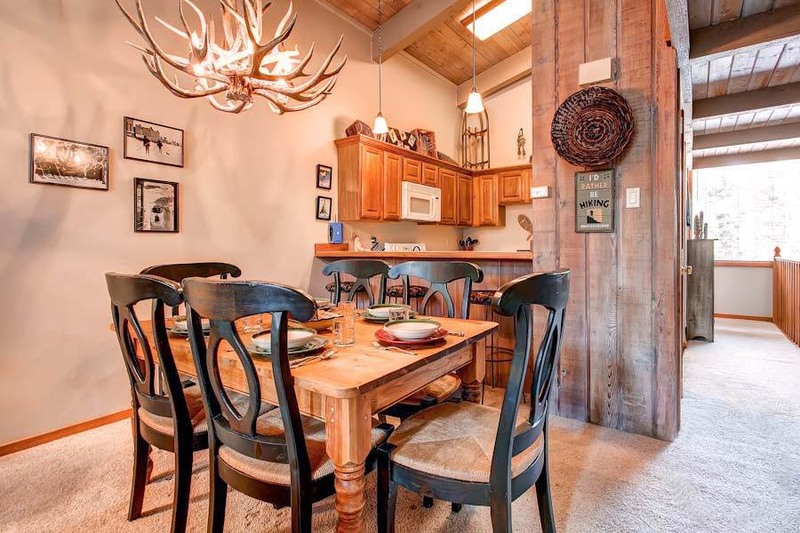 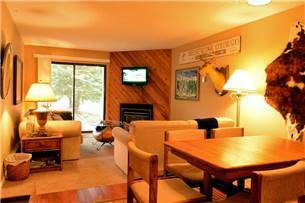 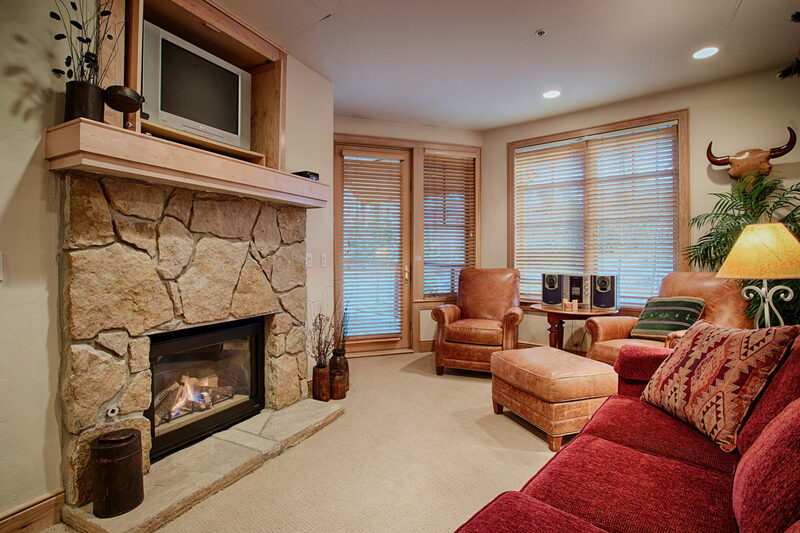 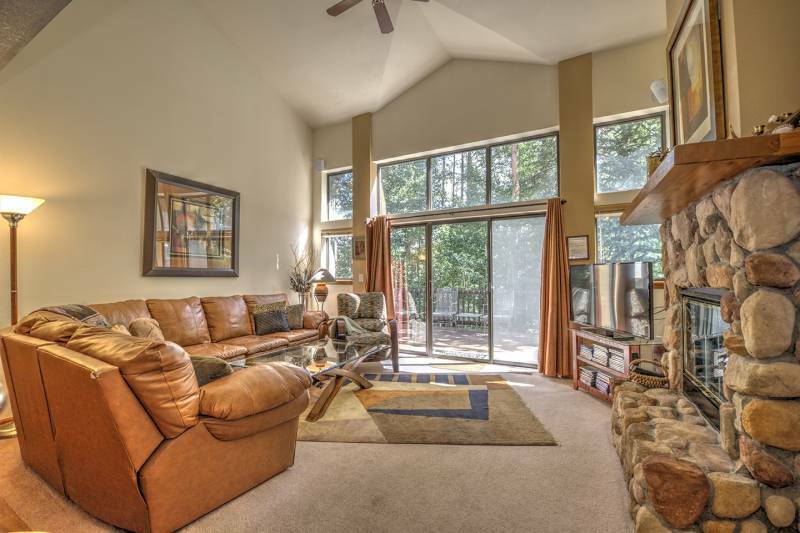 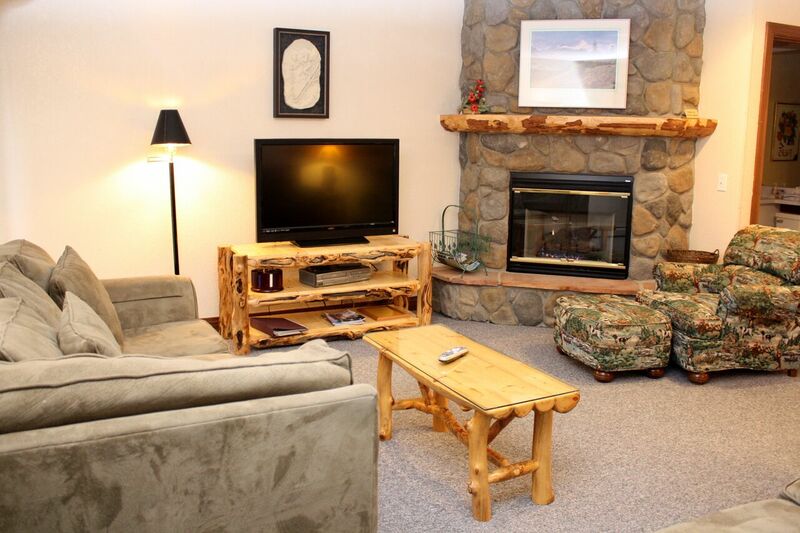 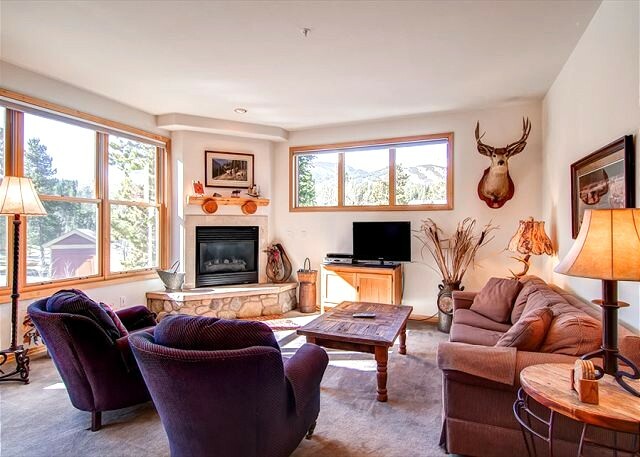 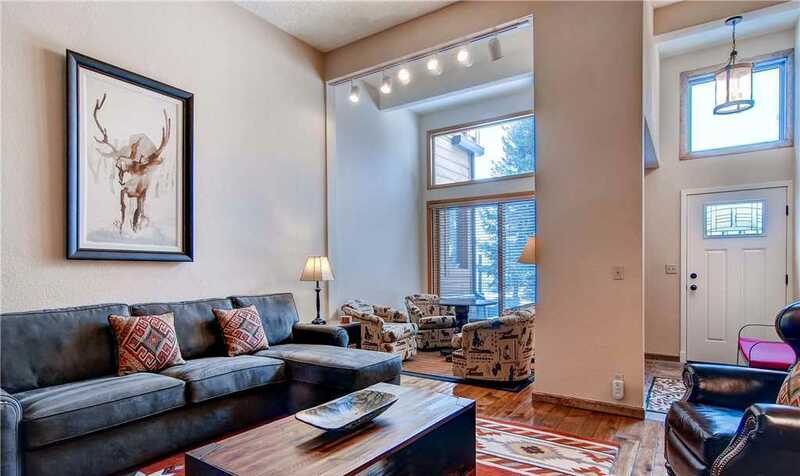 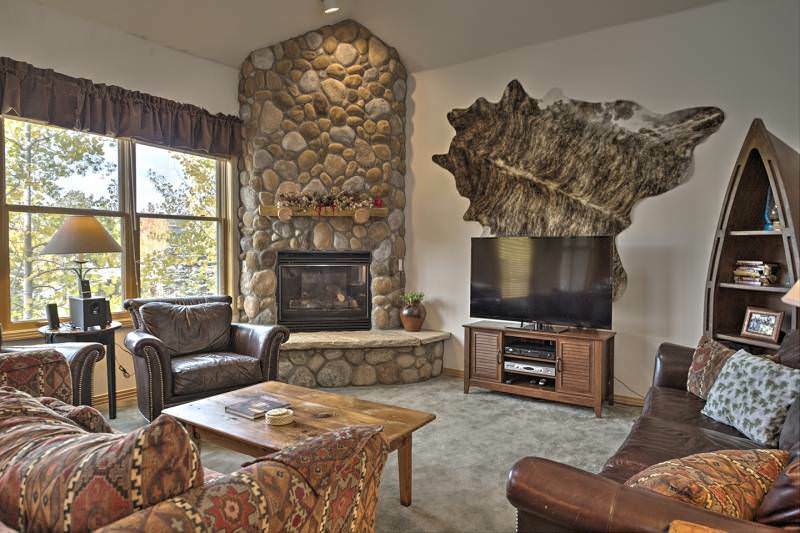 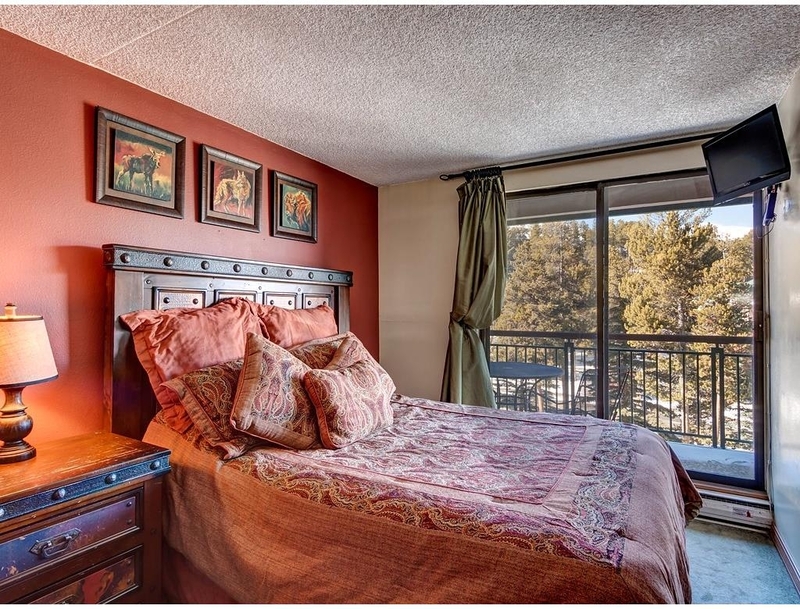 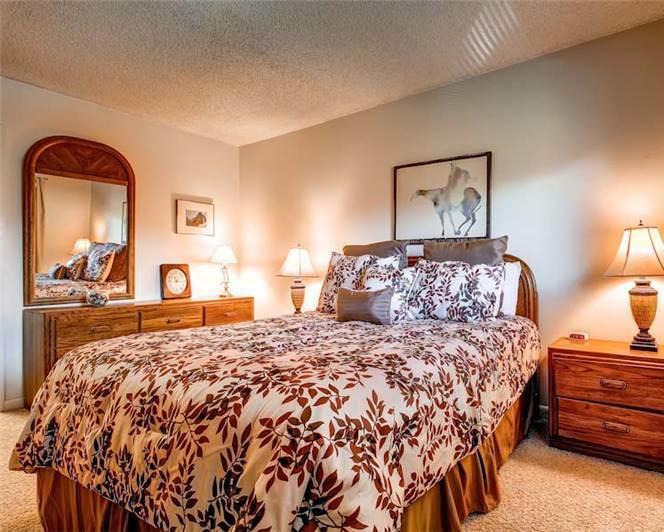 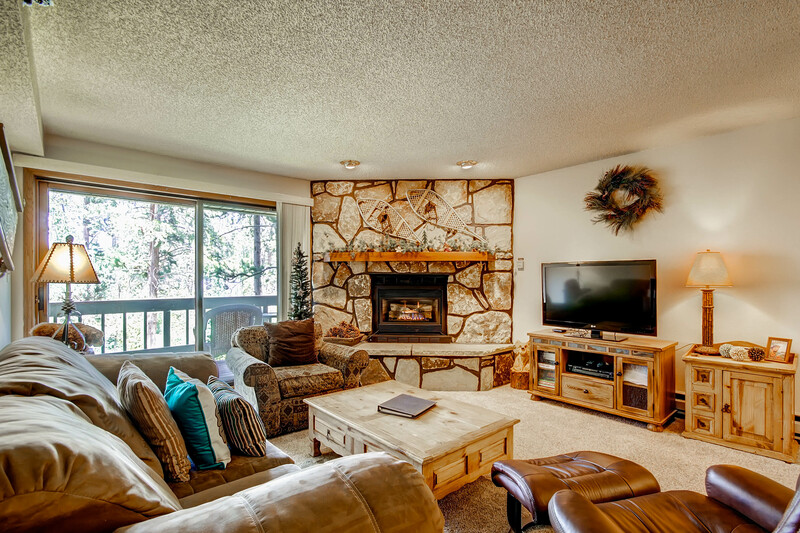 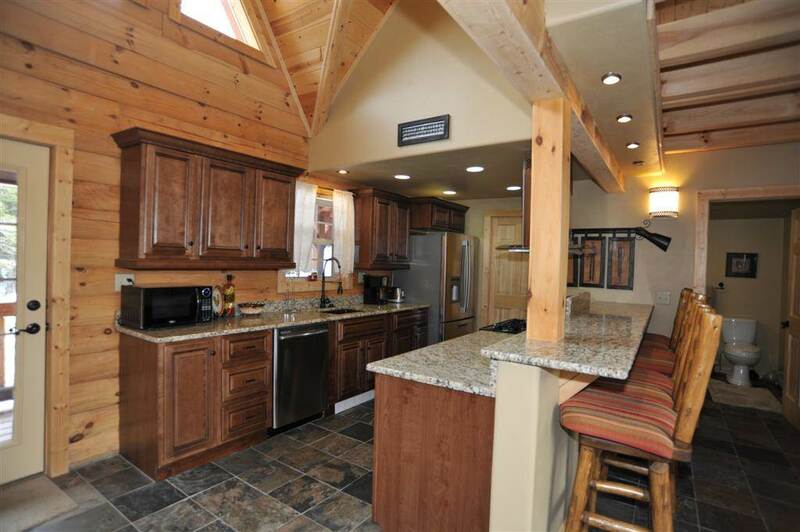 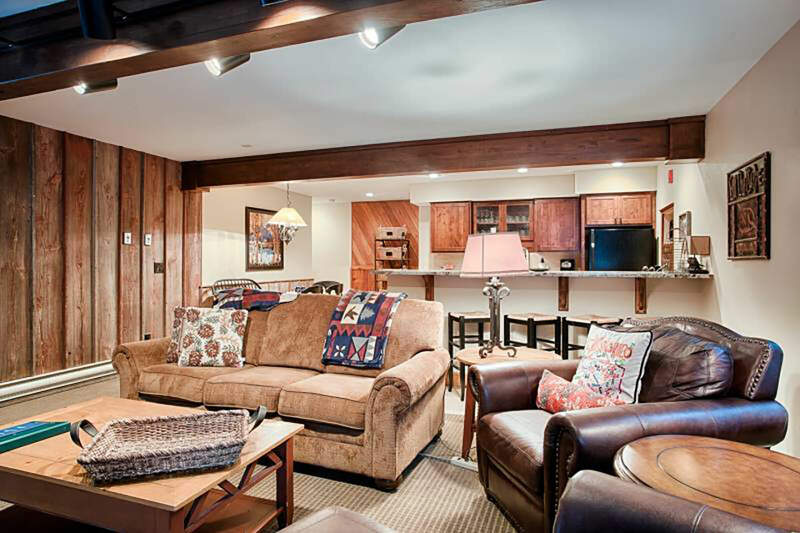 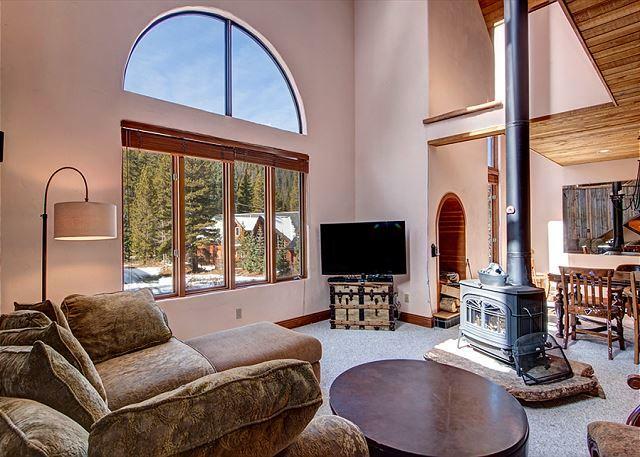 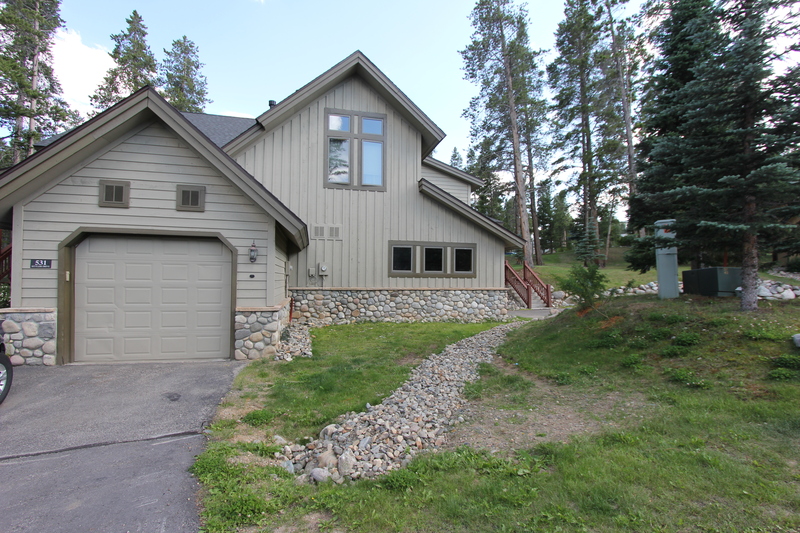 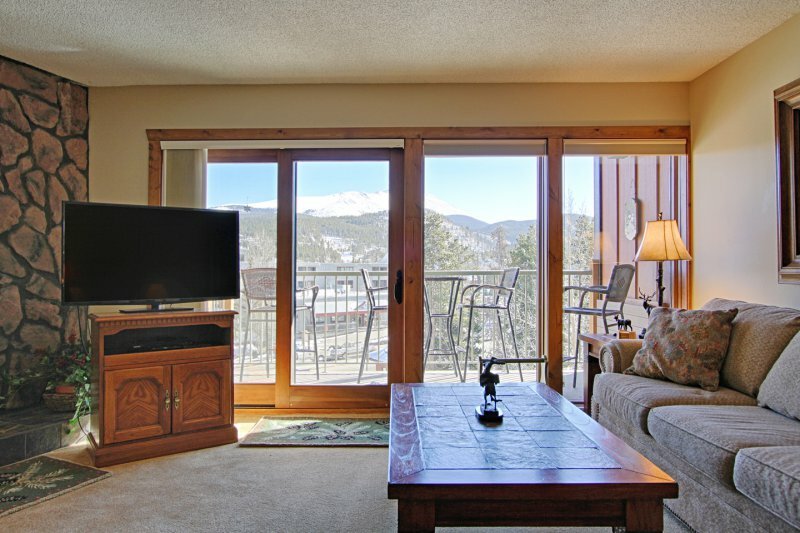 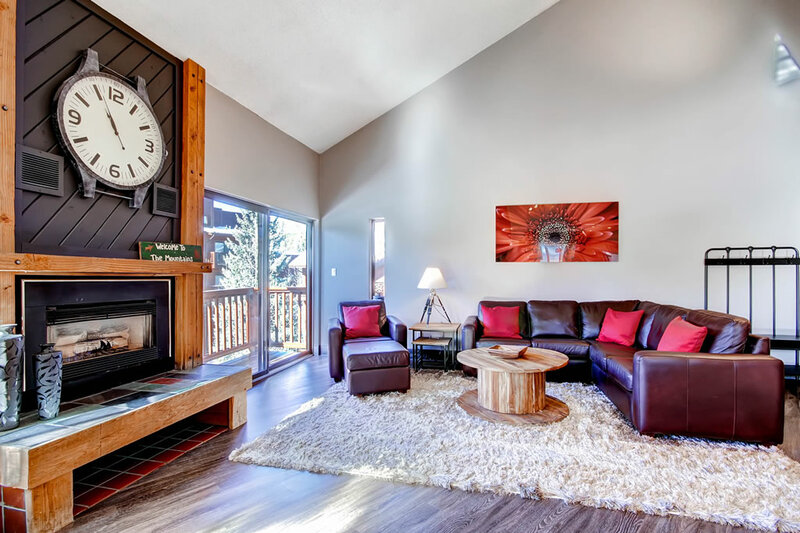 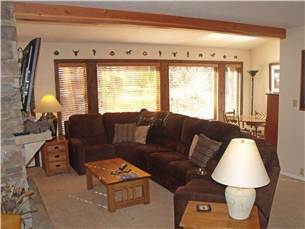 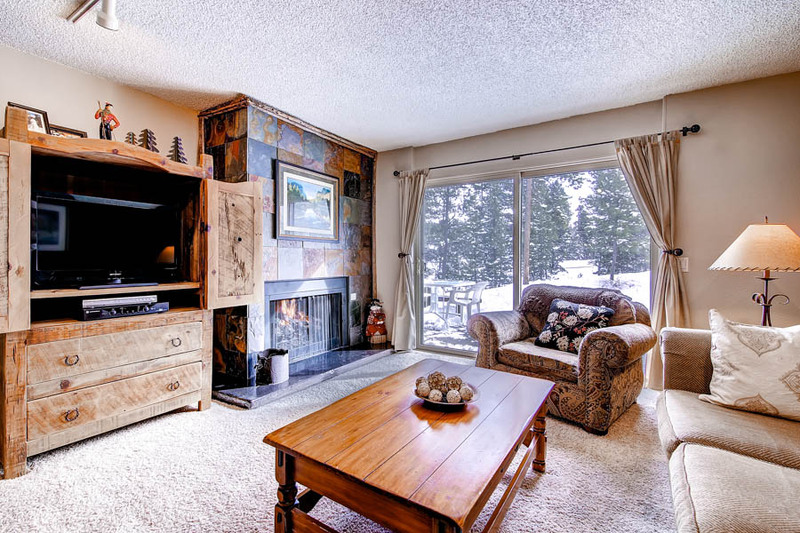 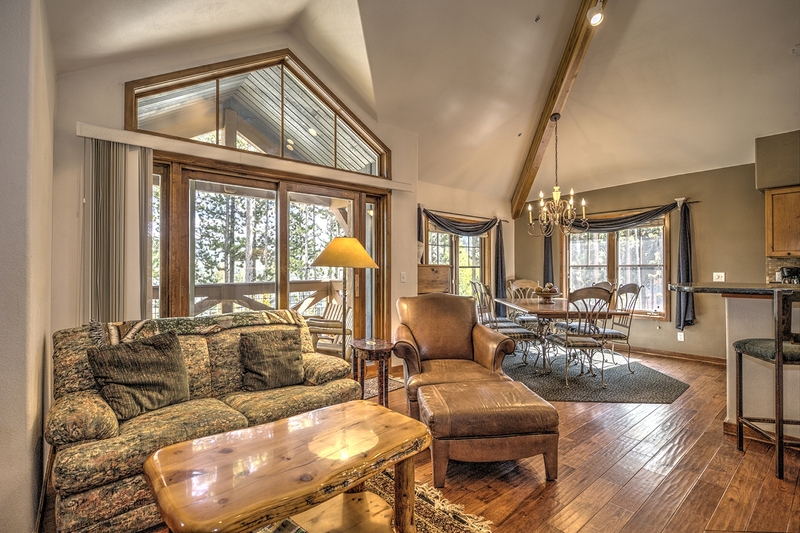 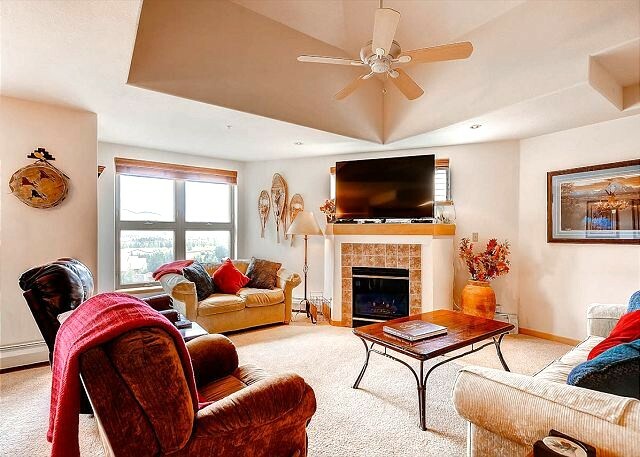 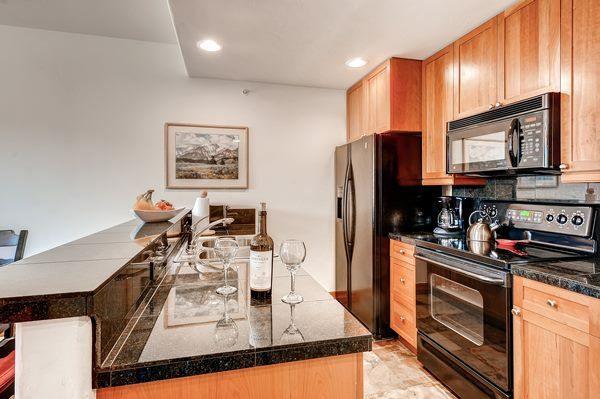 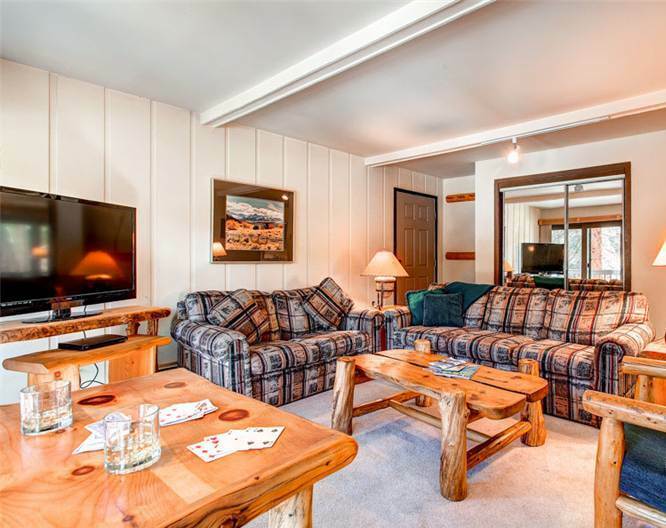 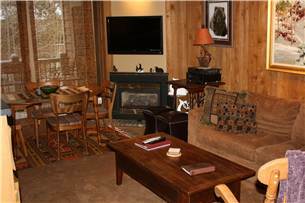 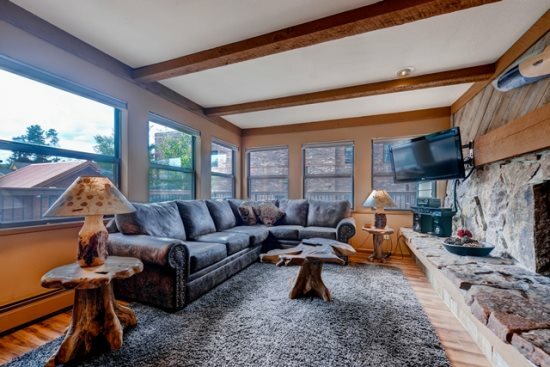 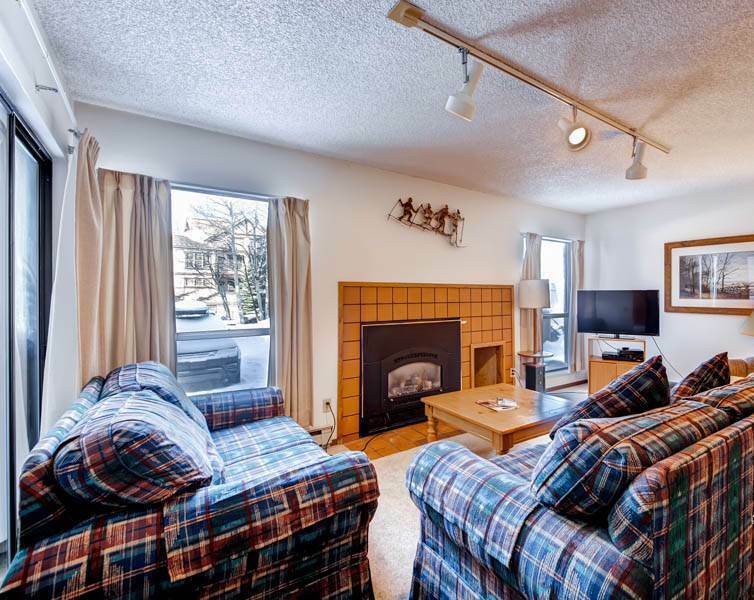 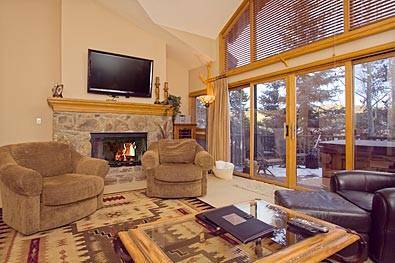 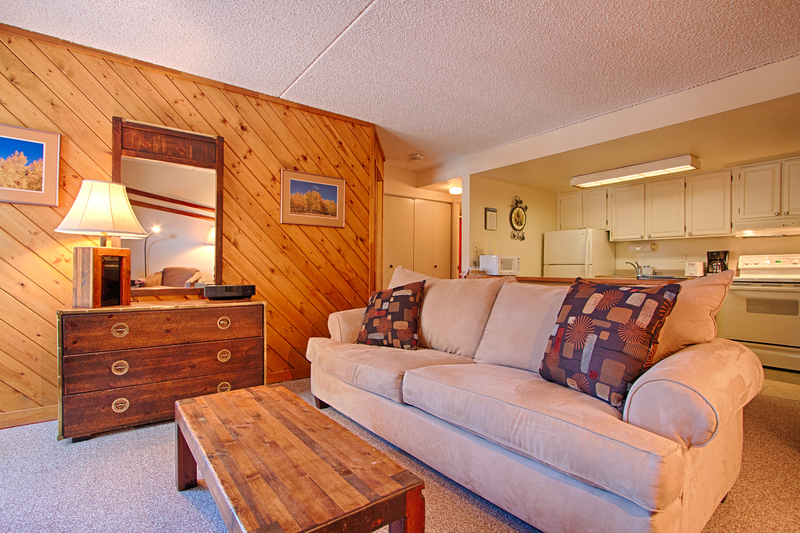 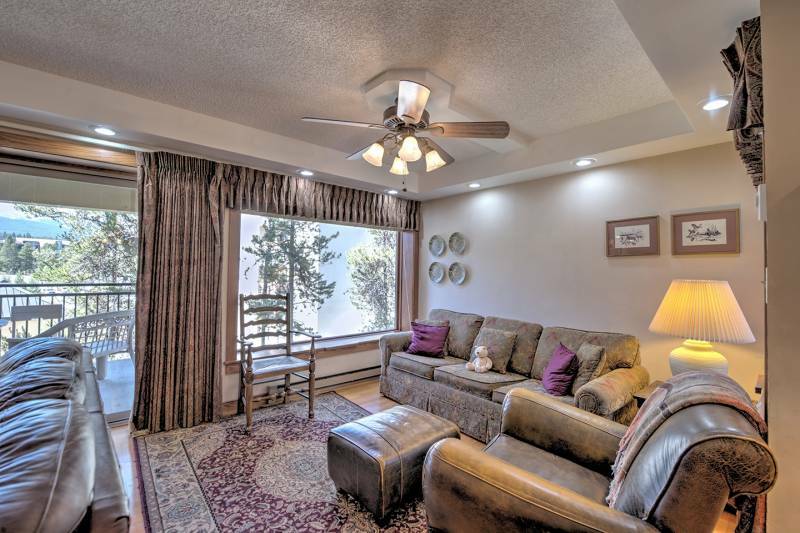 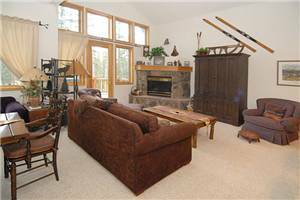 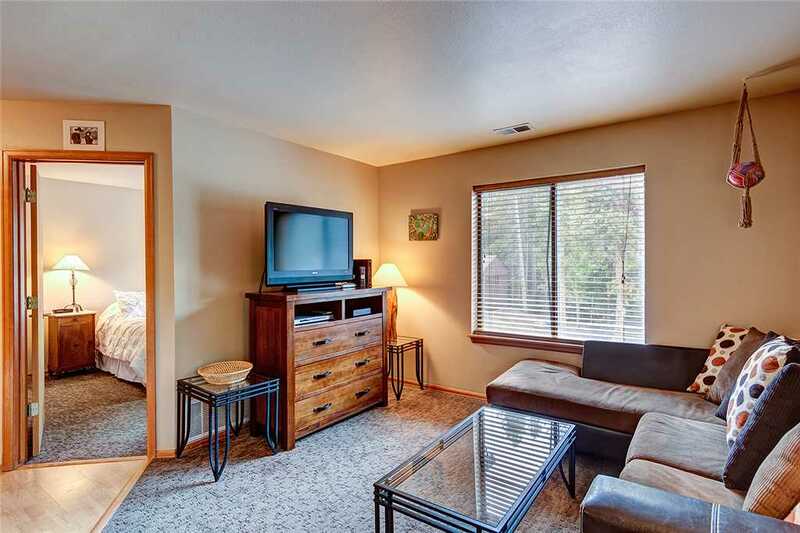 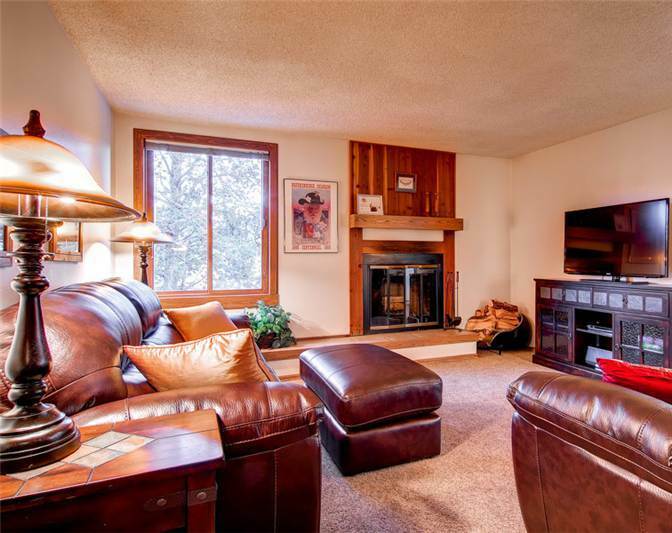 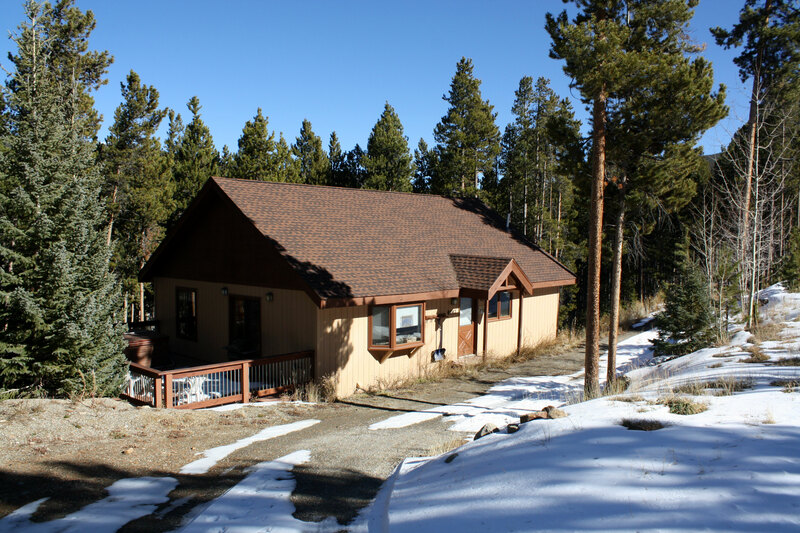 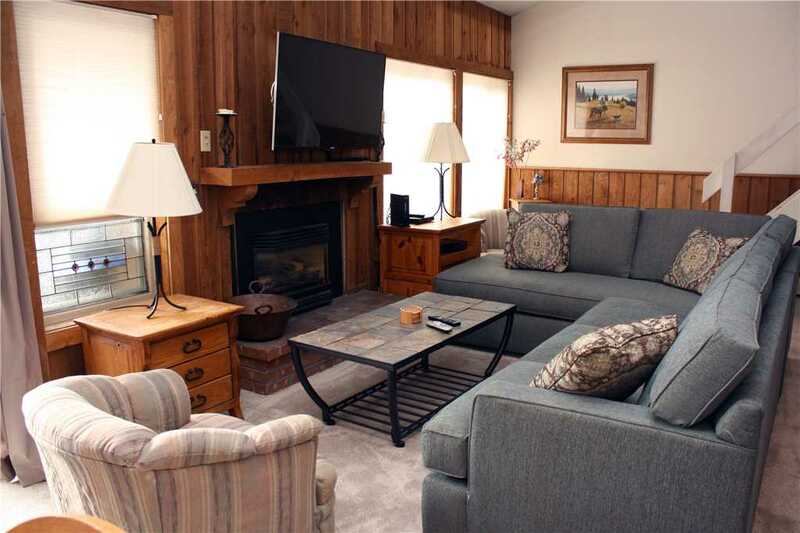 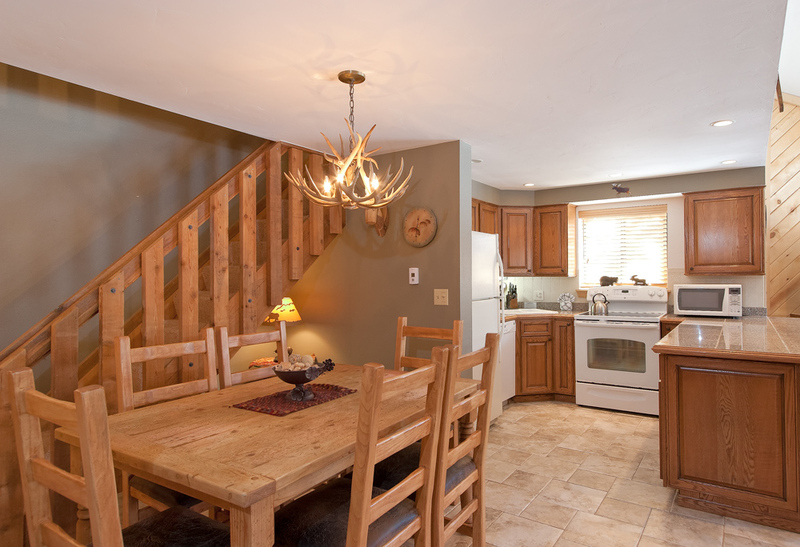 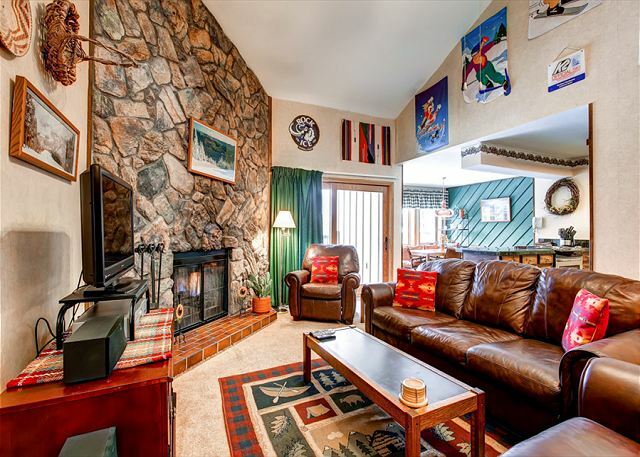 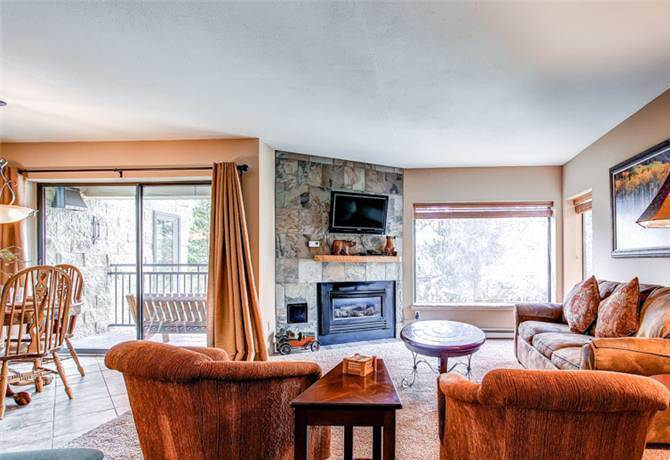 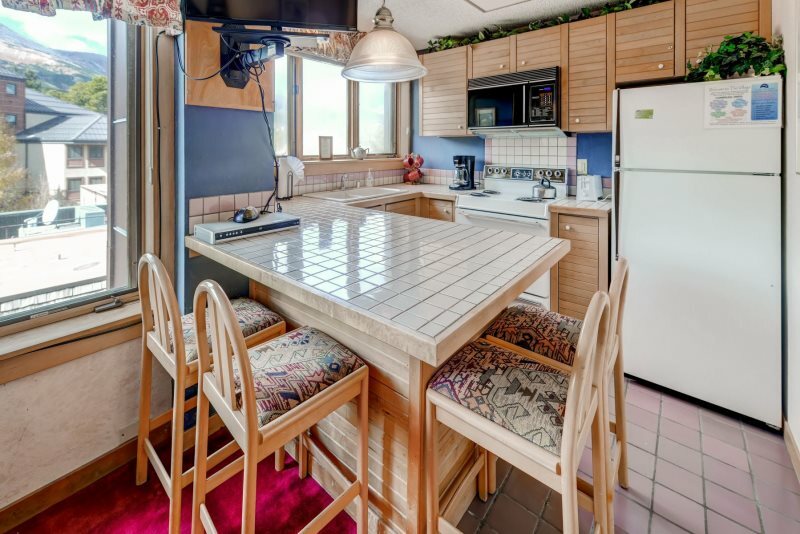 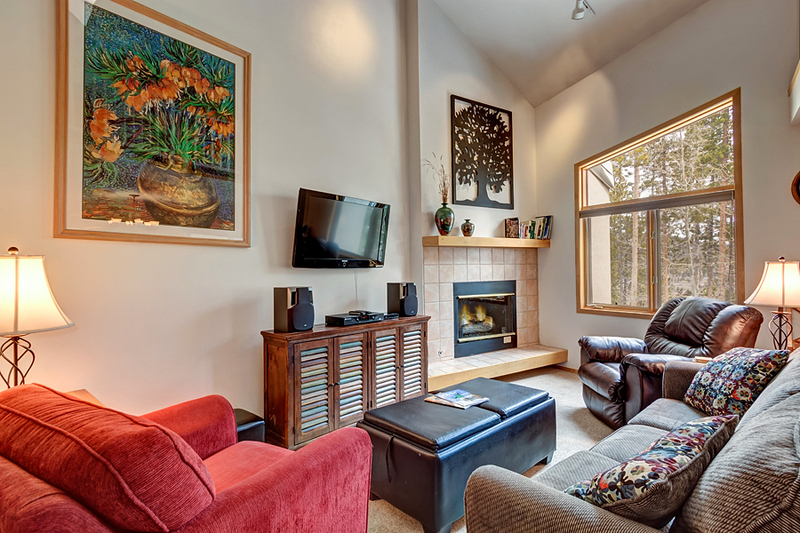 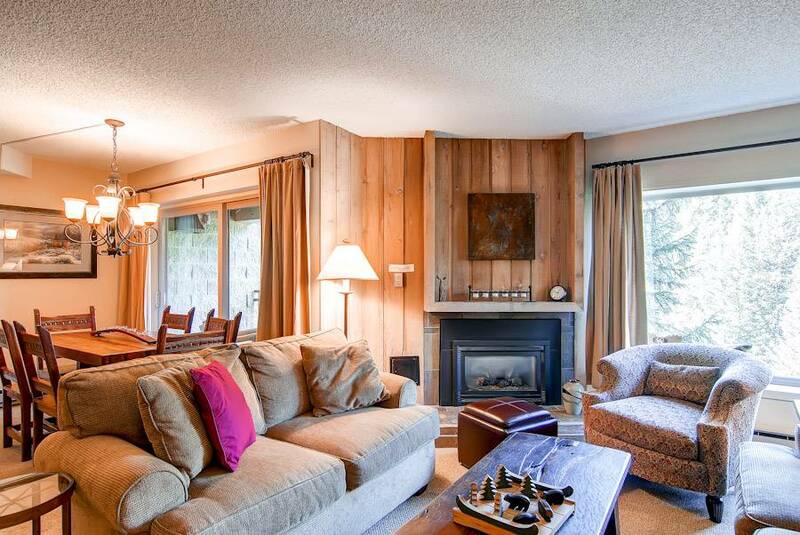 This spacious condo features incredible mountain, ski-area and town views. 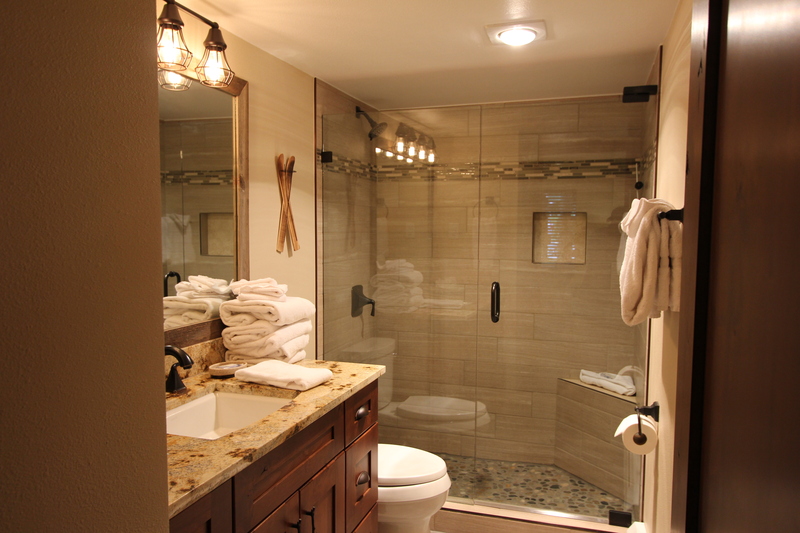 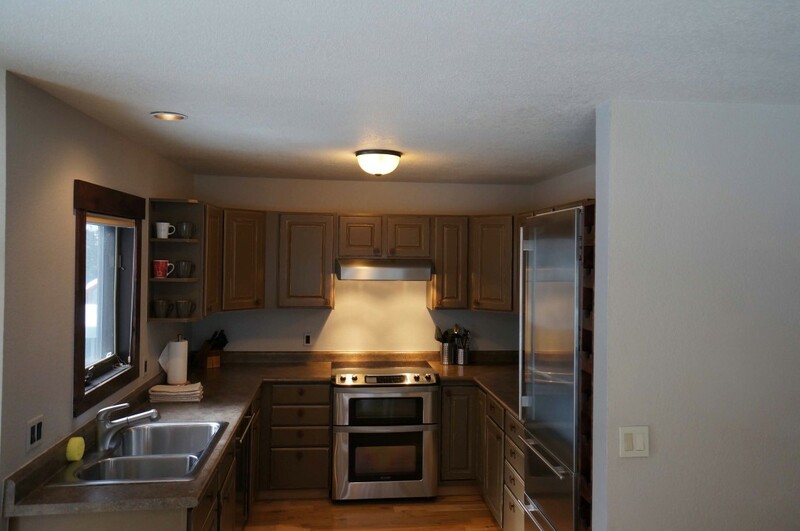 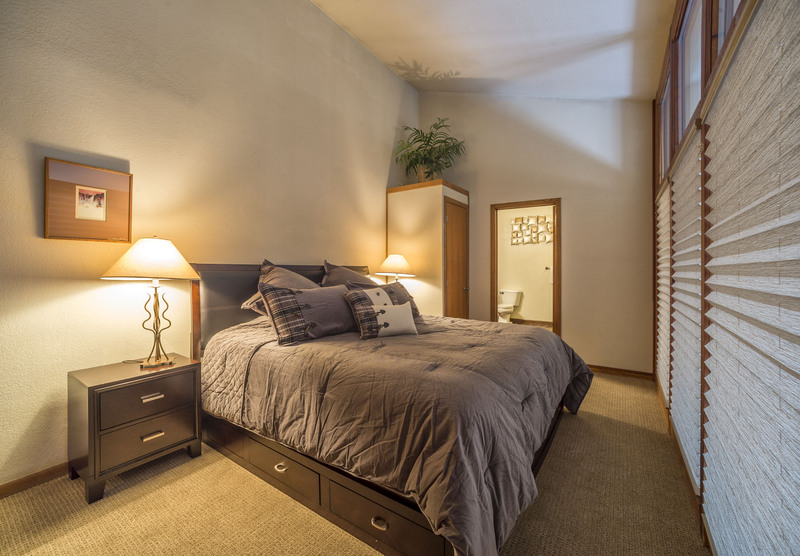 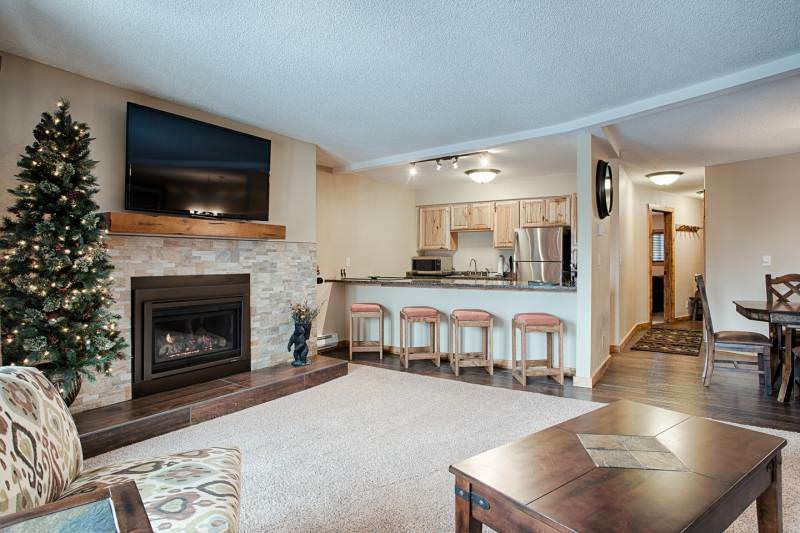 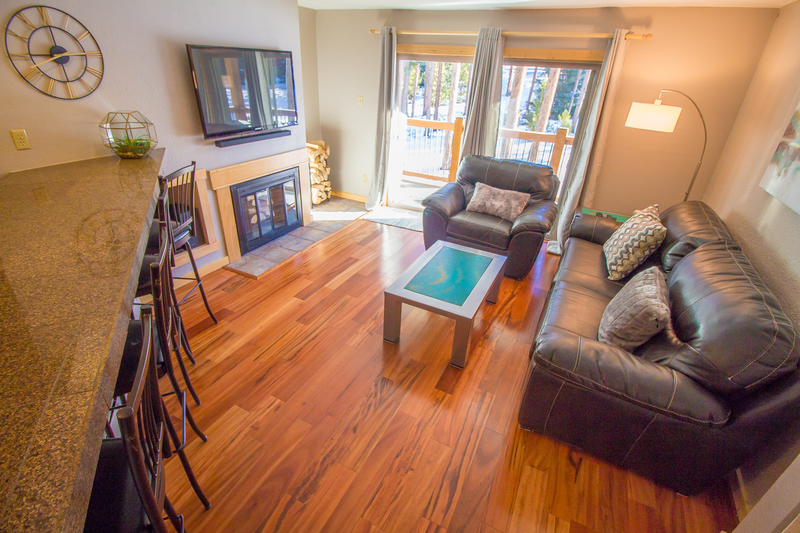 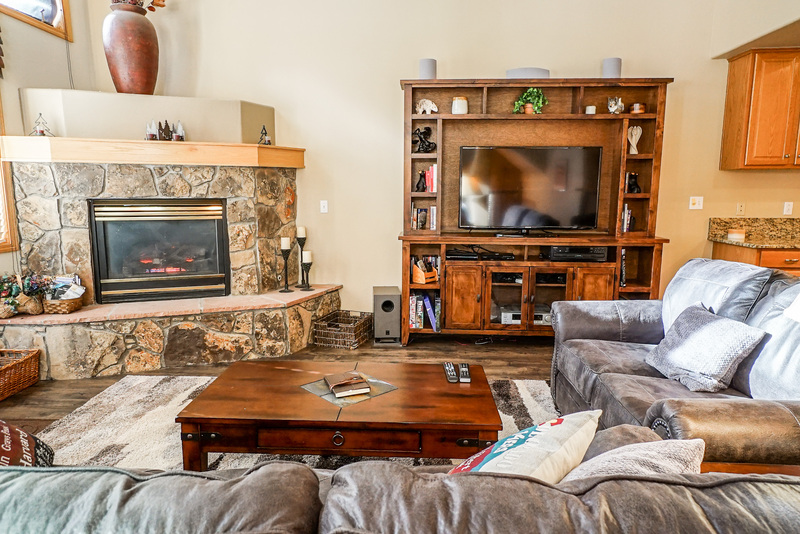 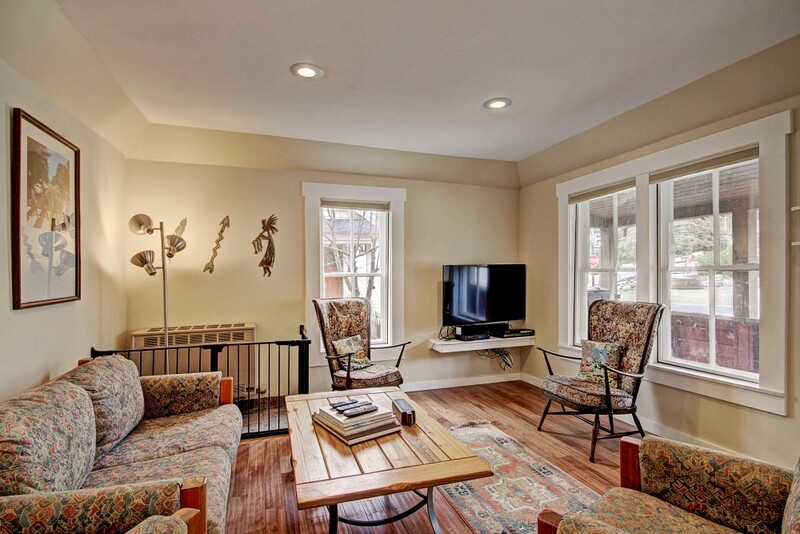 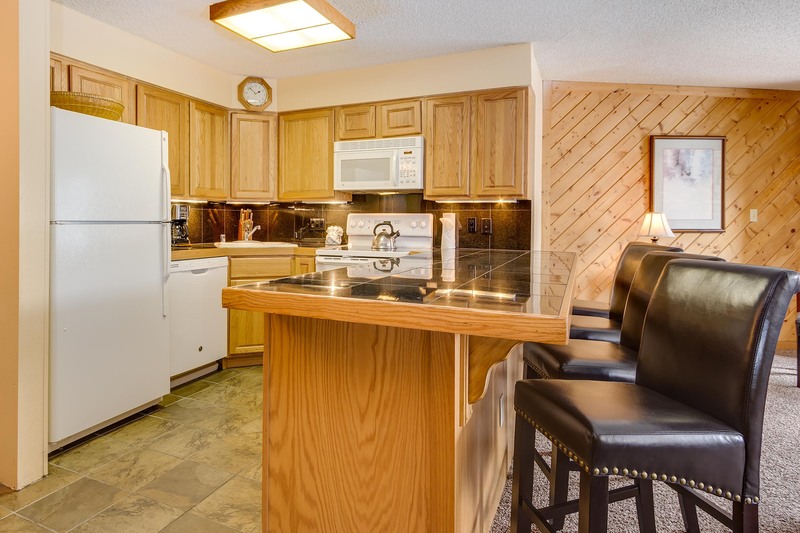 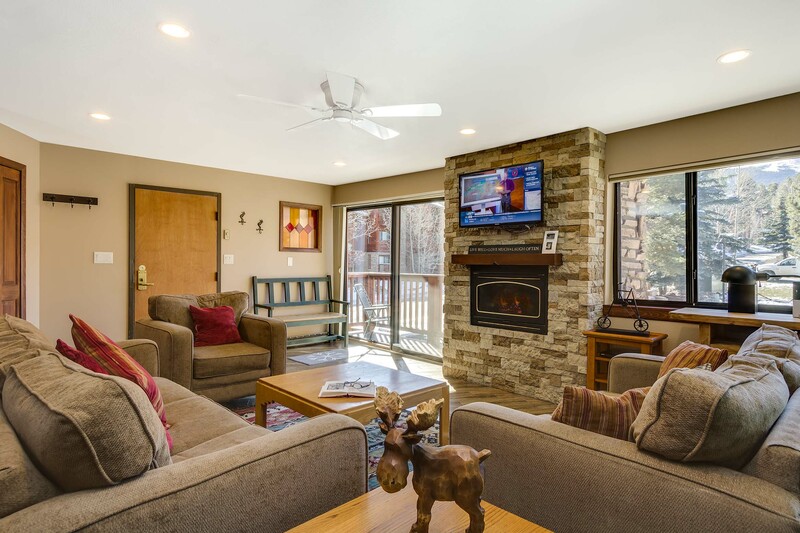 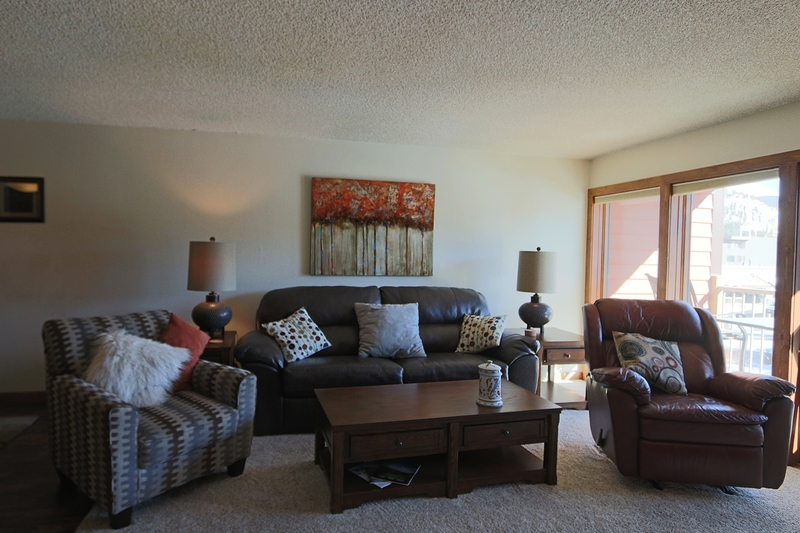 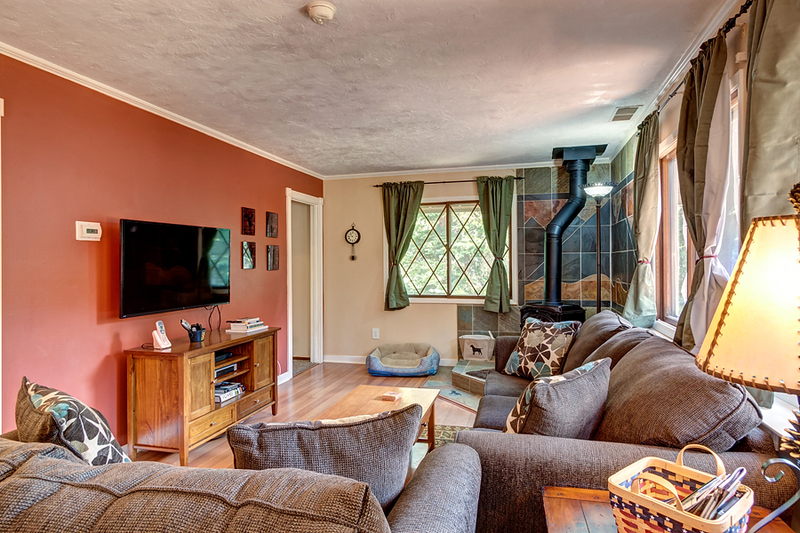 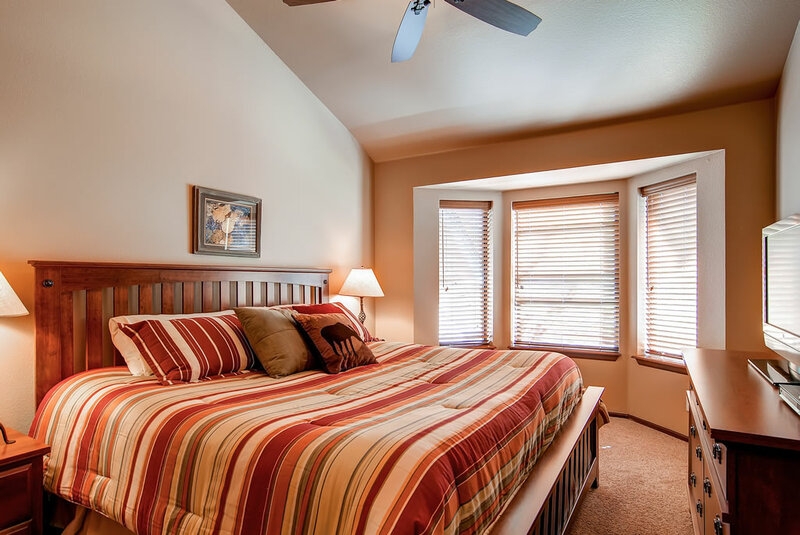 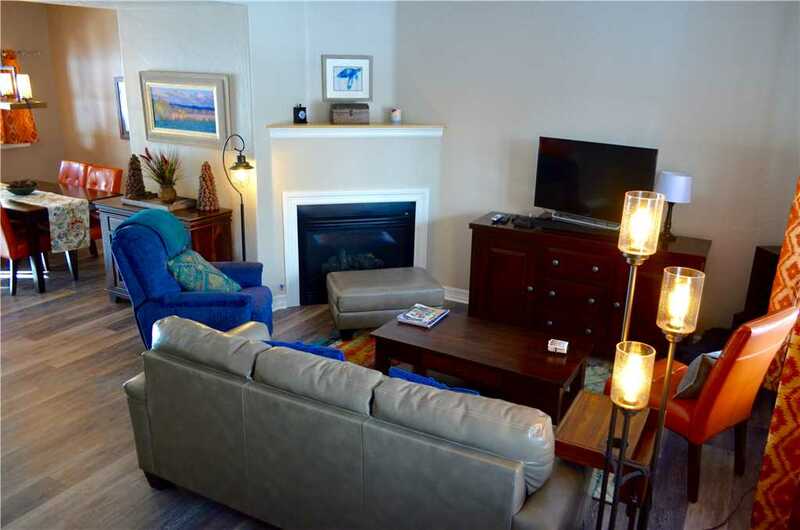 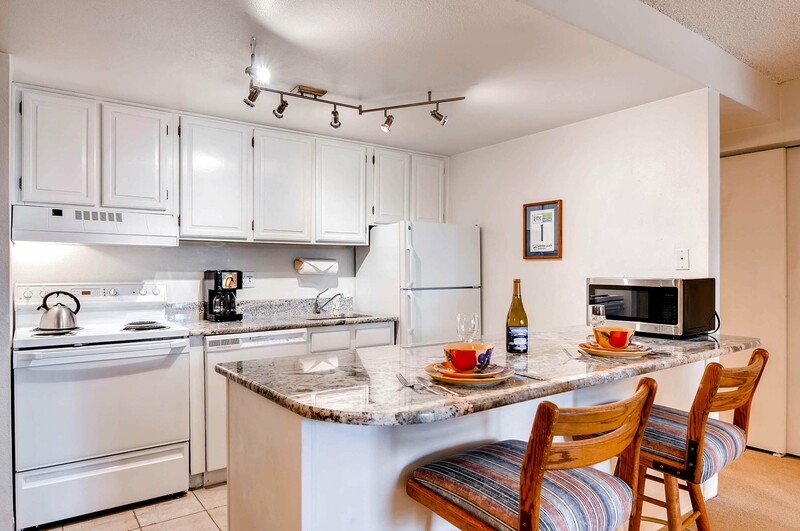 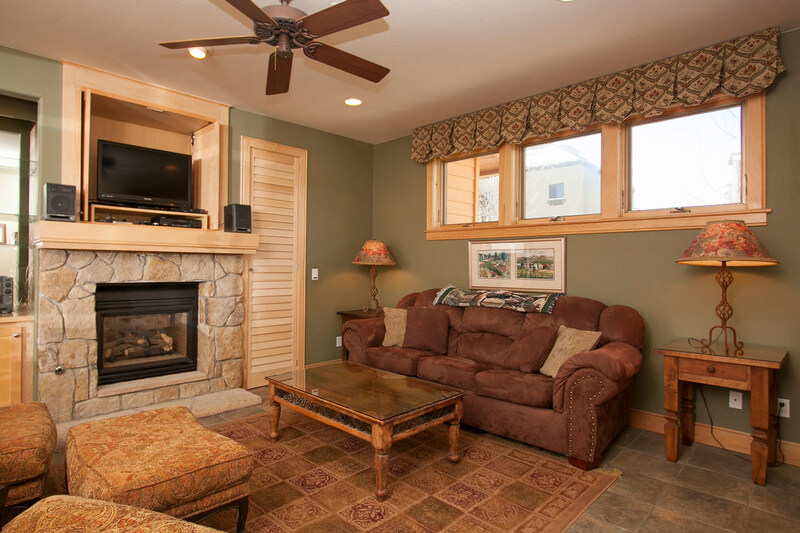 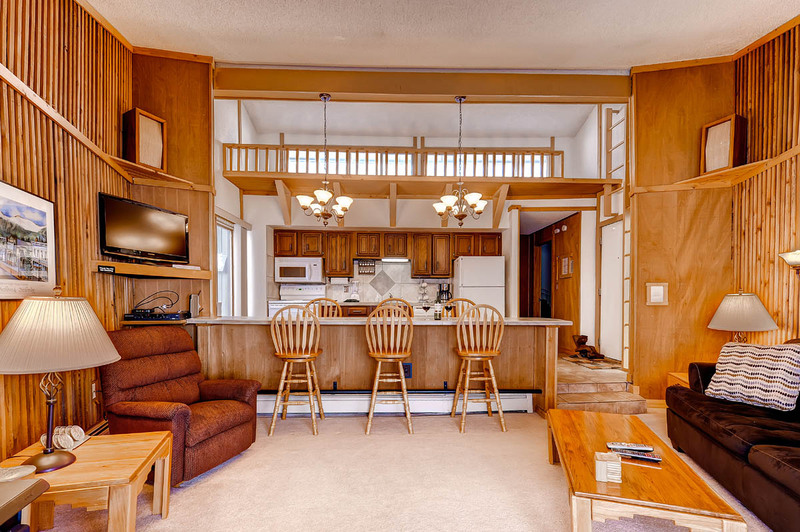 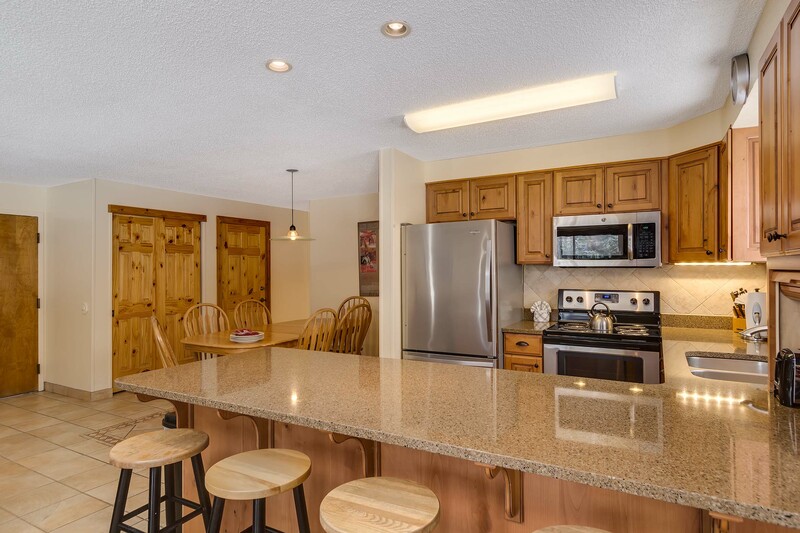 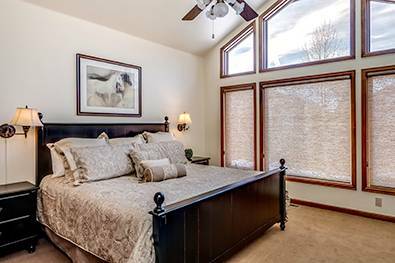 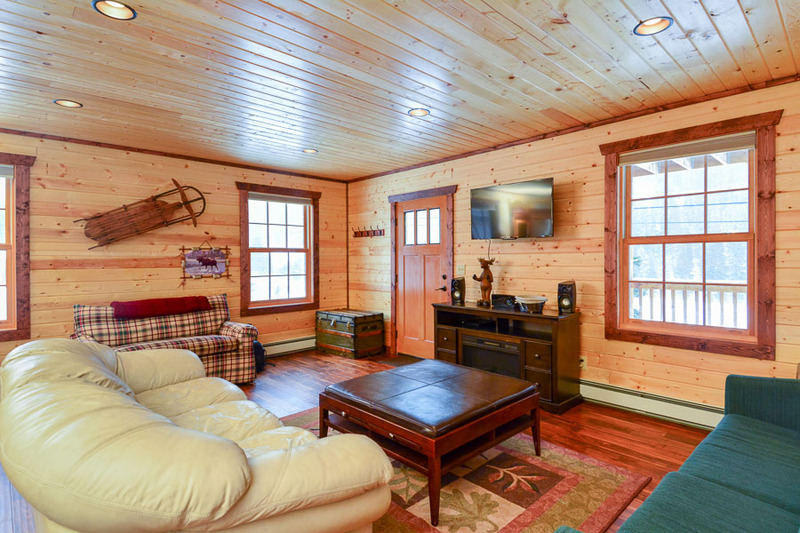 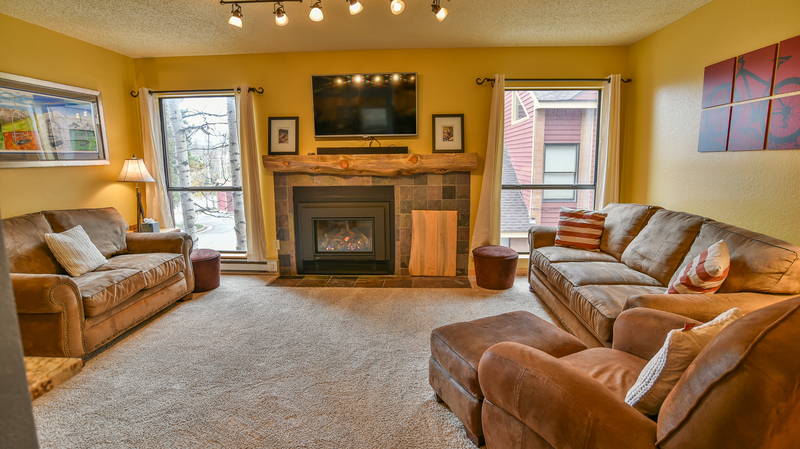 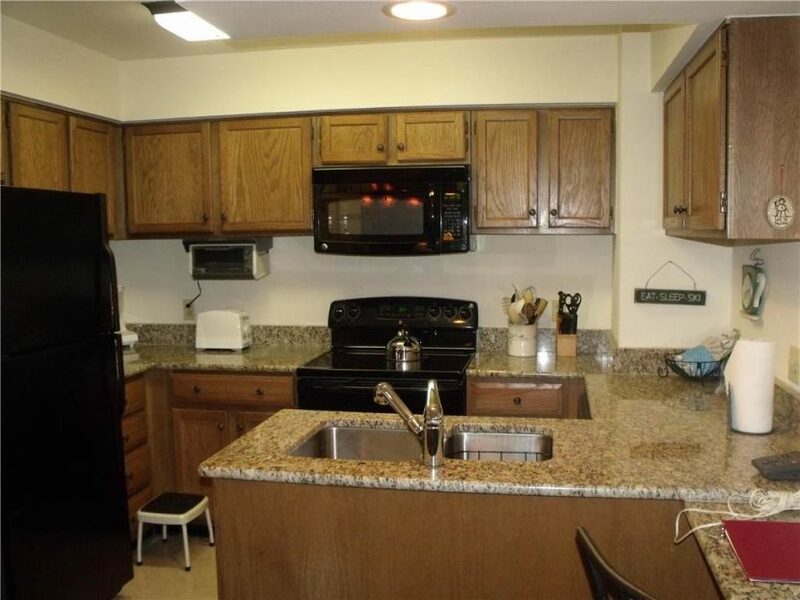 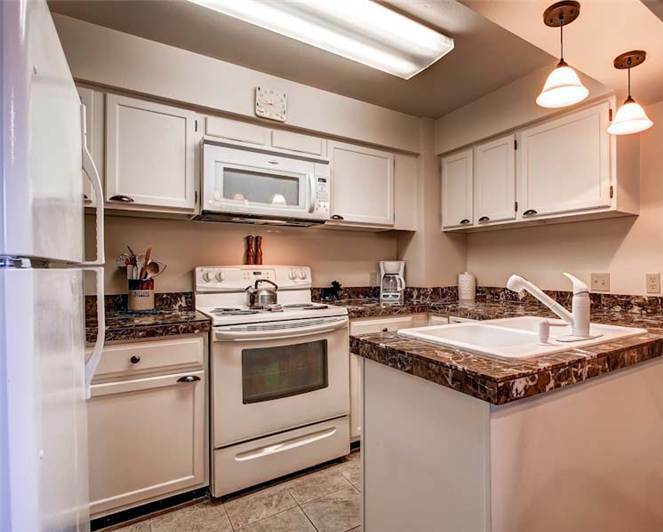 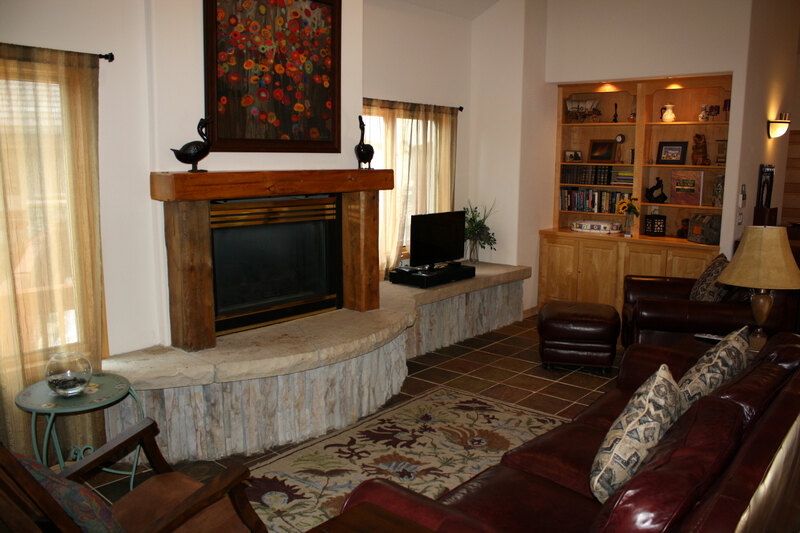 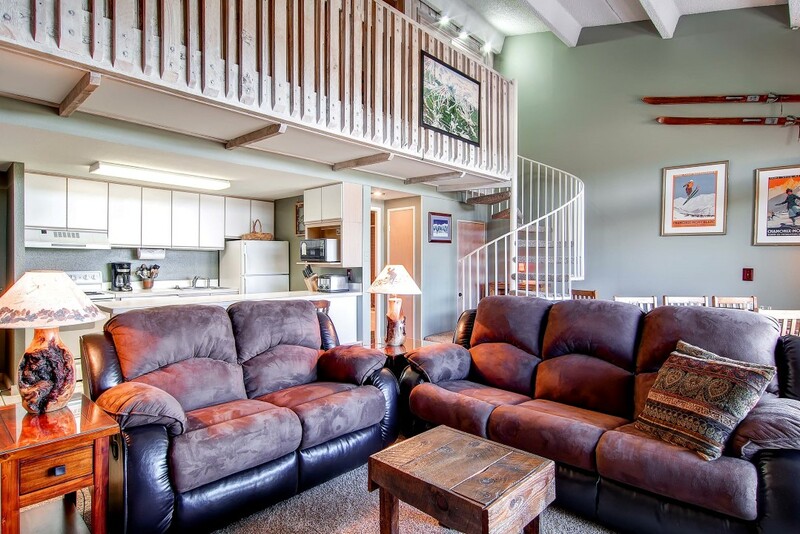 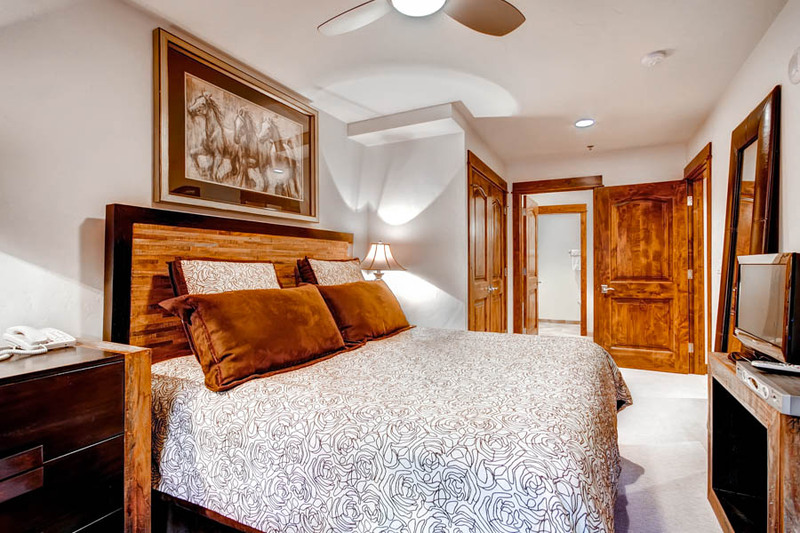 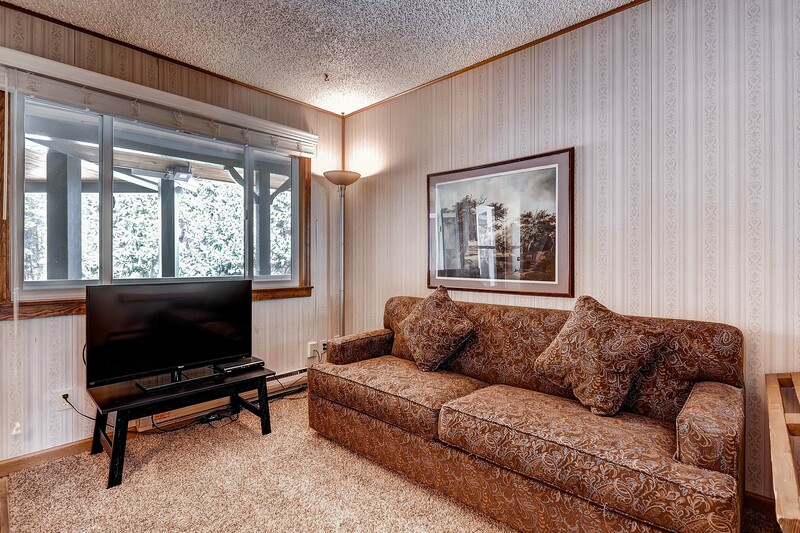 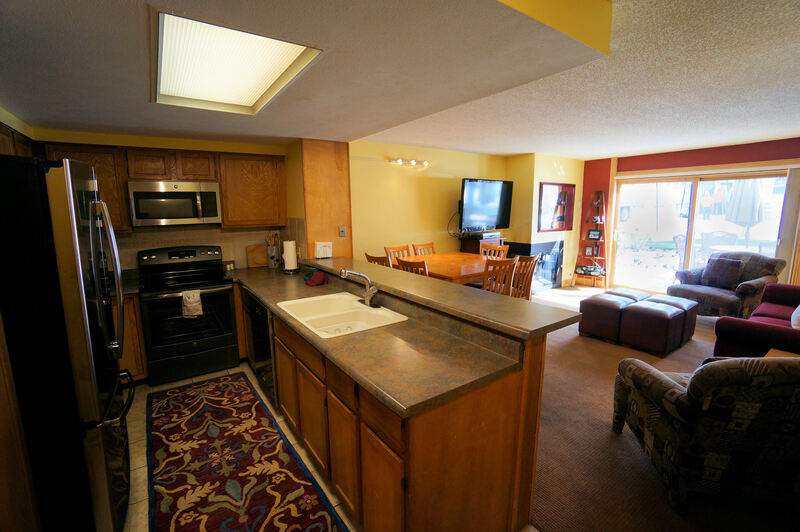 It has a gas fireplace, private balcony, vaulted ceiling, stainless appliances, WiFi, multiple modern TVs, private washer/dryer, onsite indoor hot tubs, shared gas BBQ grills onsite and covered parking.